Description: Red Axanthic Lavender Snow (Pastel/Lesser?) 1/15 x Mahogany 1/12. My male proved out to be Lesser as well. 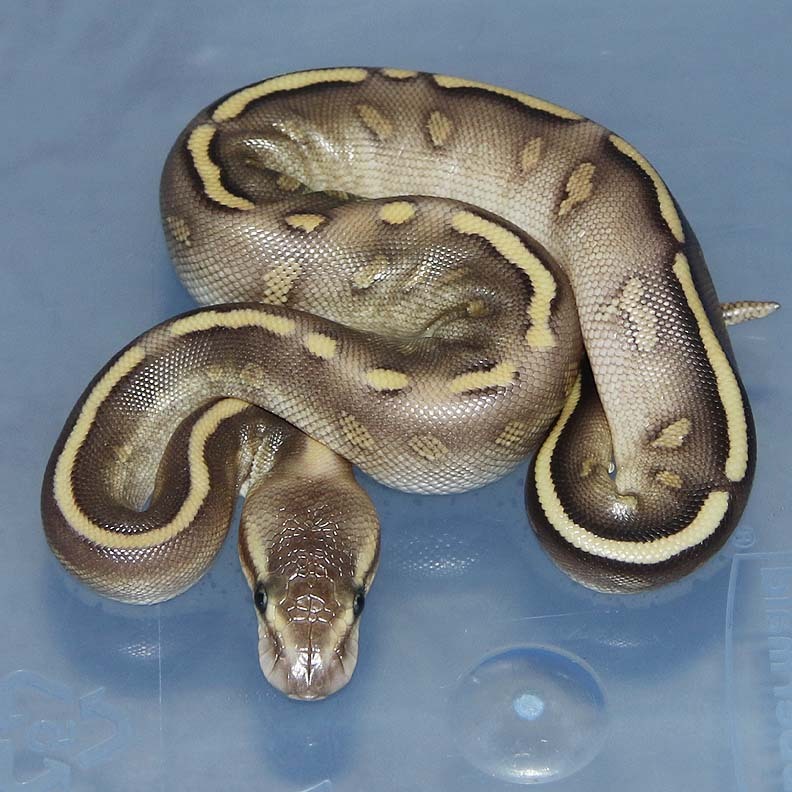 This male is very nice in person. 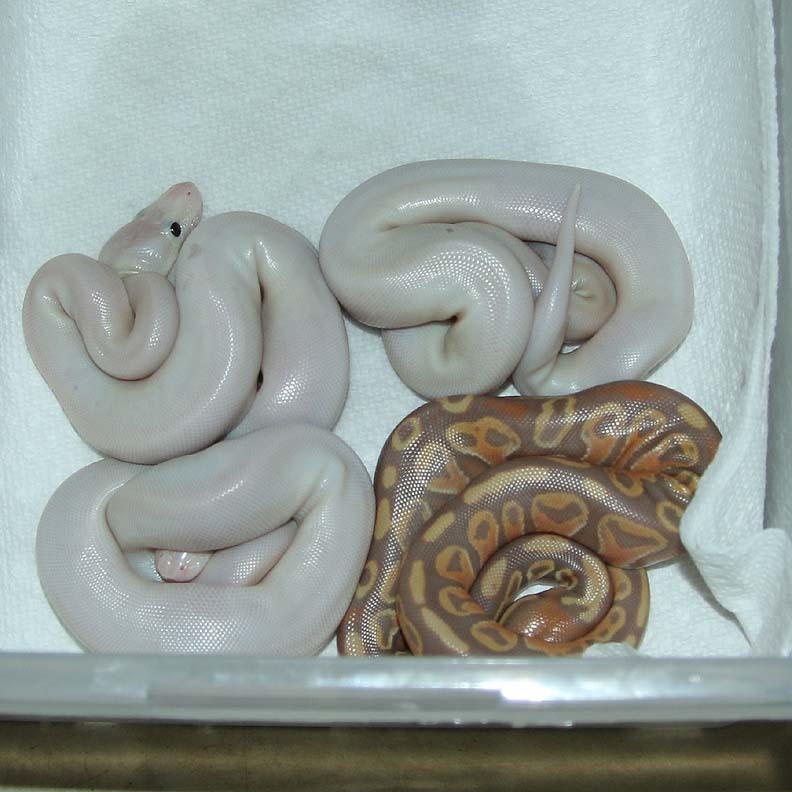 He will make a good breeder! 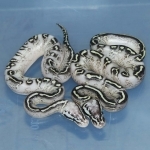 Description: Lesser Banana HRA 1/15 x Lesser HRA YB 3/12. 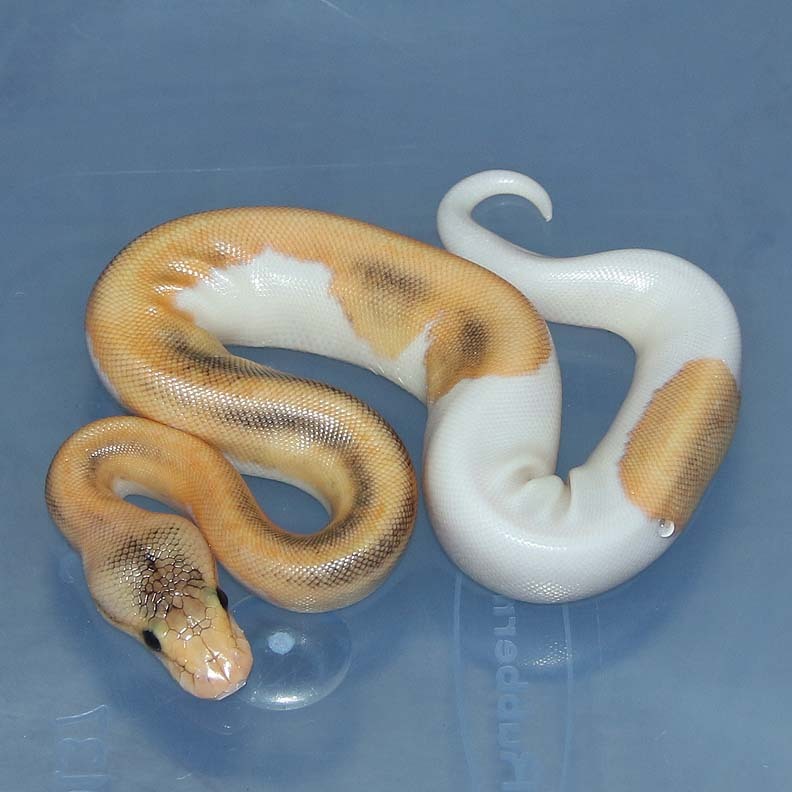 The Super Lesser has an orange hue to her in person. 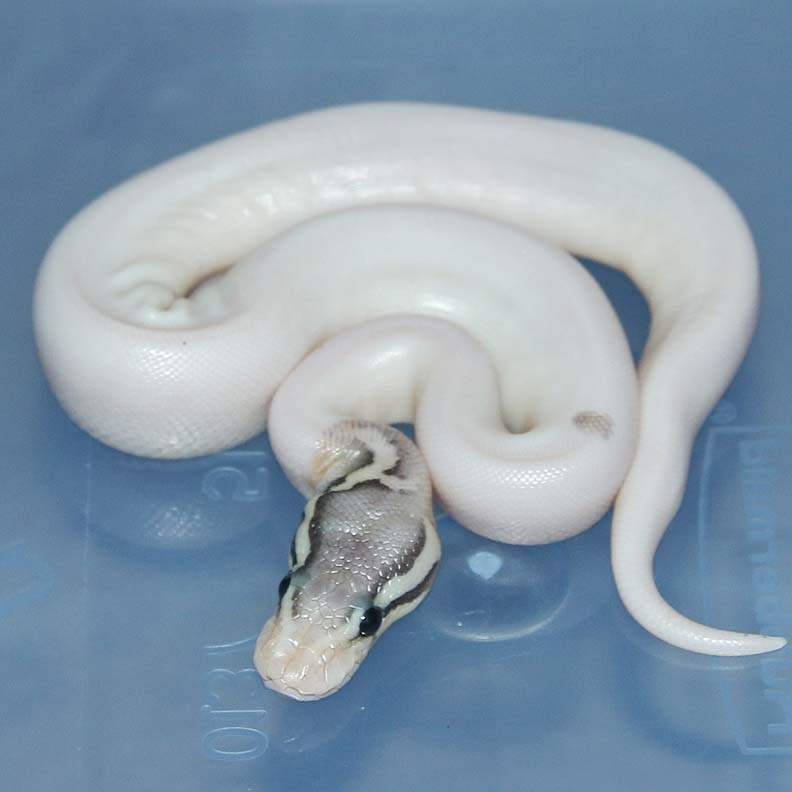 Time will tell on what she is. 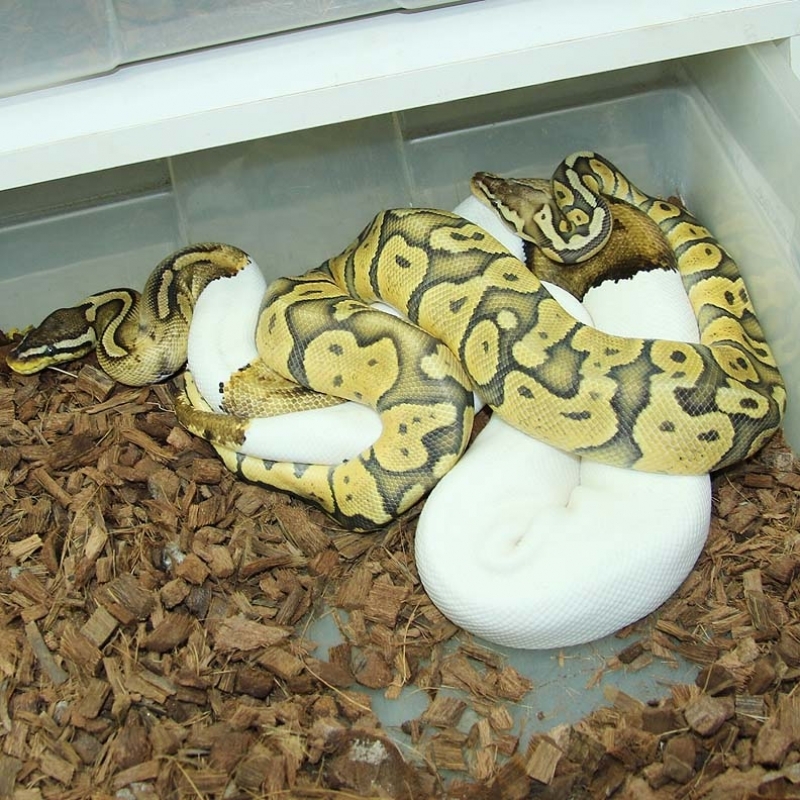 There was a banana female in this clutch as well! 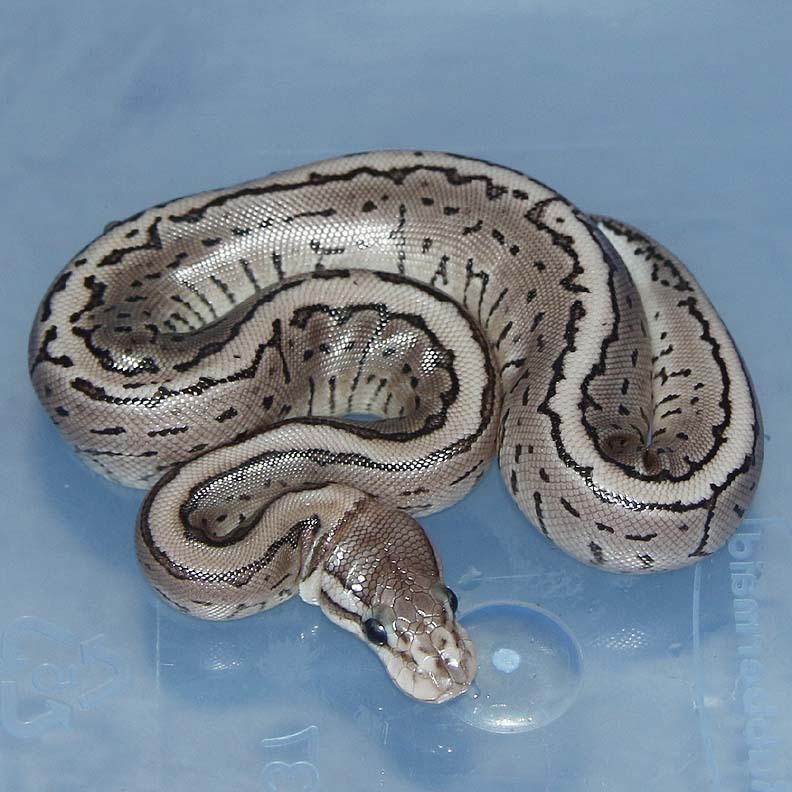 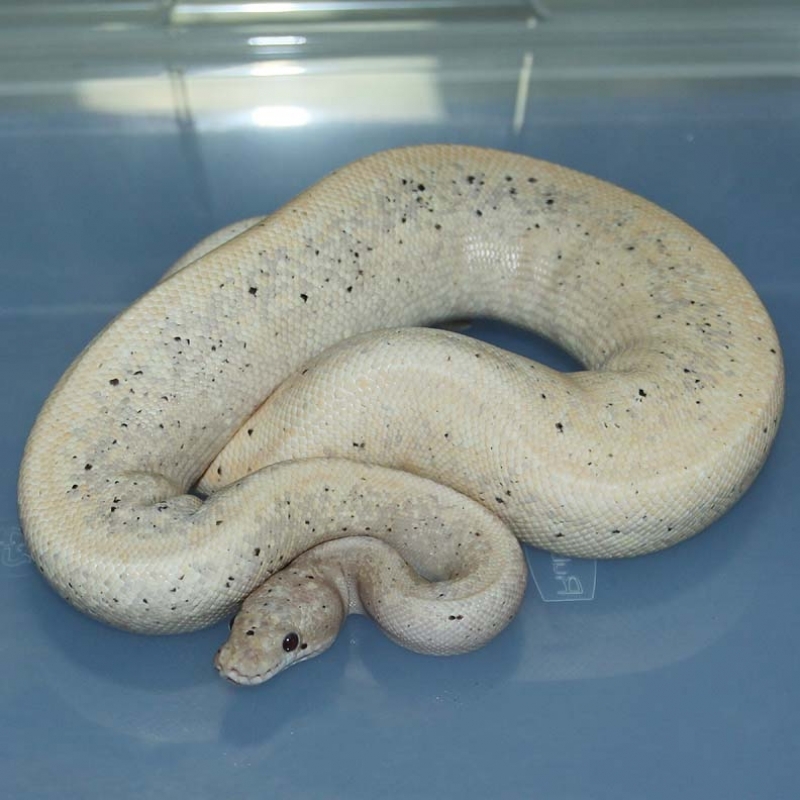 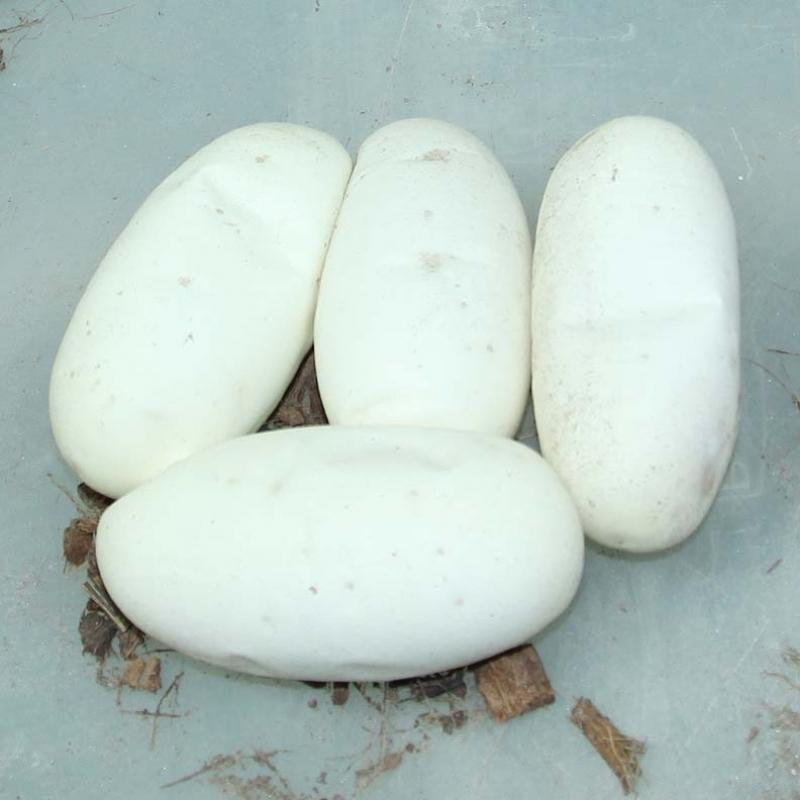 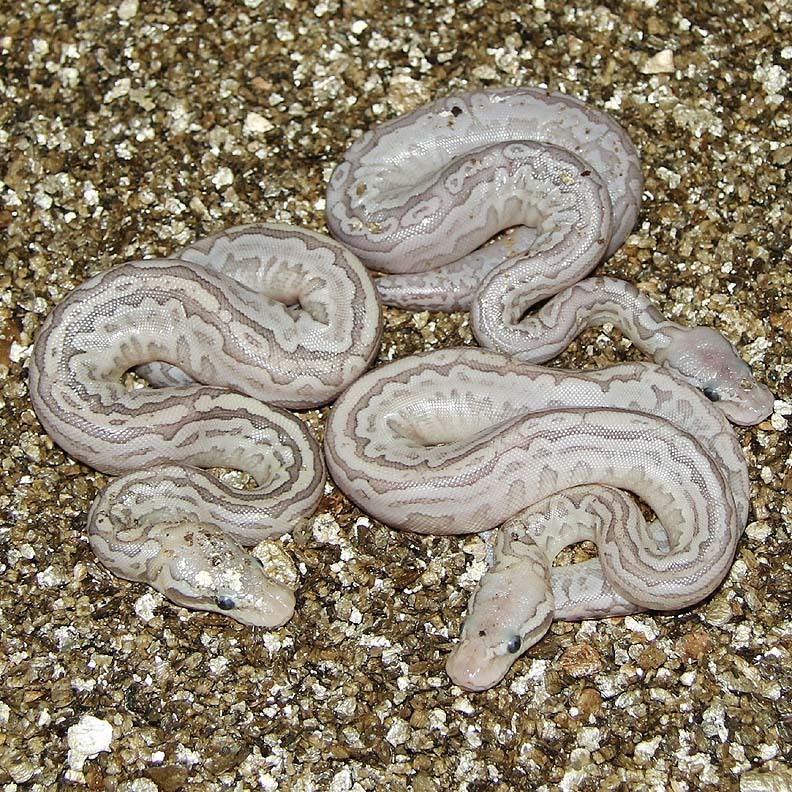 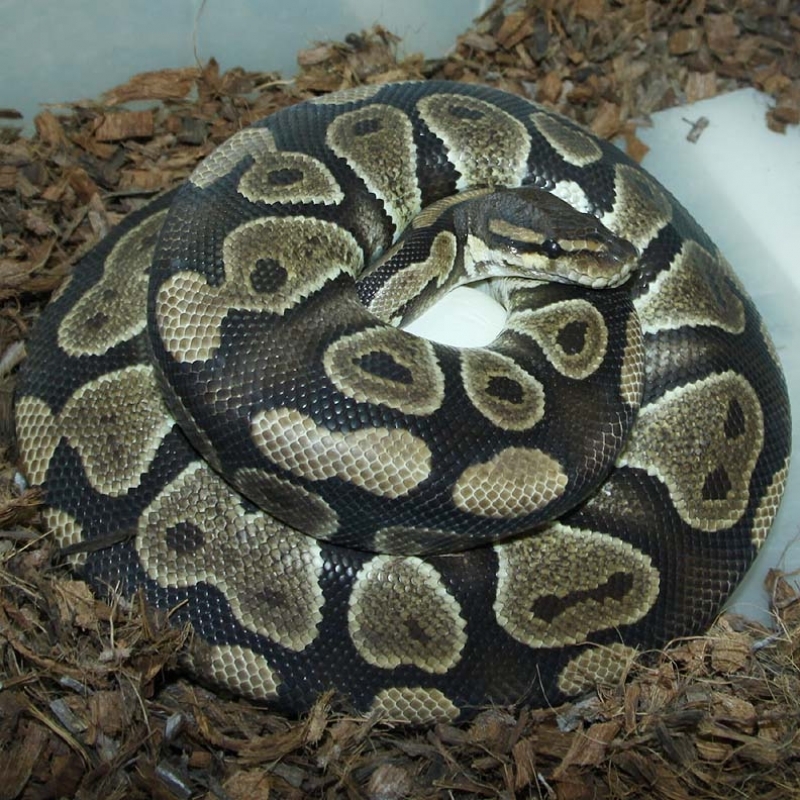 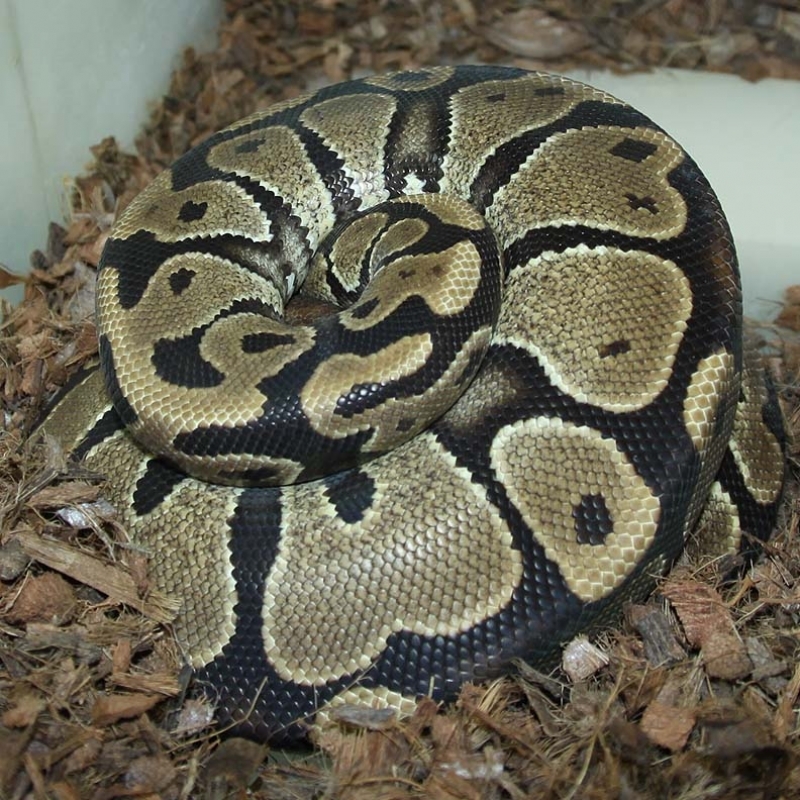 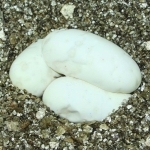 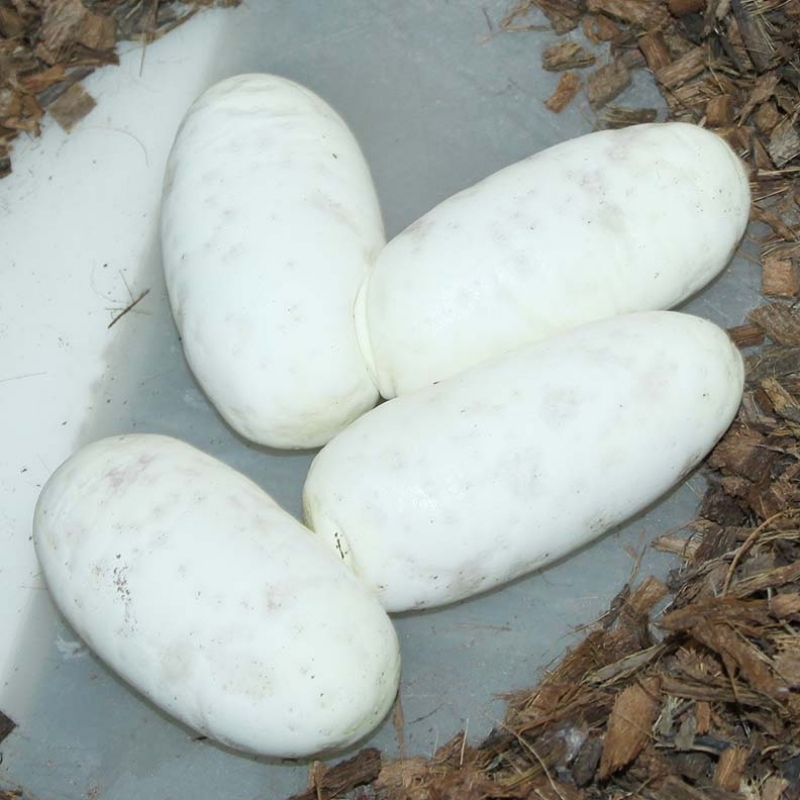 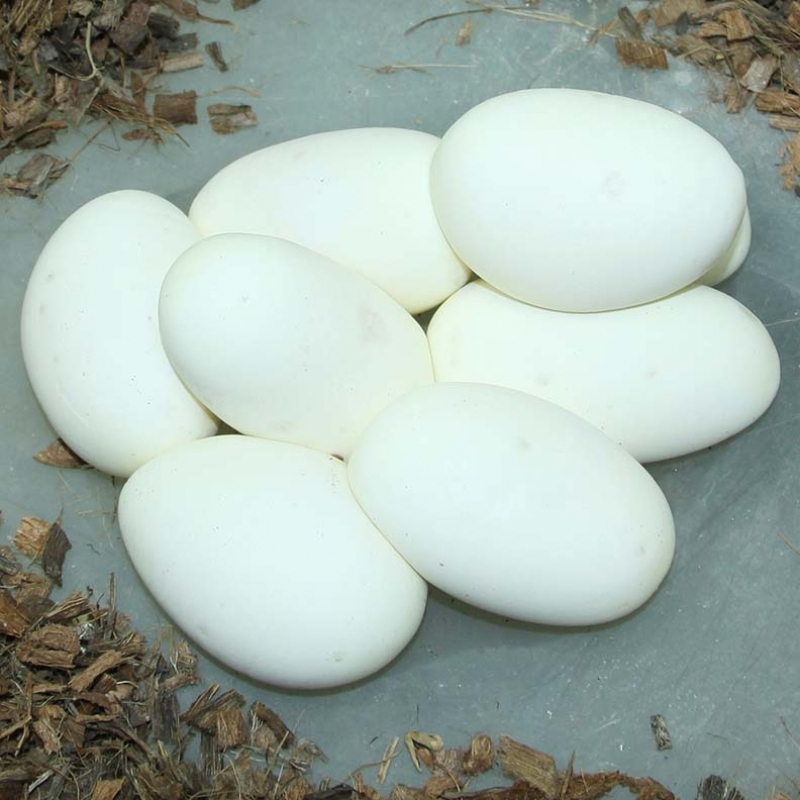 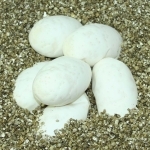 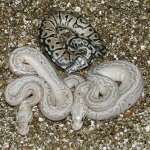 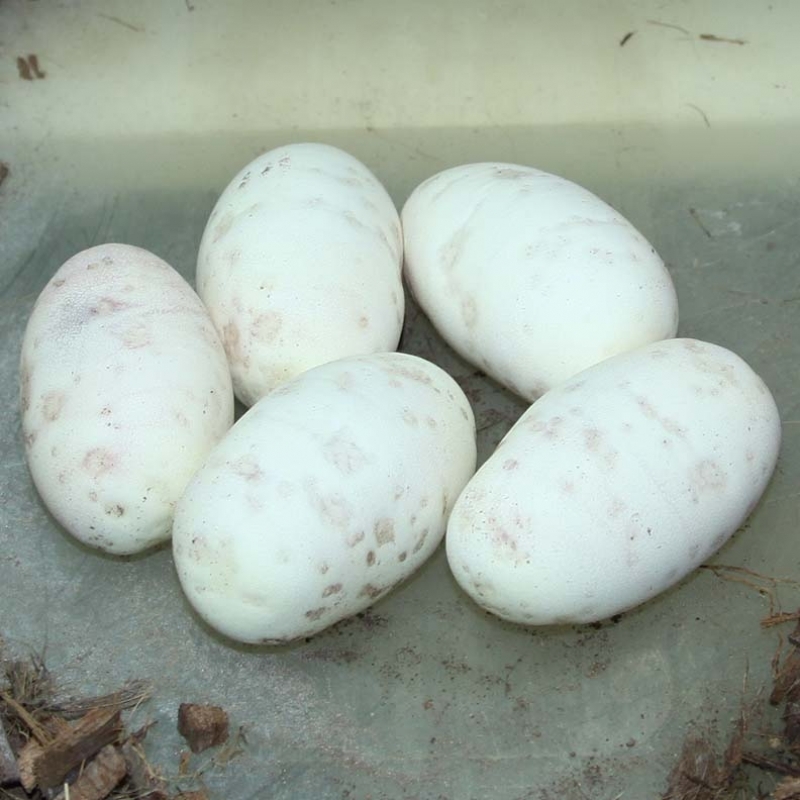 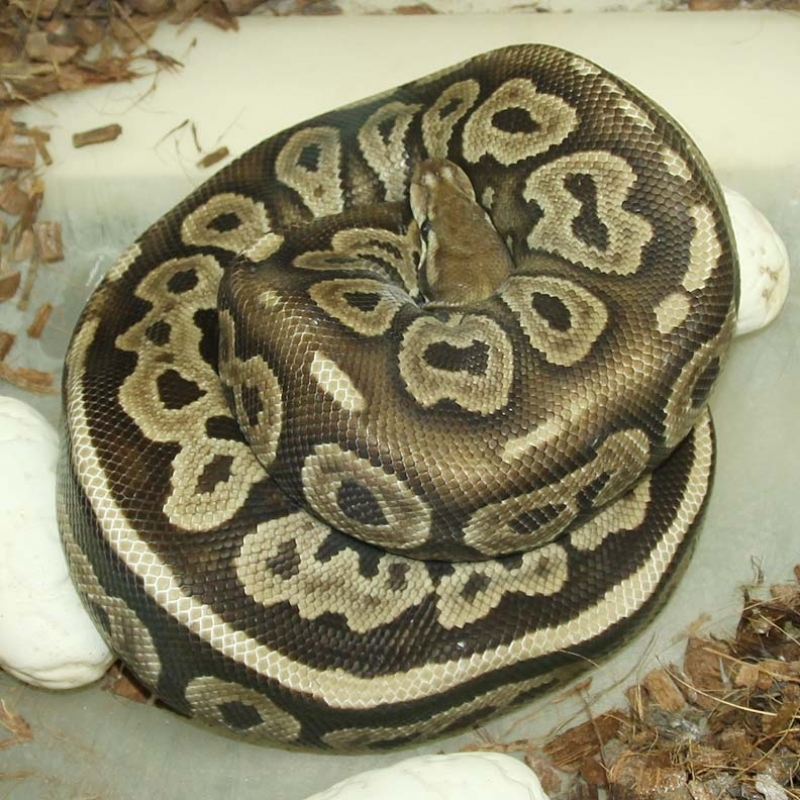 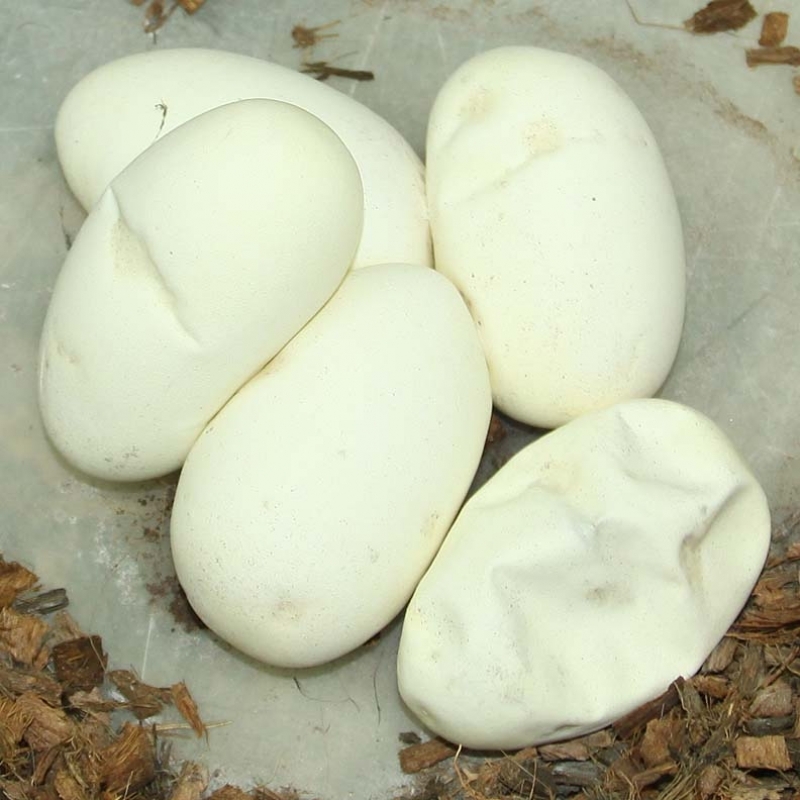 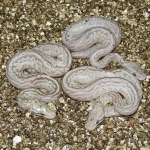 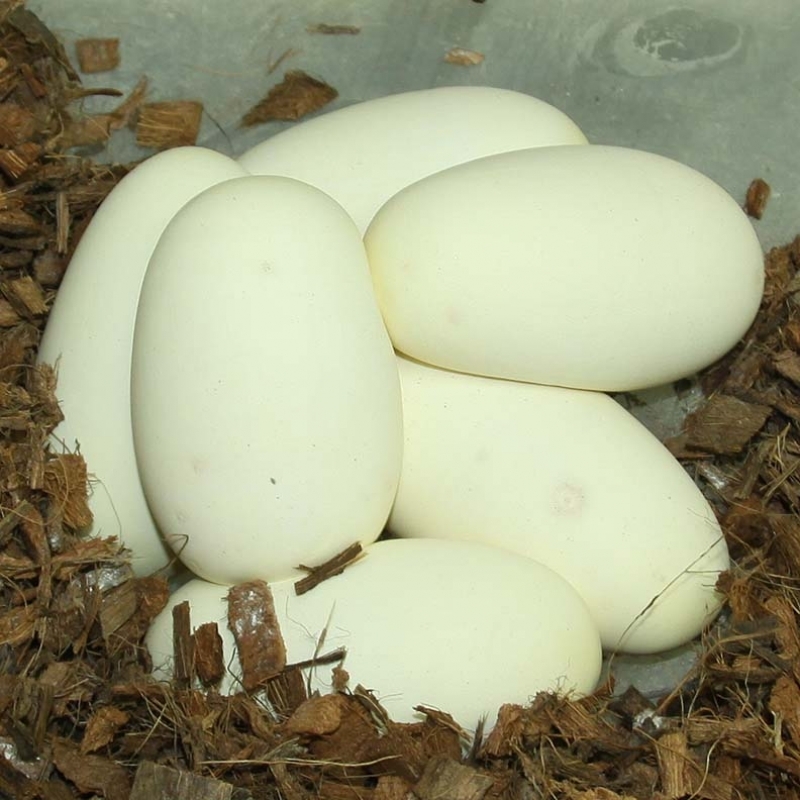 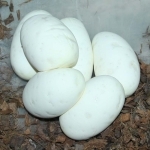 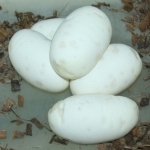 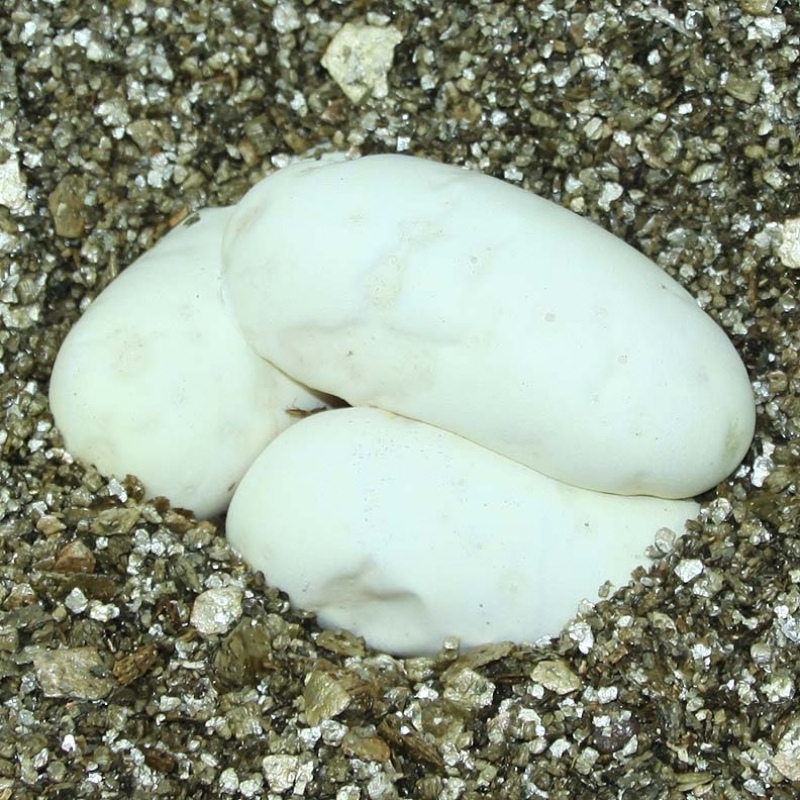 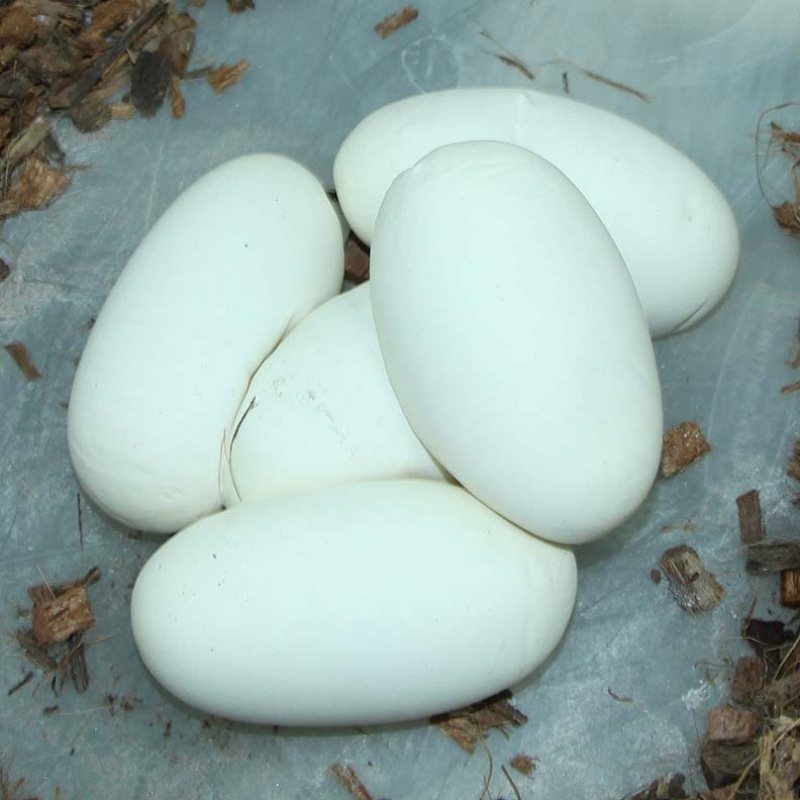 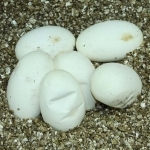 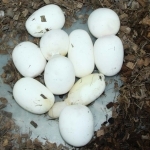 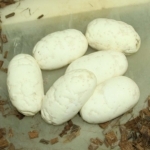 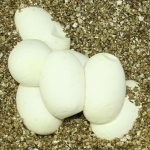 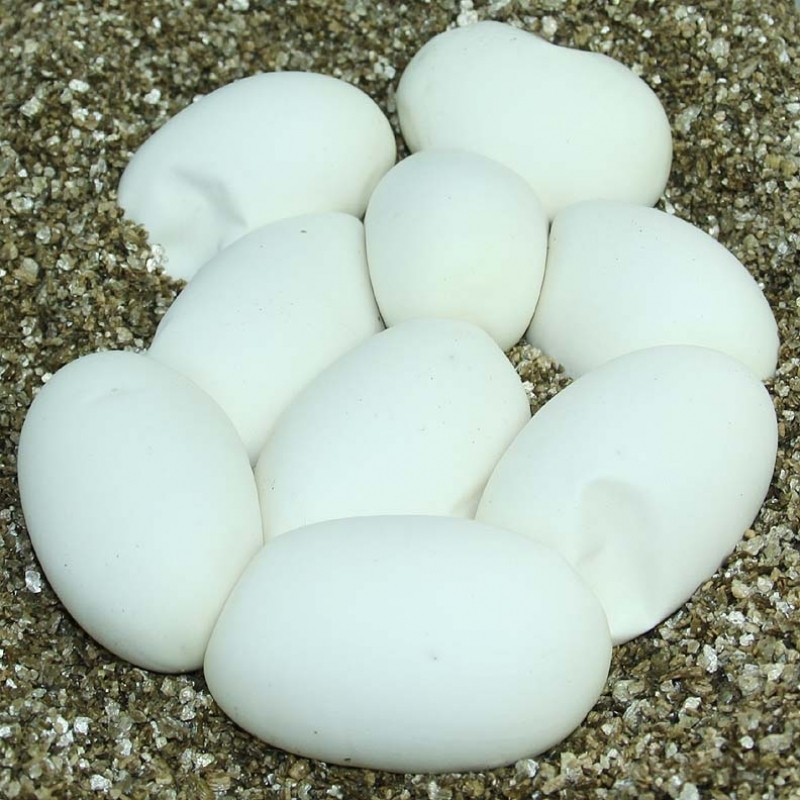 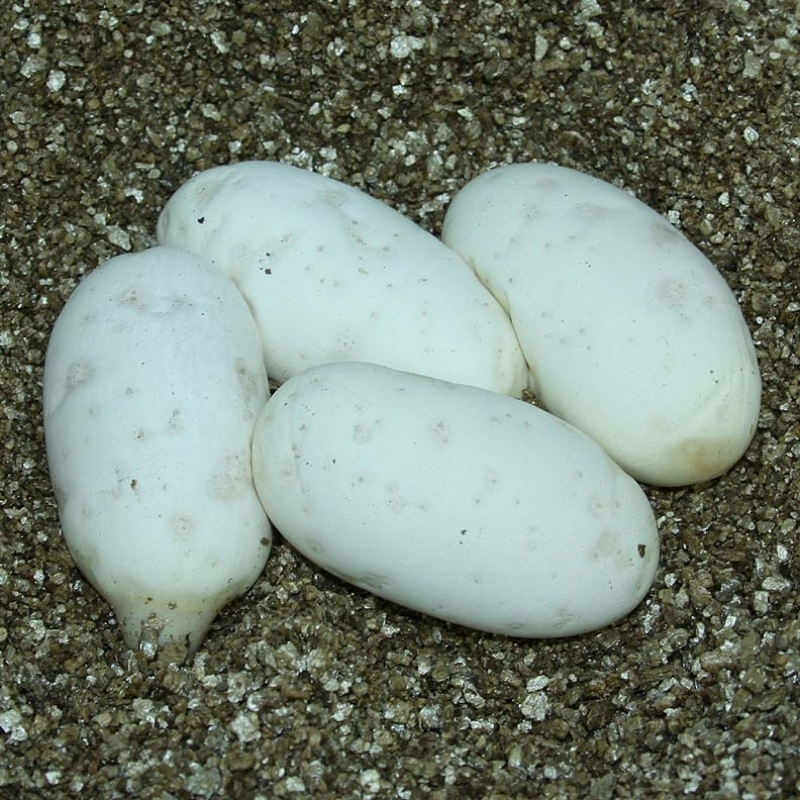 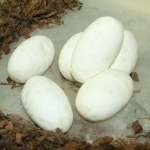 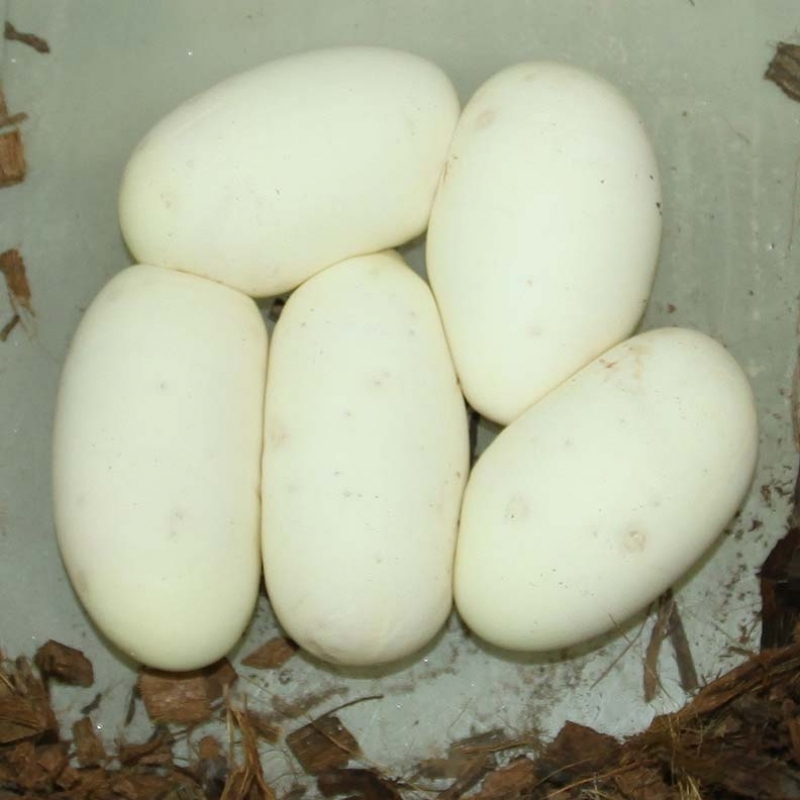 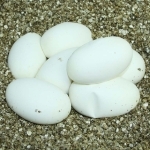 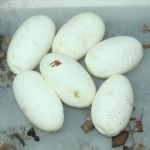 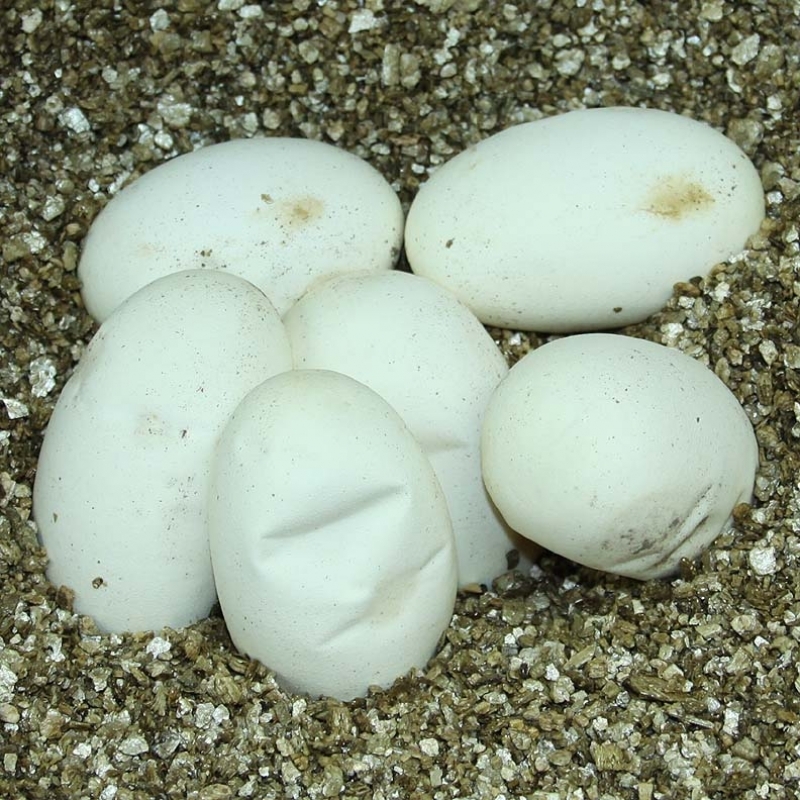 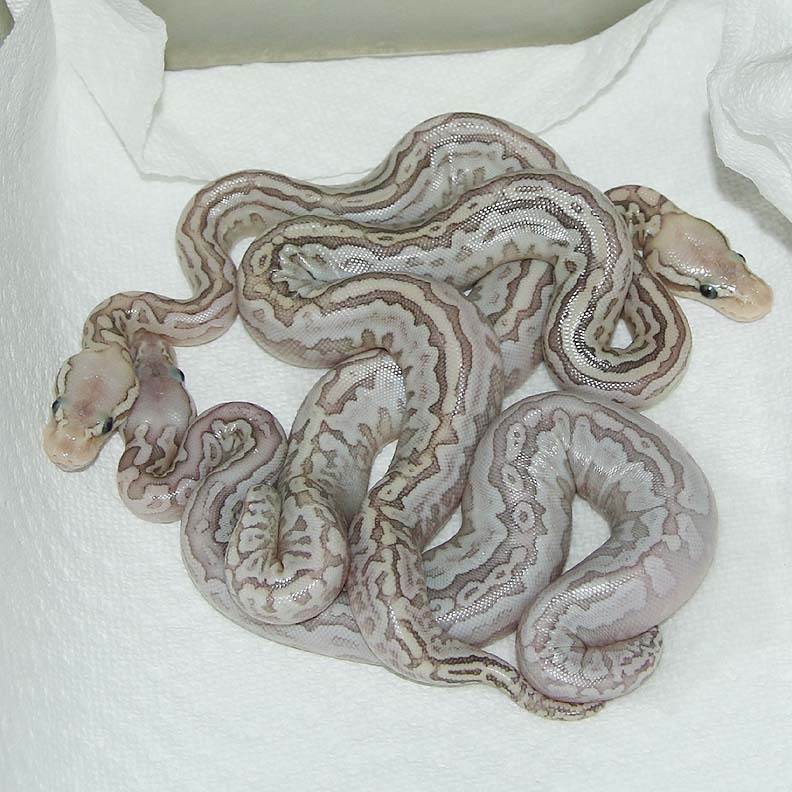 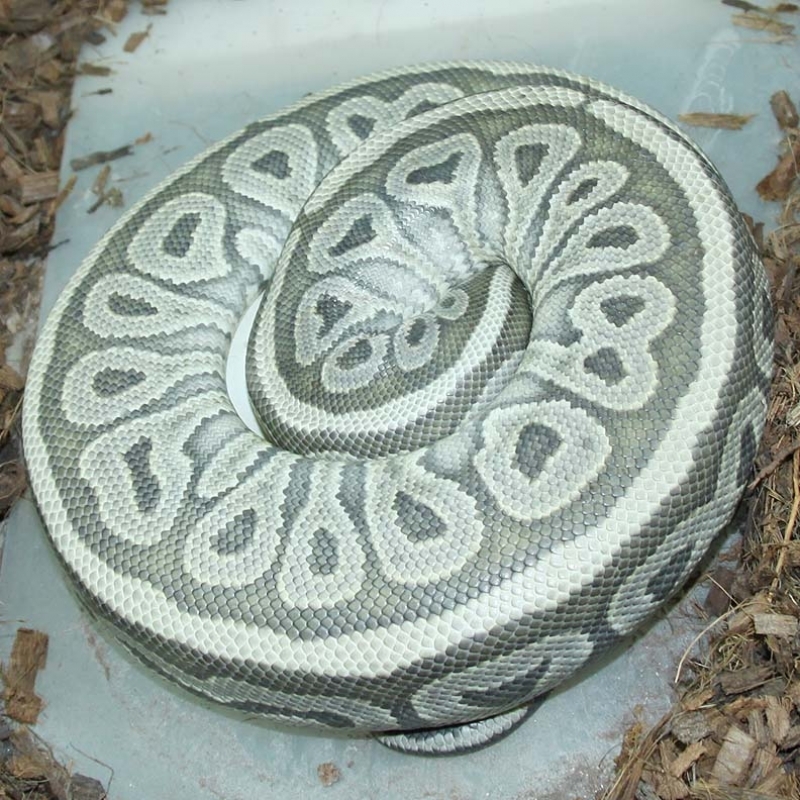 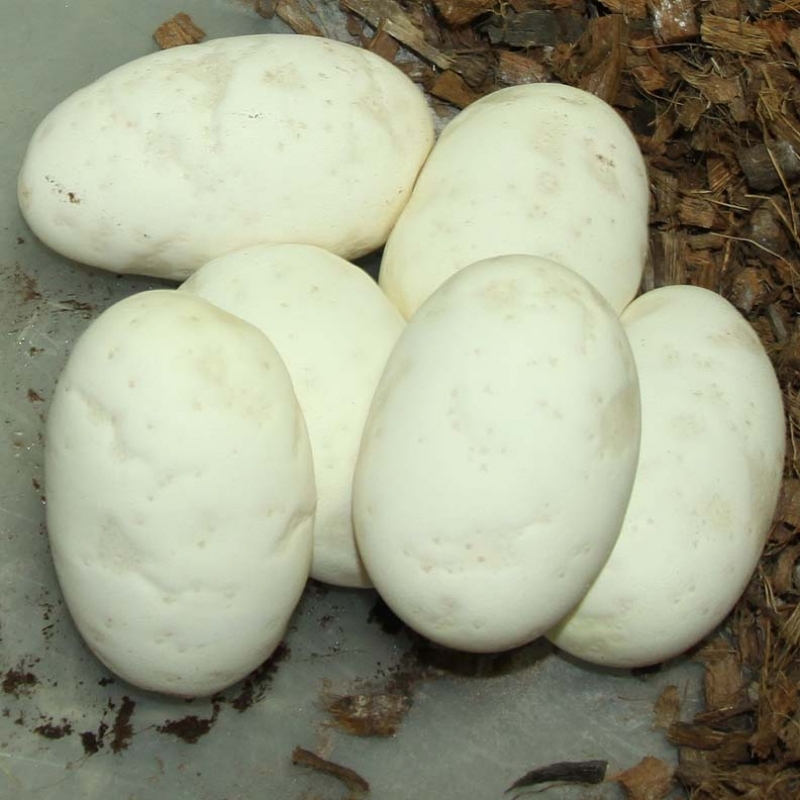 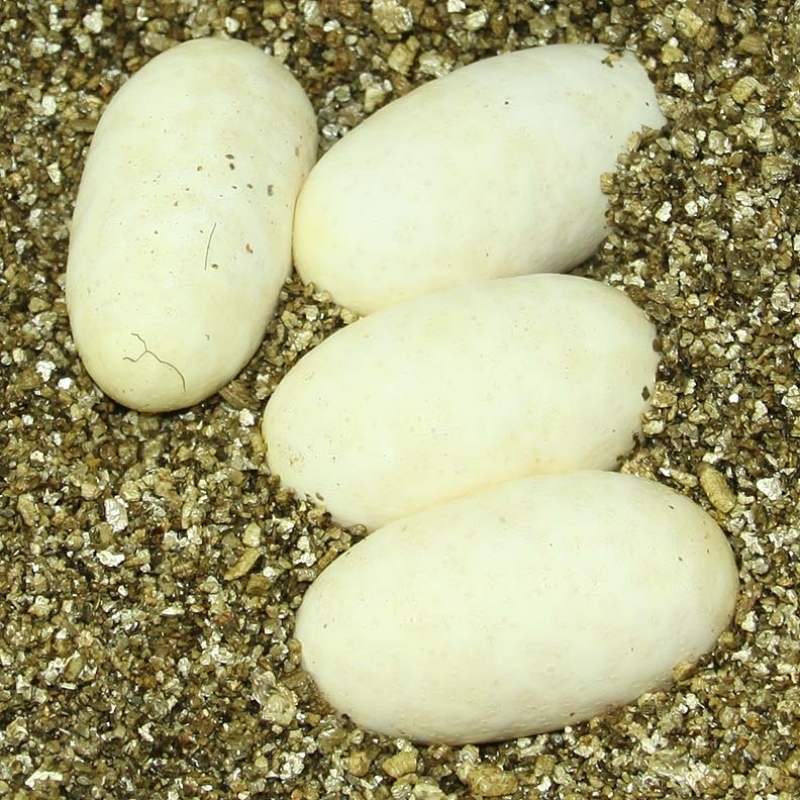 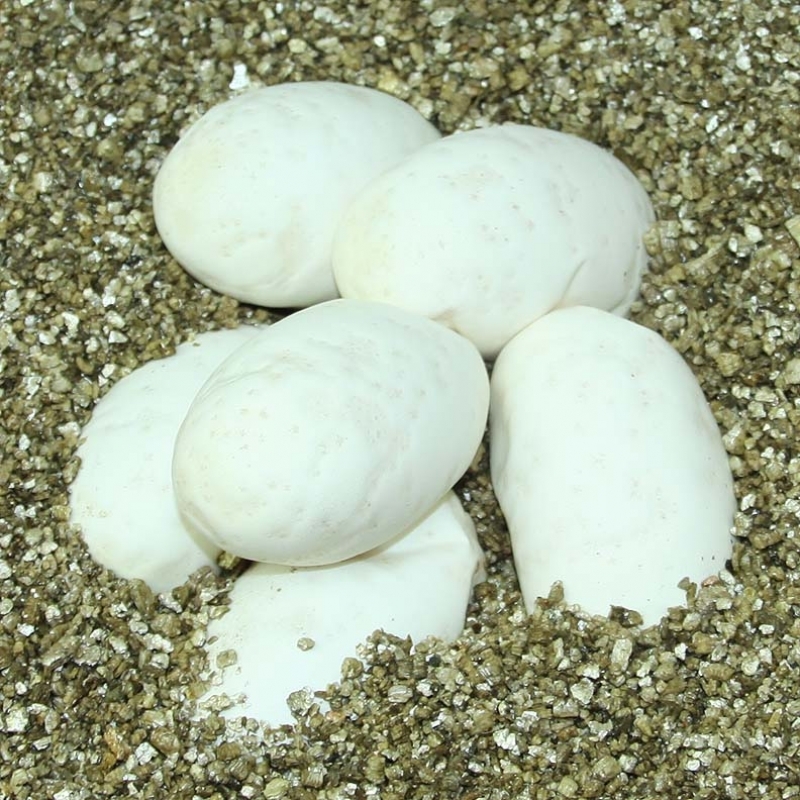 Description: Pastel Lavender Champagne 1/15 x Pied Het Lavender 3/14. 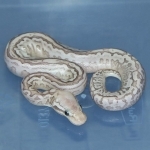 Description: Pastel GHI 1/14 x Lesser Mahogany HRA 1/13. 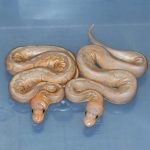 The Lesser Mahogany GHI HRA is amazing in person! 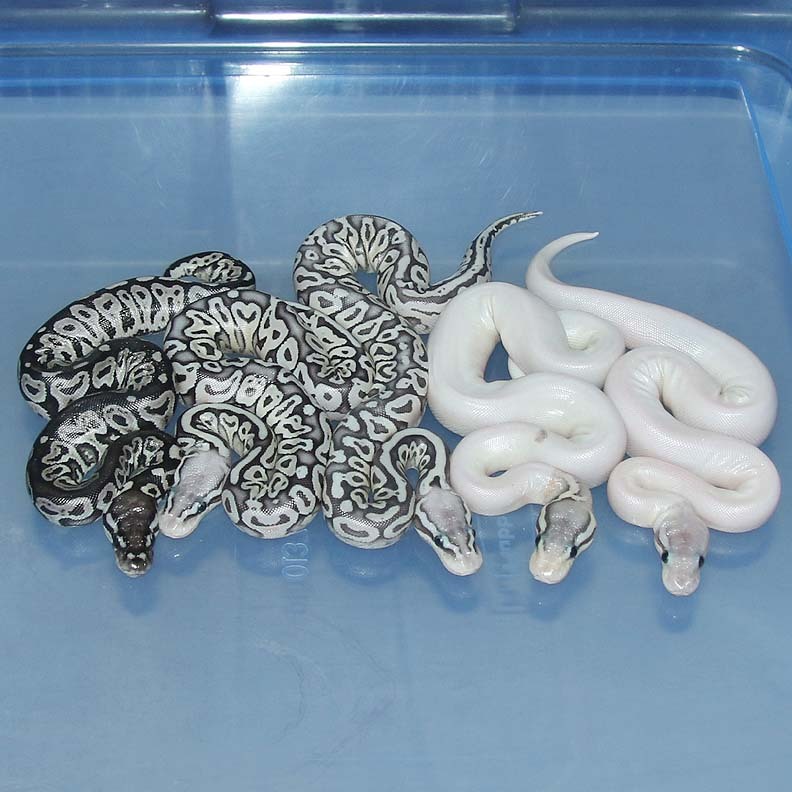 I have to make more of these!! 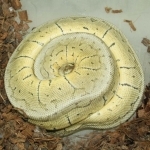 Description: Lesser Banana HRA 1/15 x Pin RA 2/12. 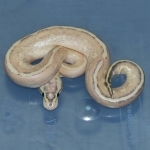 Description: RA Pin Champ Het Pied 1/15 x PG 4/07. 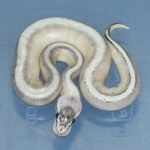 Description: Phantom HRA Het Lavender 1/15 x Lavender HRA 1/13. 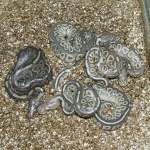 Description: Super Asphalt 1/14 x POG Pied 1/14. 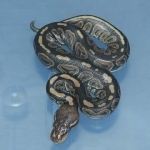 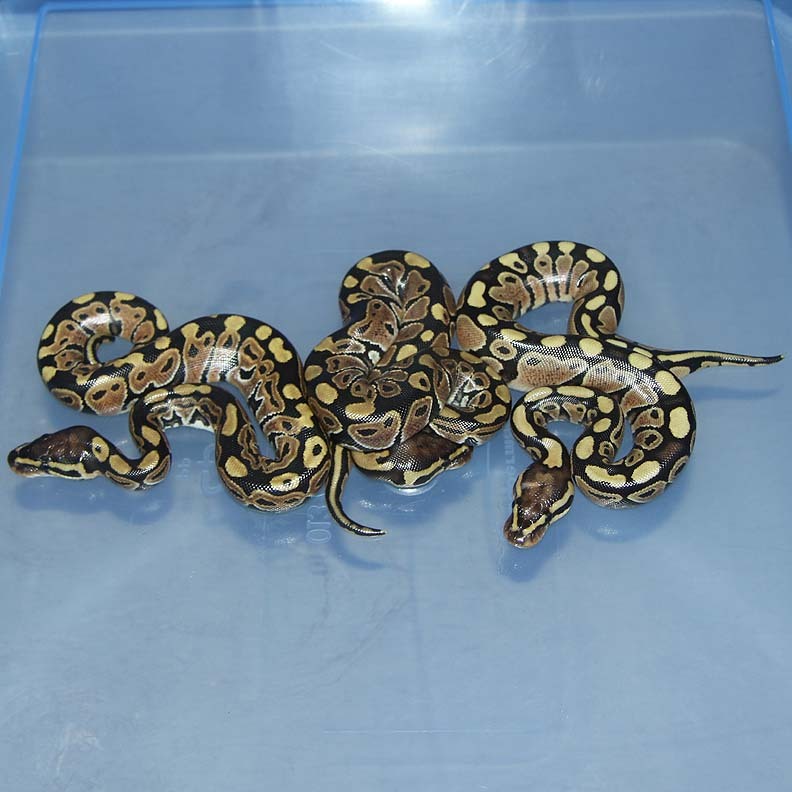 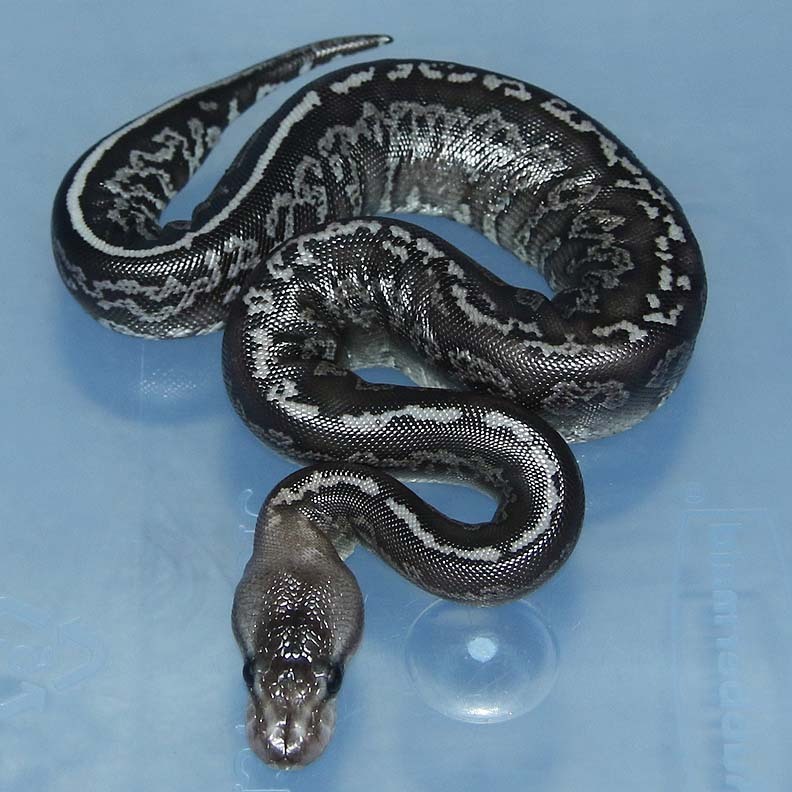 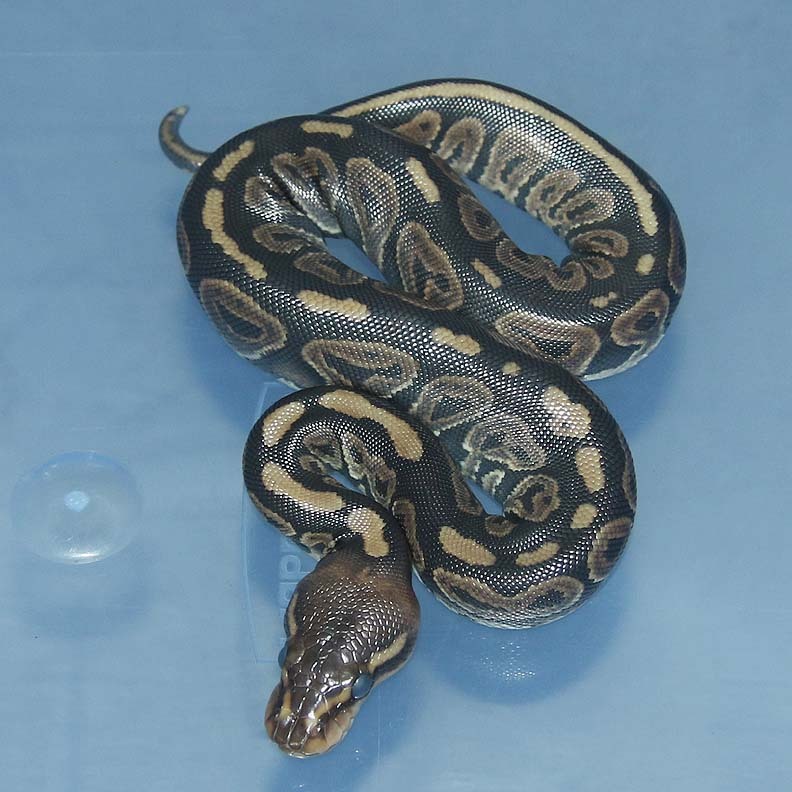 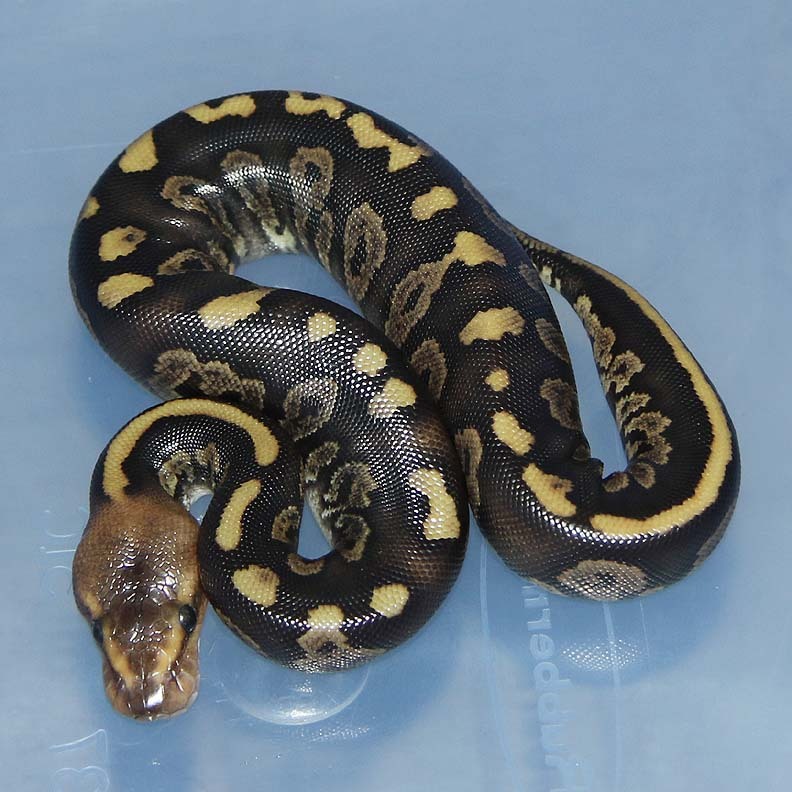 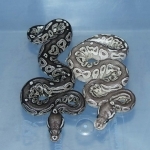 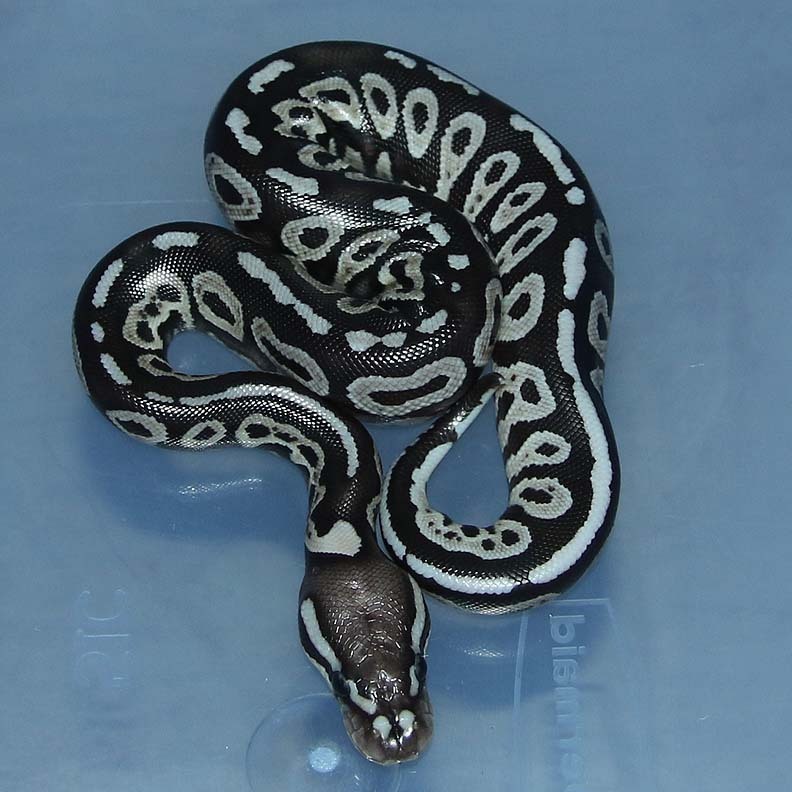 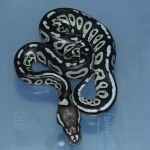 Description: Pastel Spark HRA Het Genetic Stripe 2/15 x Pin Champ HRA Het Genetic Stripe 1/14. 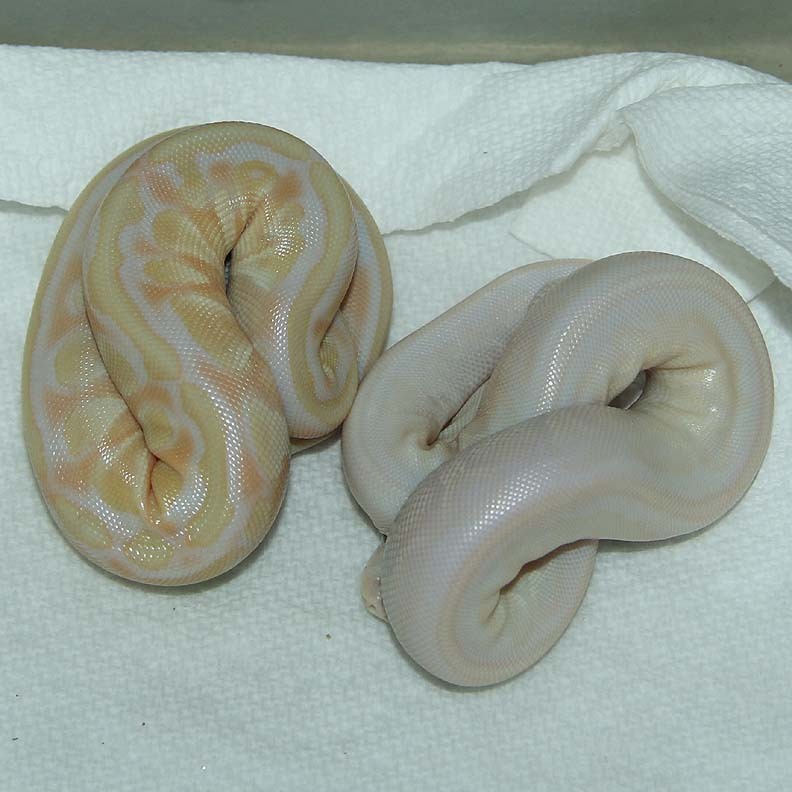 Description: Spark Het Lavender 2/15 x Lavender 1/13. 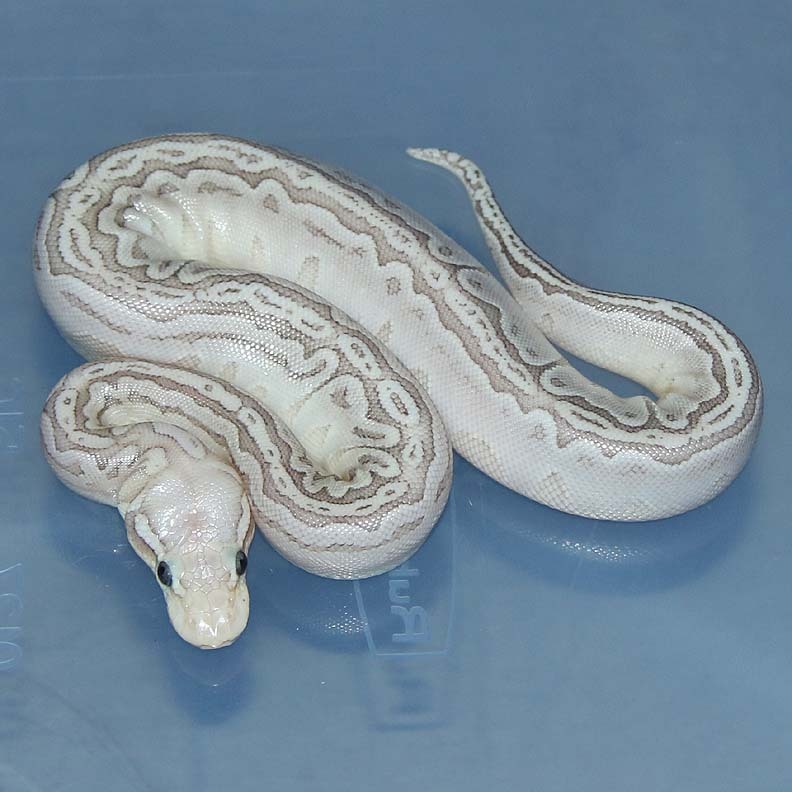 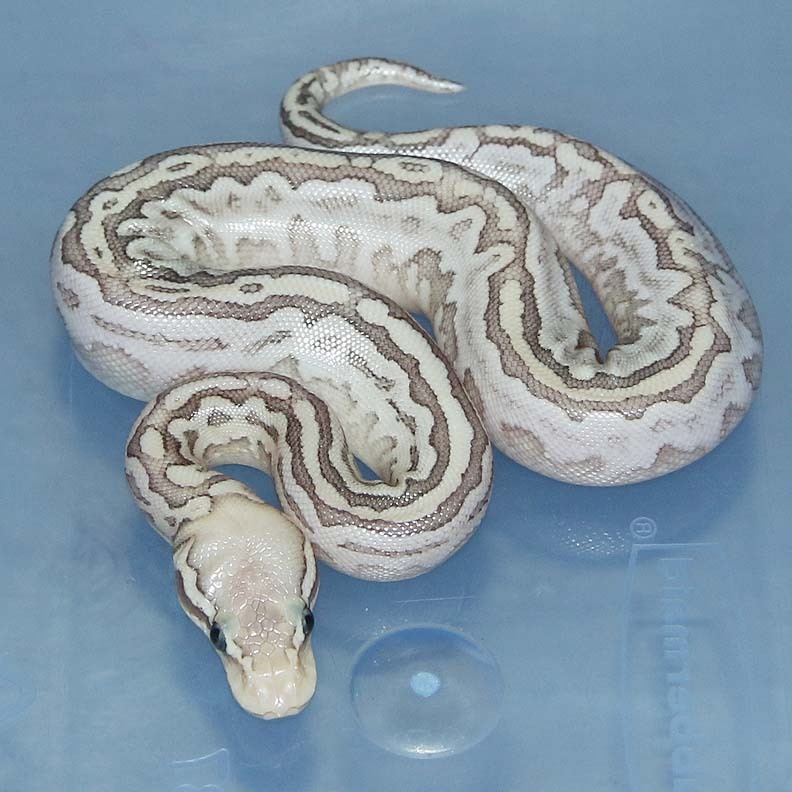 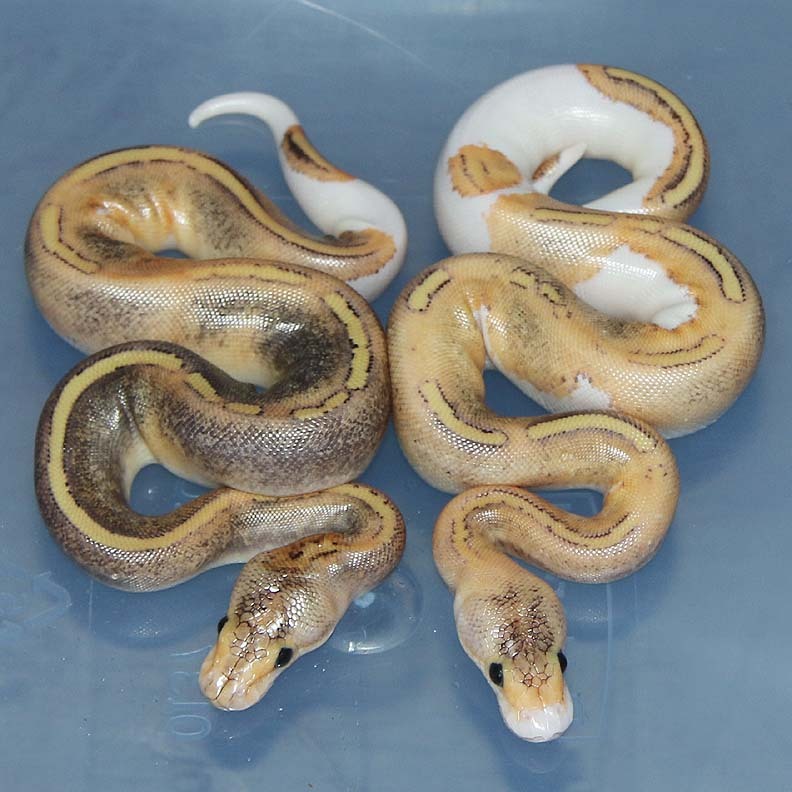 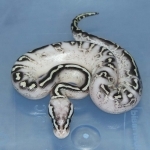 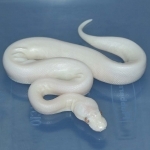 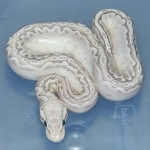 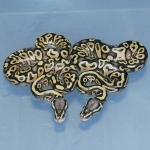 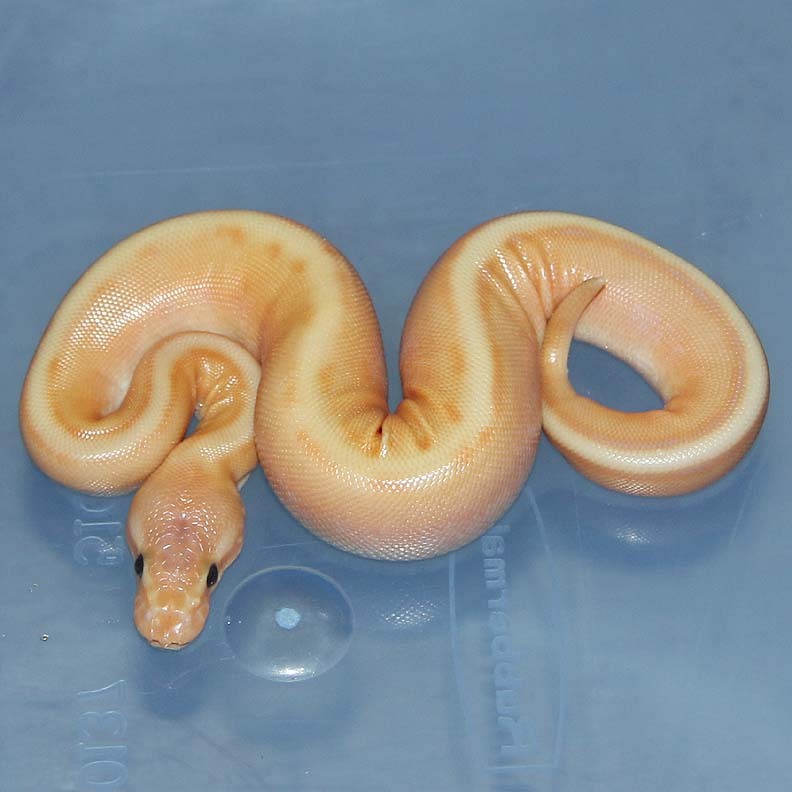 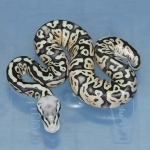 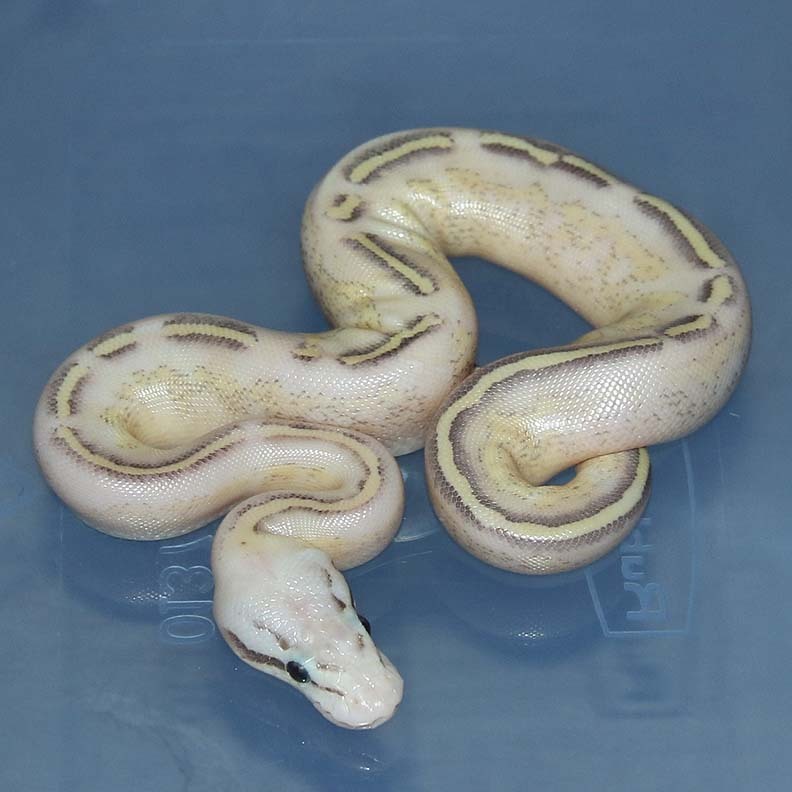 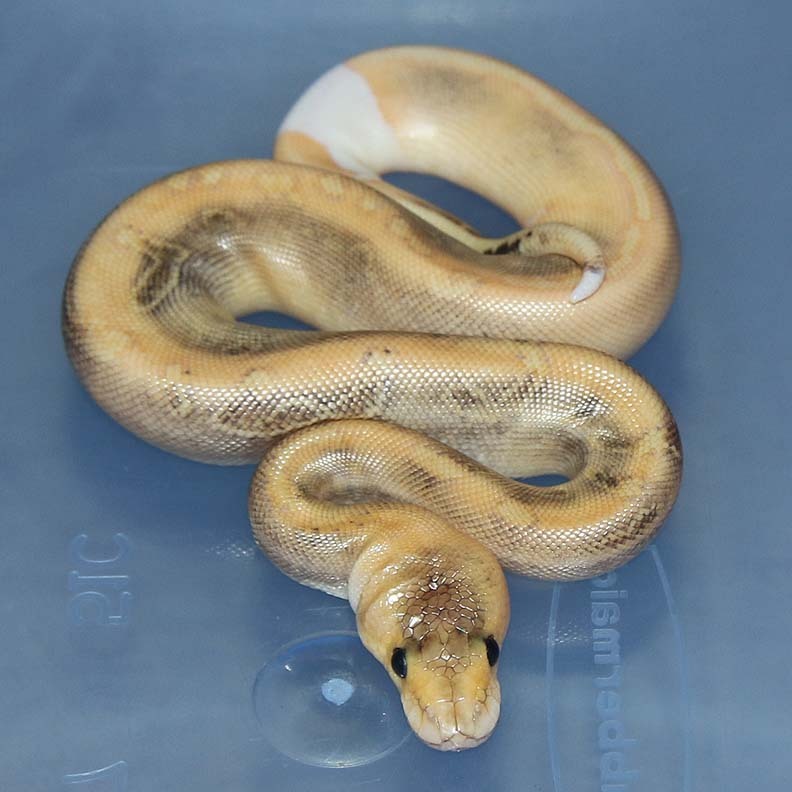 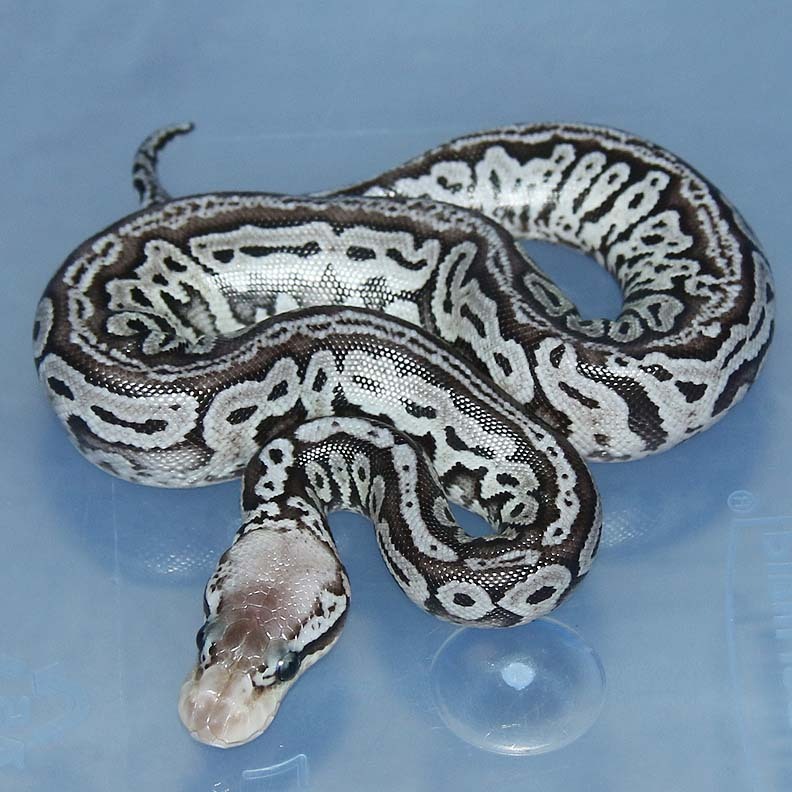 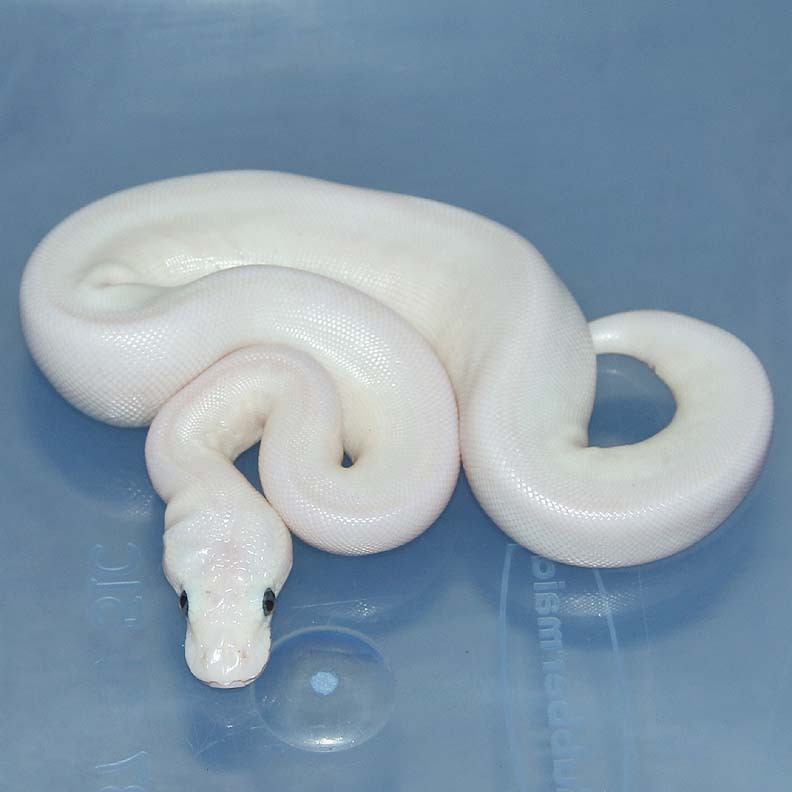 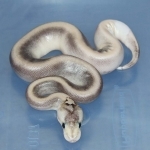 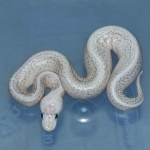 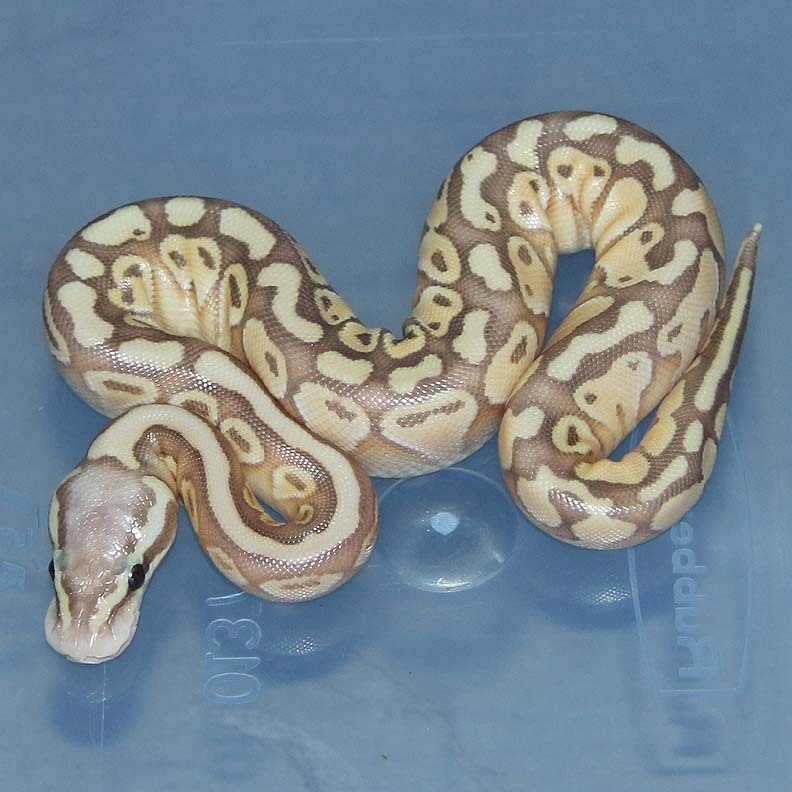 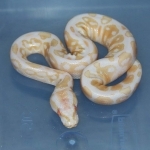 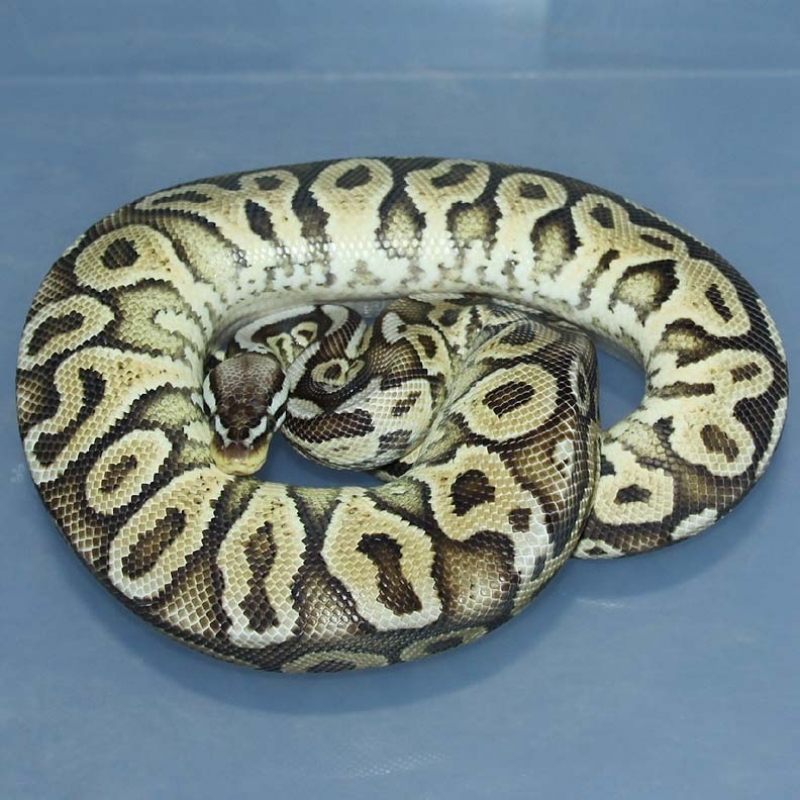 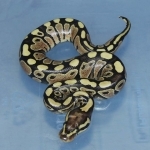 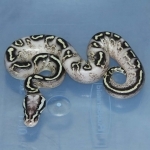 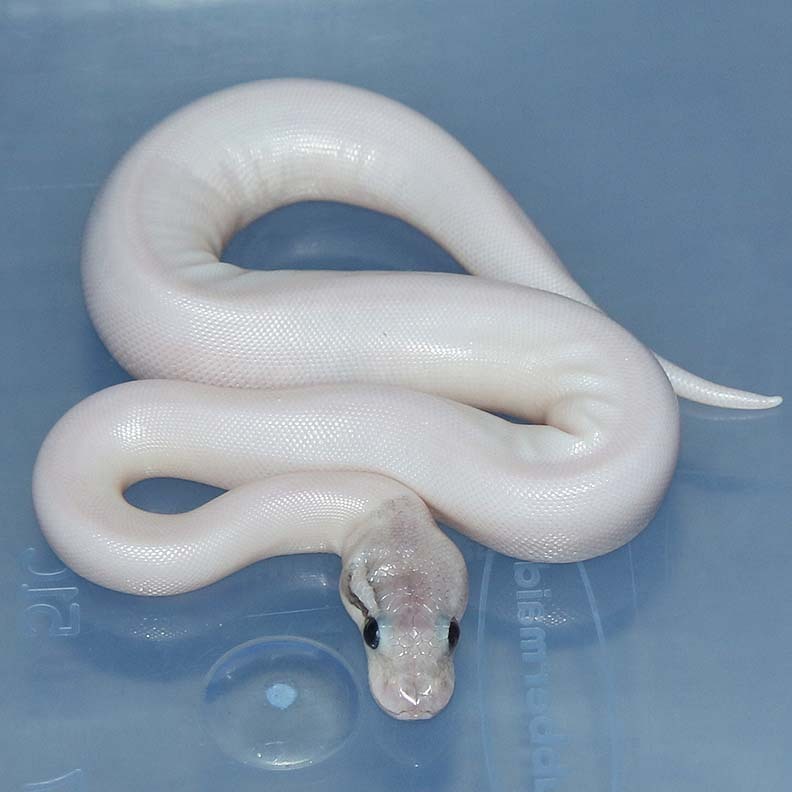 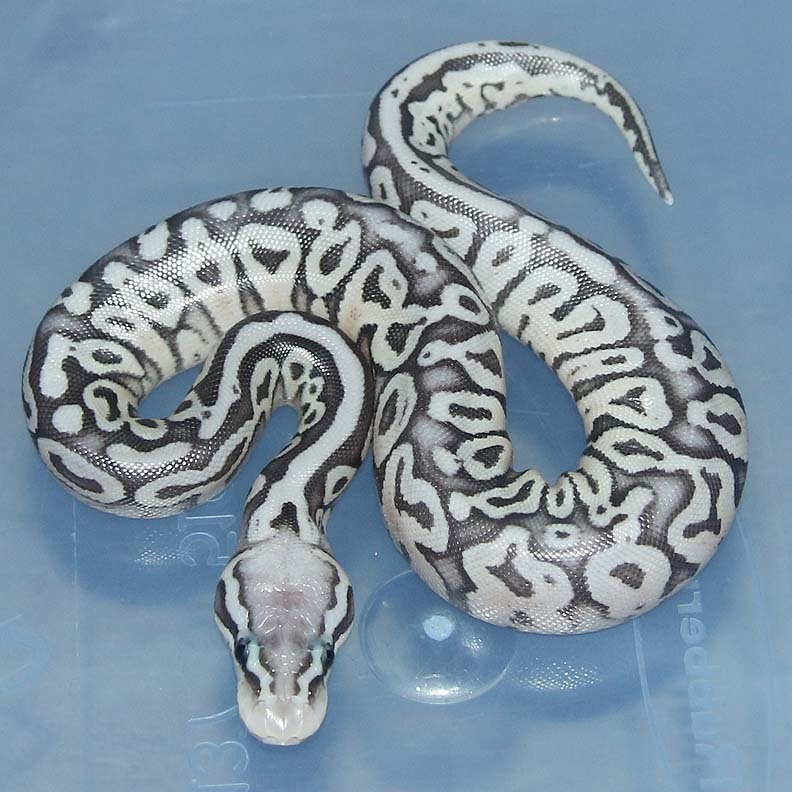 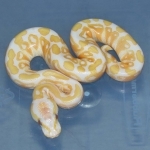 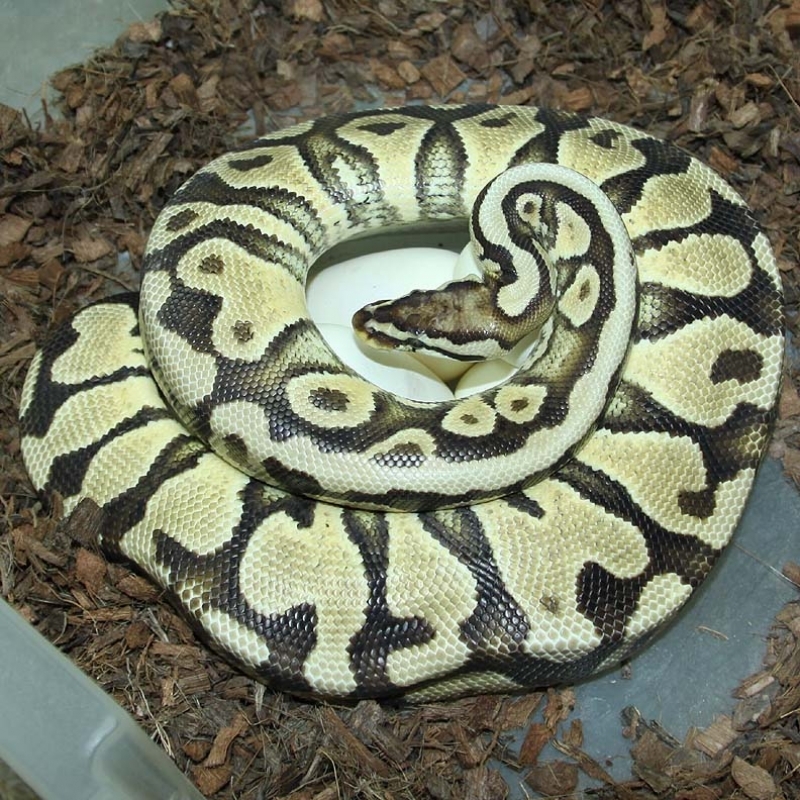 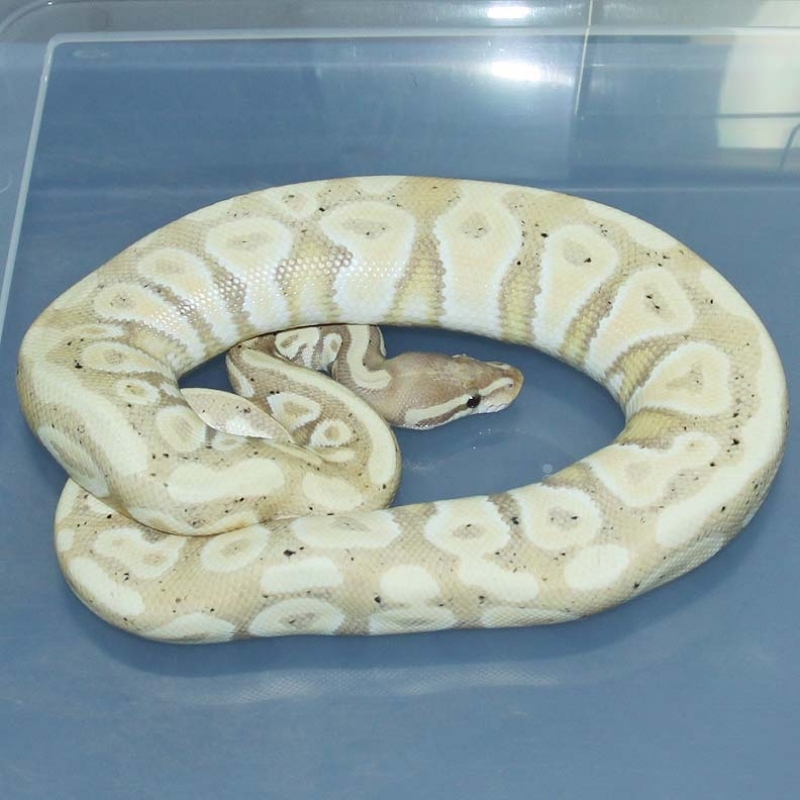 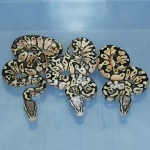 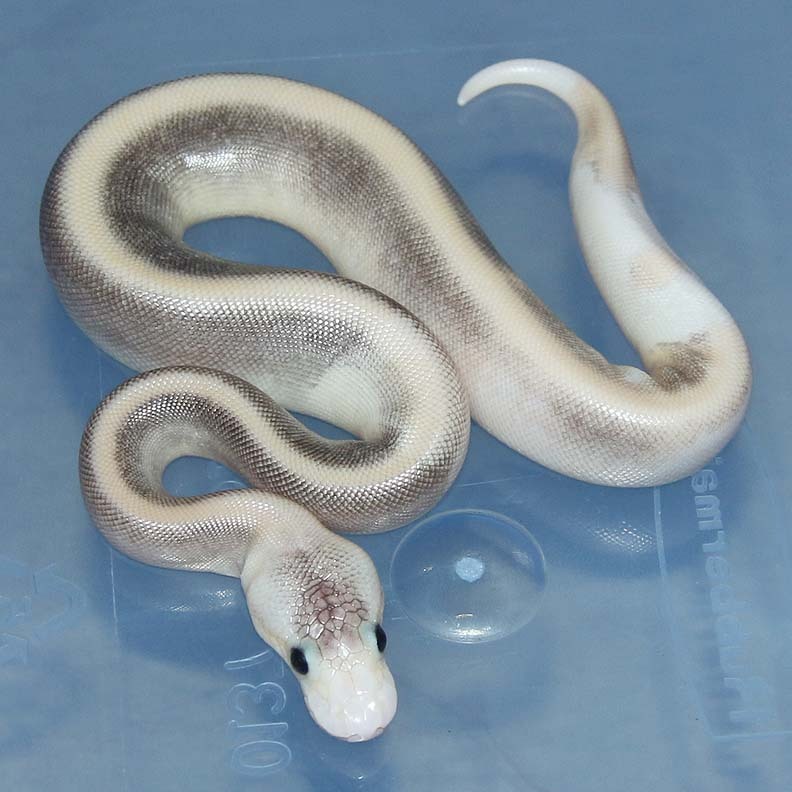 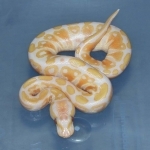 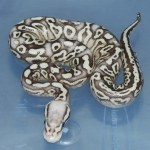 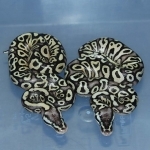 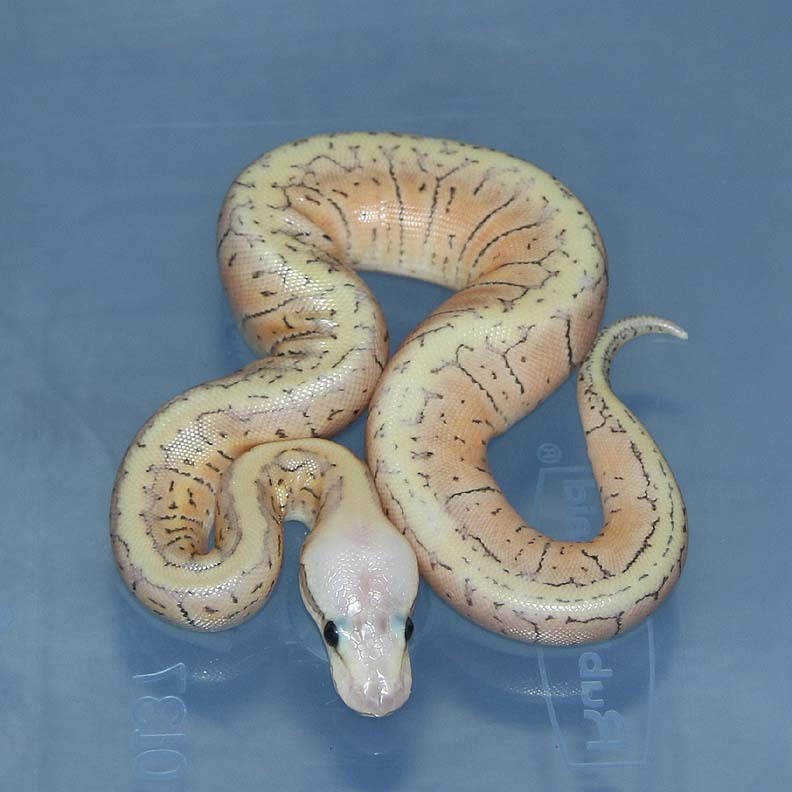 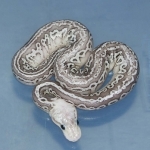 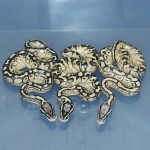 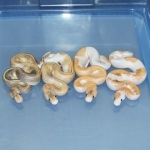 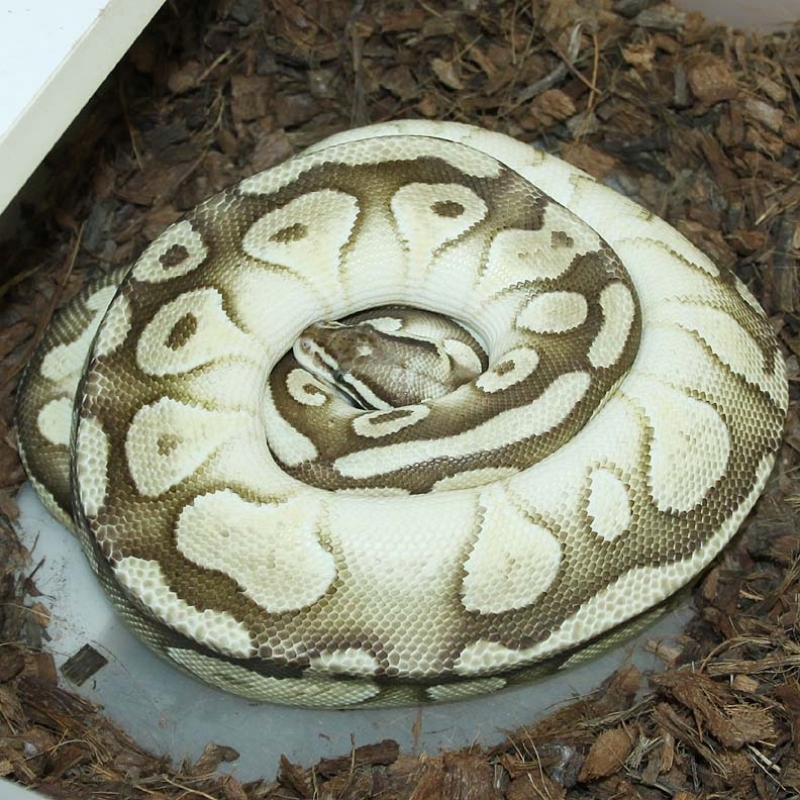 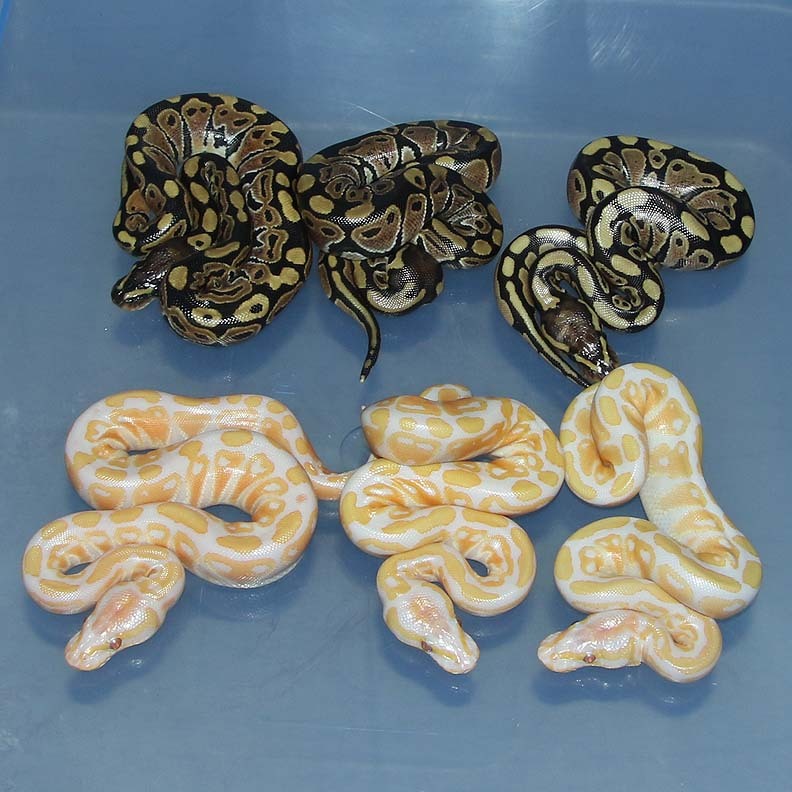 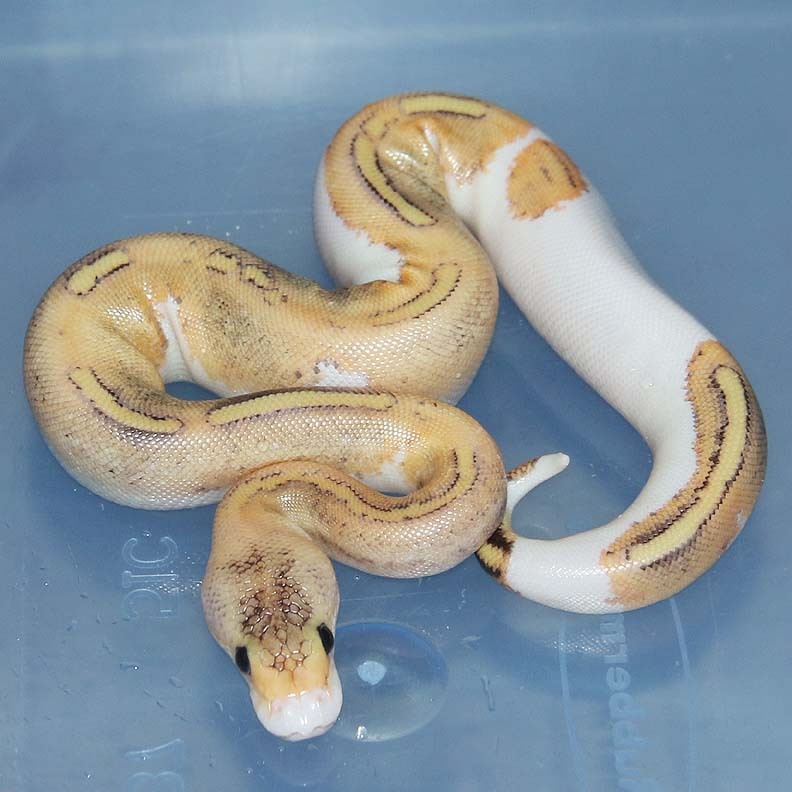 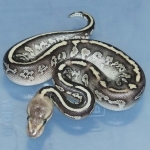 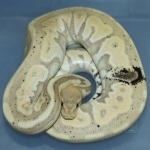 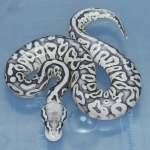 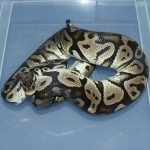 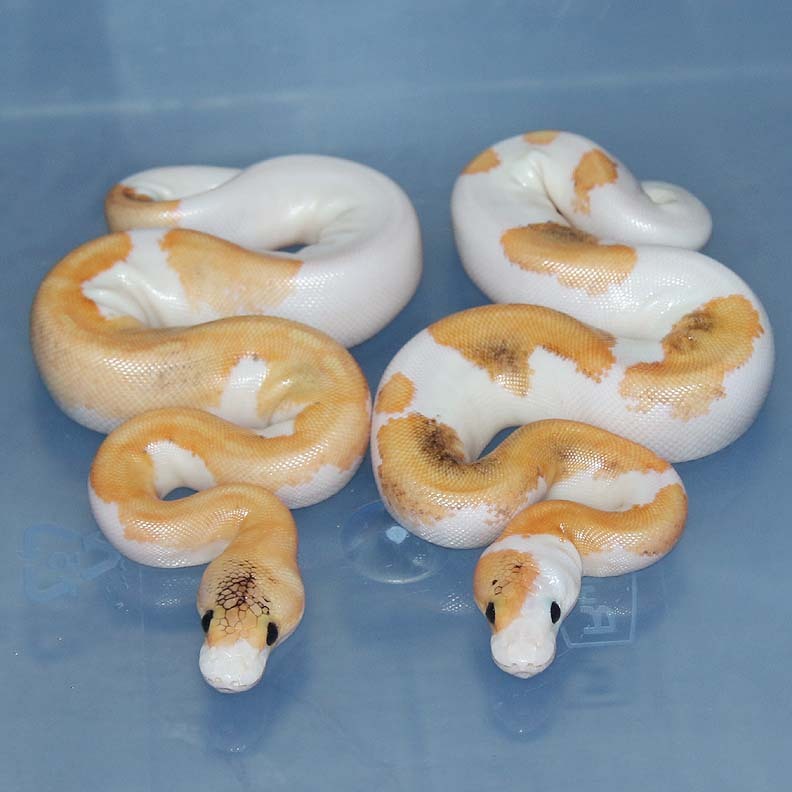 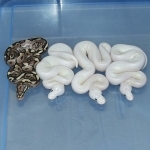 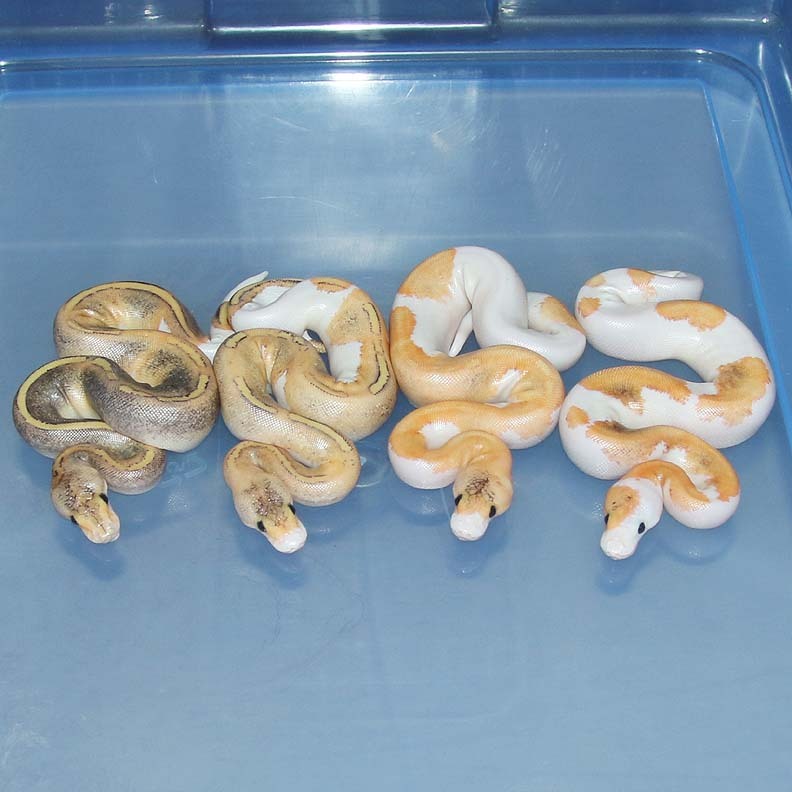 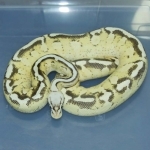 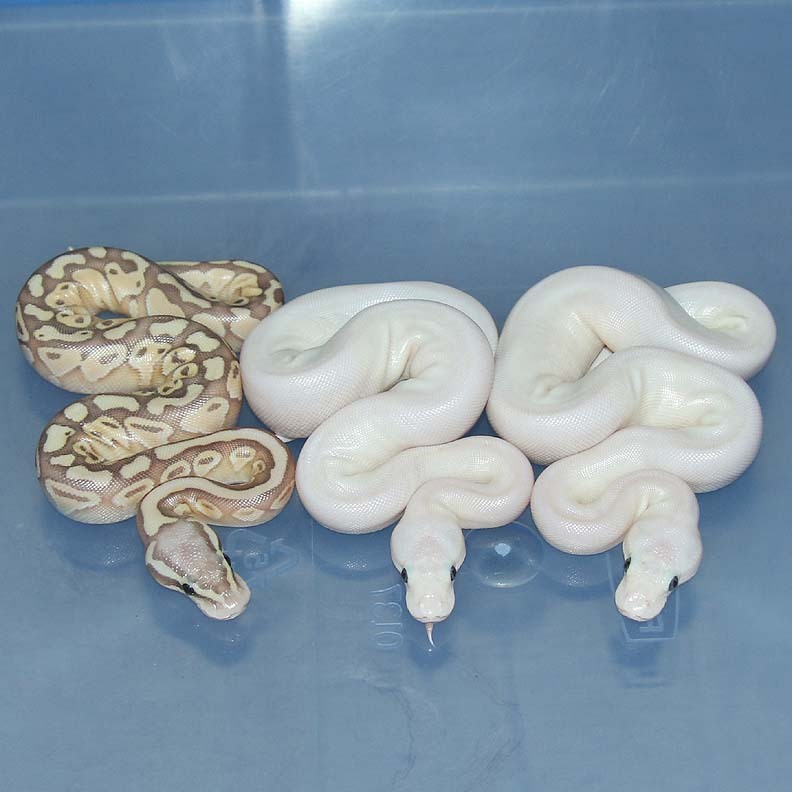 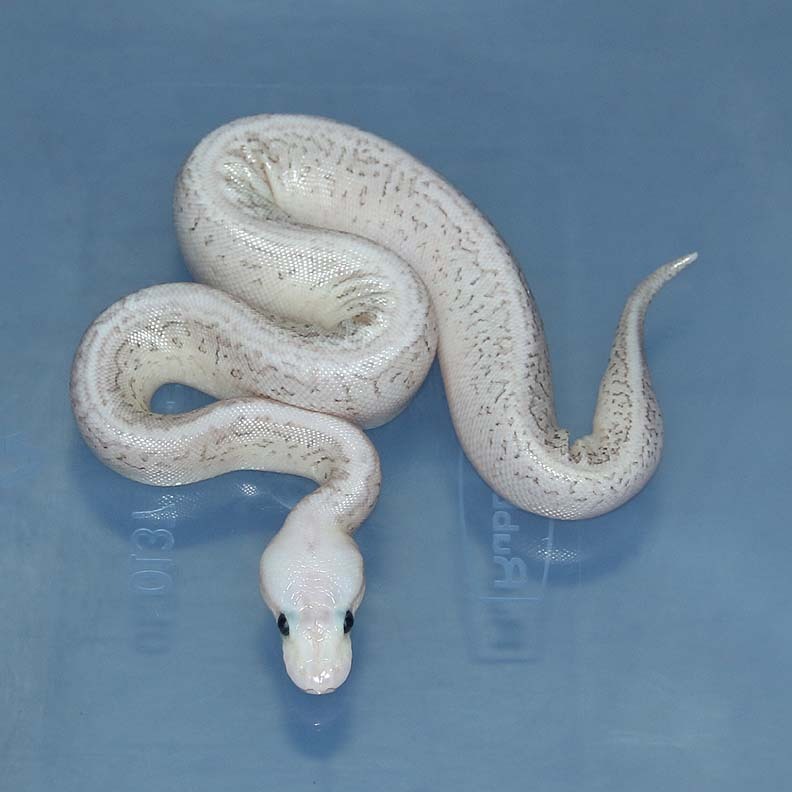 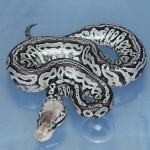 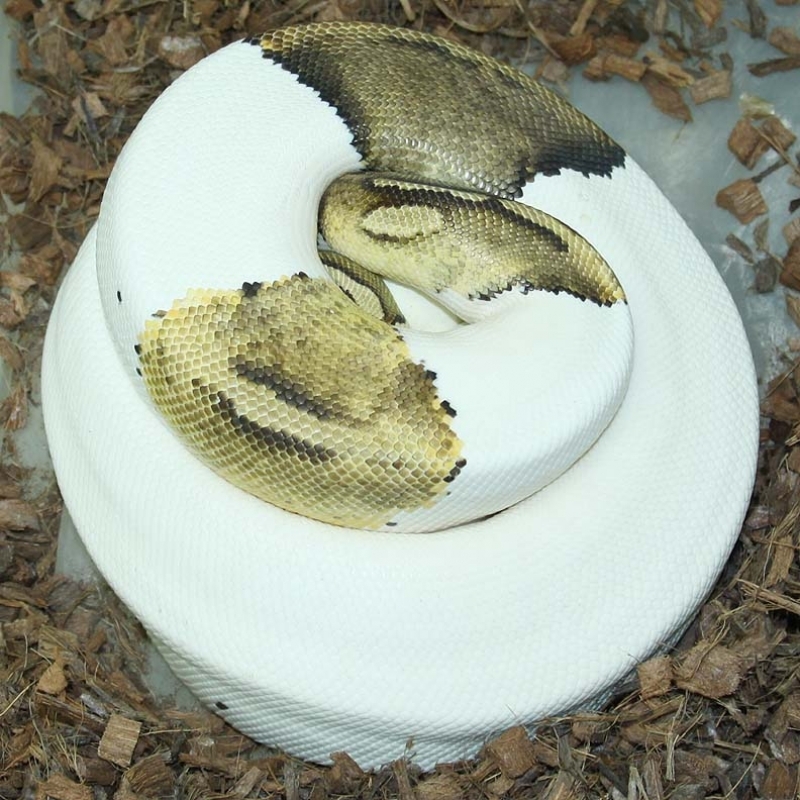 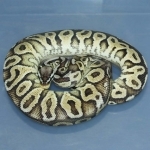 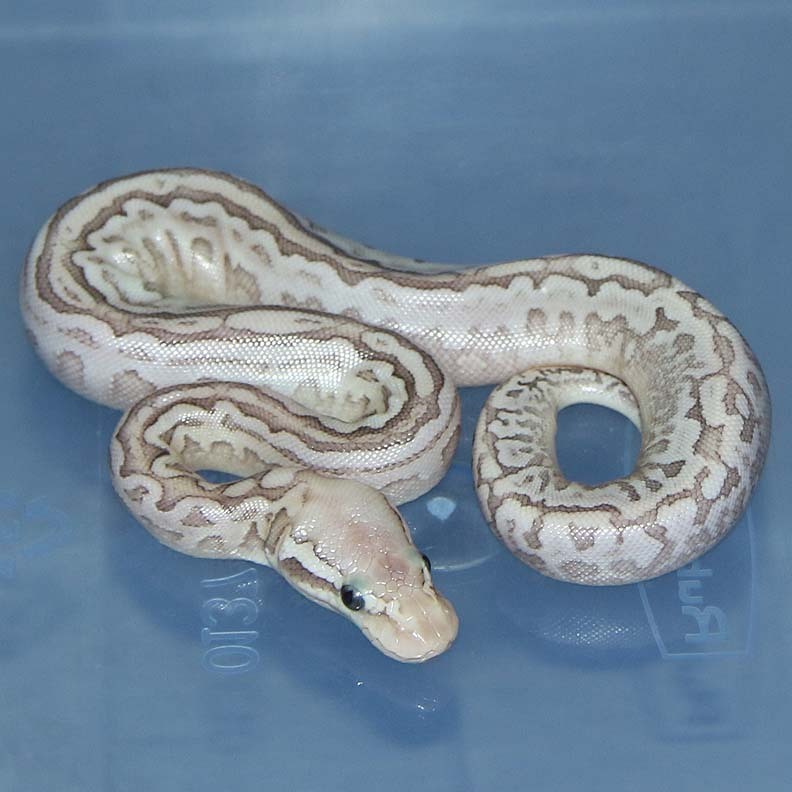 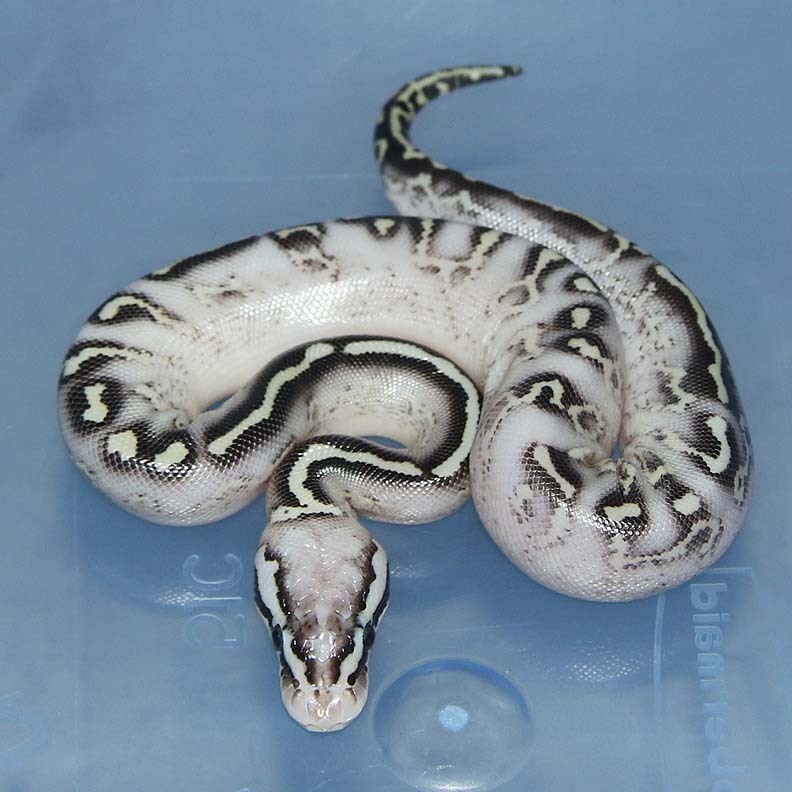 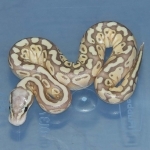 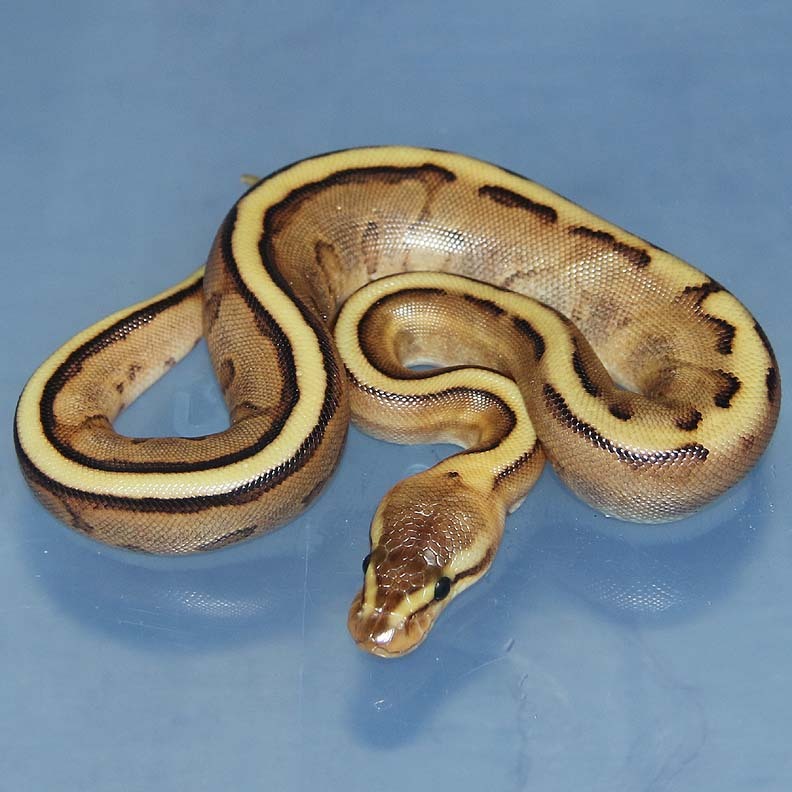 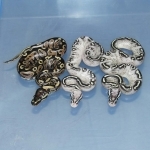 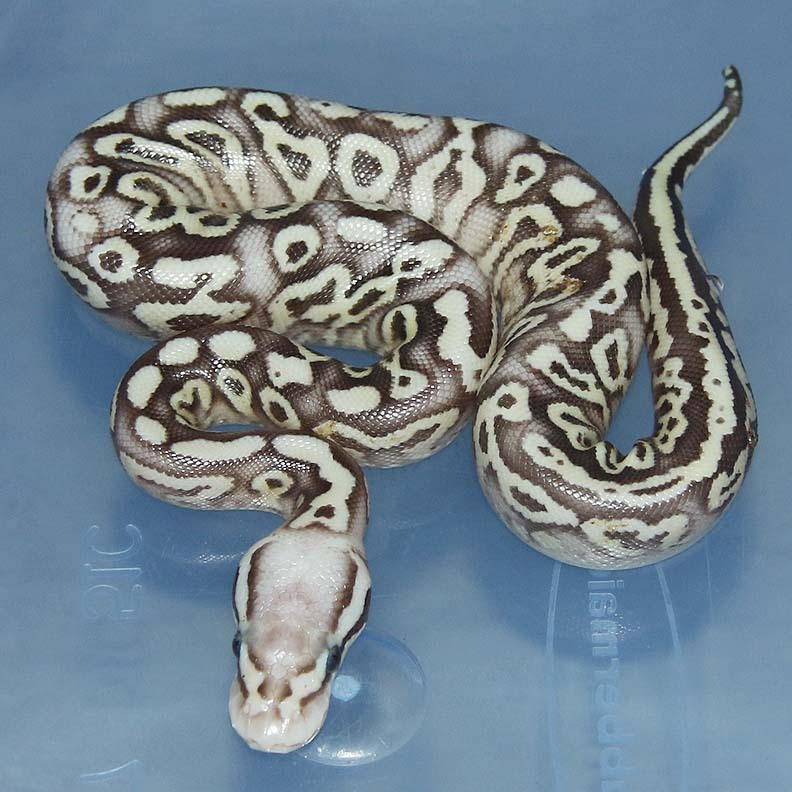 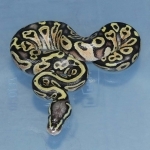 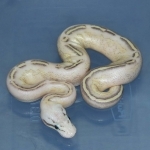 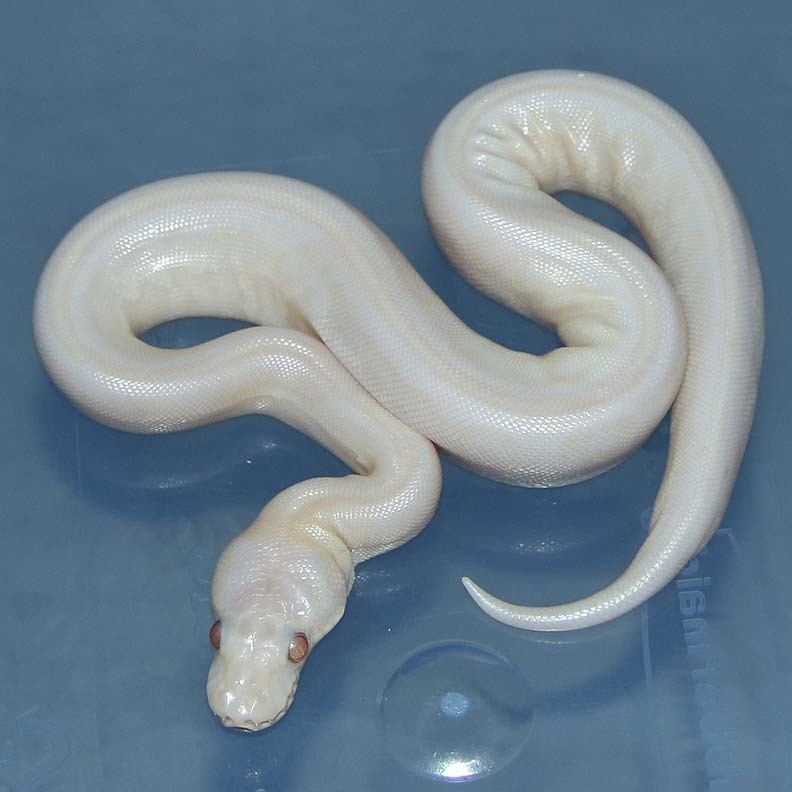 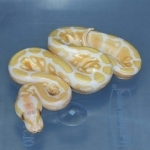 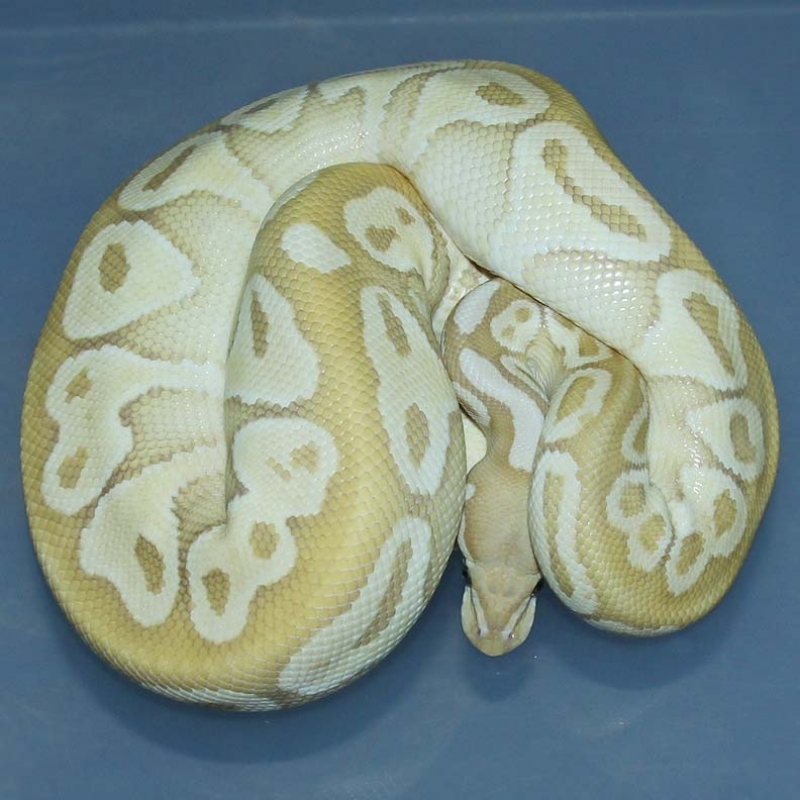 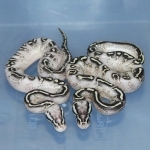 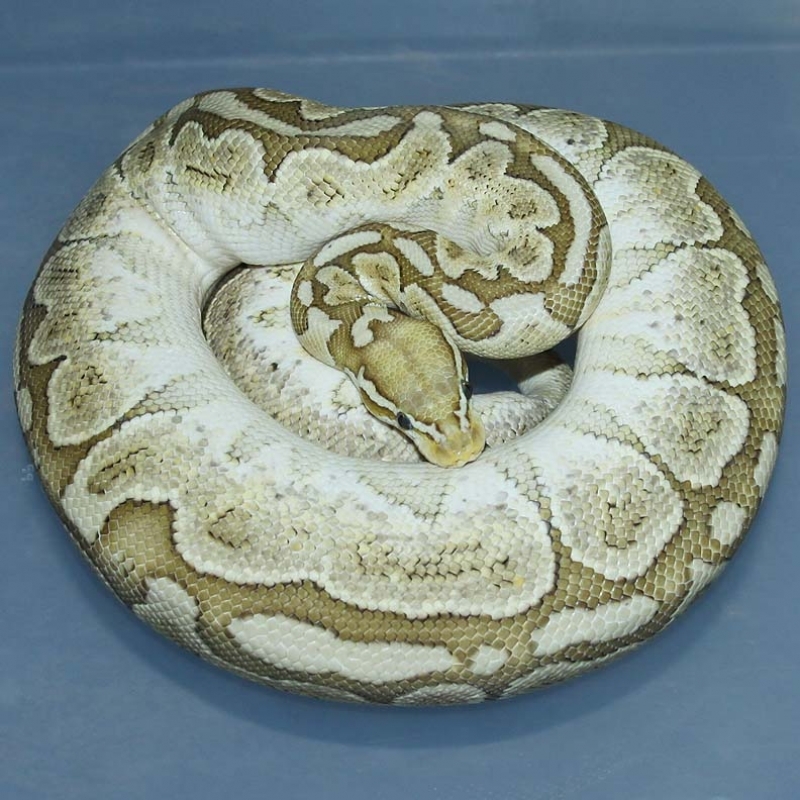 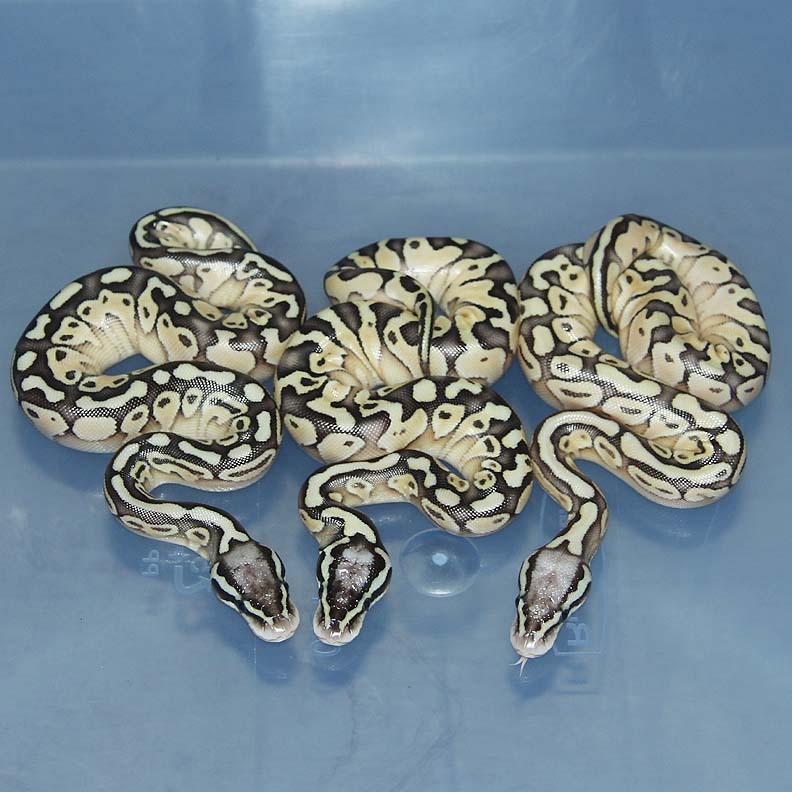 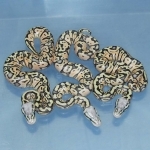 Description: Pastel Banana Pied 1/15 x Pastel Pin Champ RA 2/12. Description: Banana SUMA HRA 2/15 x Red Axanthic Chocolate 1/13. 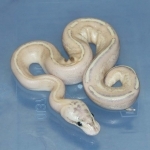 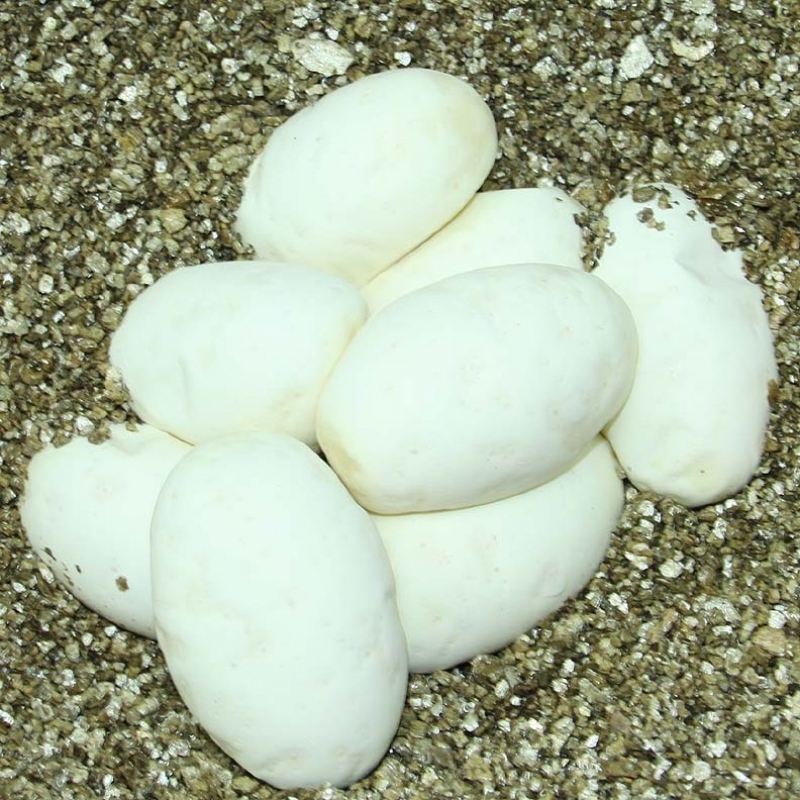 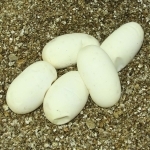 Description: Pied Champagne 1/15 x Ivory 6/11. 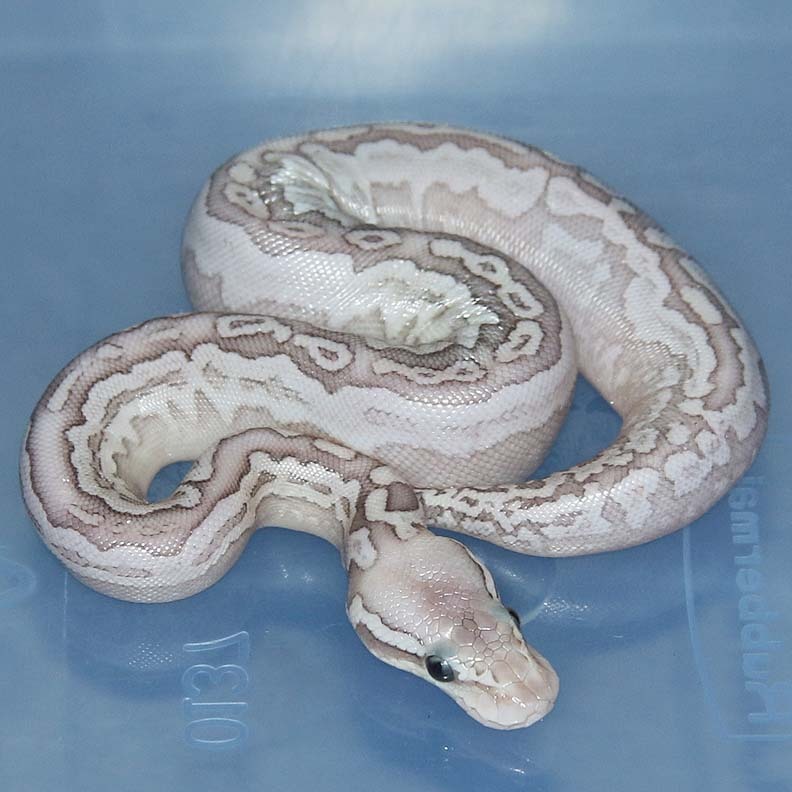 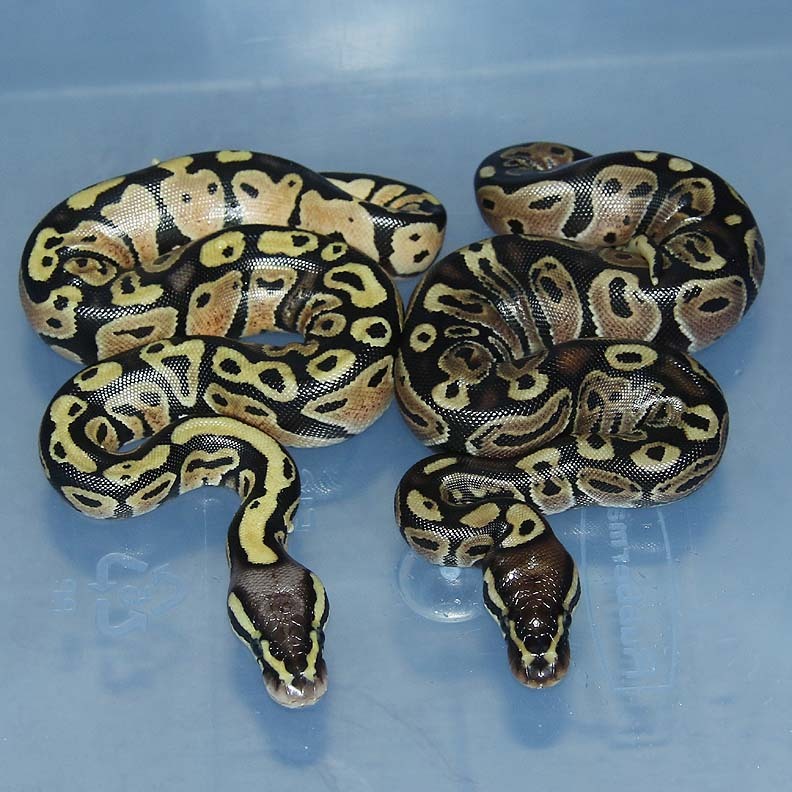 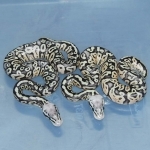 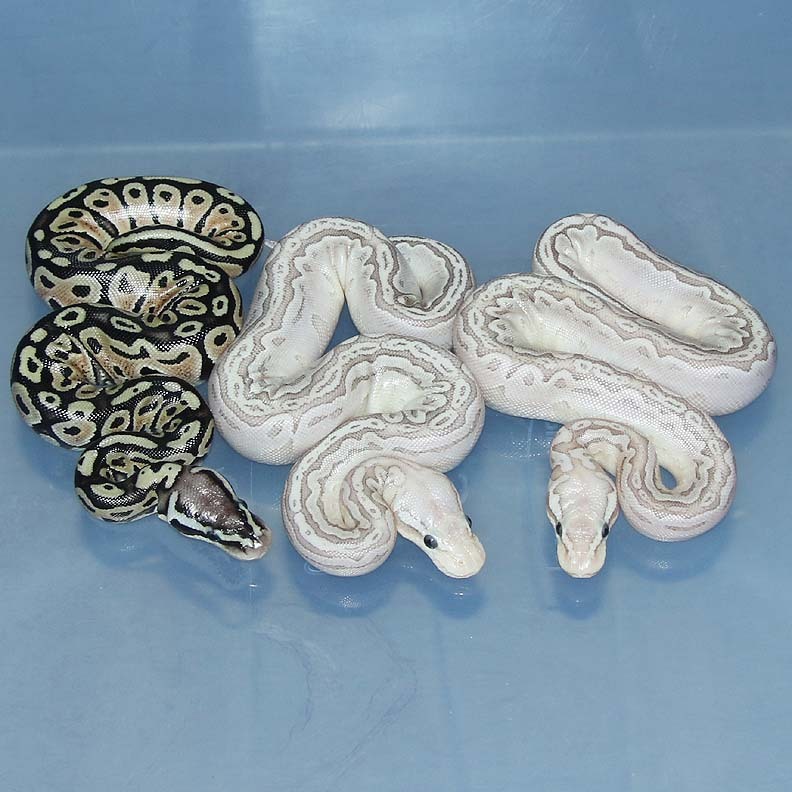 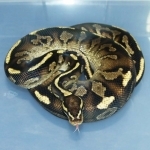 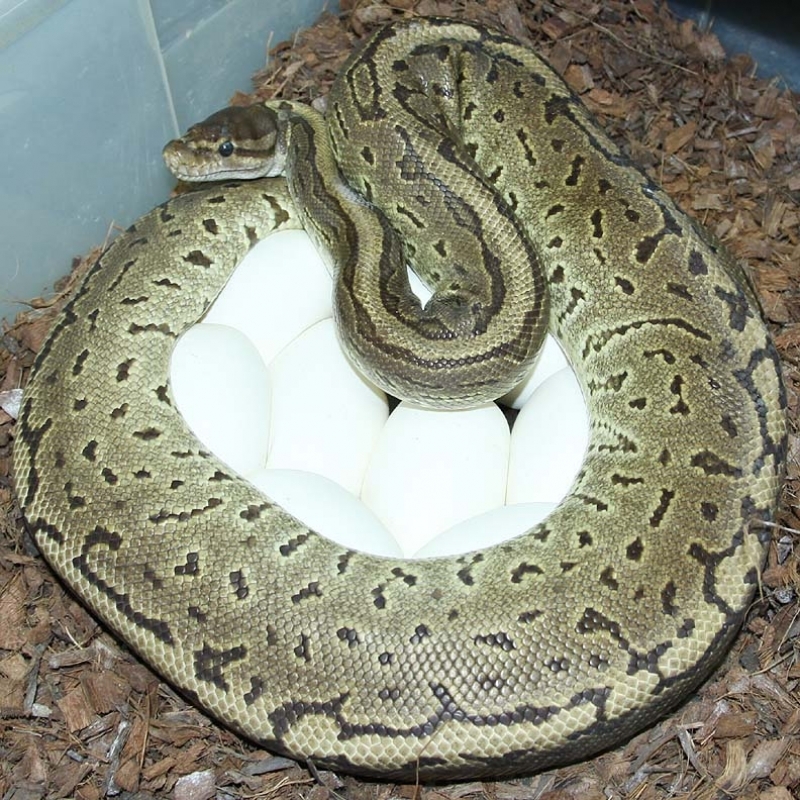 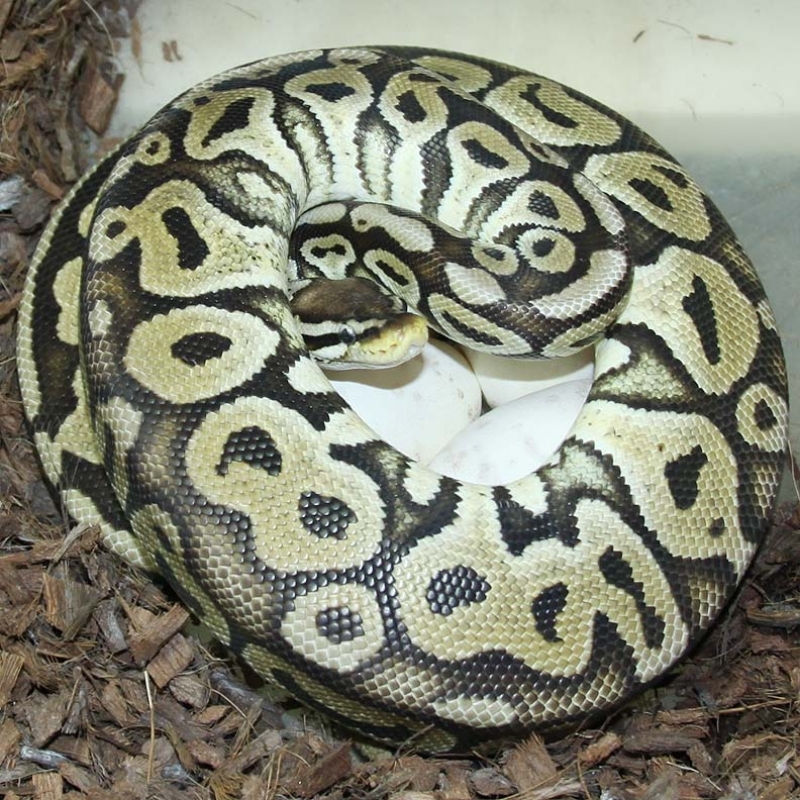 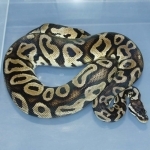 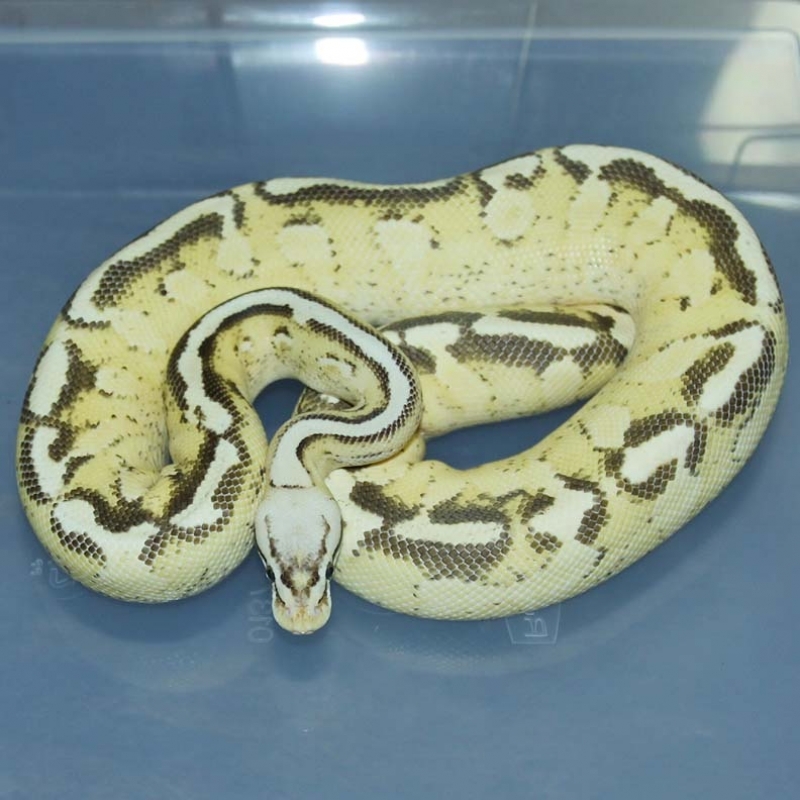 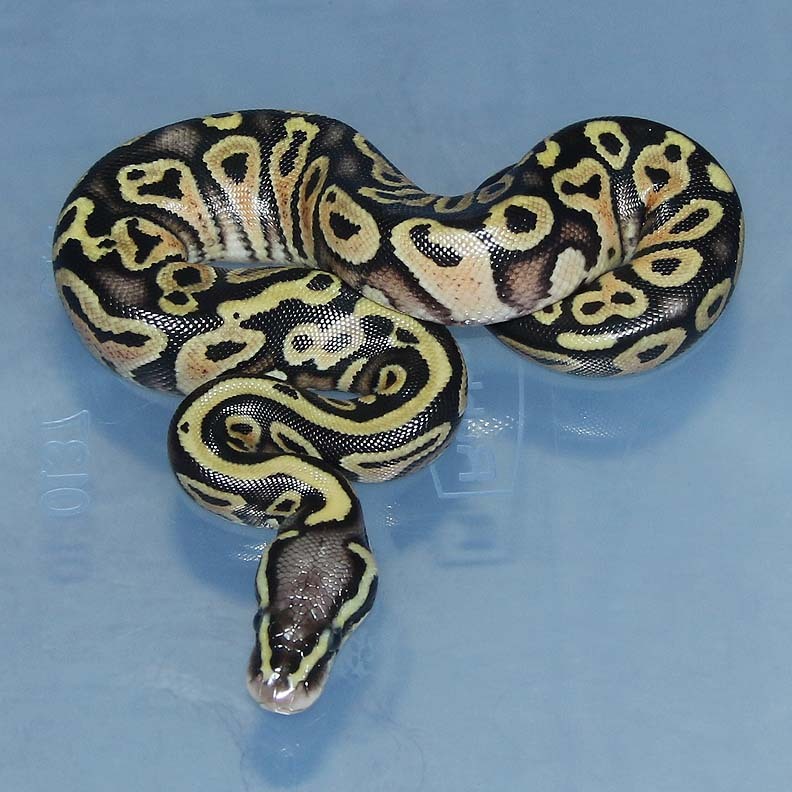 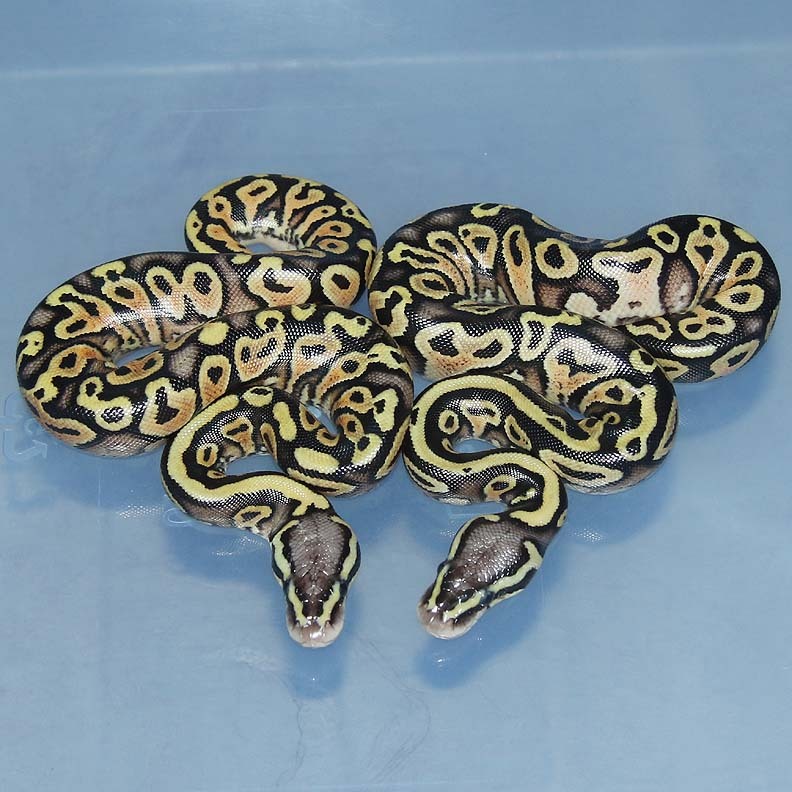 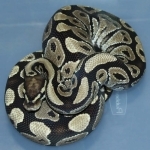 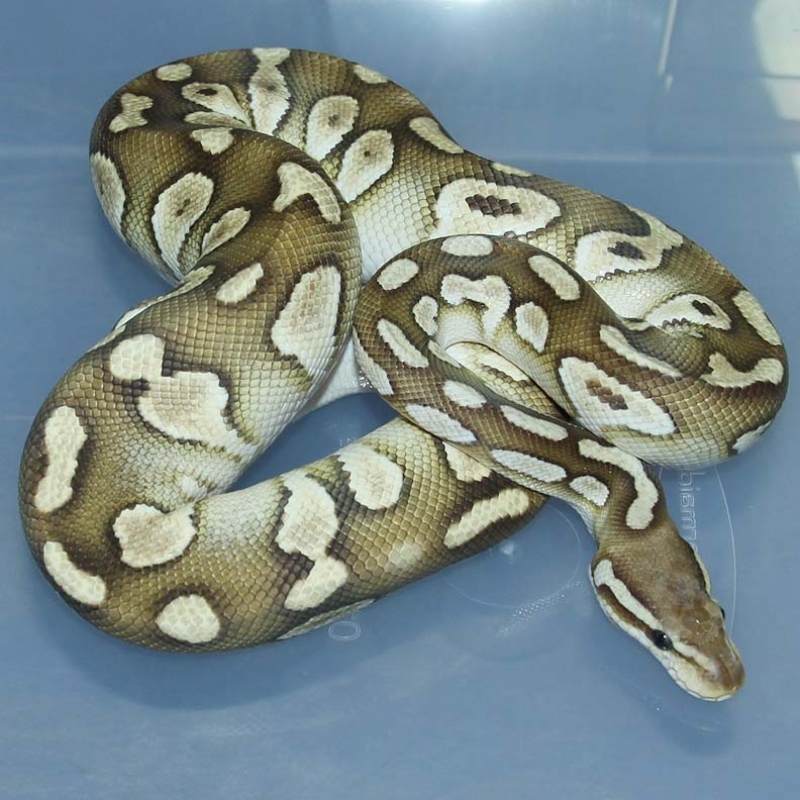 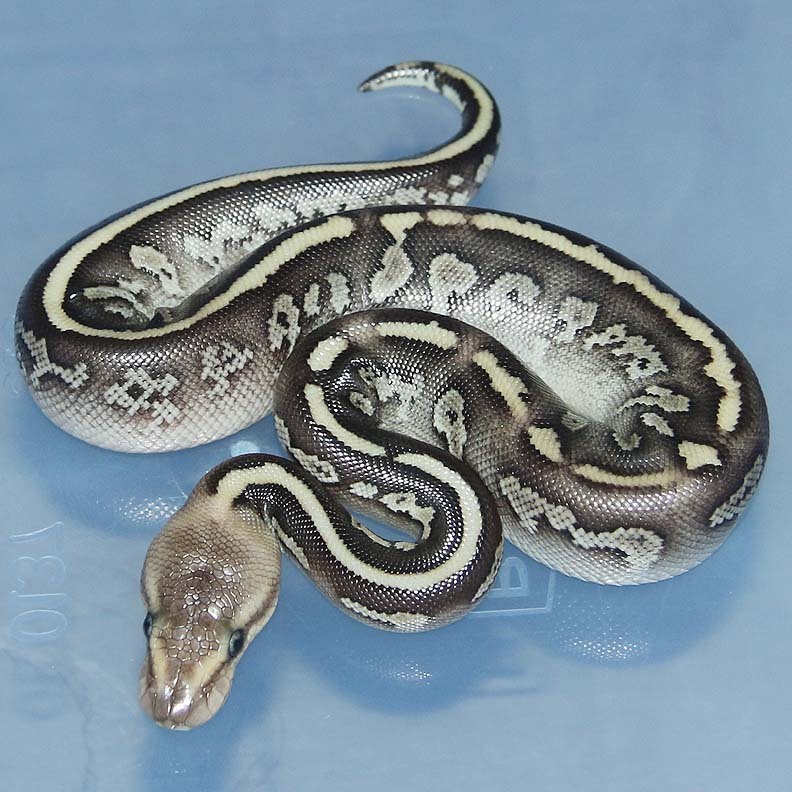 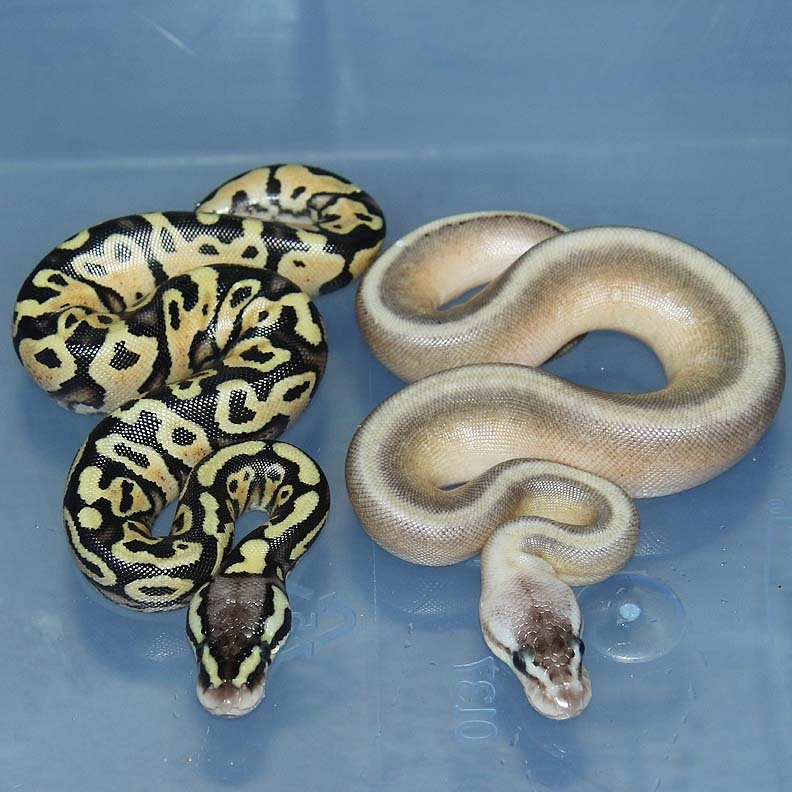 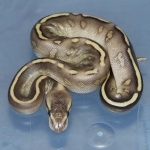 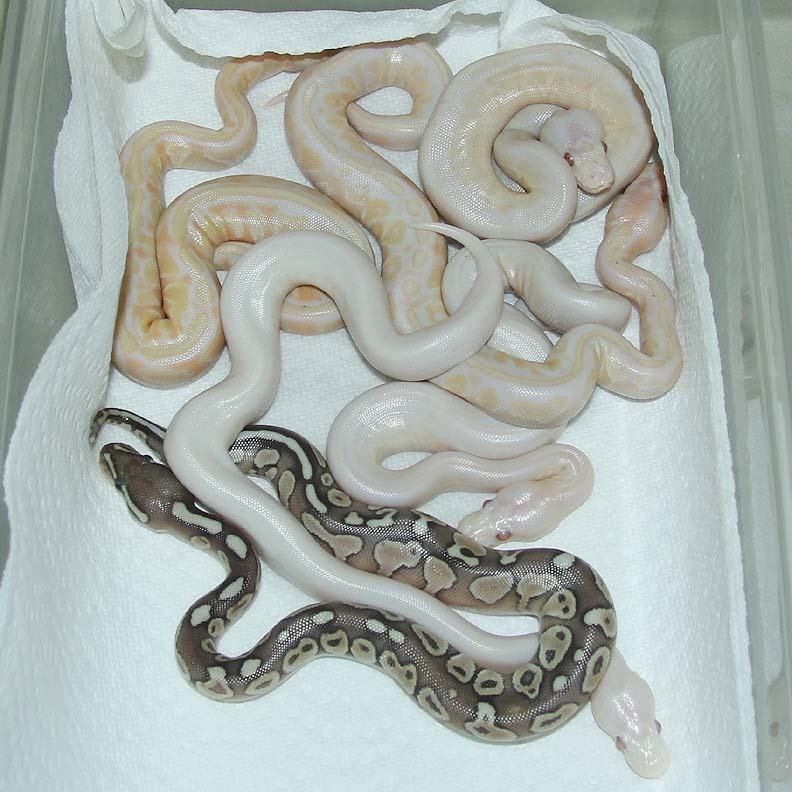 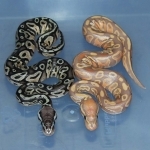 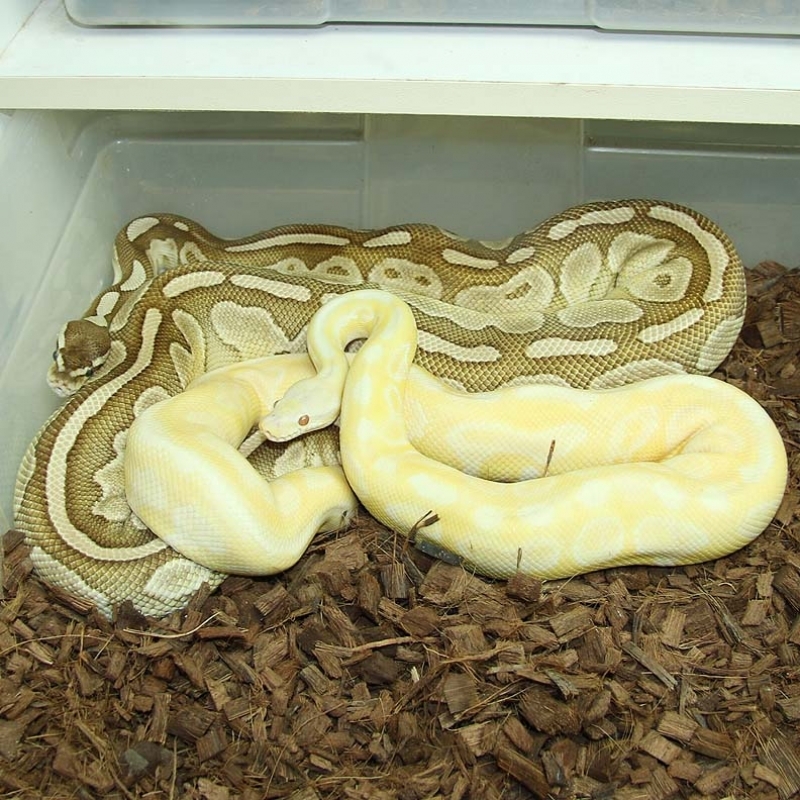 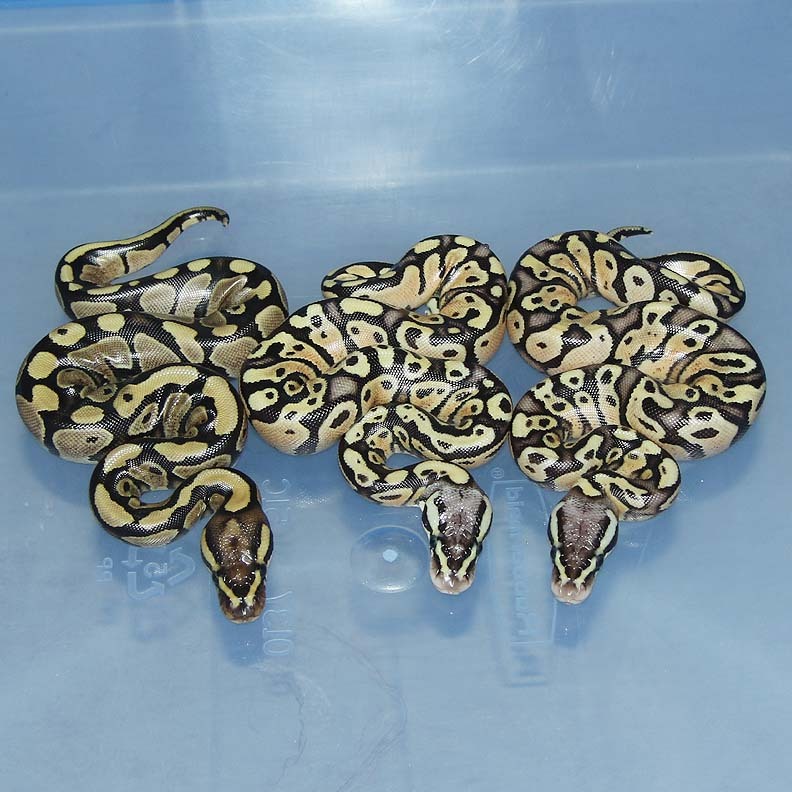 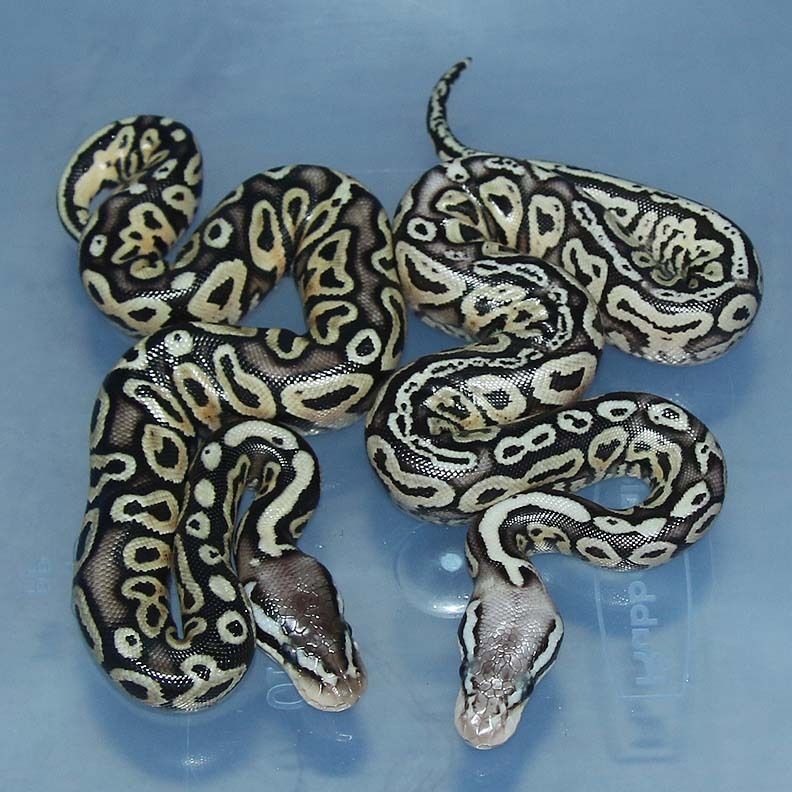 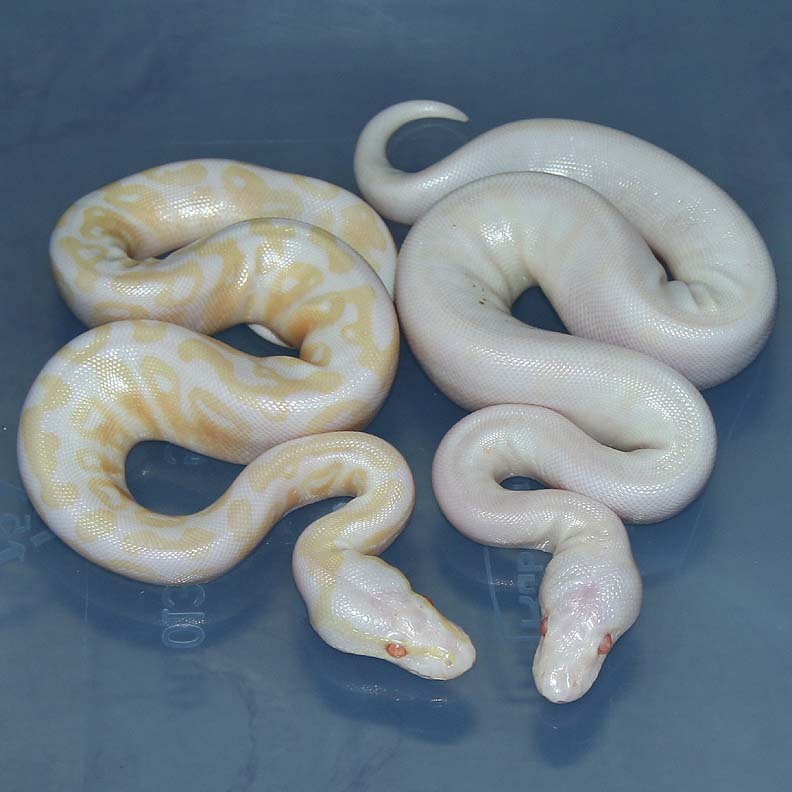 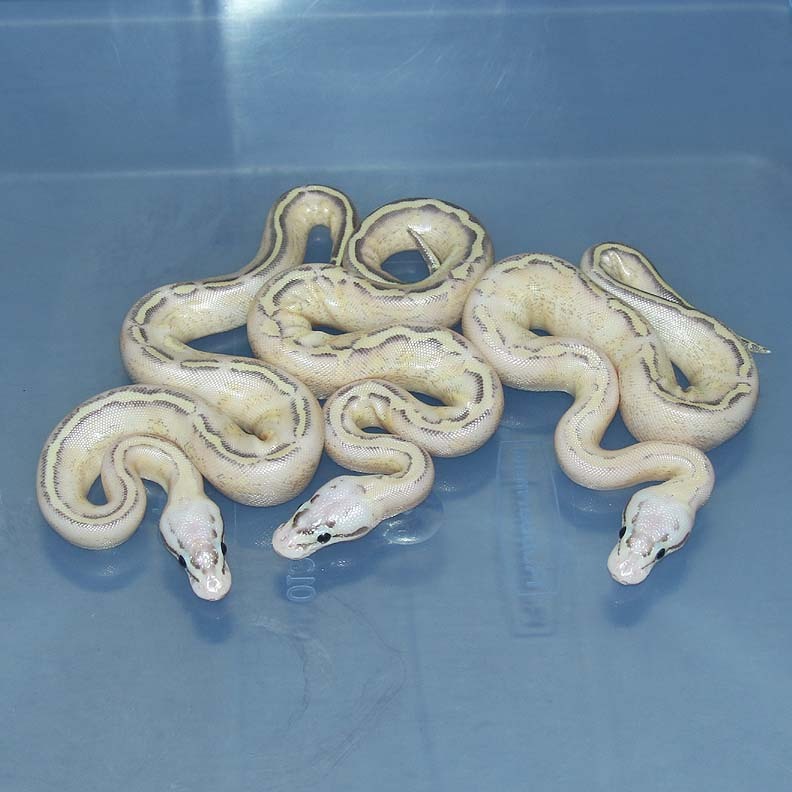 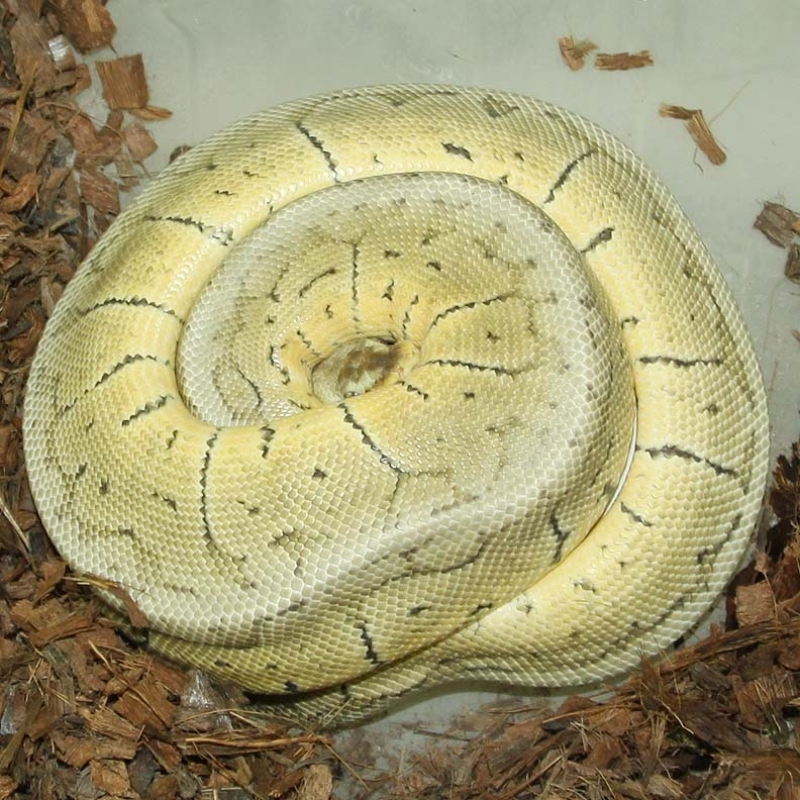 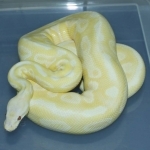 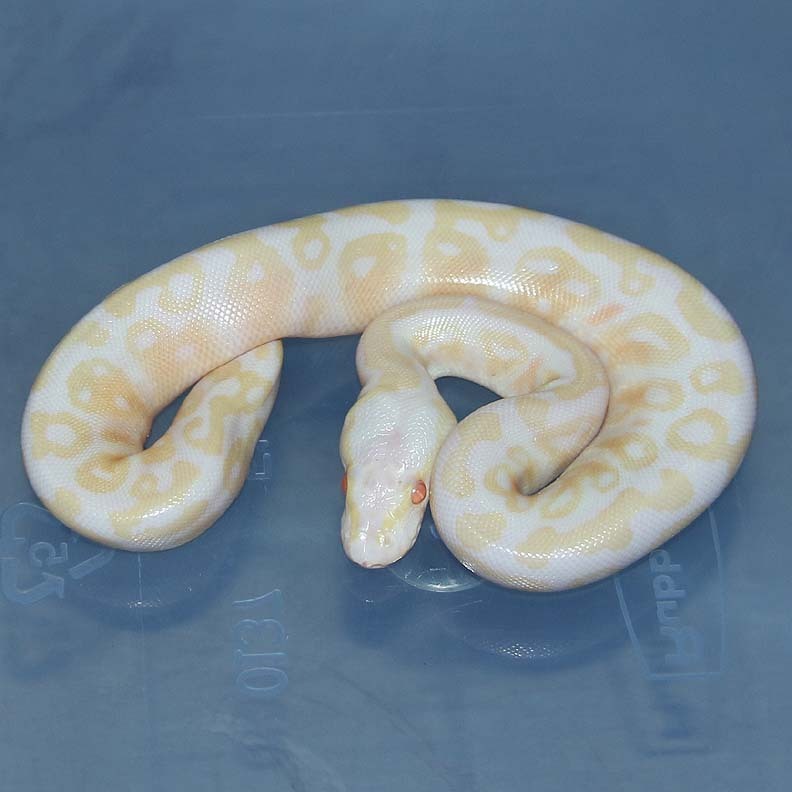 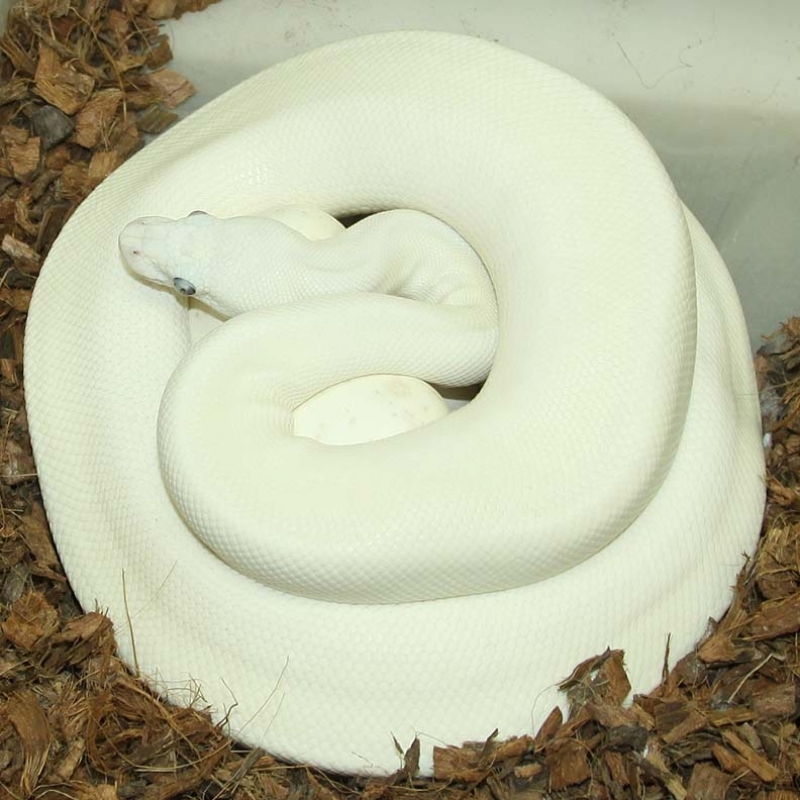 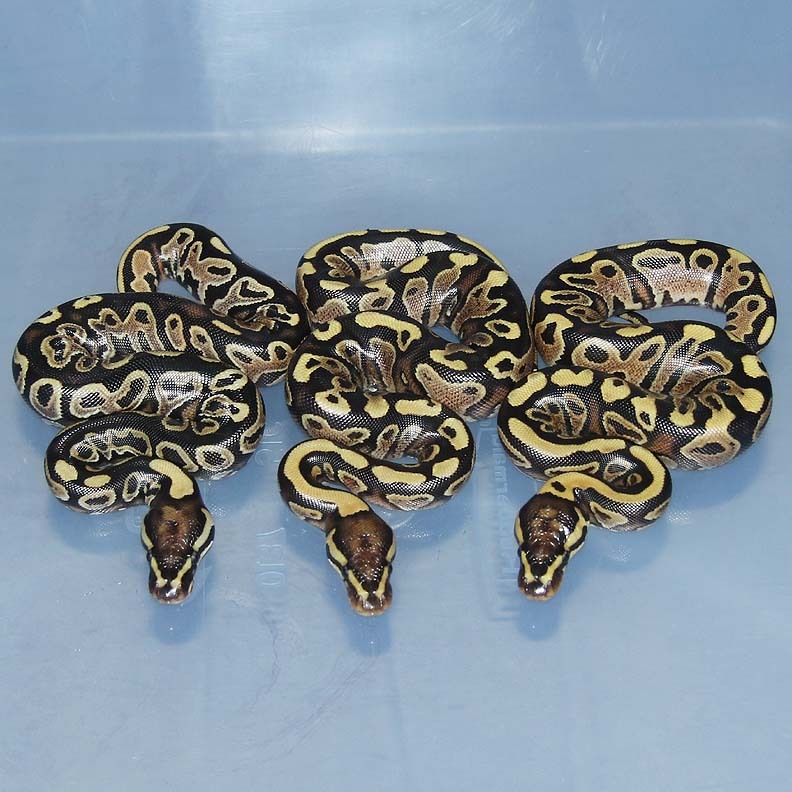 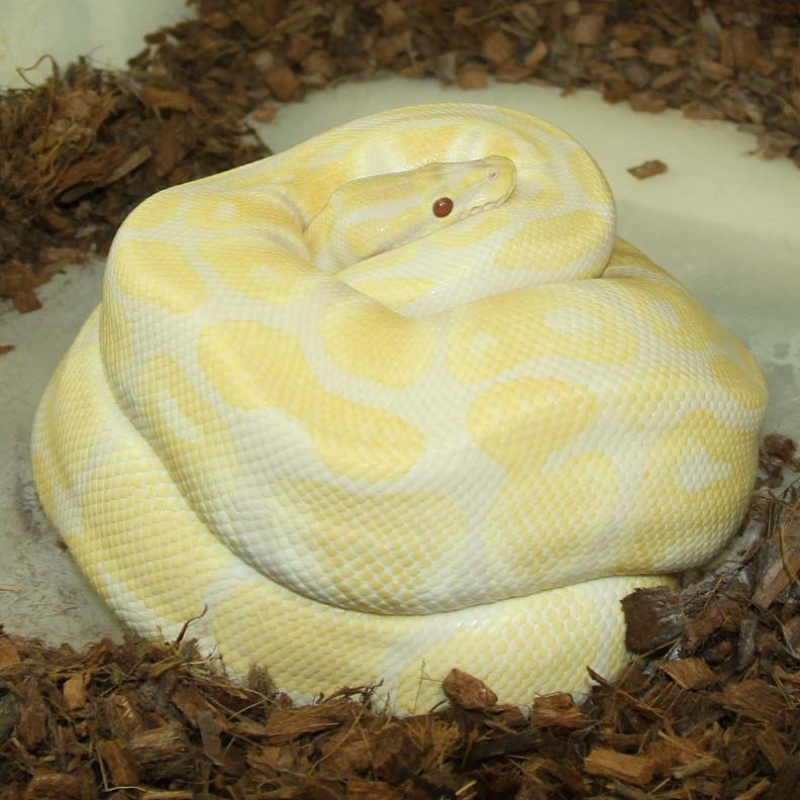 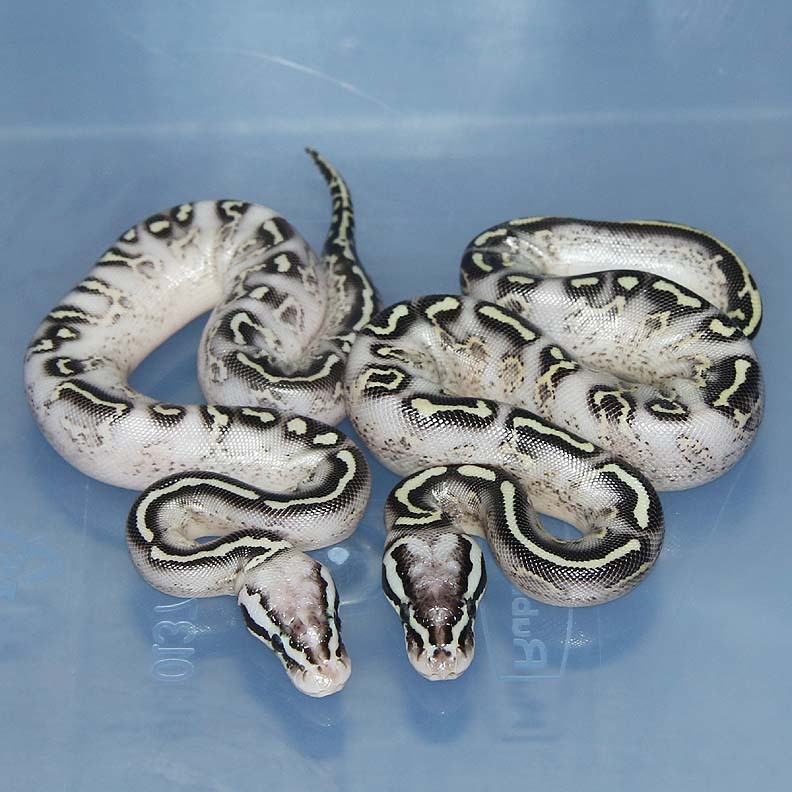 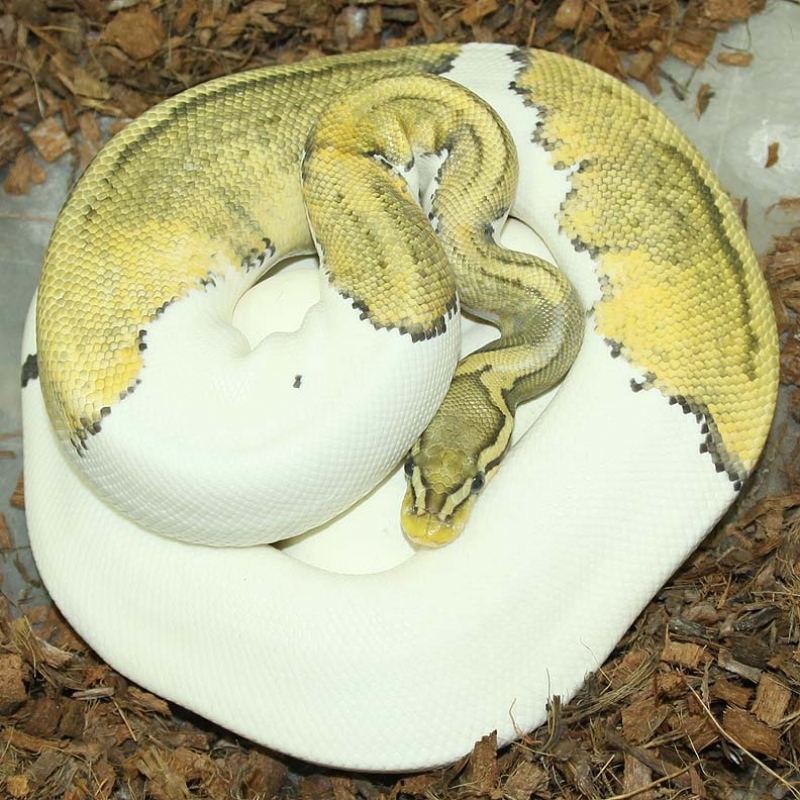 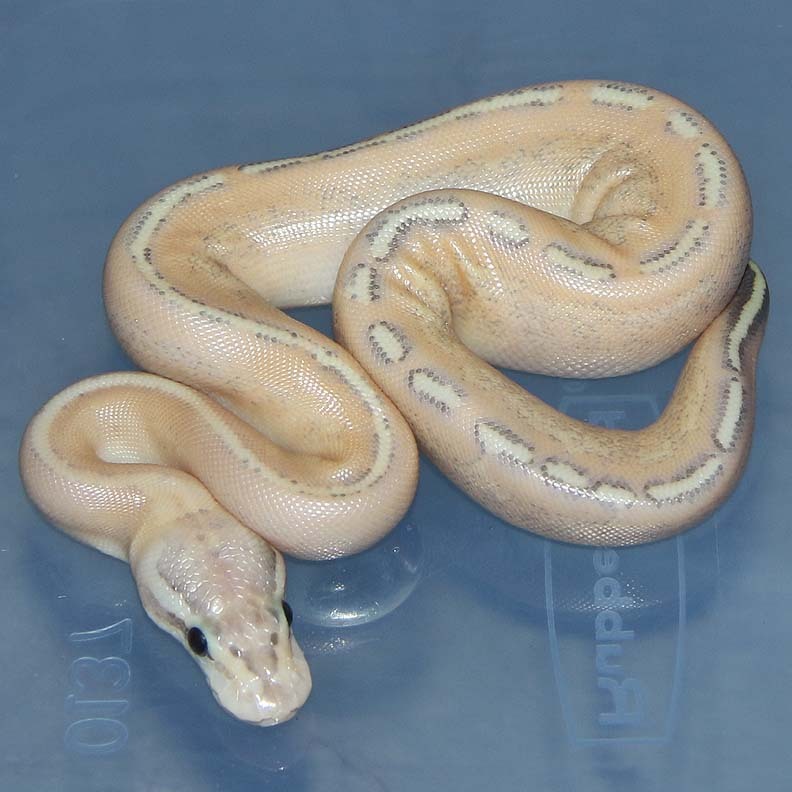 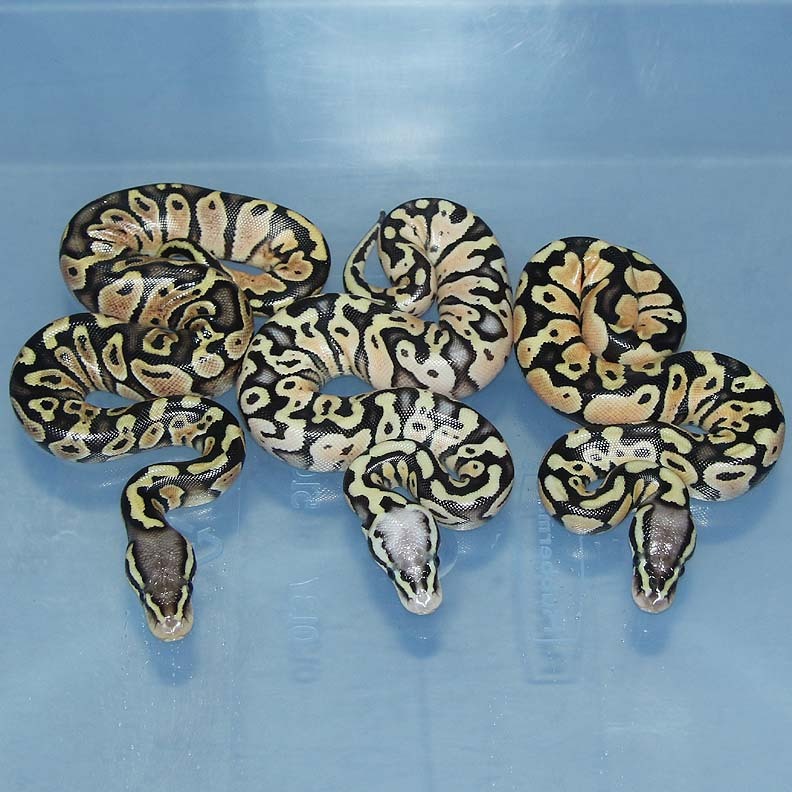 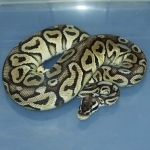 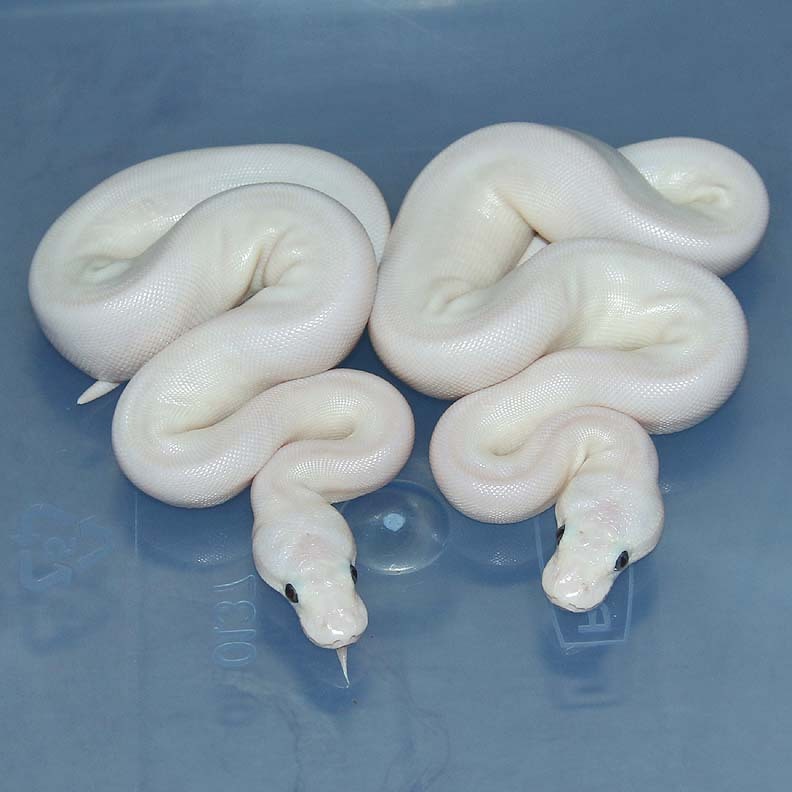 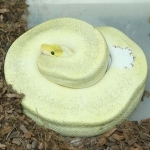 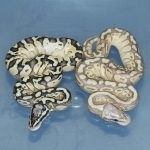 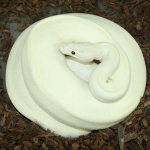 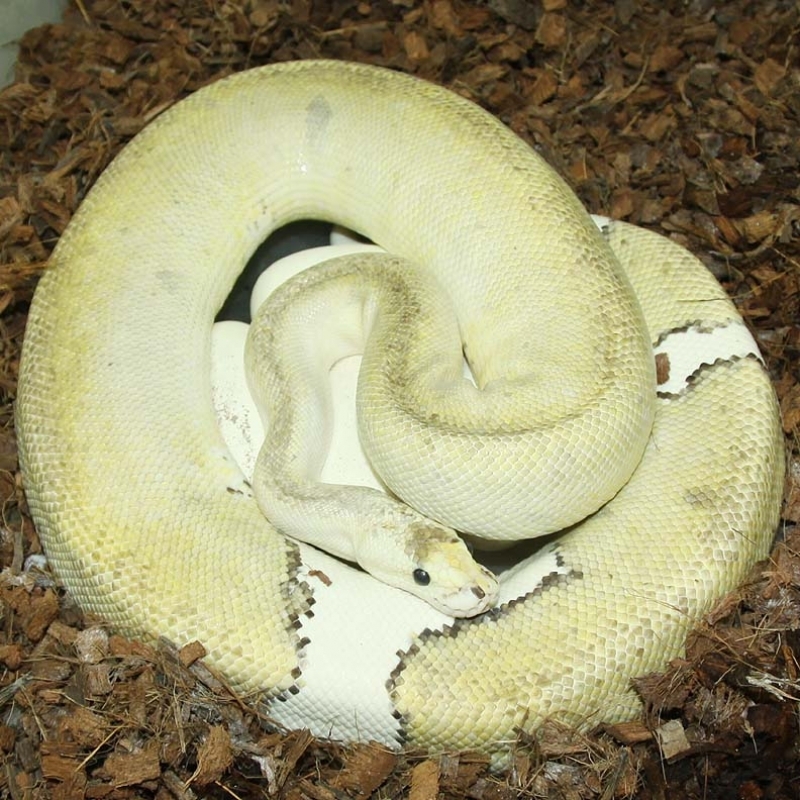 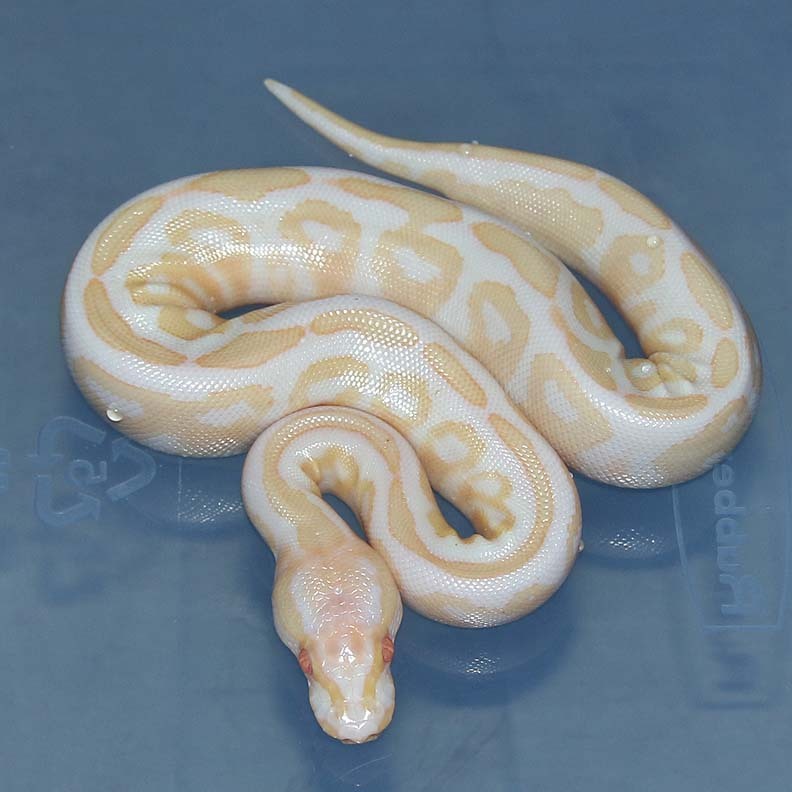 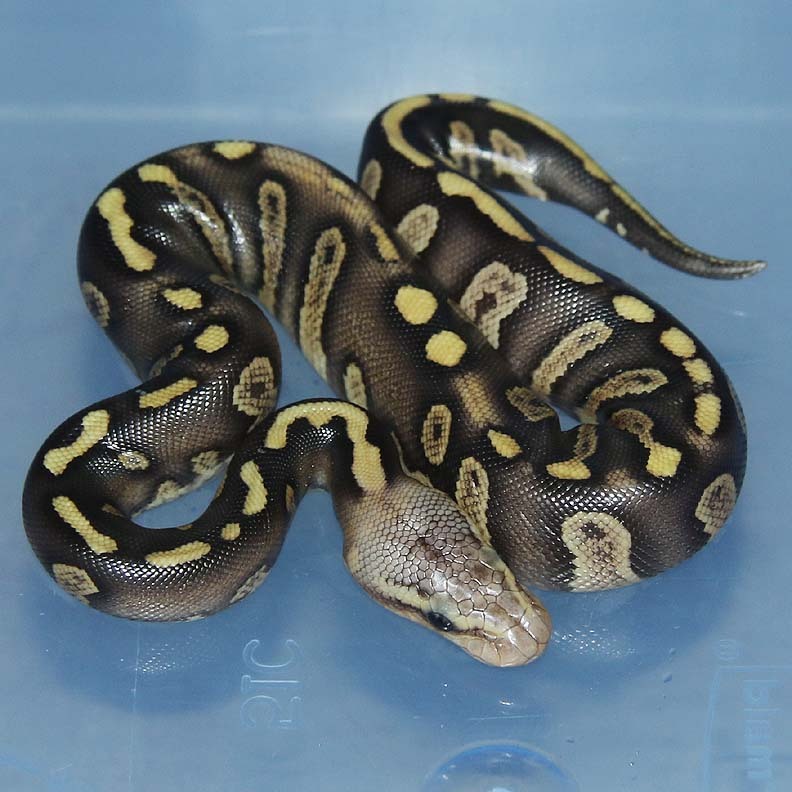 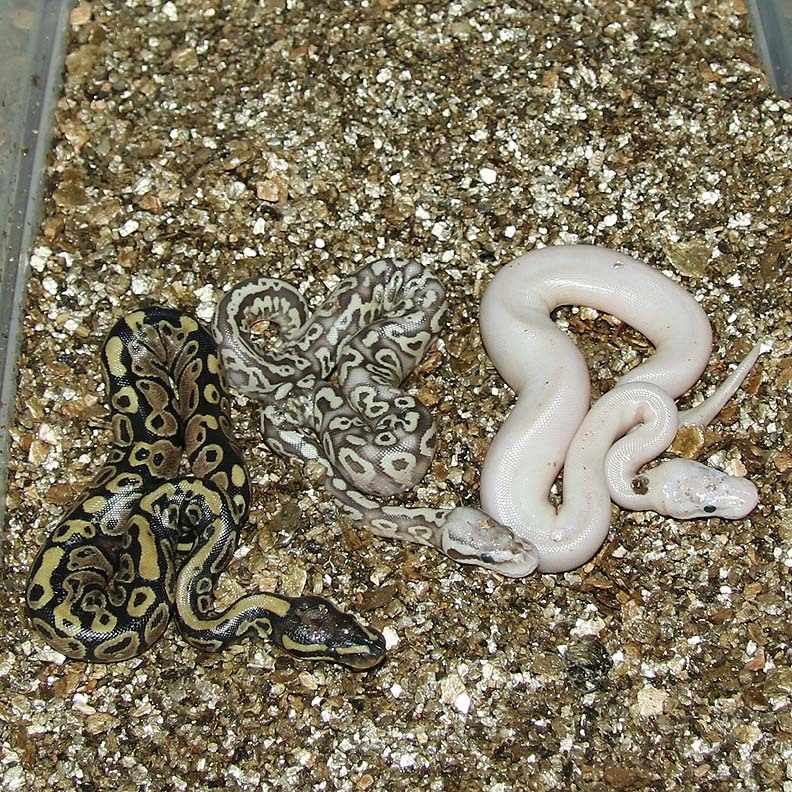 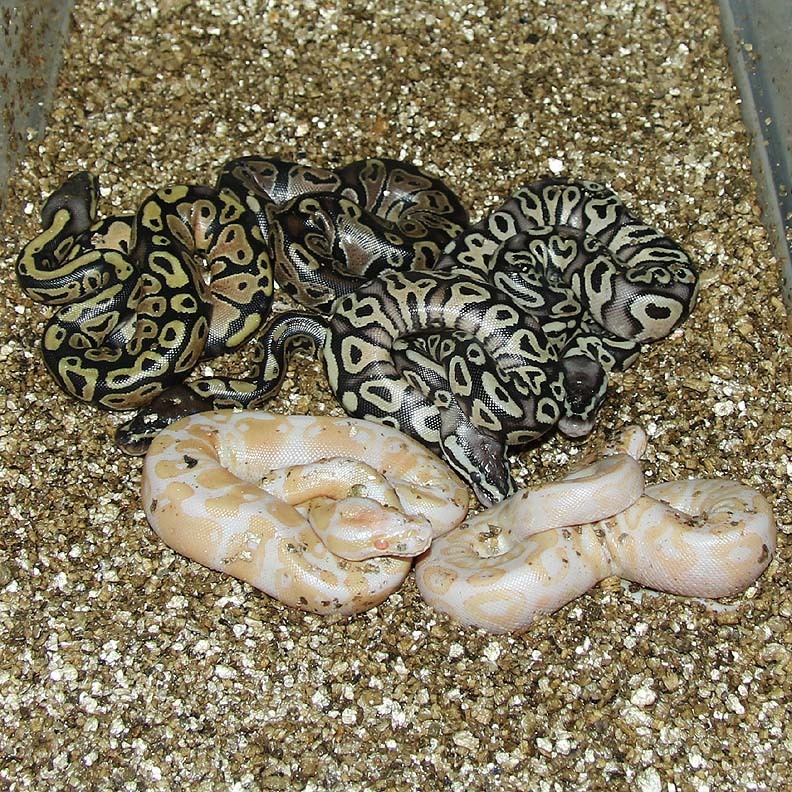 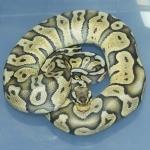 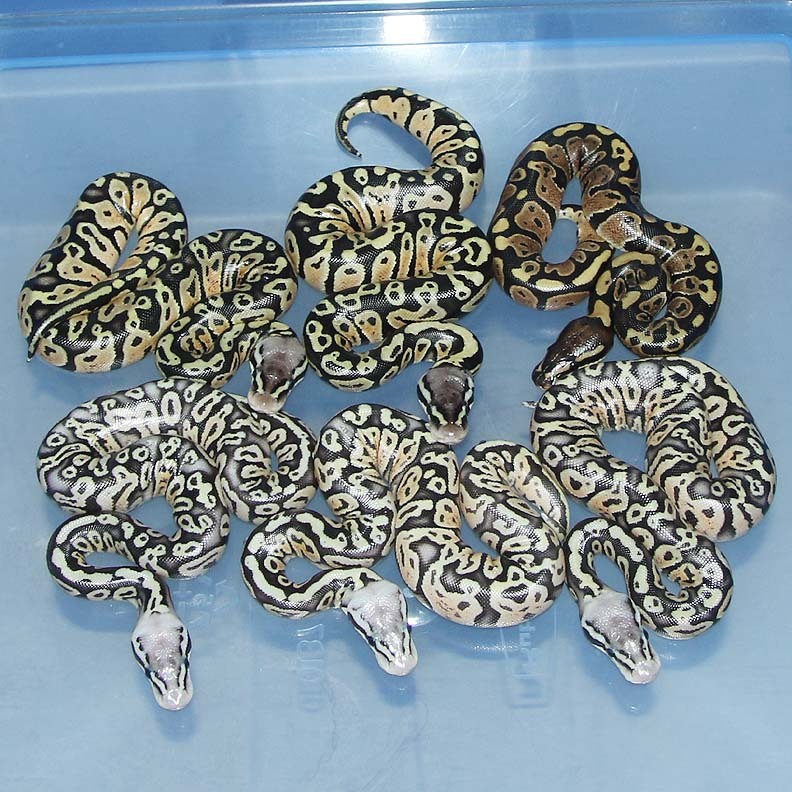 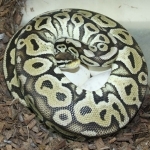 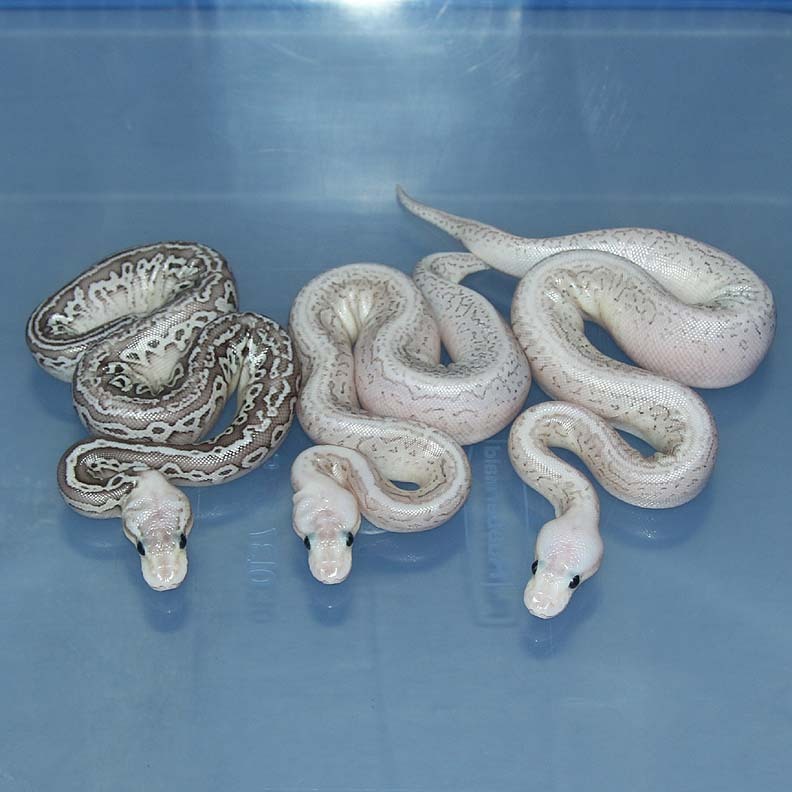 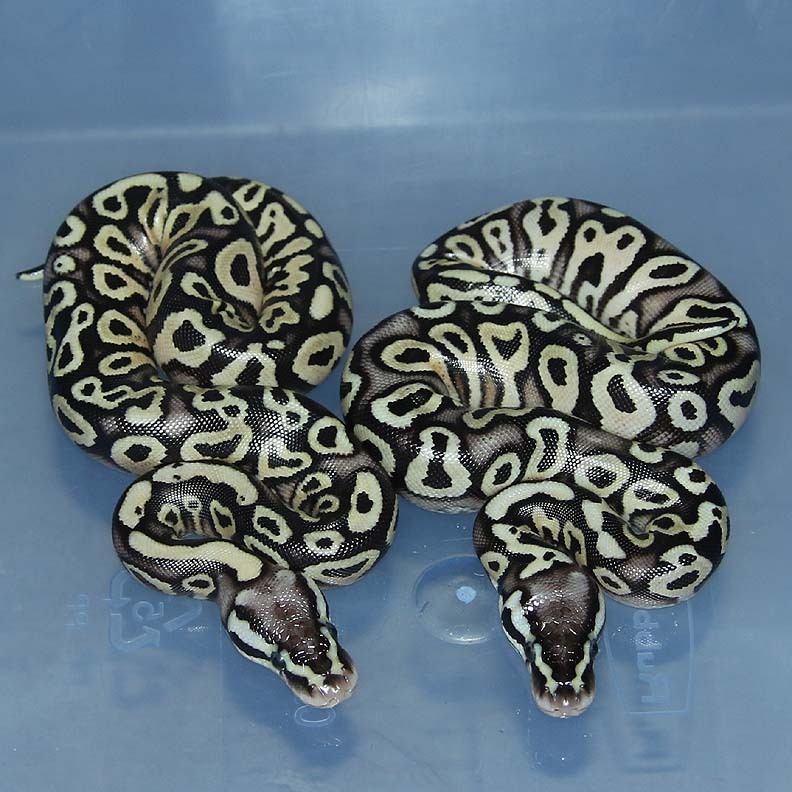 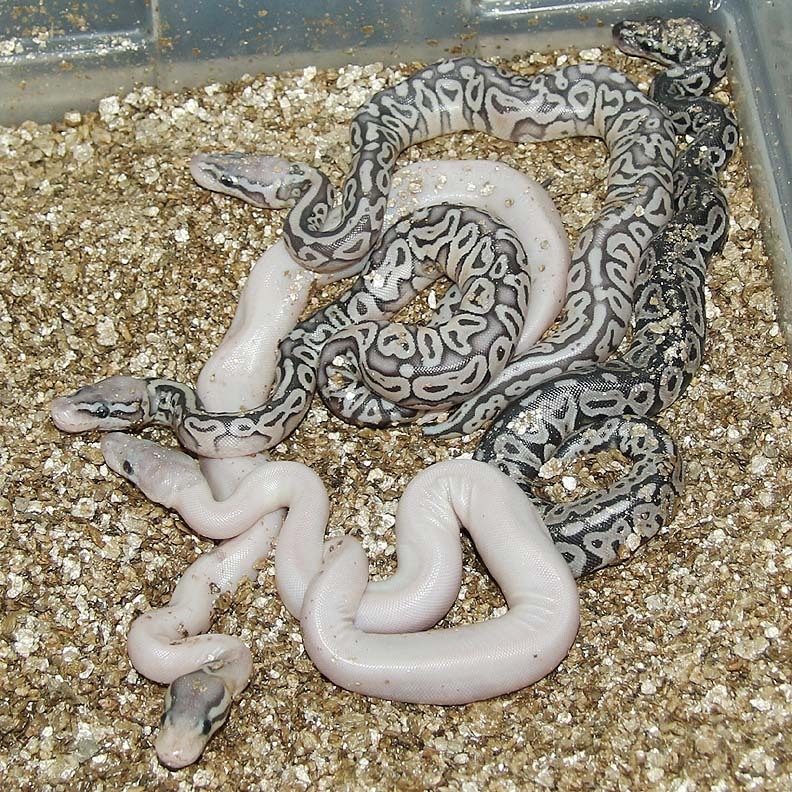 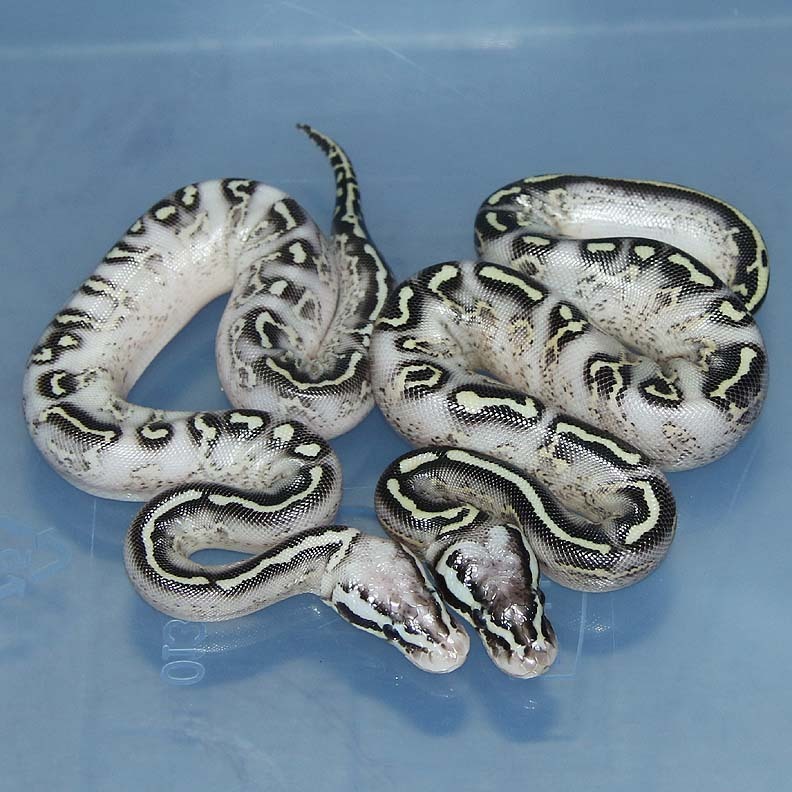 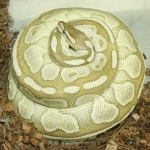 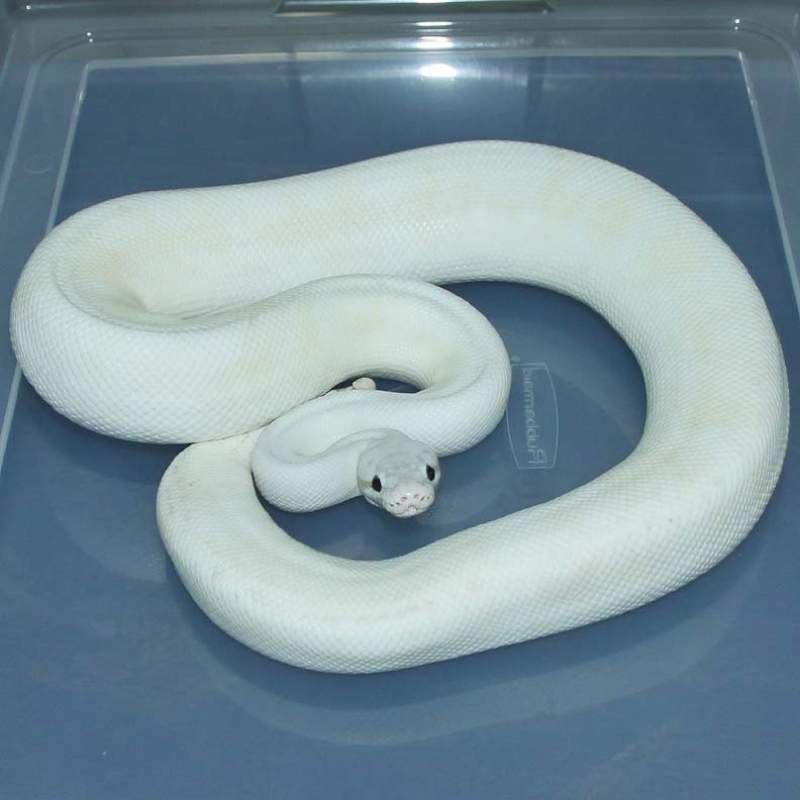 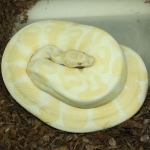 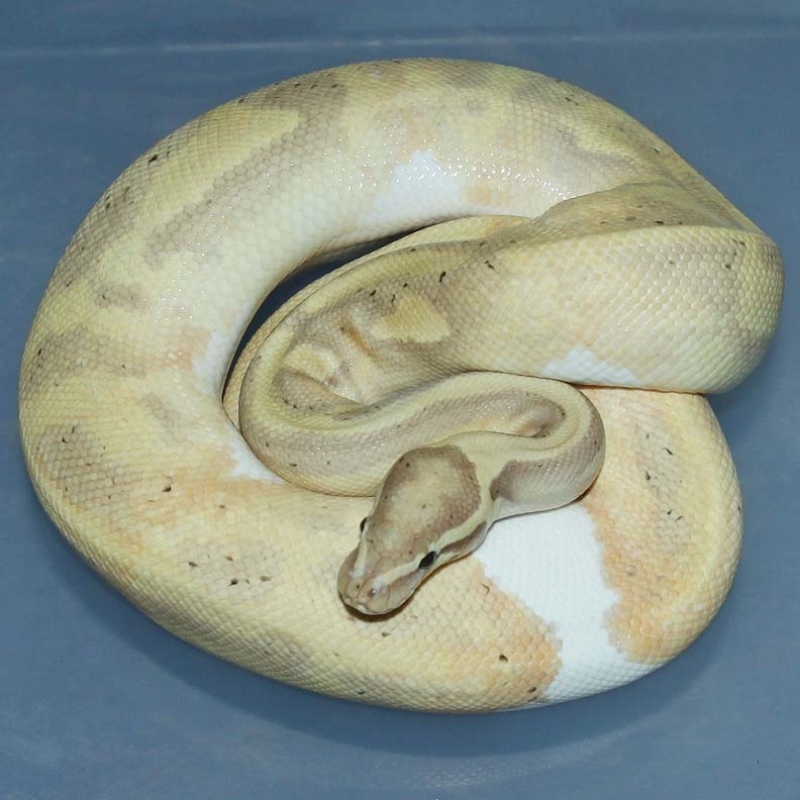 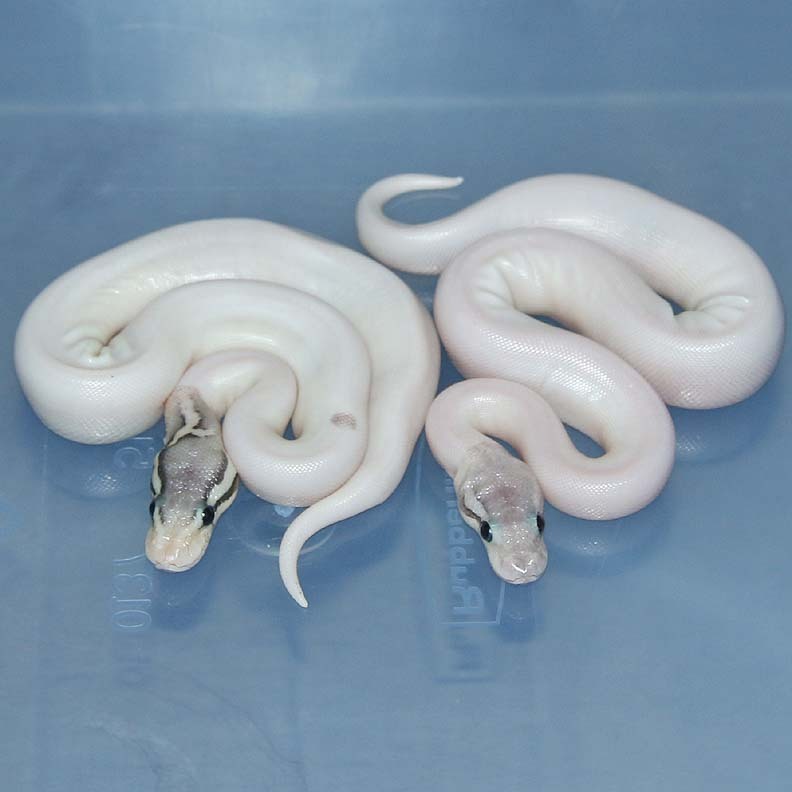 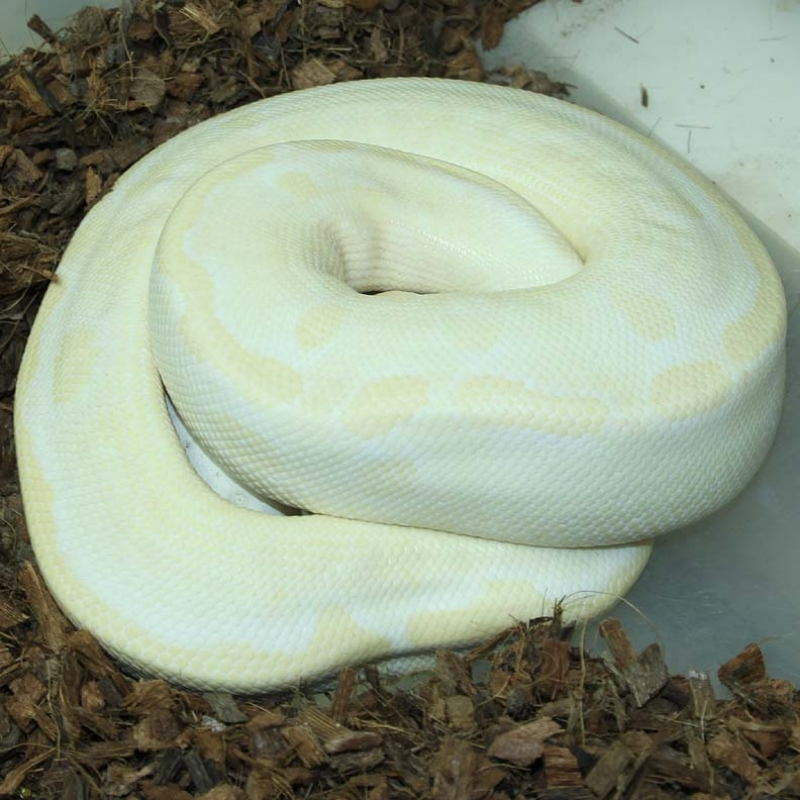 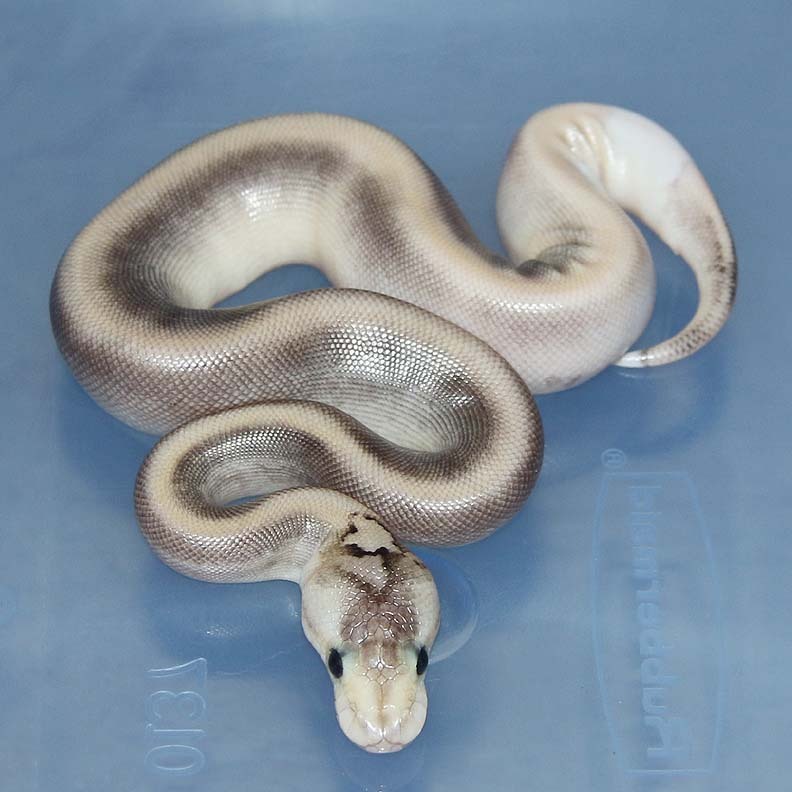 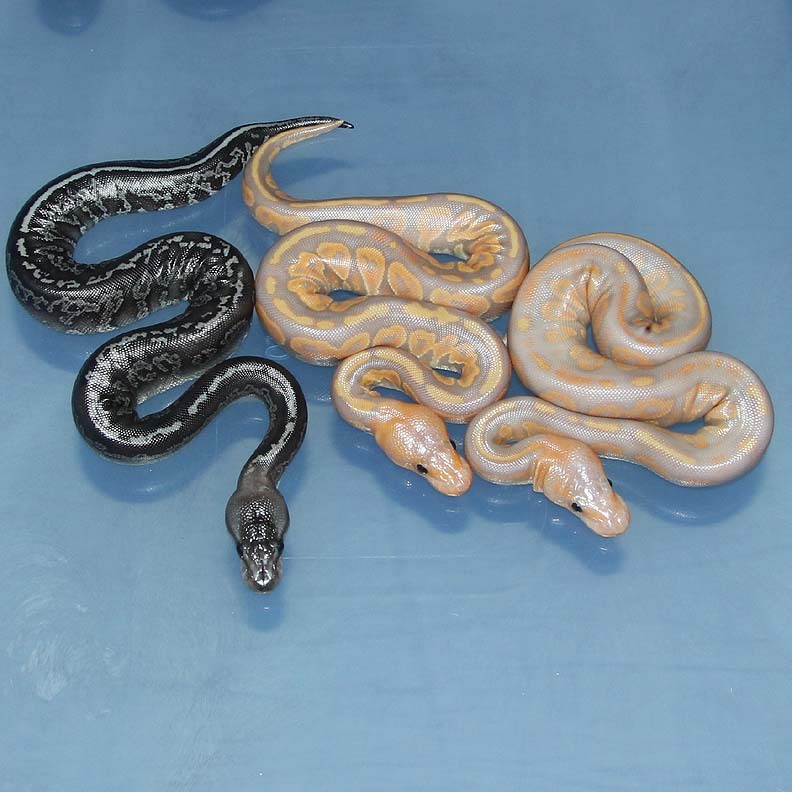 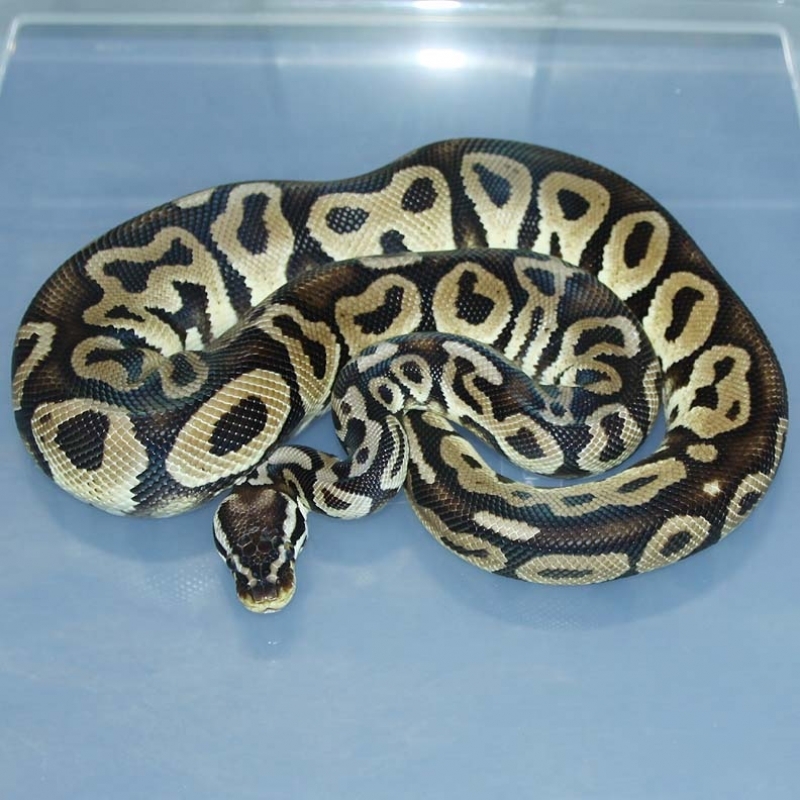 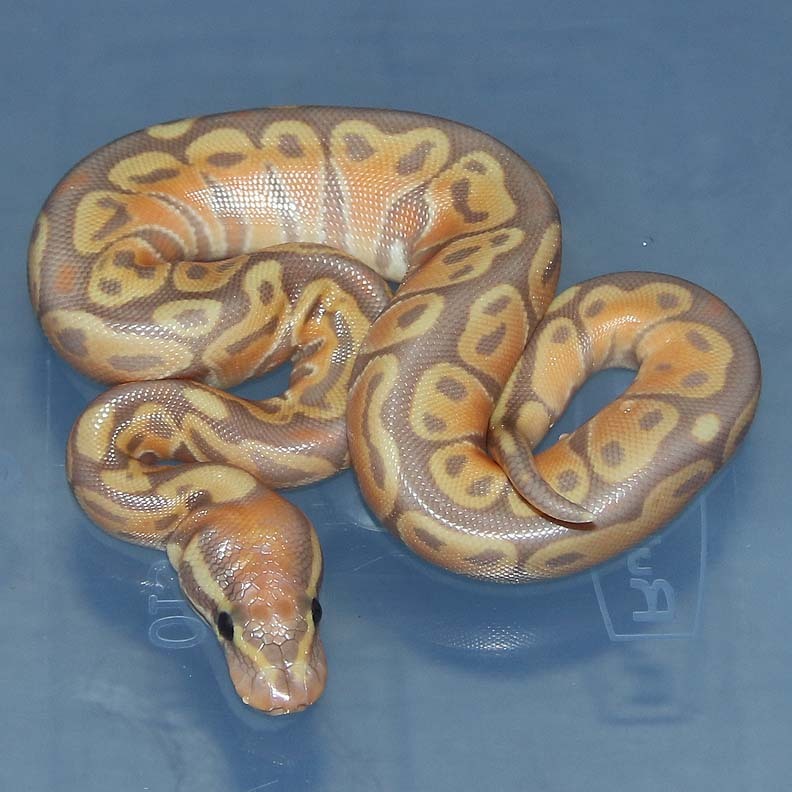 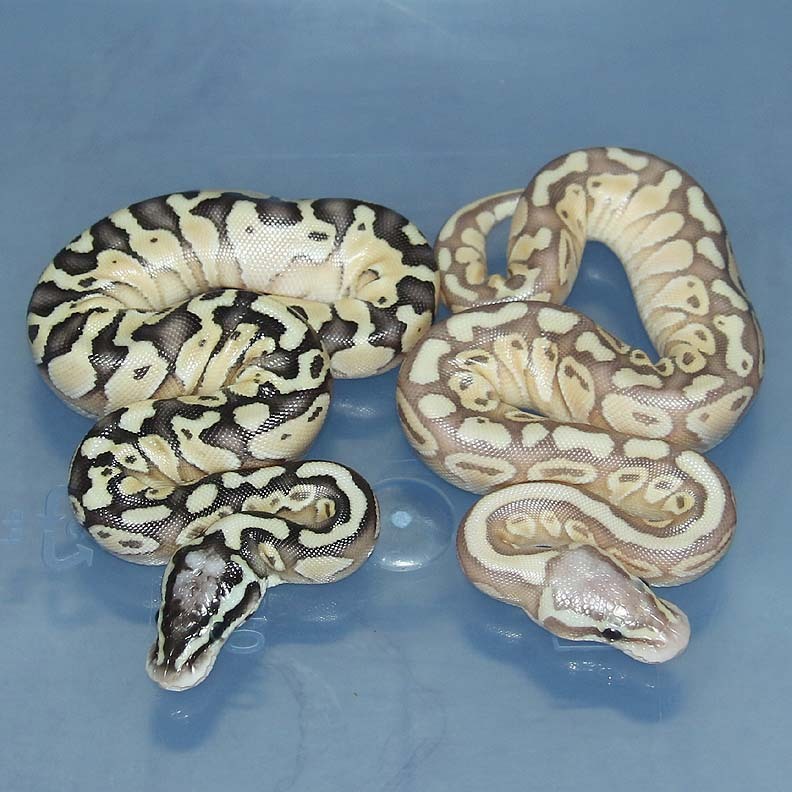 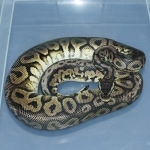 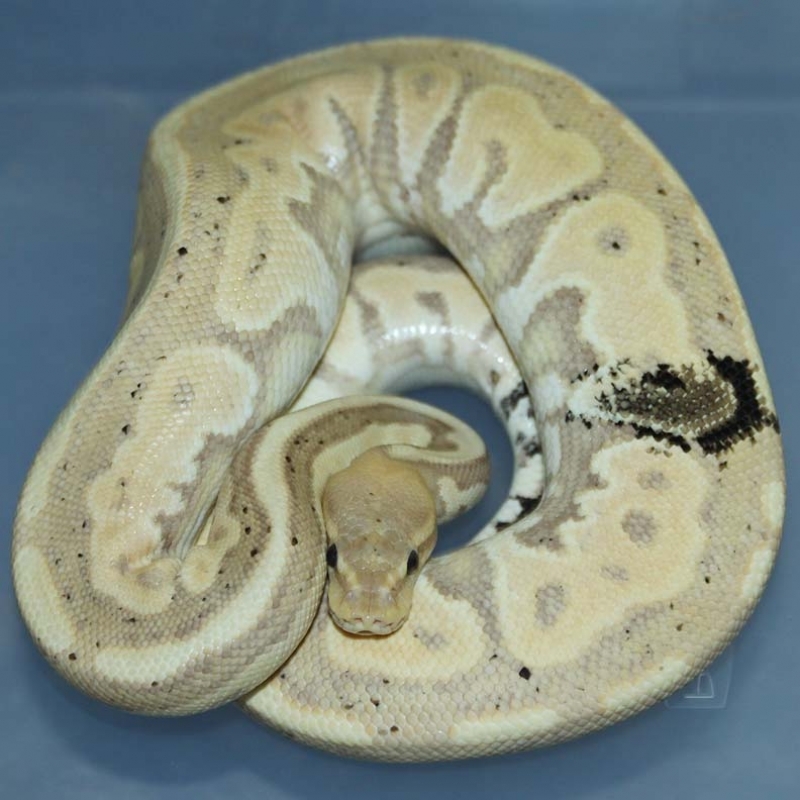 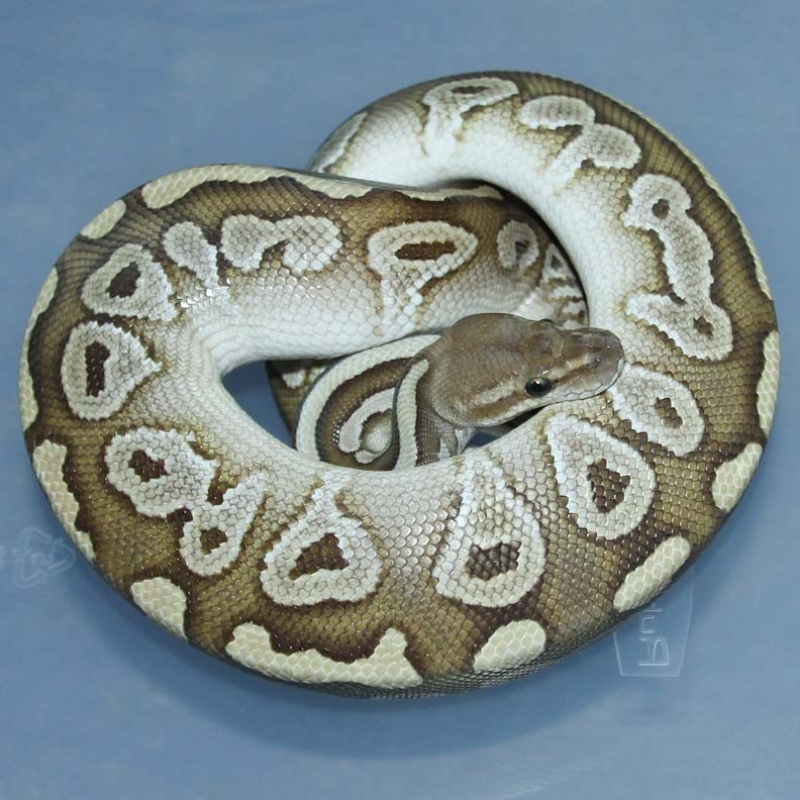 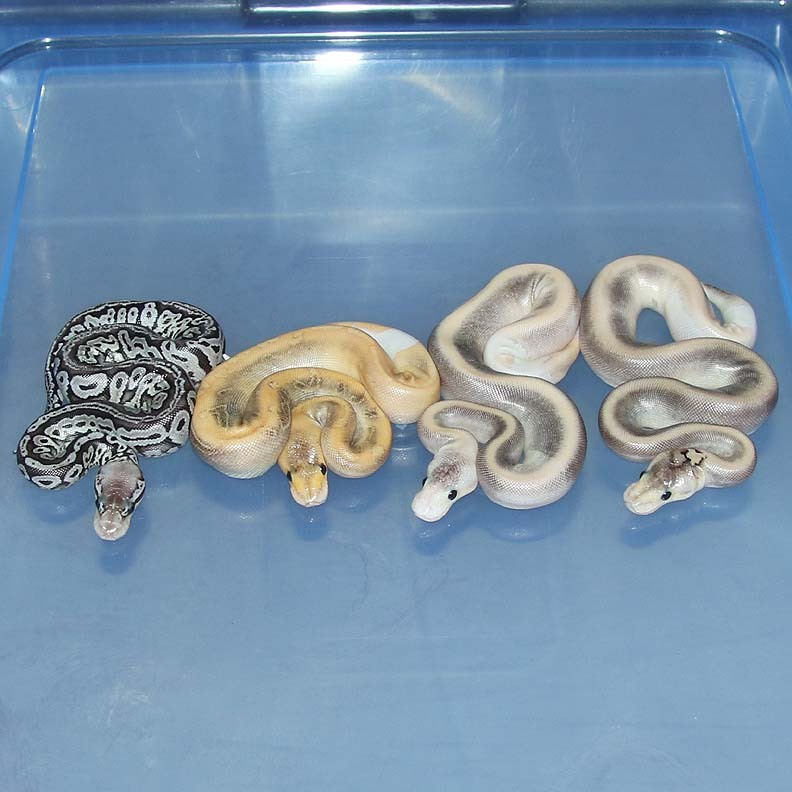 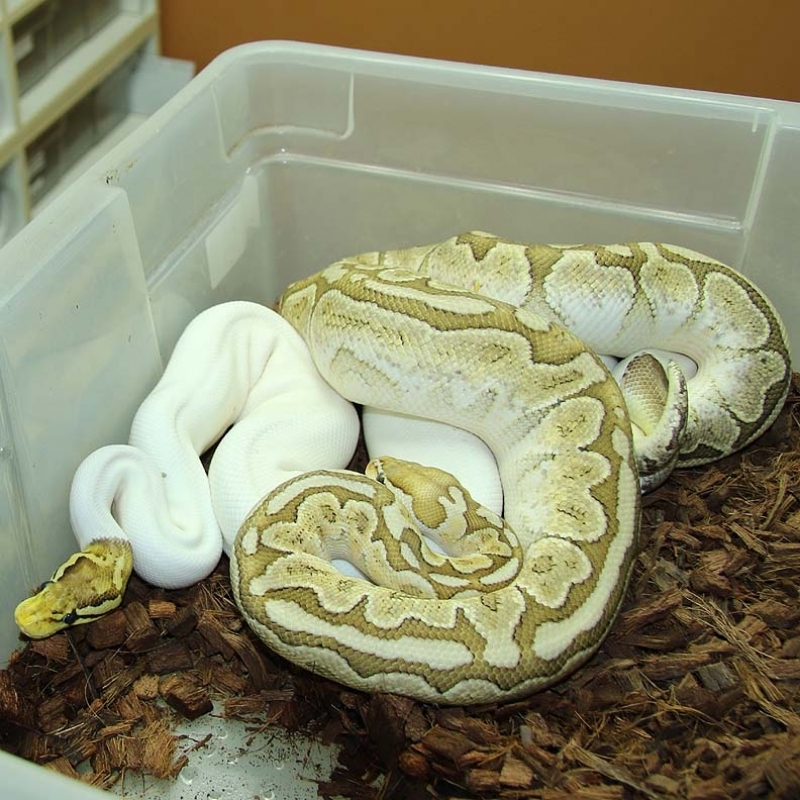 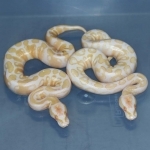 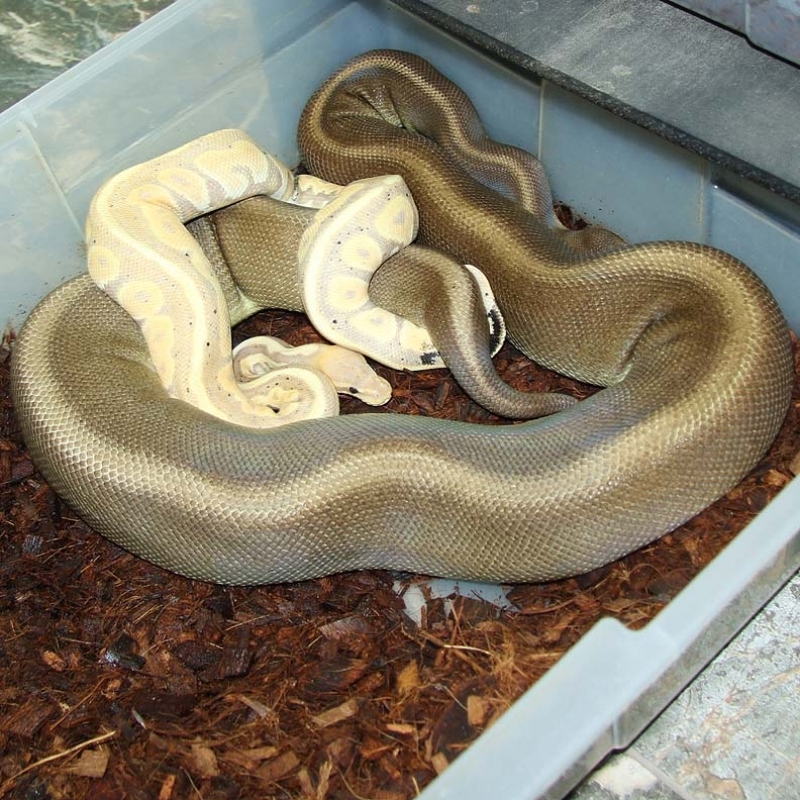 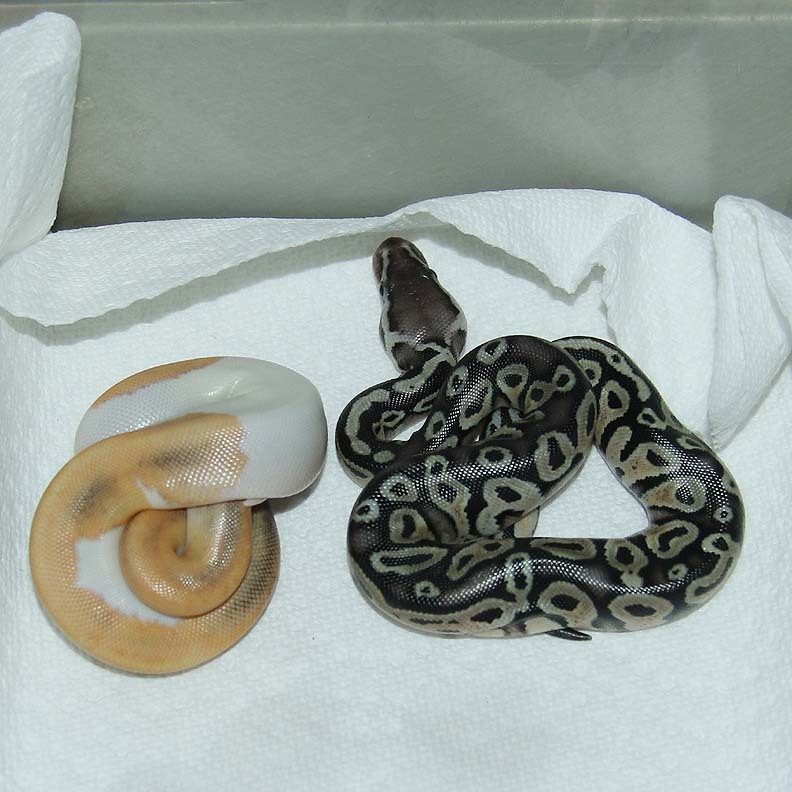 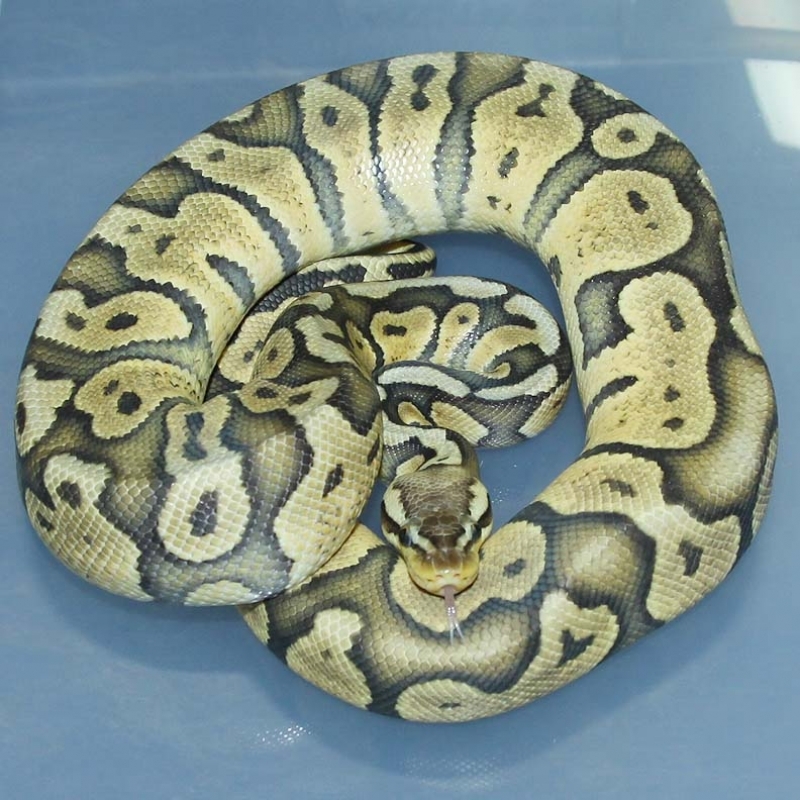 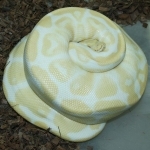 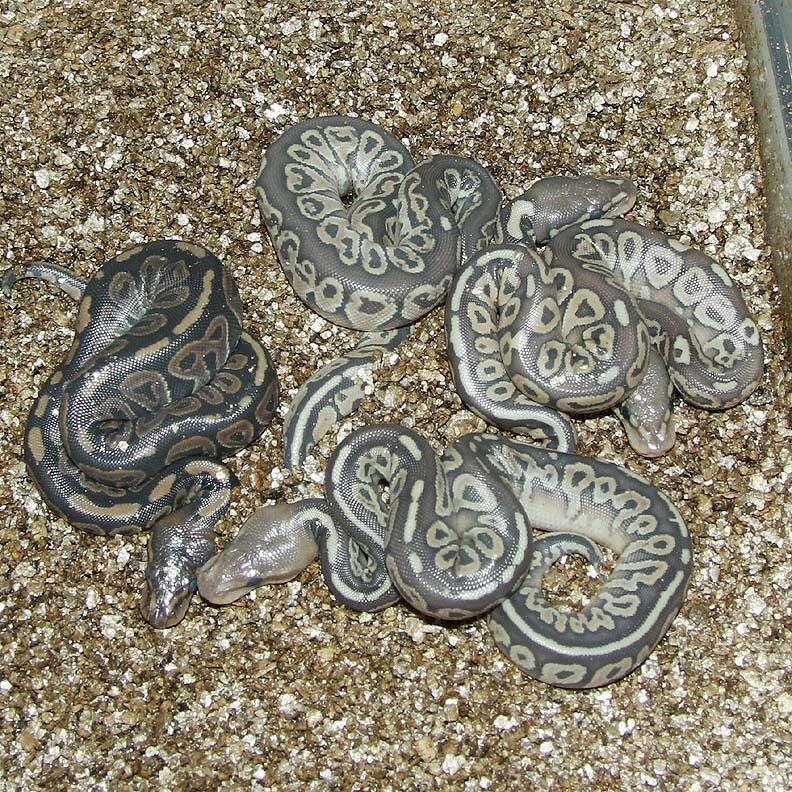 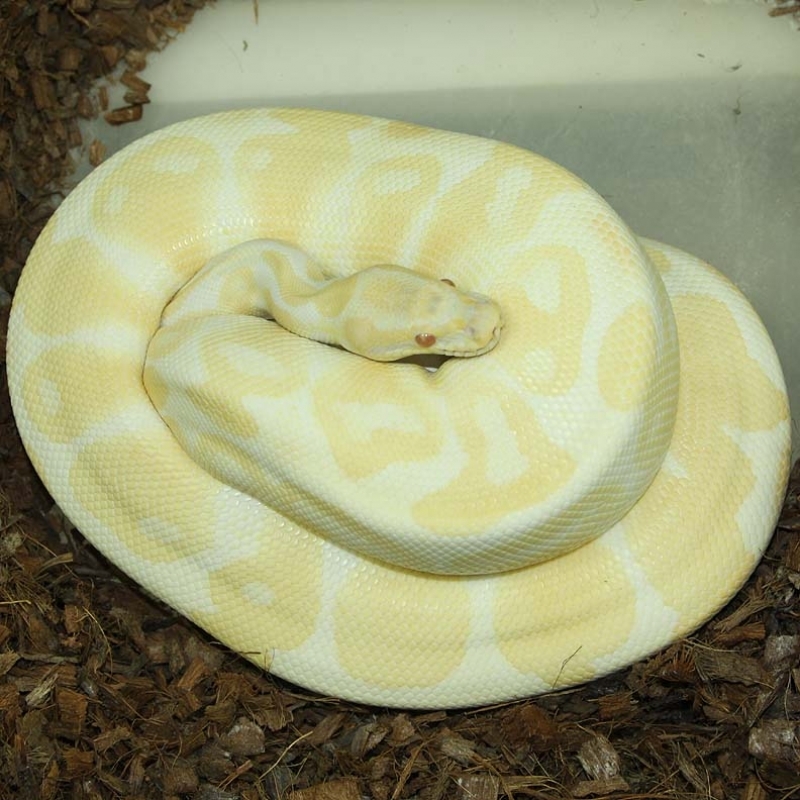 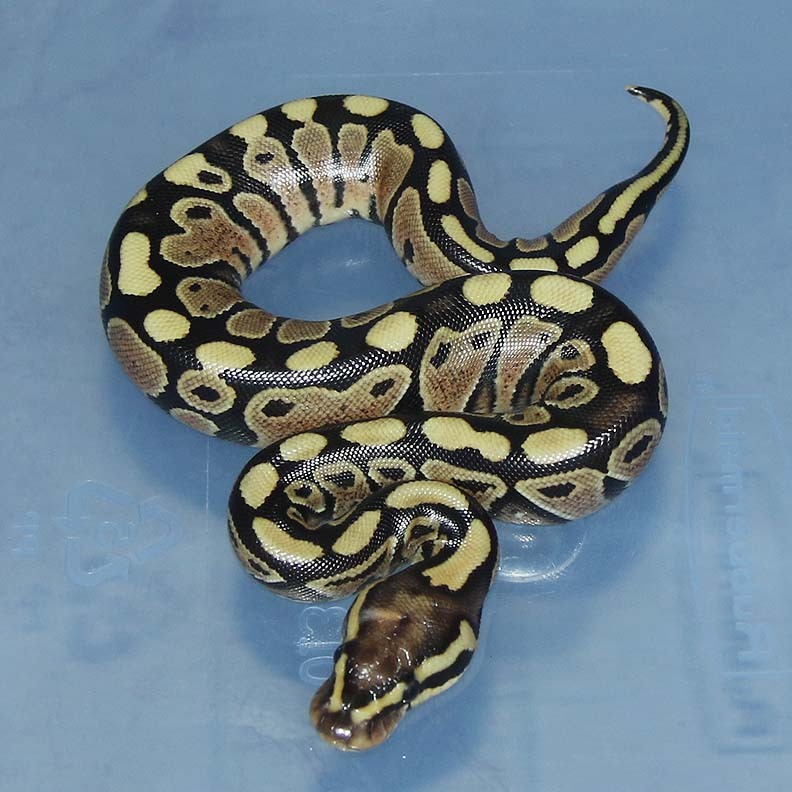 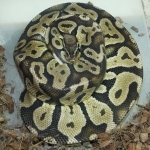 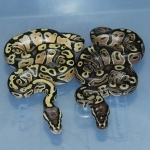 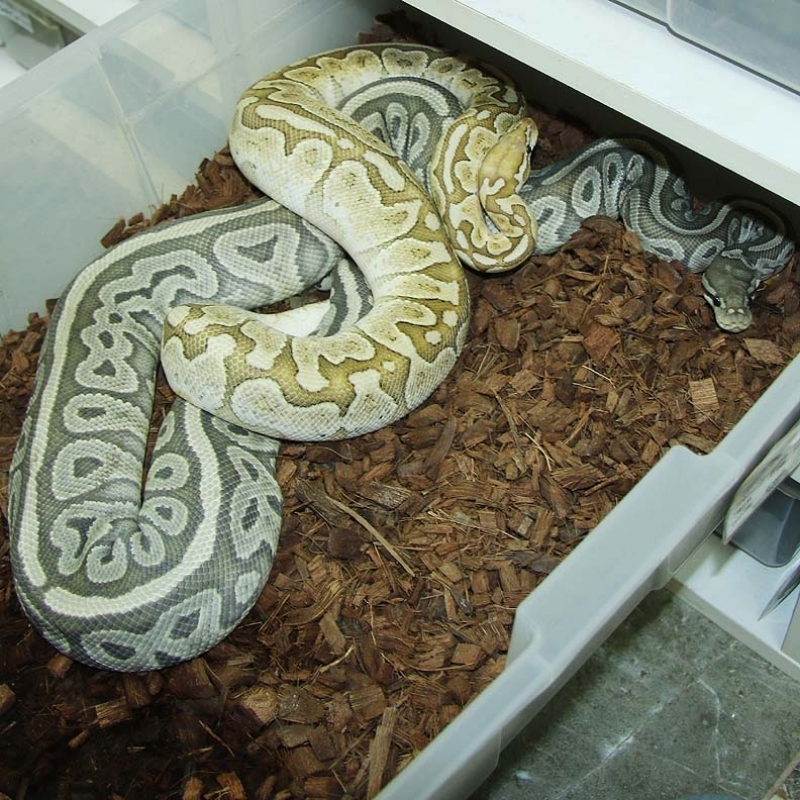 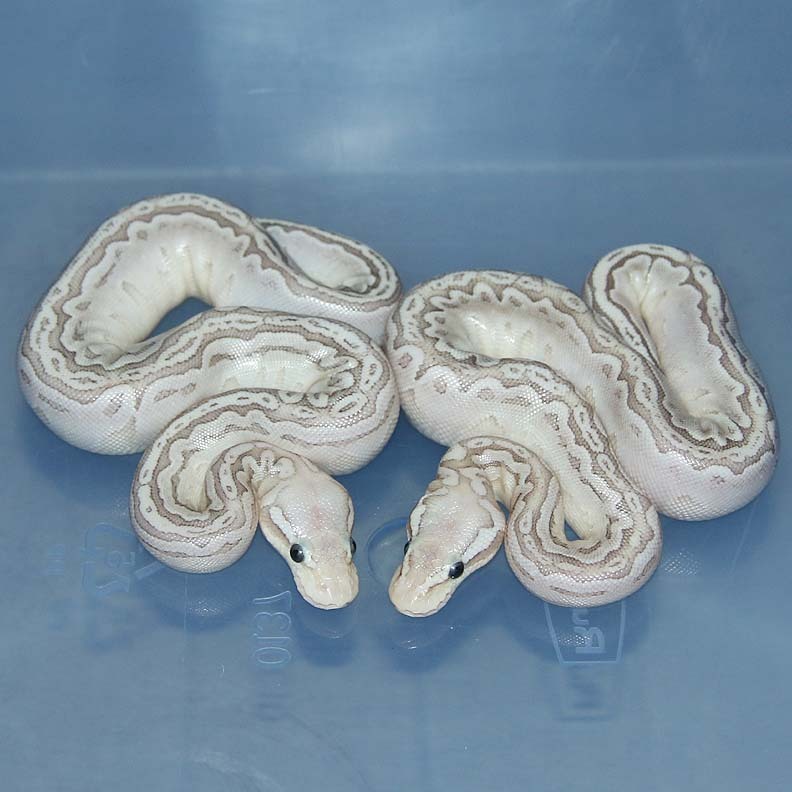 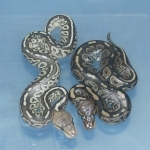 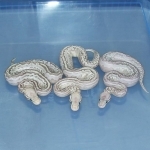 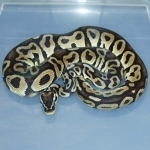 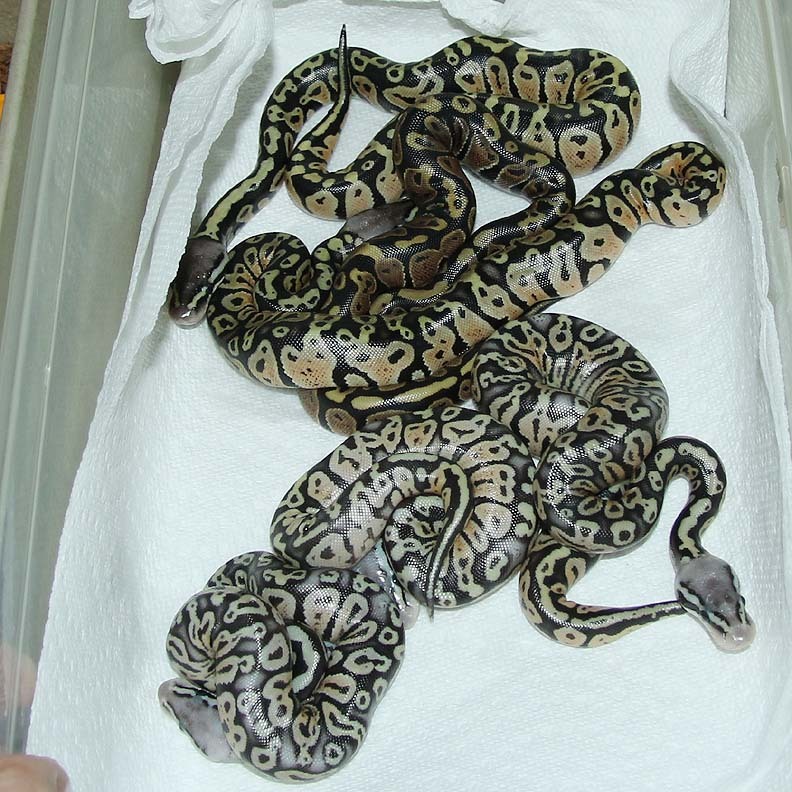 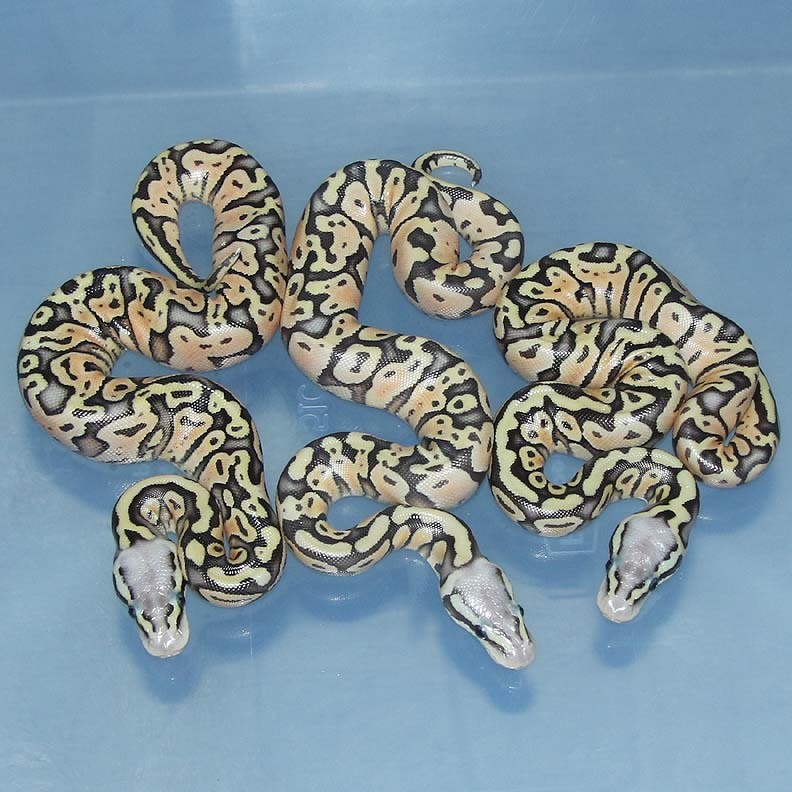 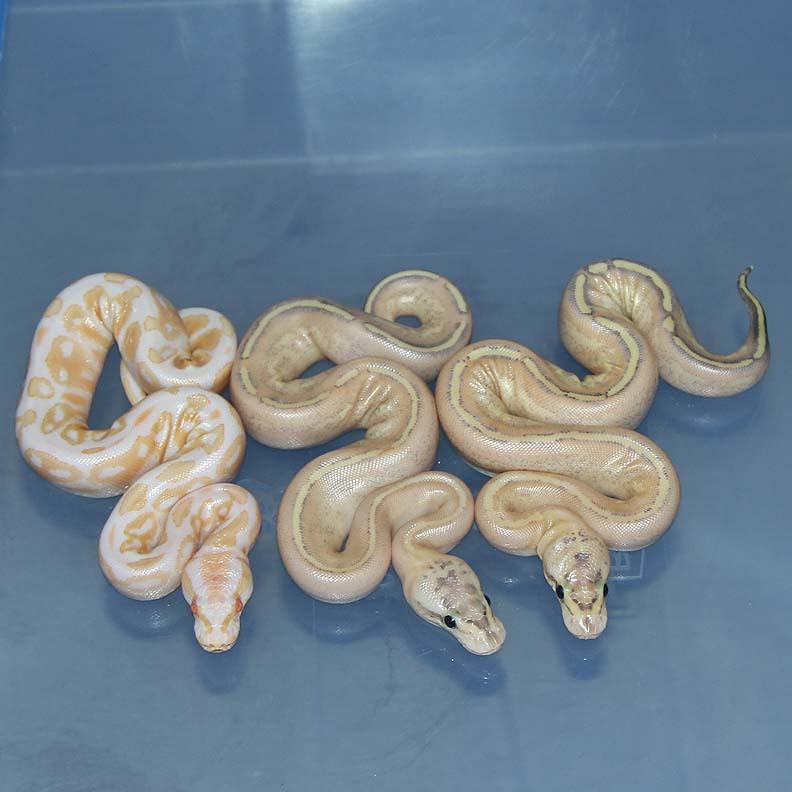 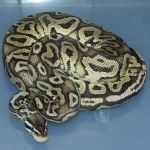 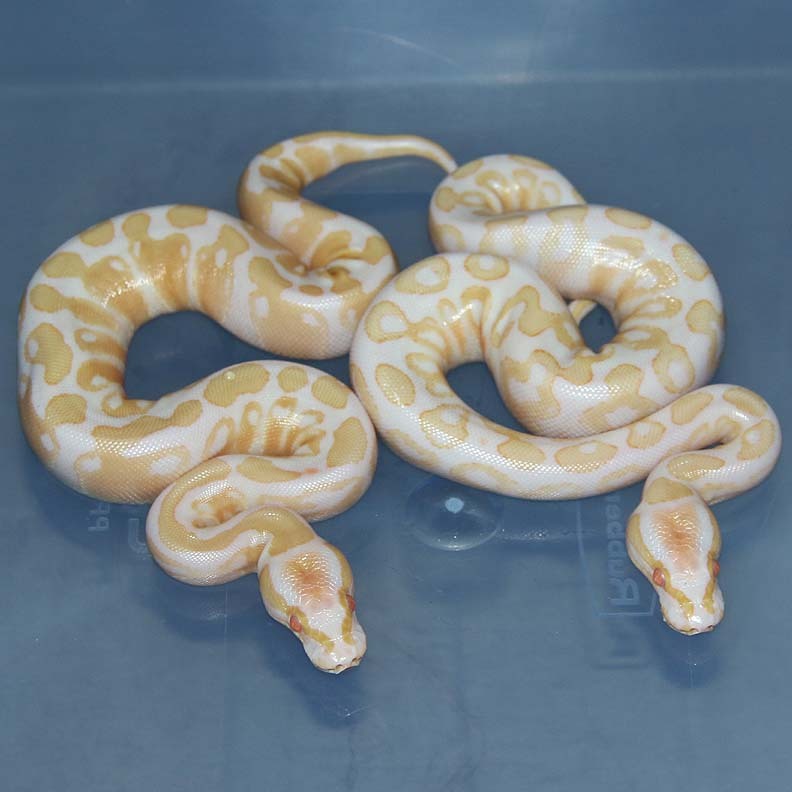 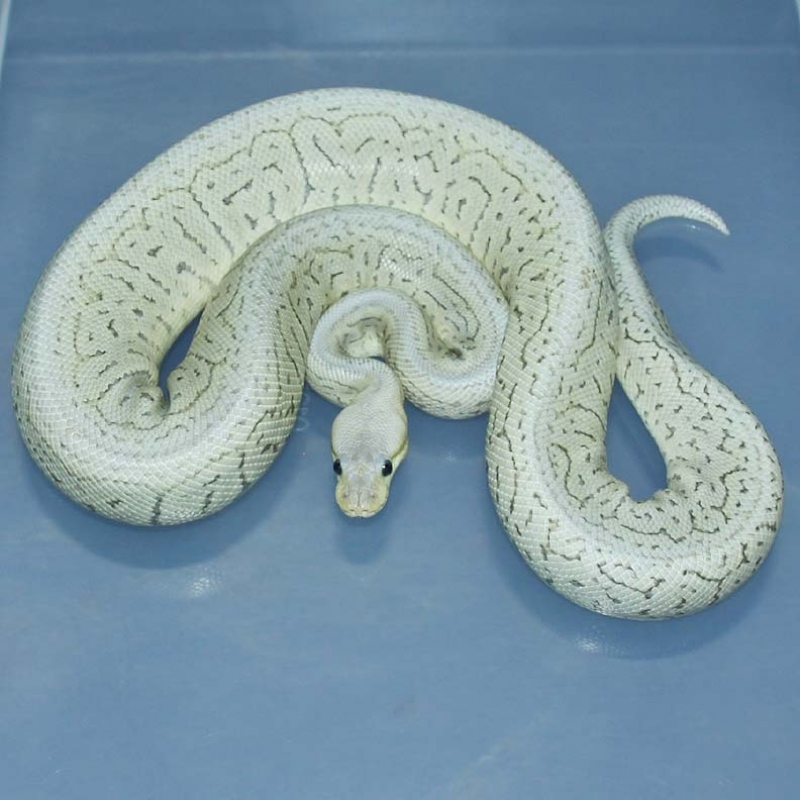 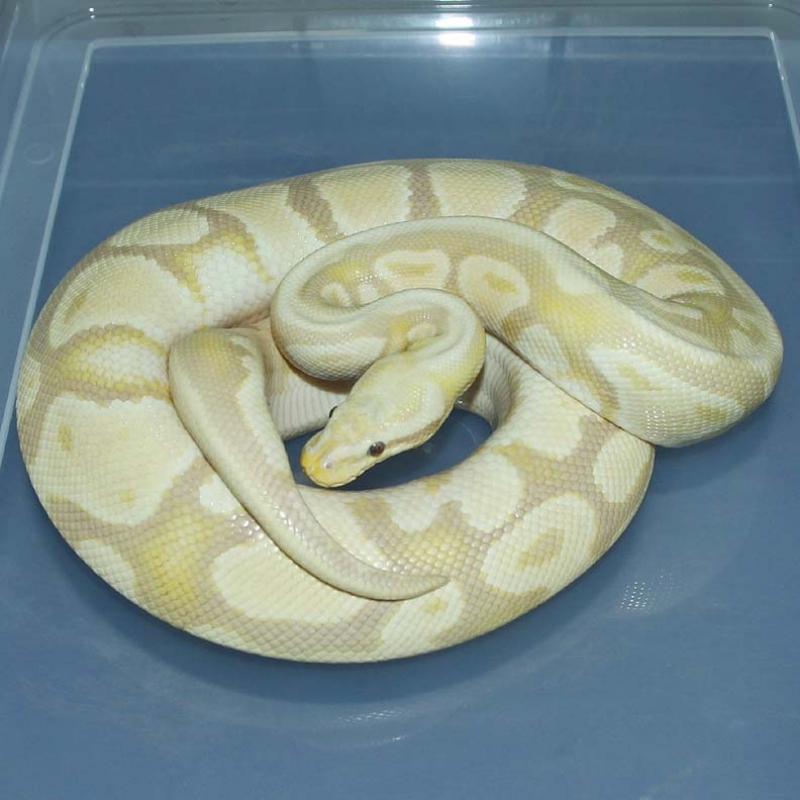 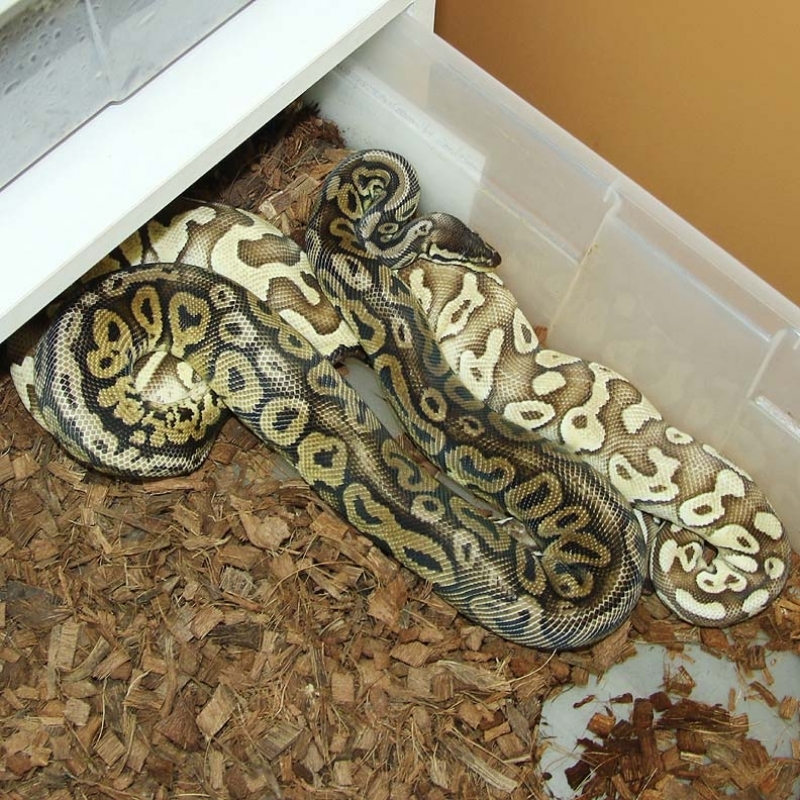 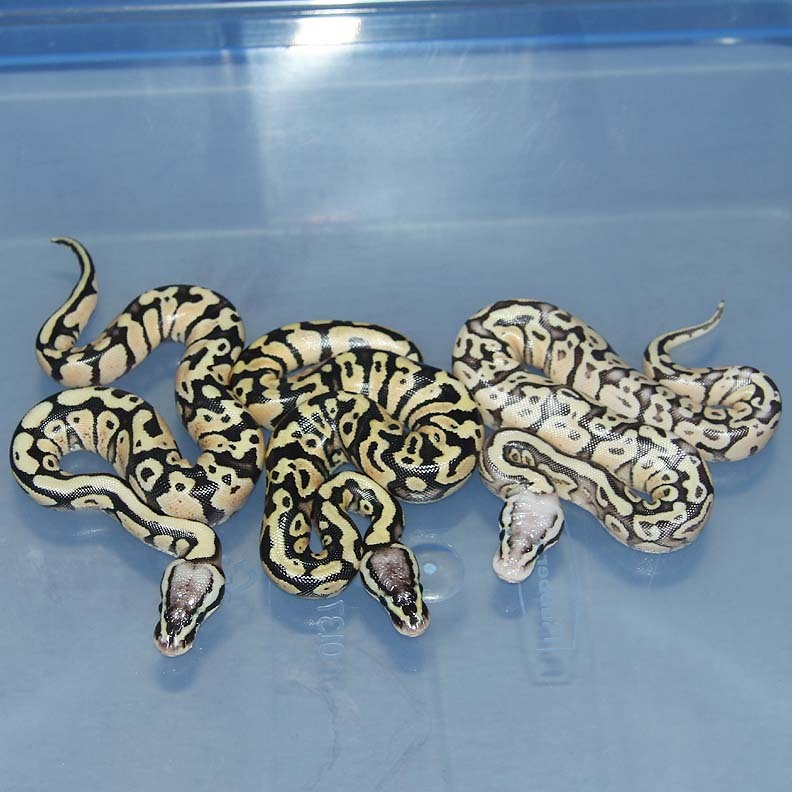 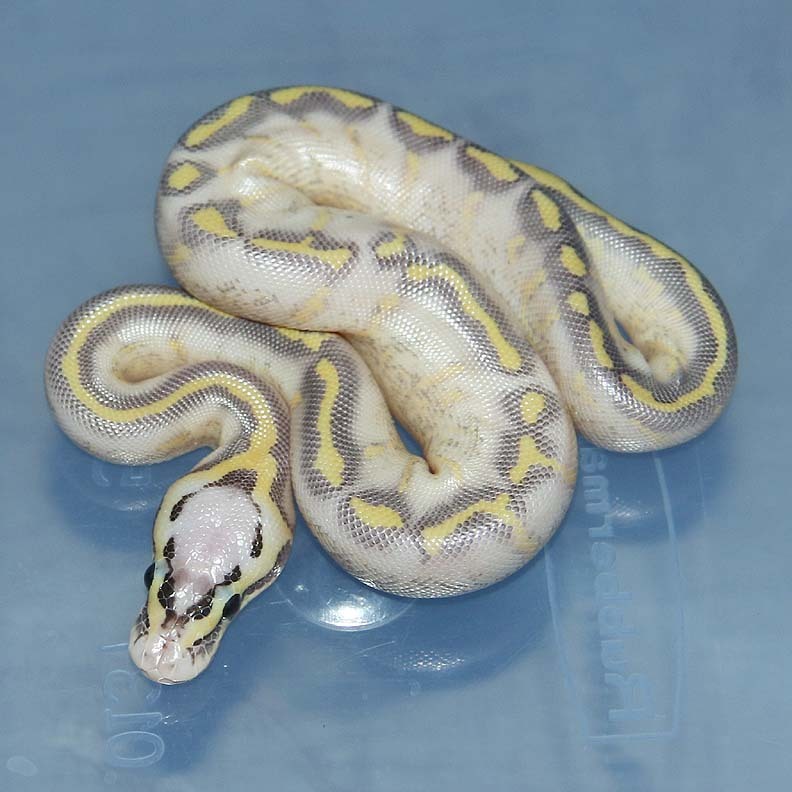 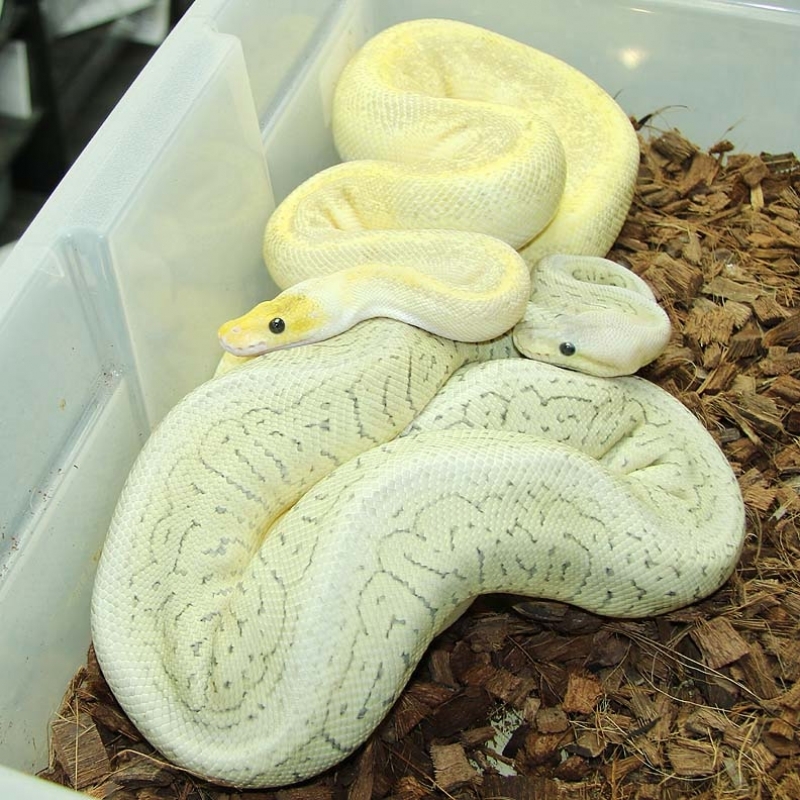 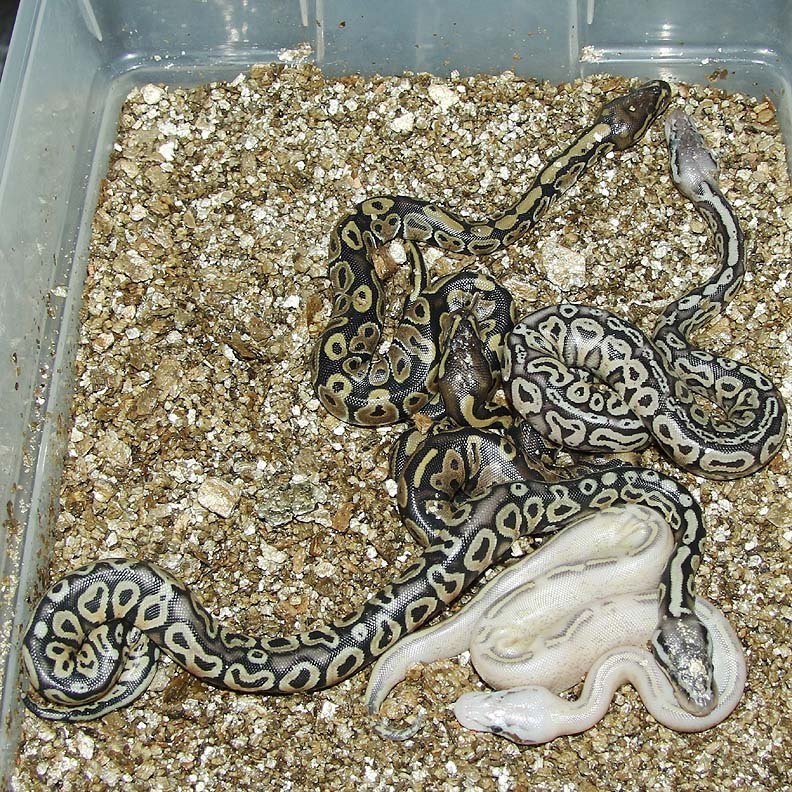 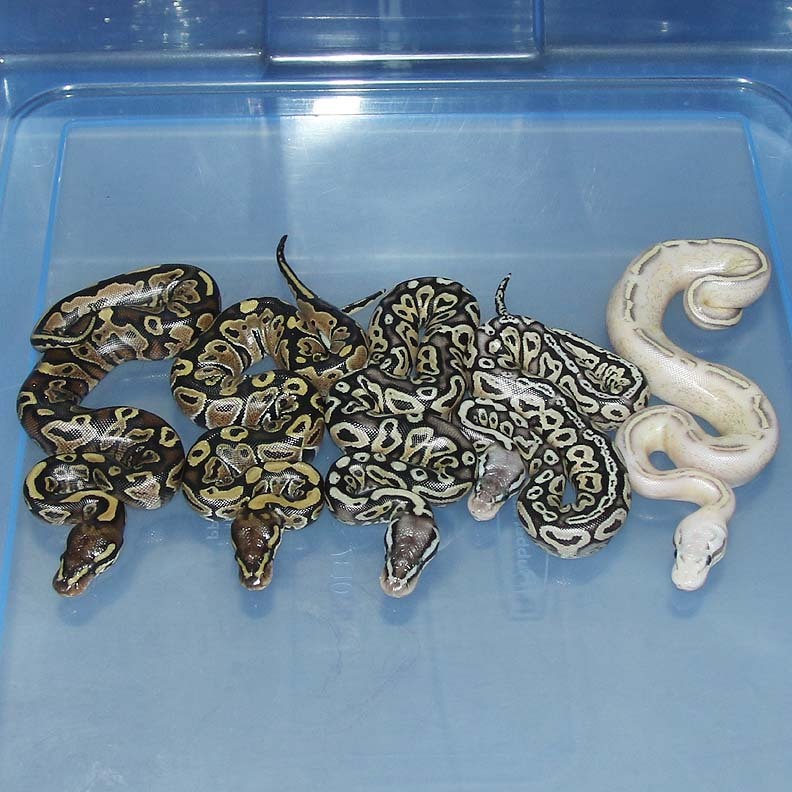 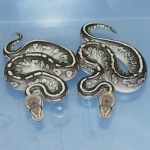 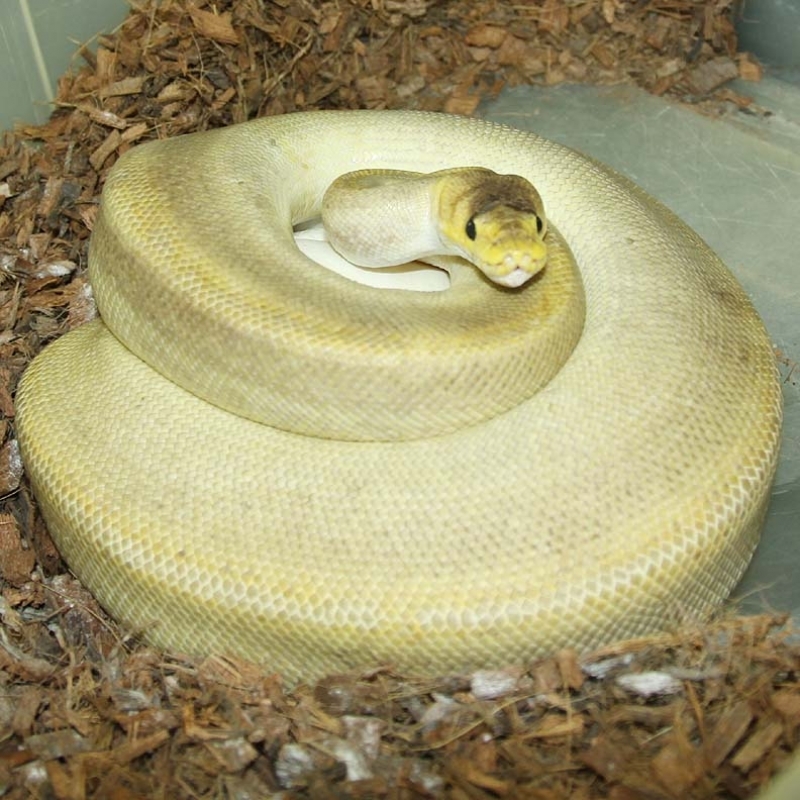 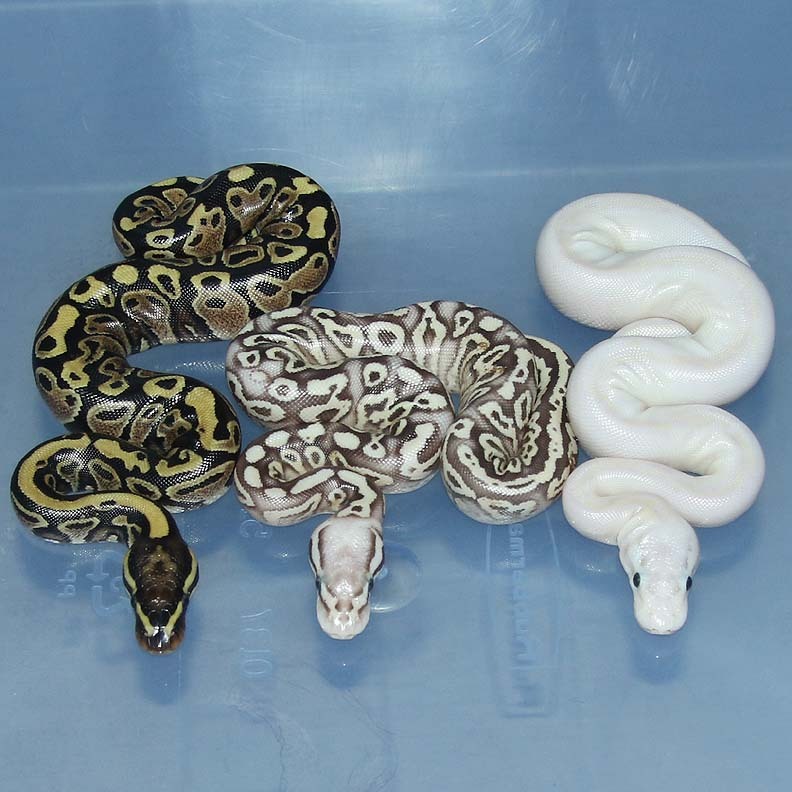 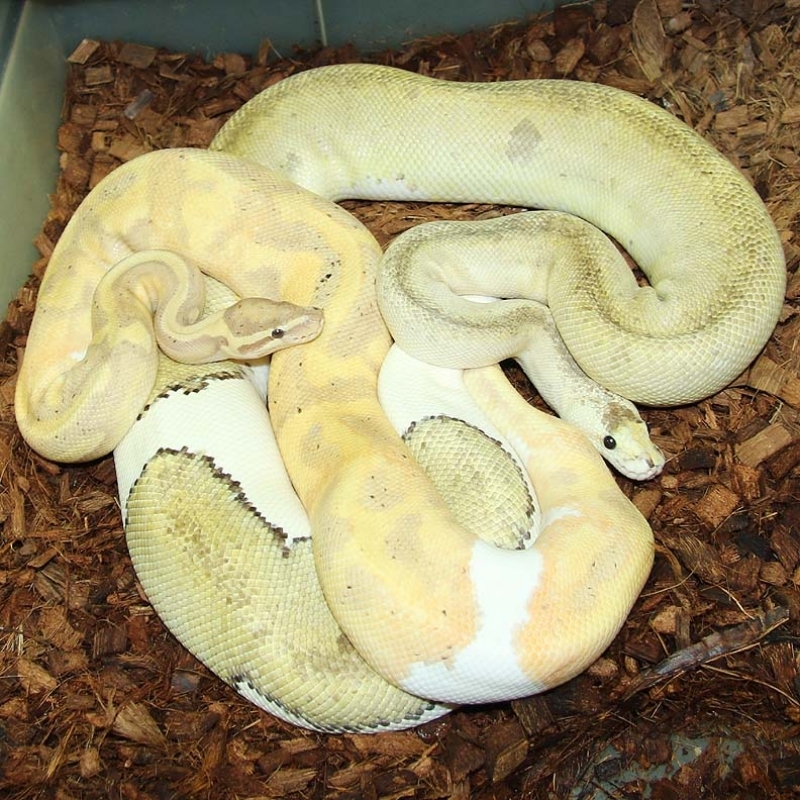 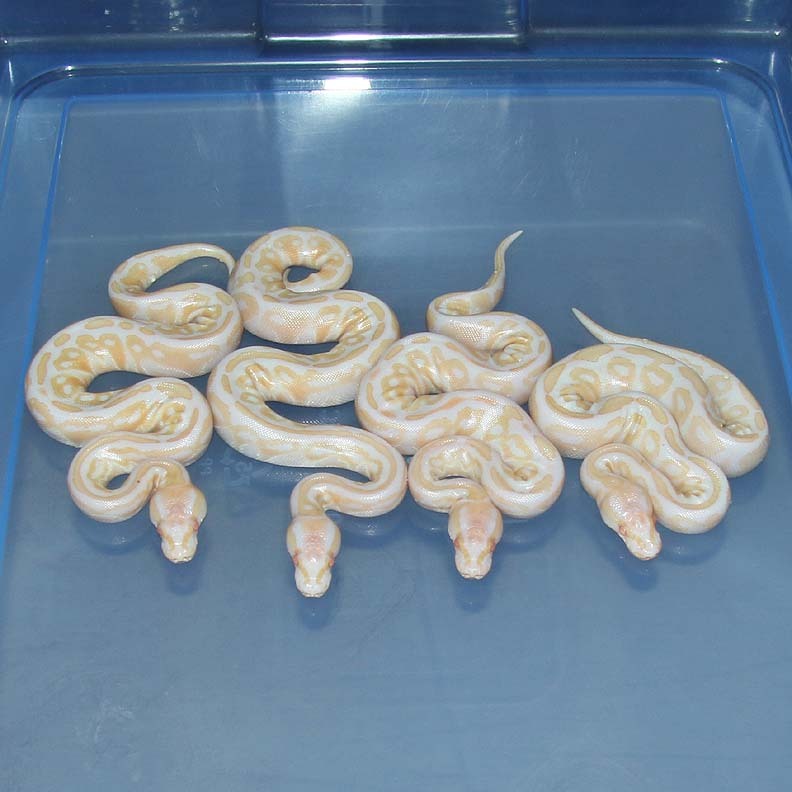 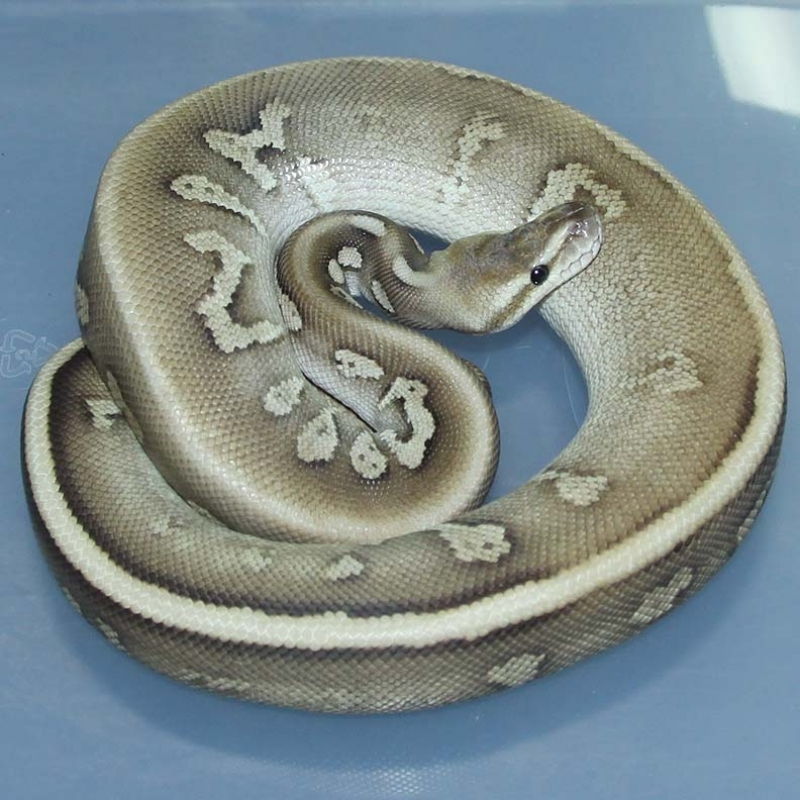 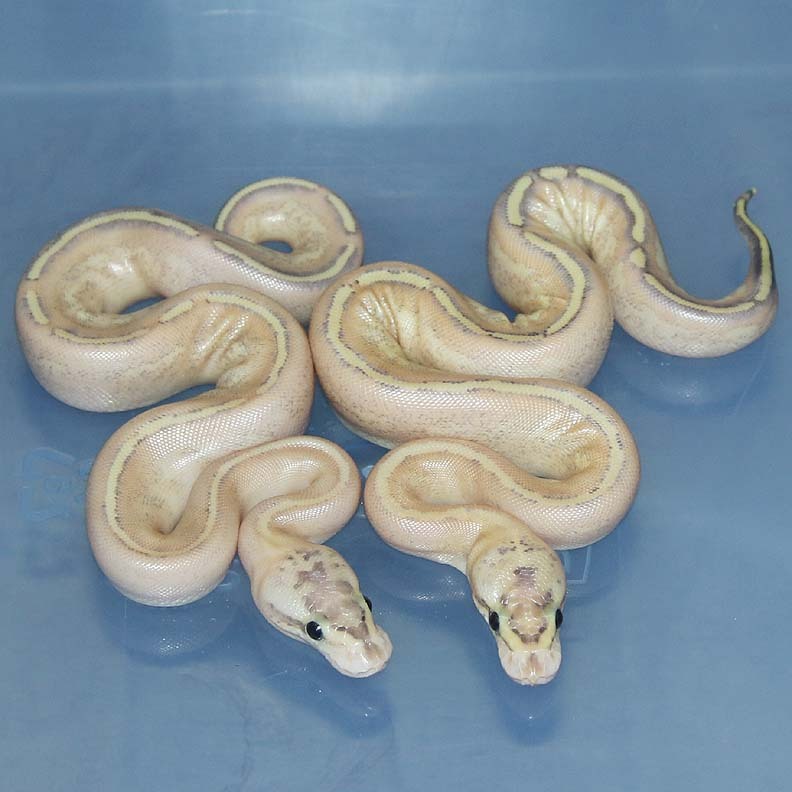 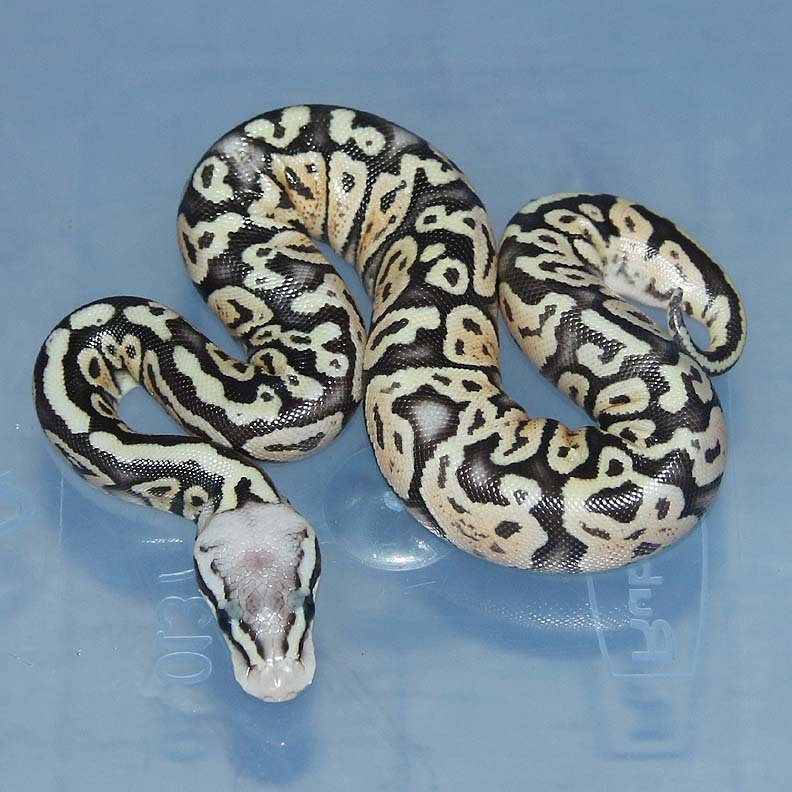 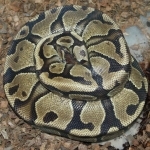 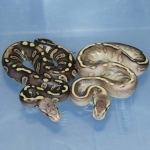 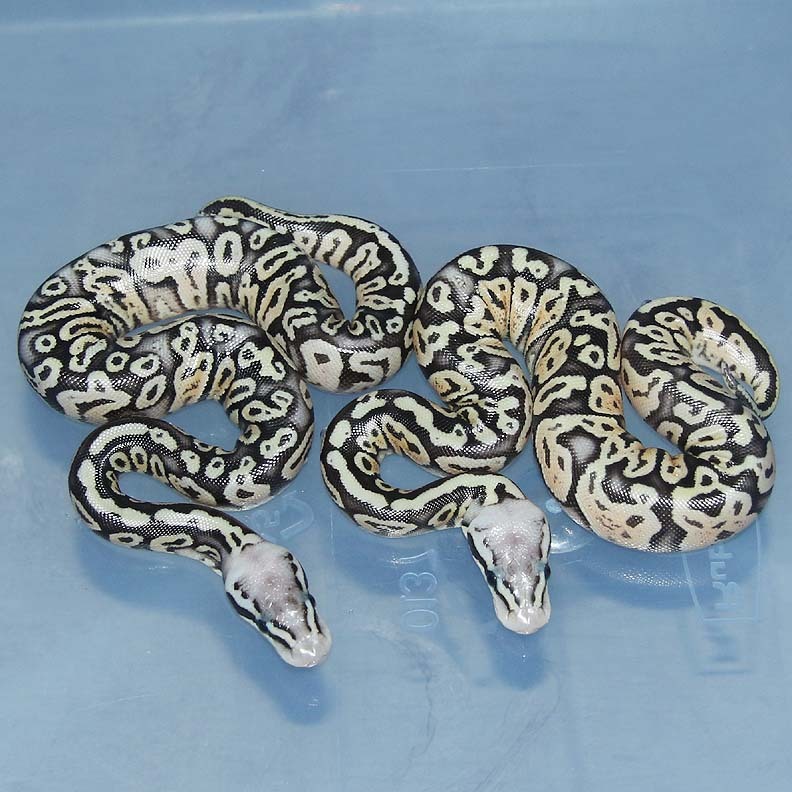 Description: Banana Phantom 1/15 x Super Lesser Pastel Green Ghost 2/13. Description: Pastel Spark HRA Het Albino 2/15 x Albino Het Mel 2/10. 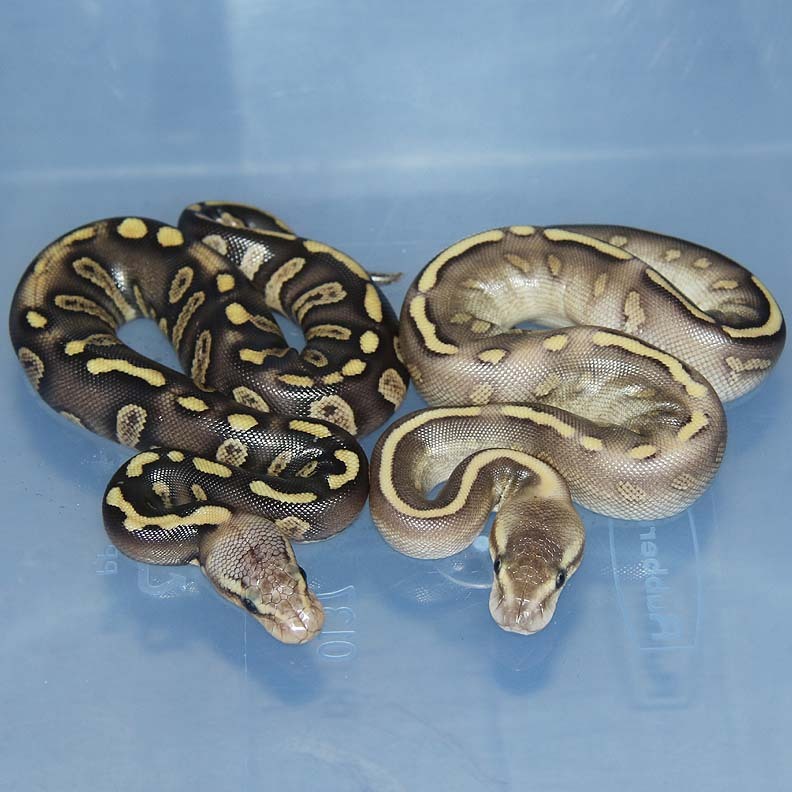 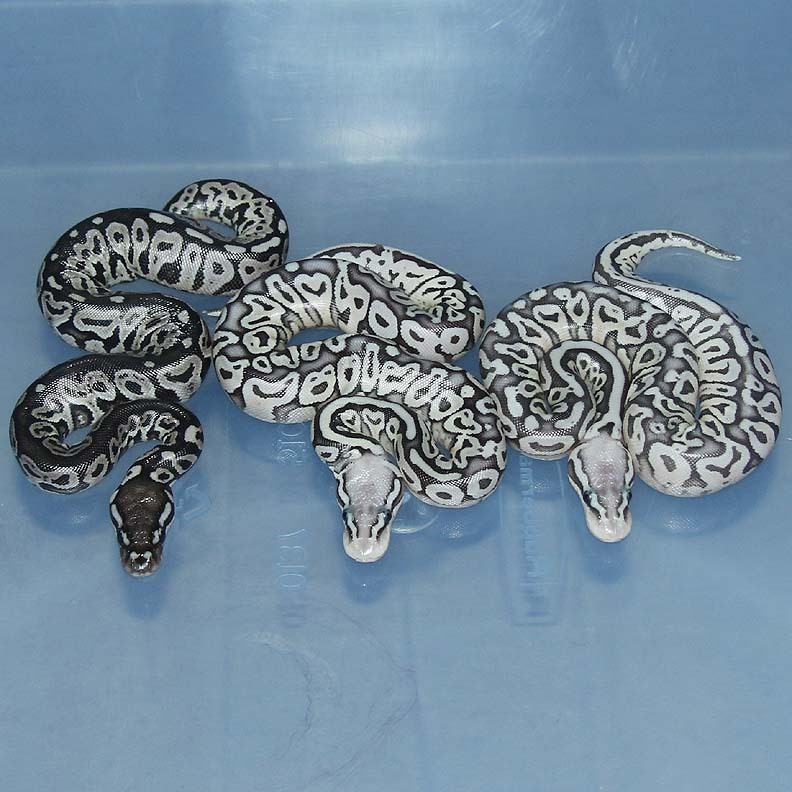 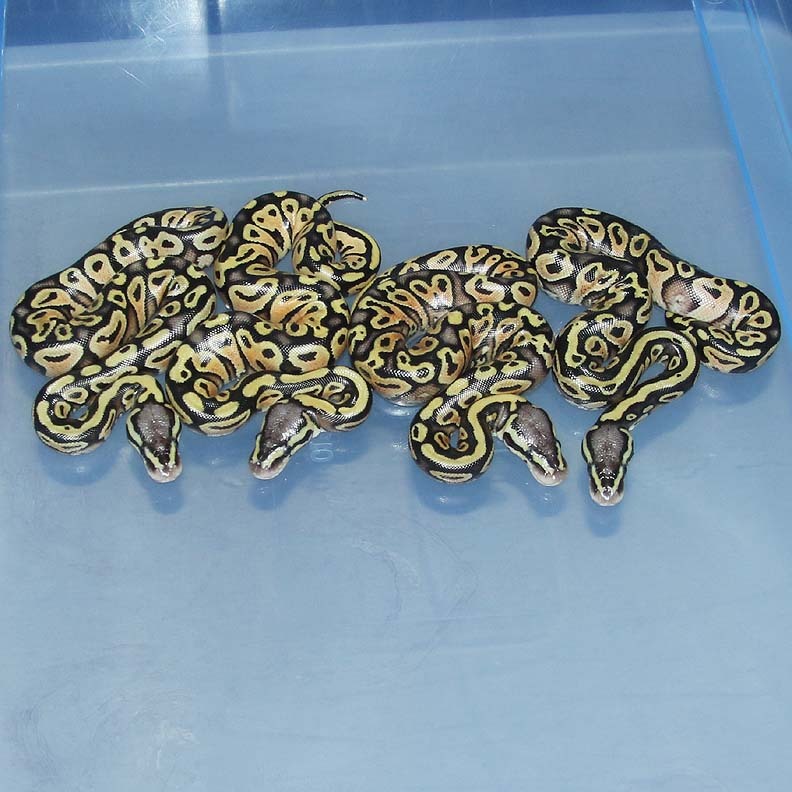 Description: Pastel Spark HRA Het Genetic Stripe 2/15 x YB Het Genetic Stripe 2/14. 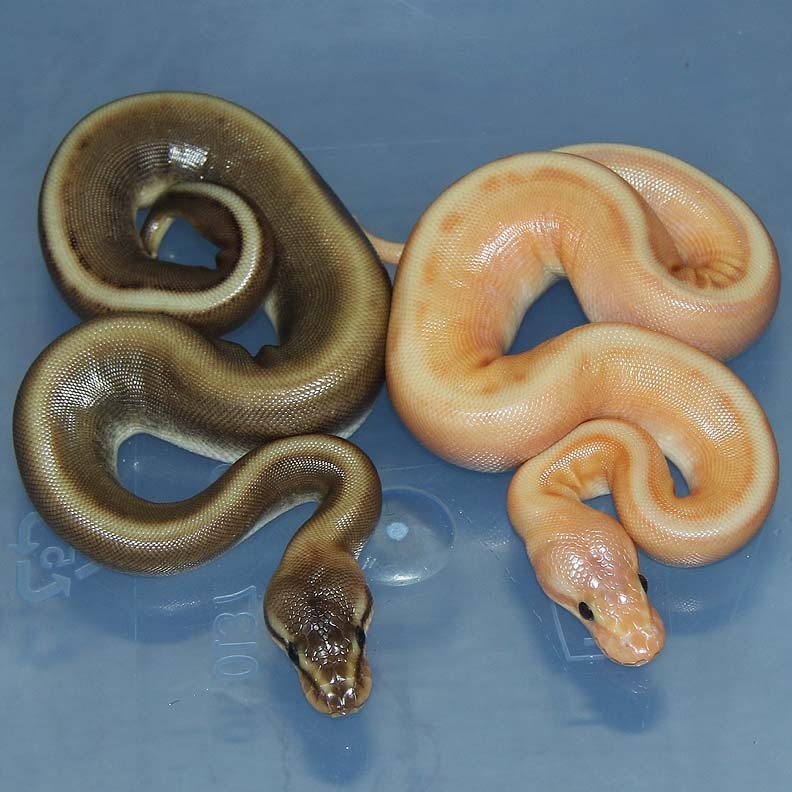 Description: POG Chocolate 1/15 x Lemon Blast Het Orange Ghost 1/13. 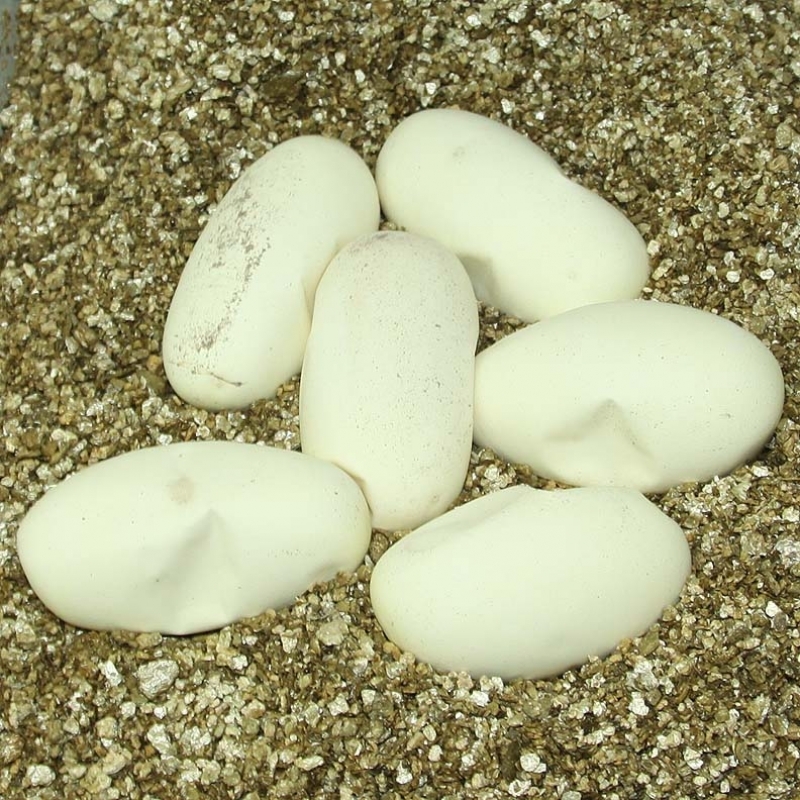 Results: Expected hatch date Nov 4 2017. 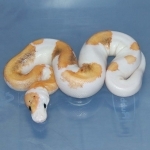 Description: Citrus Bamboo PH Pied 1/14 x Pastel Red Axanthic Pied 1/13. 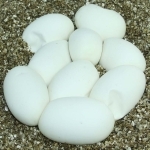 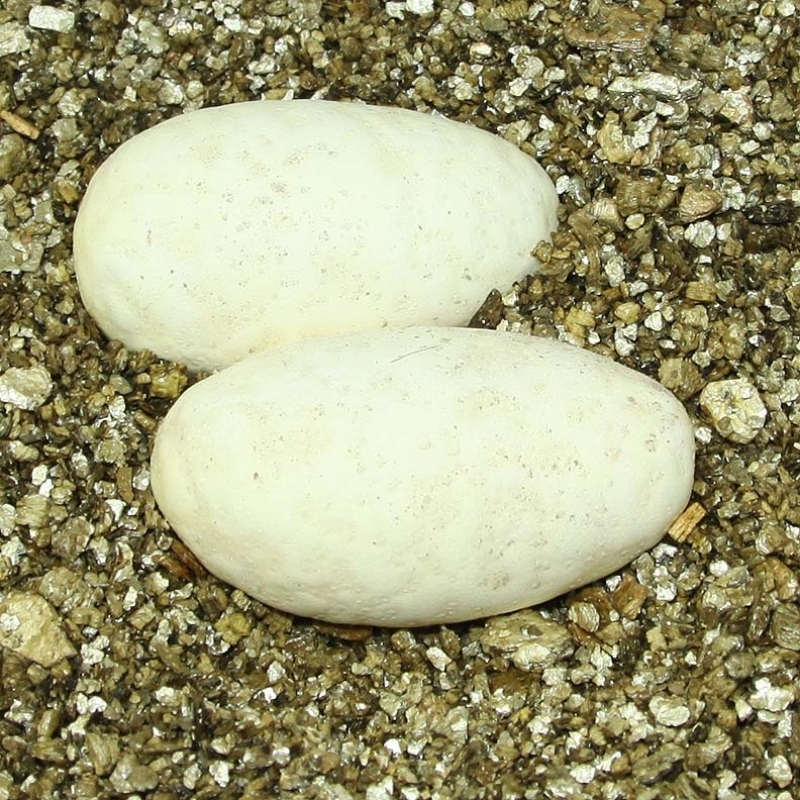 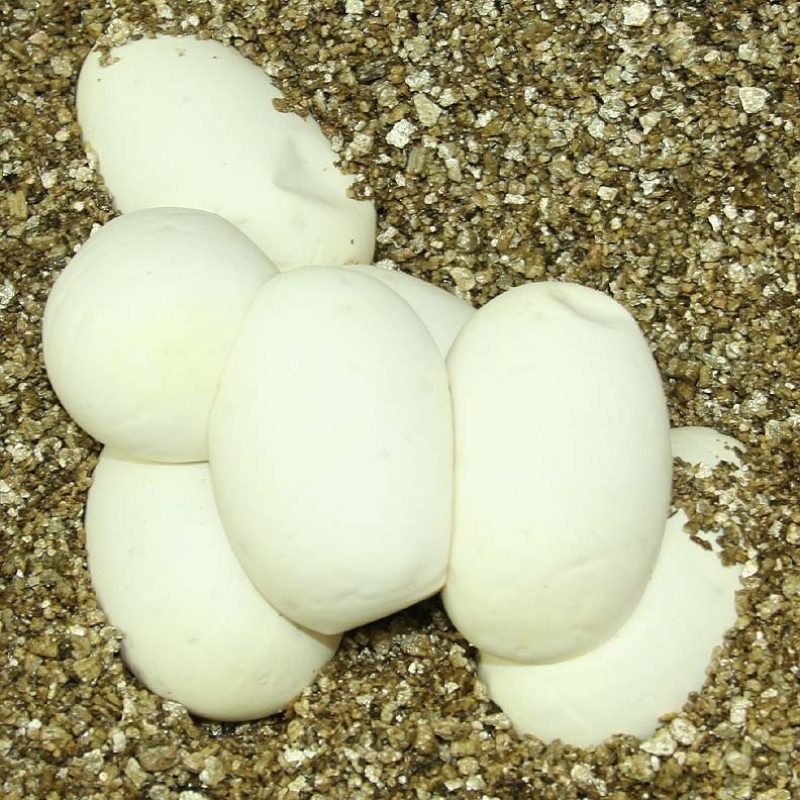 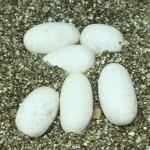 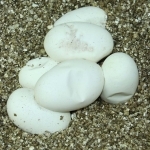 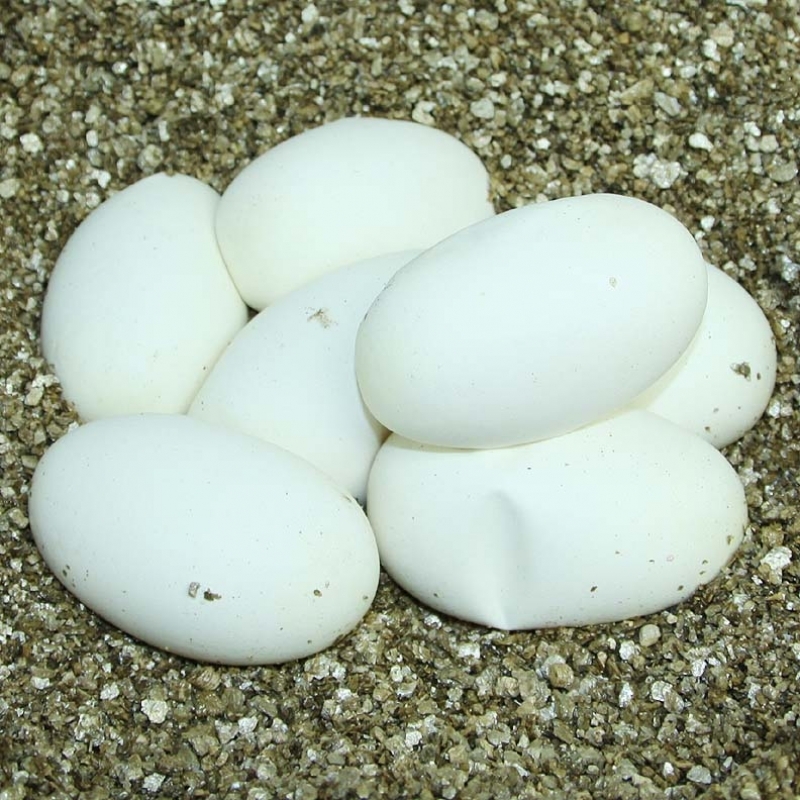 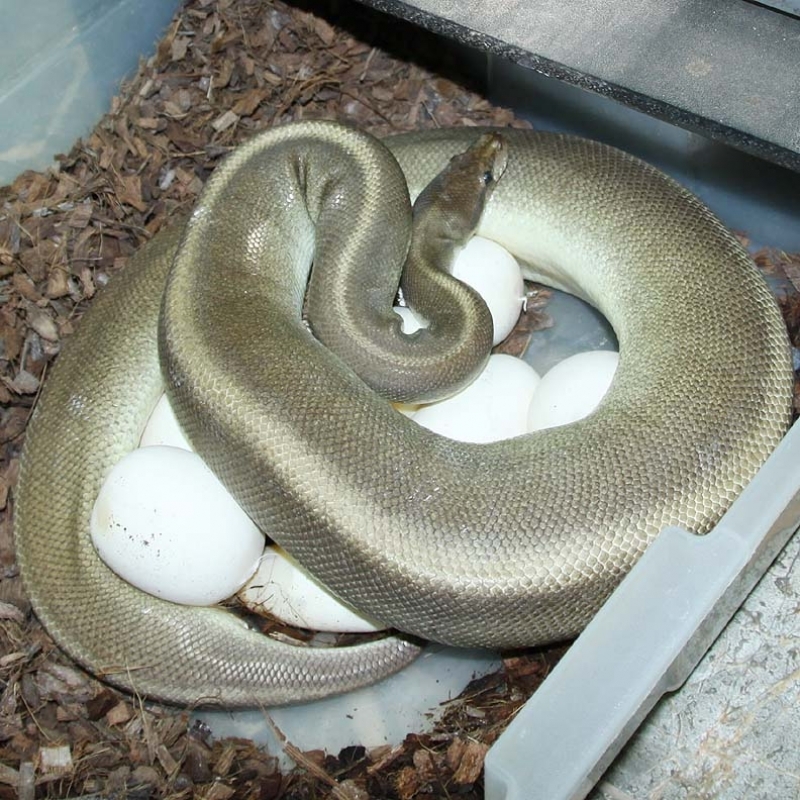 This female had 5 eggs total. 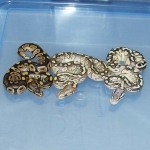 3 were retained but were laid the next day. 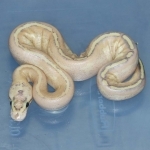 Description: Pastel Lesser Lavender HRA 1/14 x Lesser HRA Het Lavender PHGS 1/12. 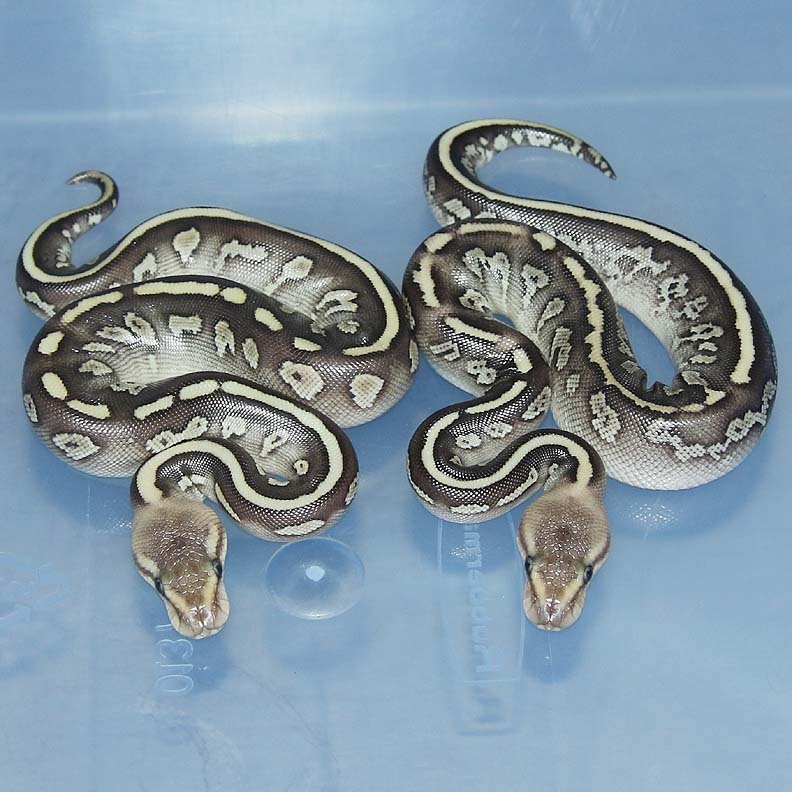 Description: Lesser Mahogany Het Green Ghost 1/15 x Red Axanthic Green Ghost 2/13. 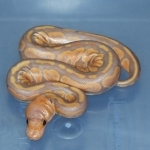 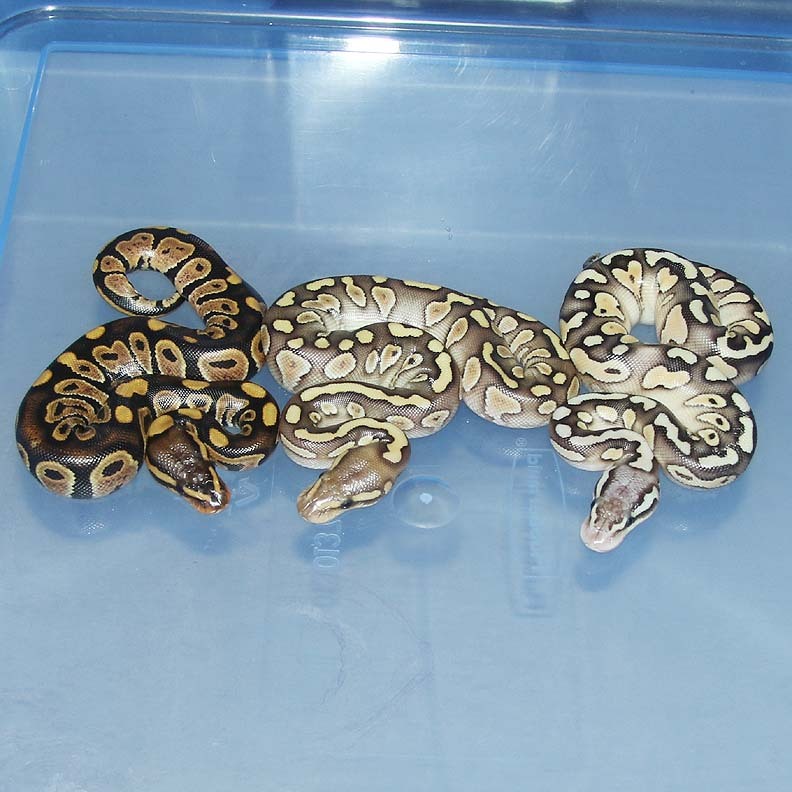 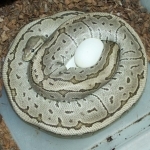 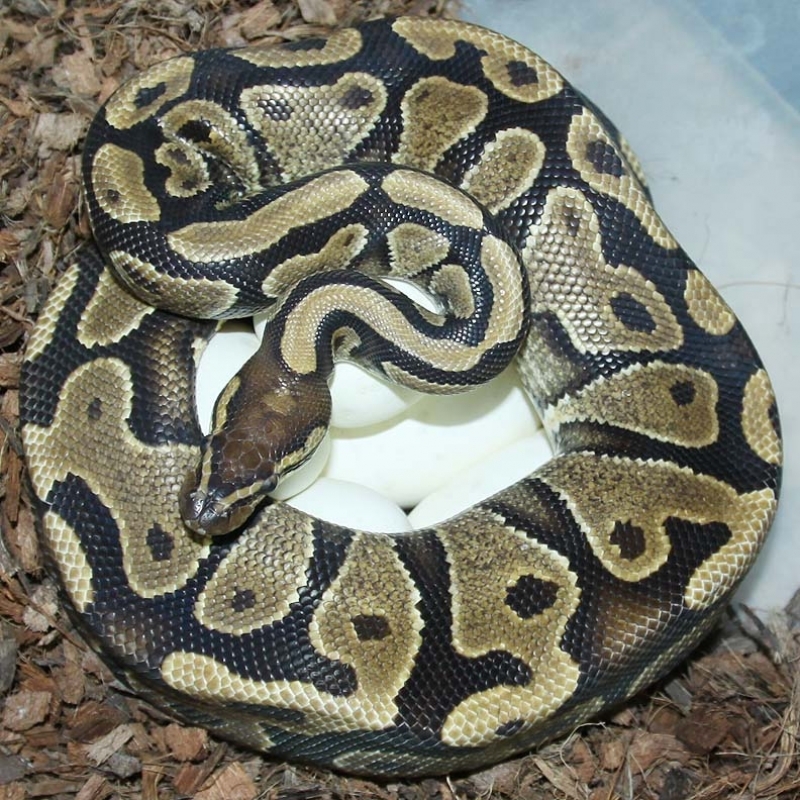 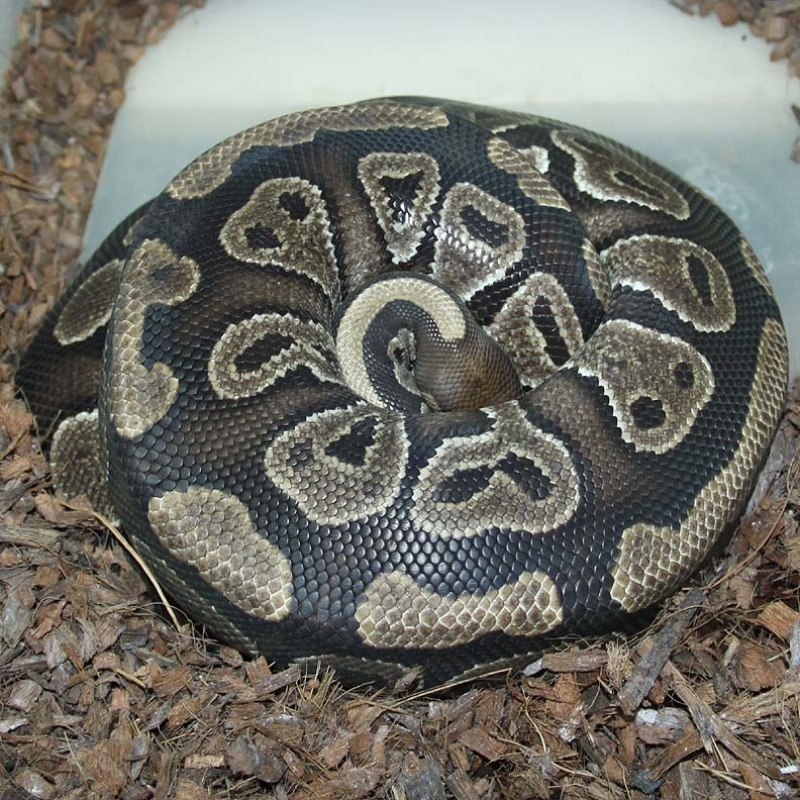 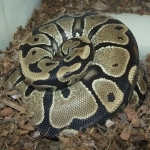 Description: Pastel HRA YB Het Caramel 1/14 x Pastel Lesser YB Het Caramel 1/14. 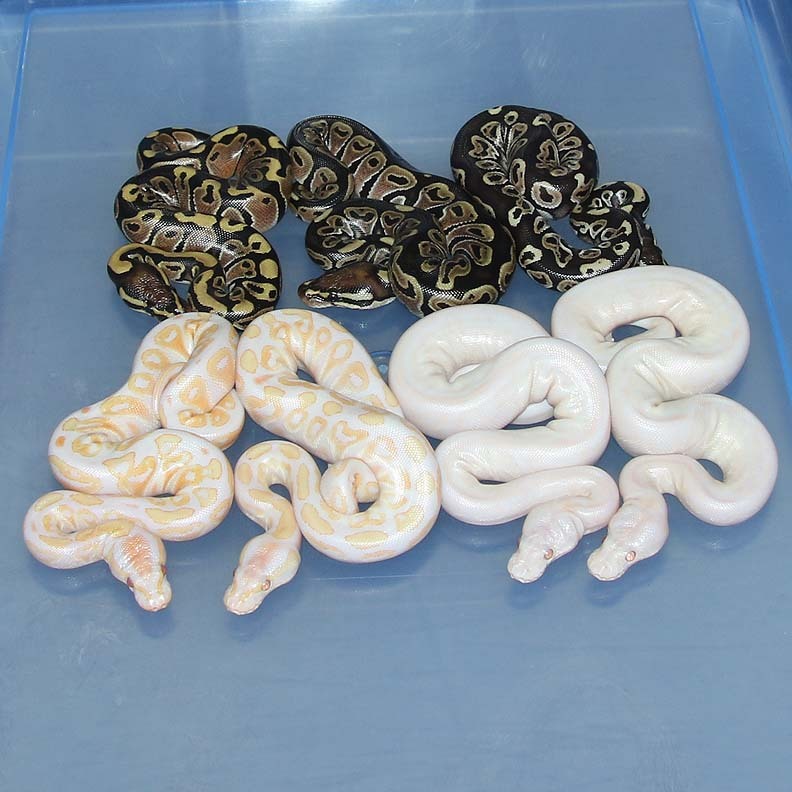 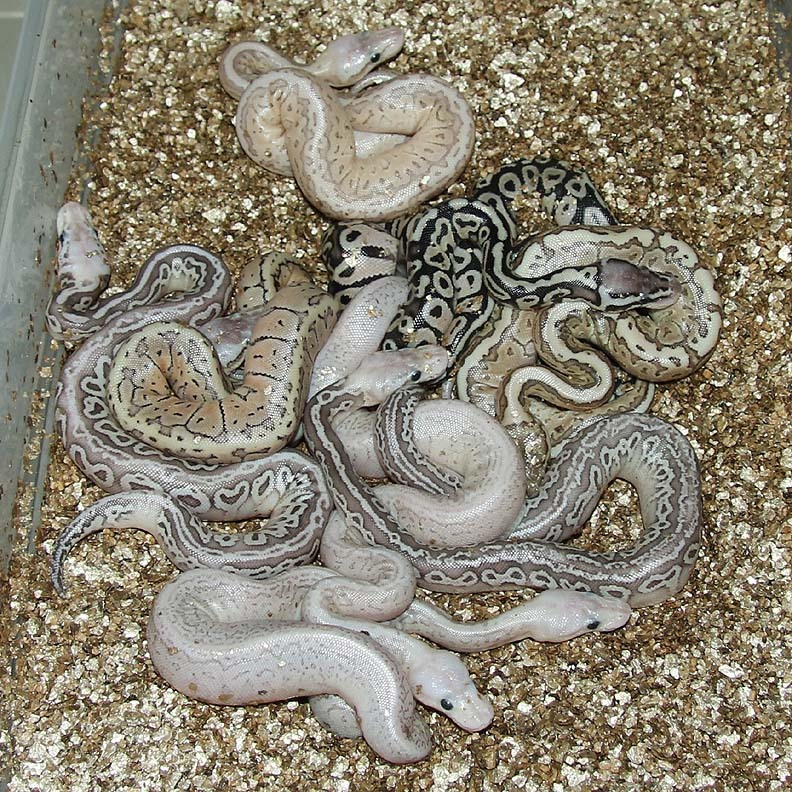 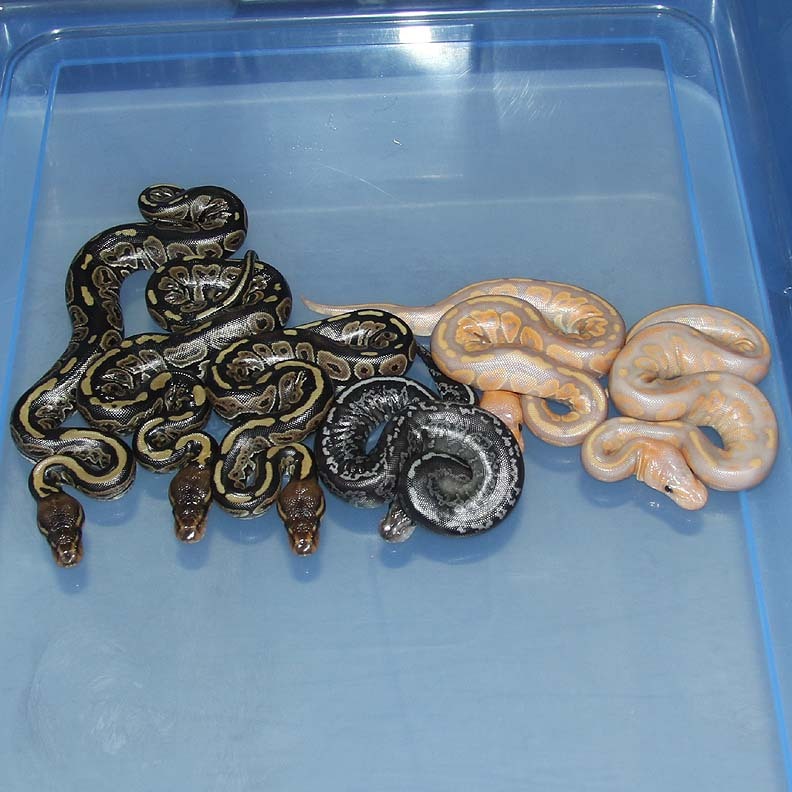 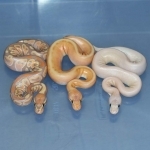 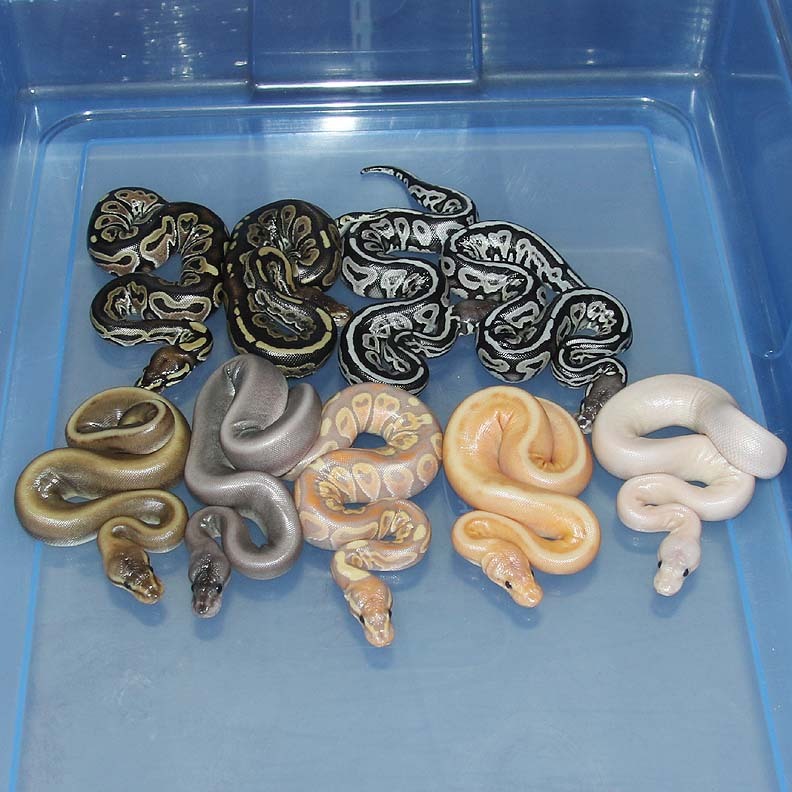 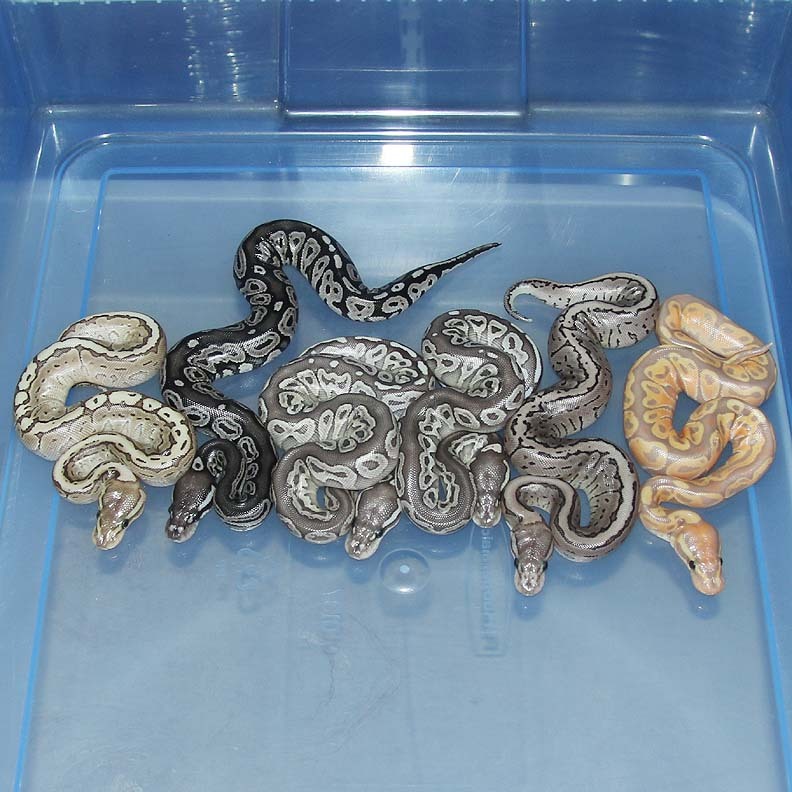 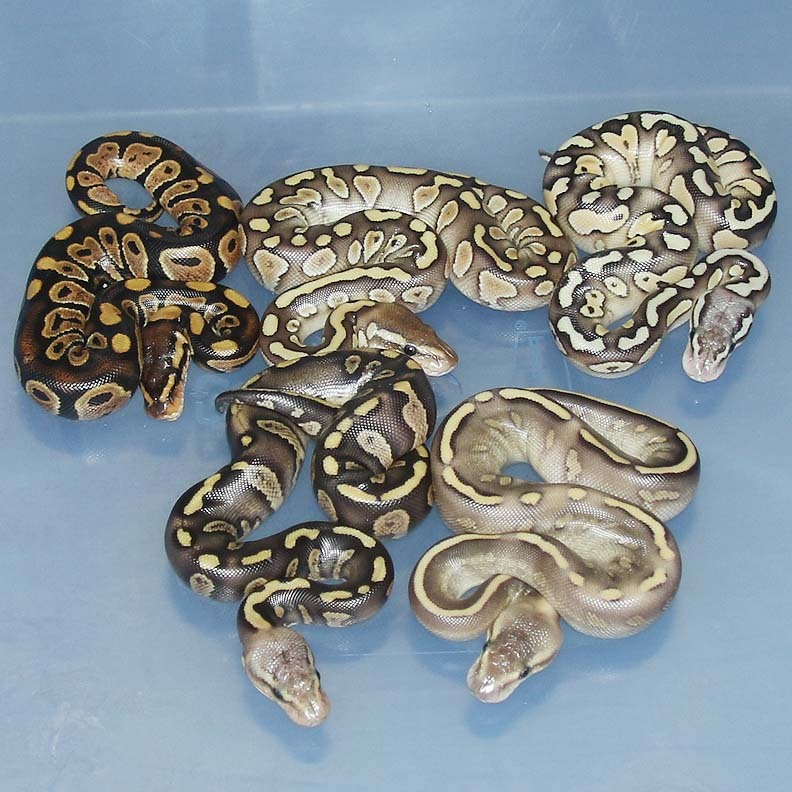 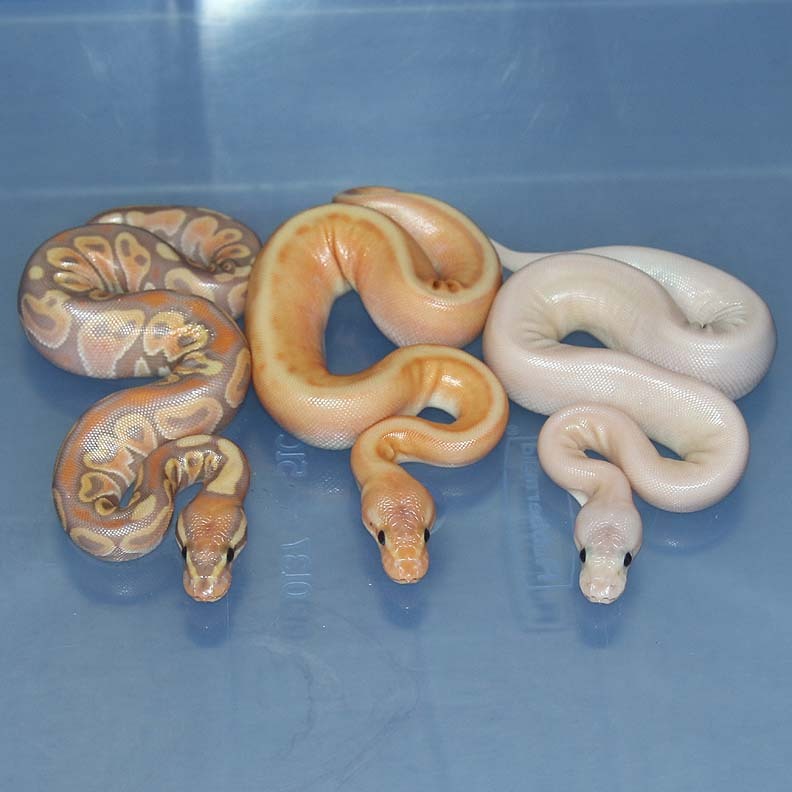 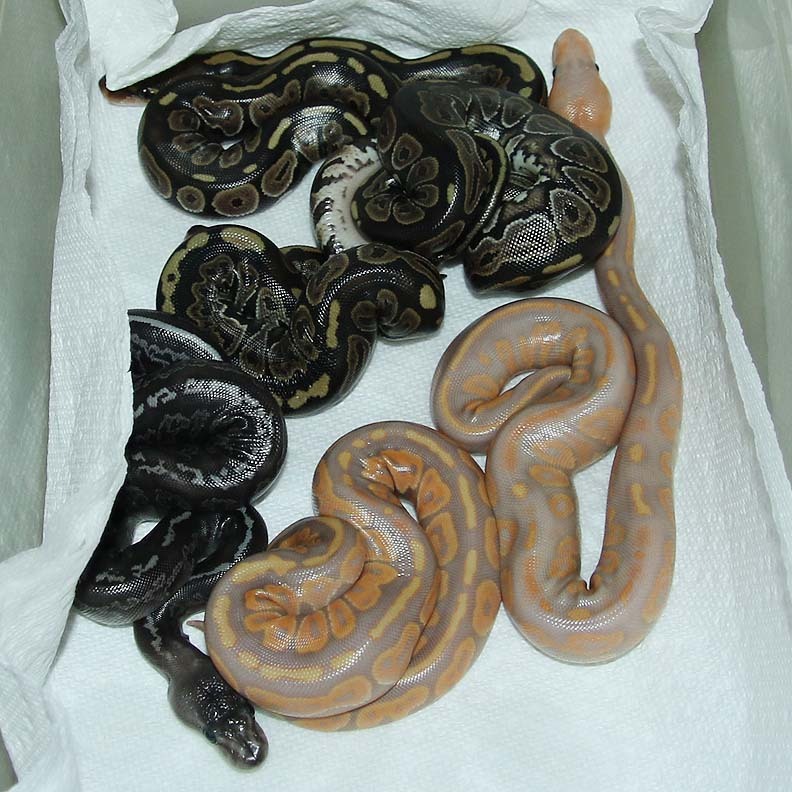 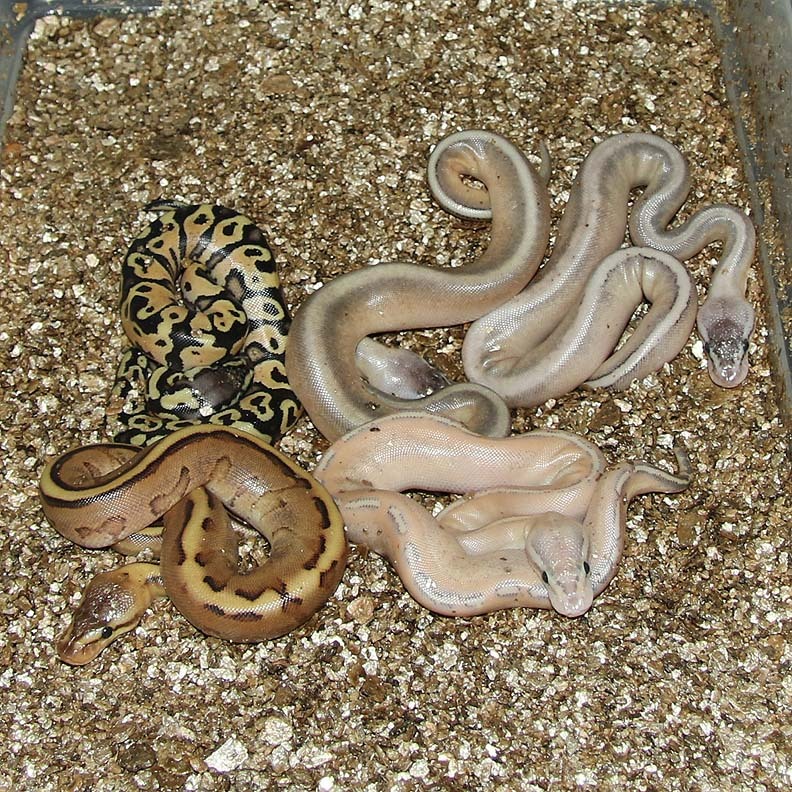 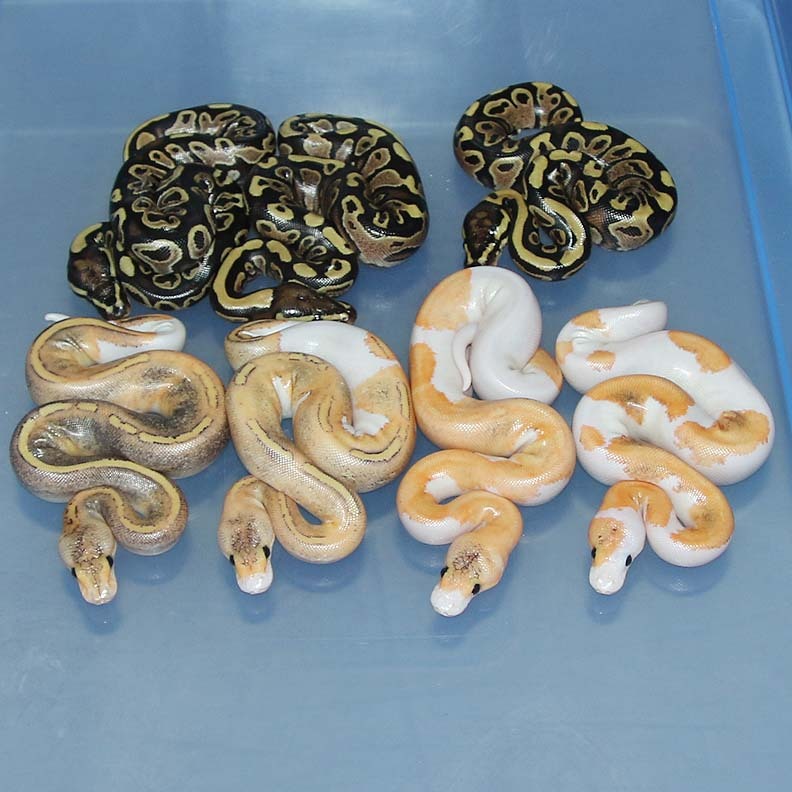 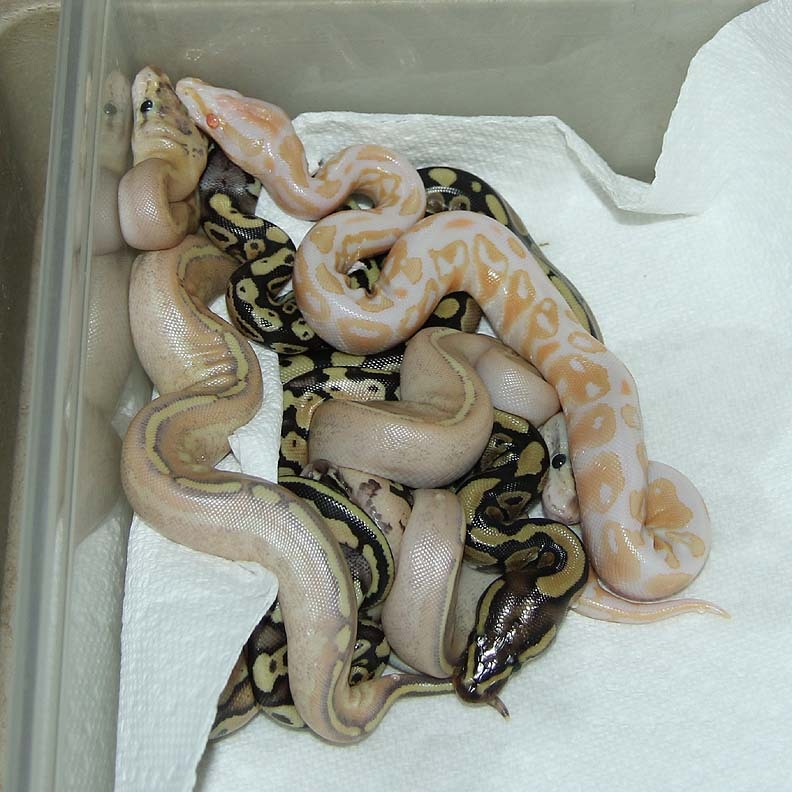 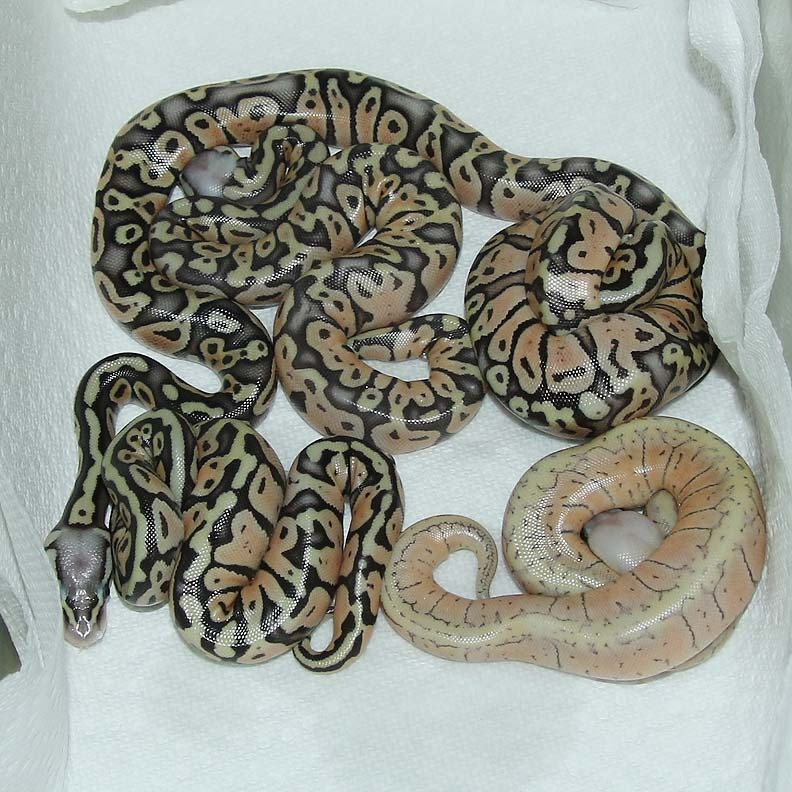 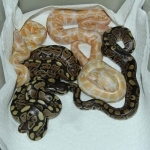 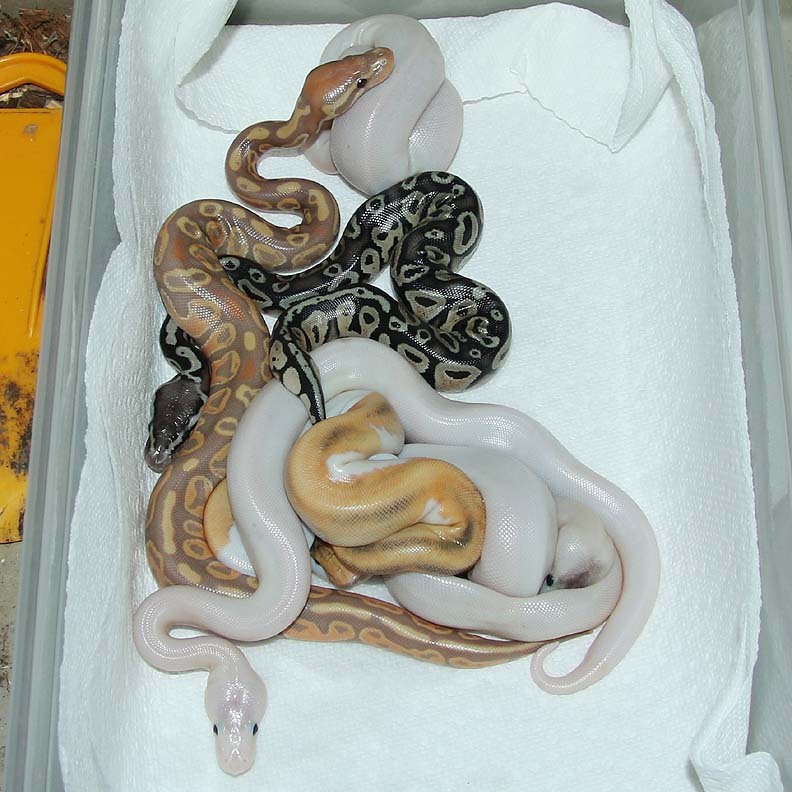 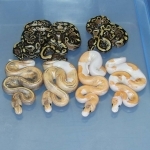 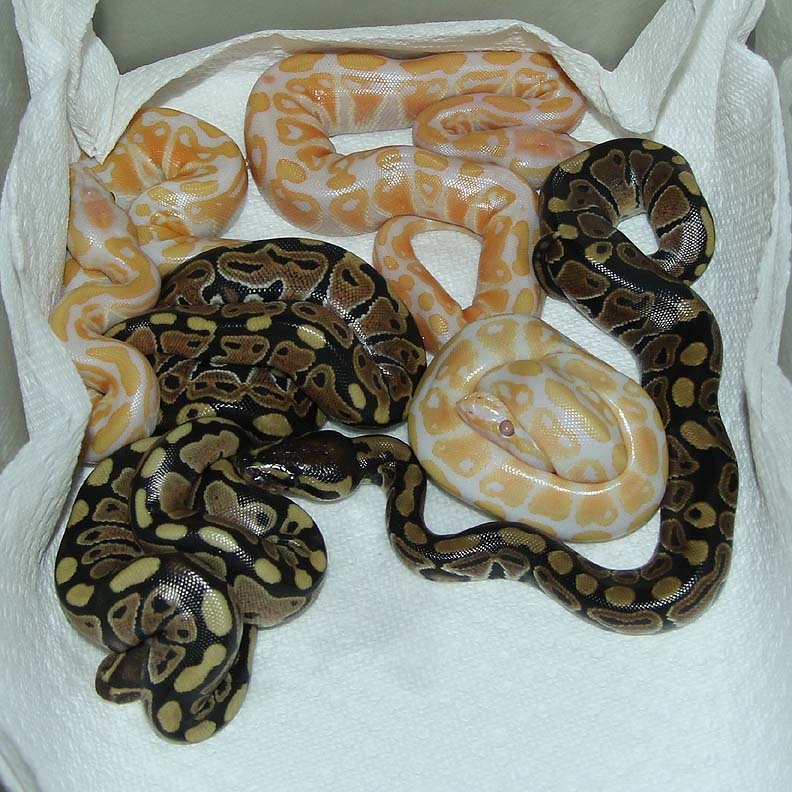 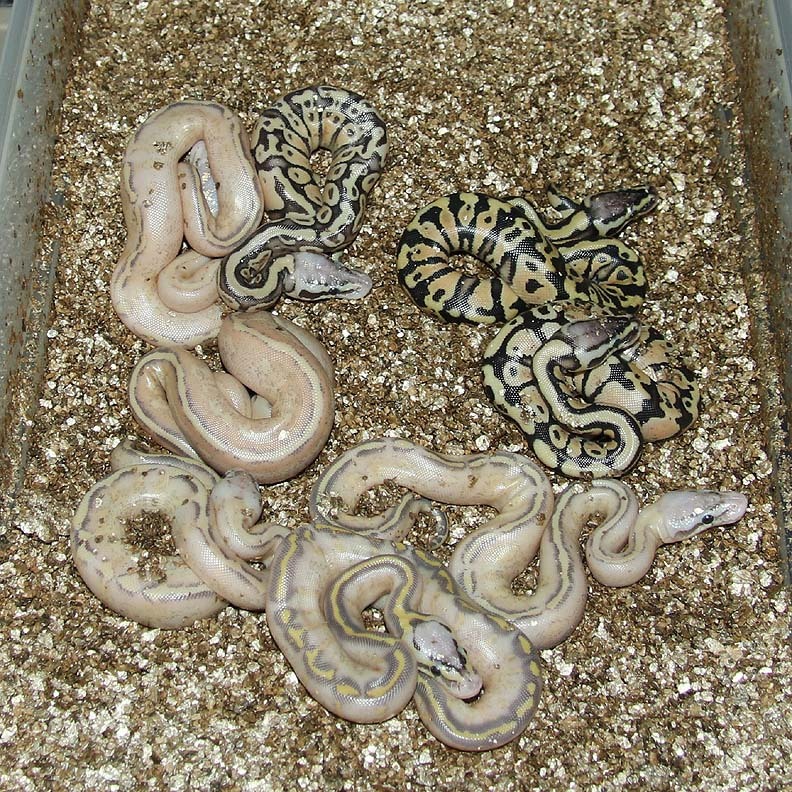 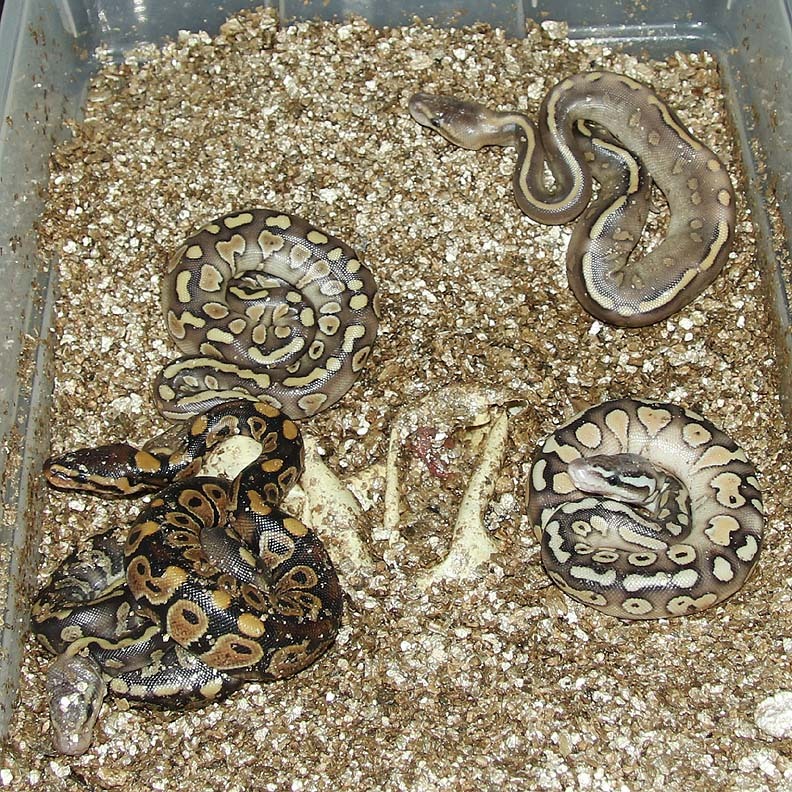 Description: Pastel Red Axanthic Orange Ghost Pinstripe 1/15 x Pastel Champagne Chocolate Het Orange Ghost 1/14. 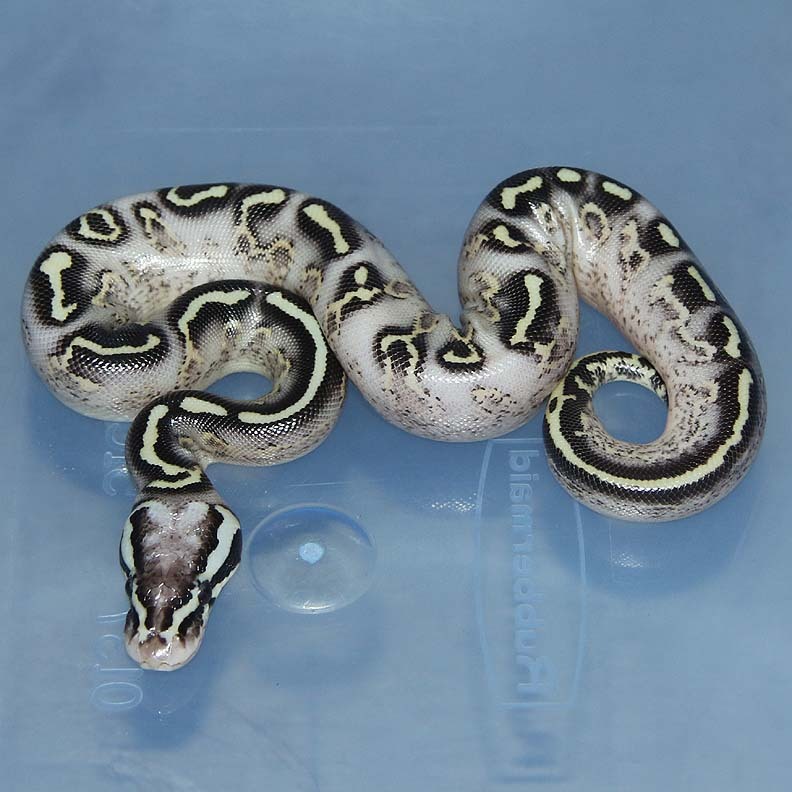 Description: POG Pied HRA 1/15 x Pastel HRA DH OG/Pied 2/13. 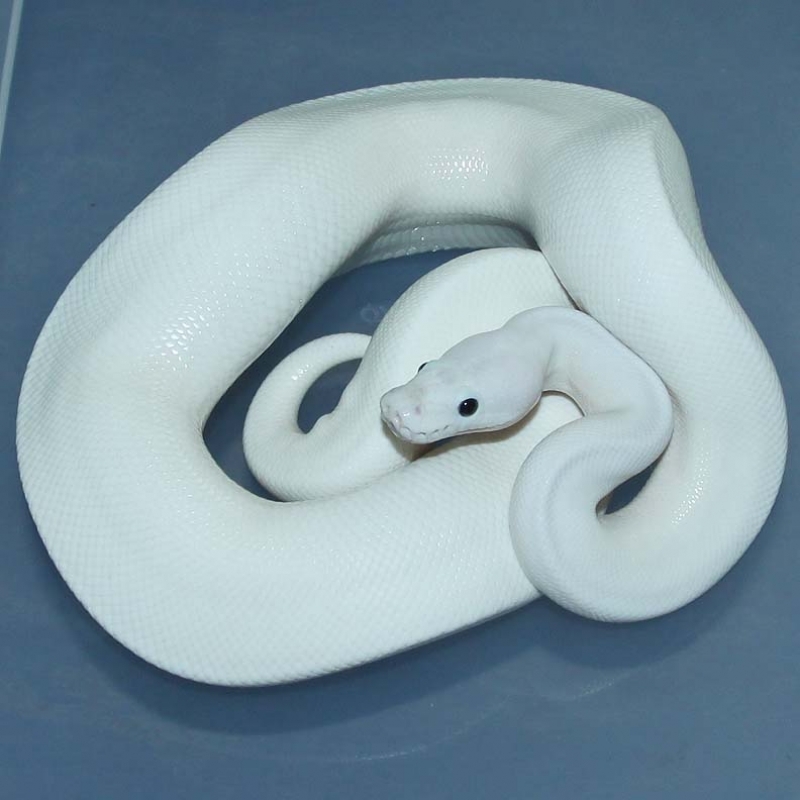 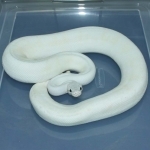 Description: Pastel Spark HRA Het Albino 1/15 x YB Het Albino 5/14. 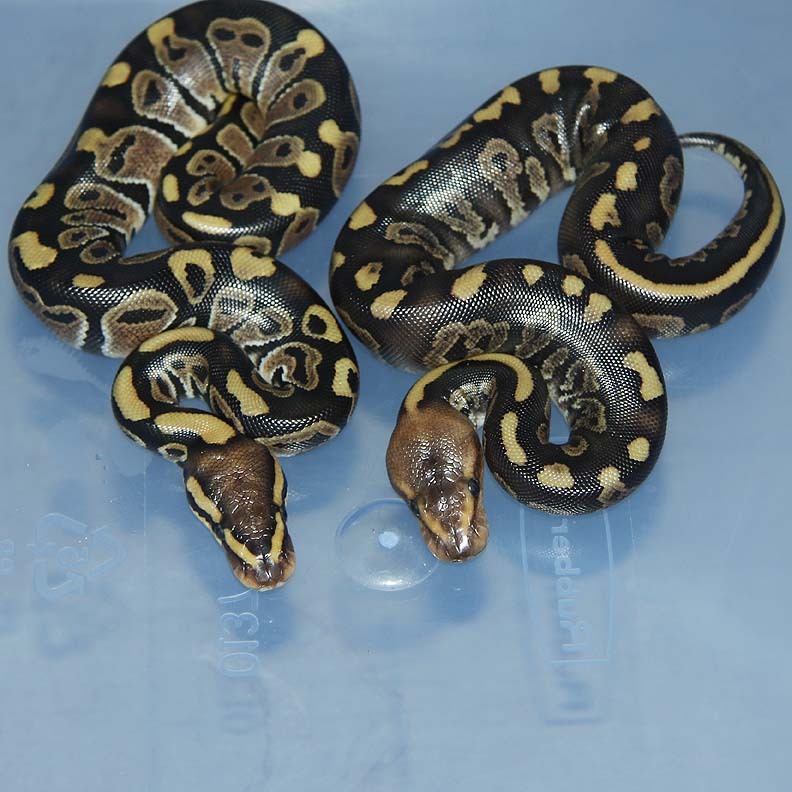 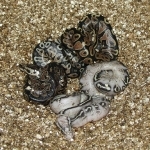 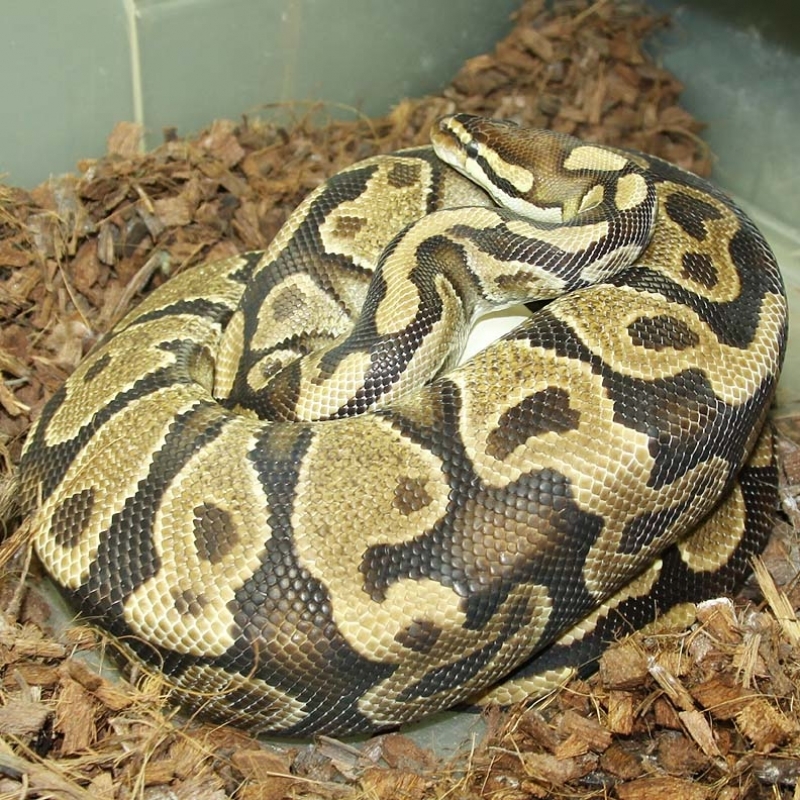 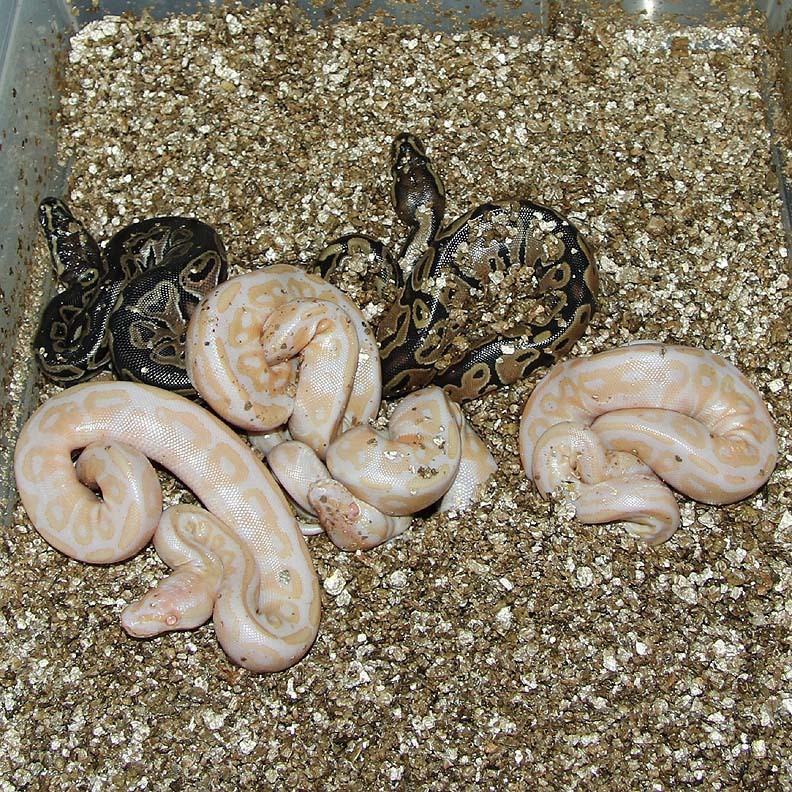 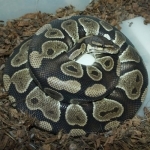 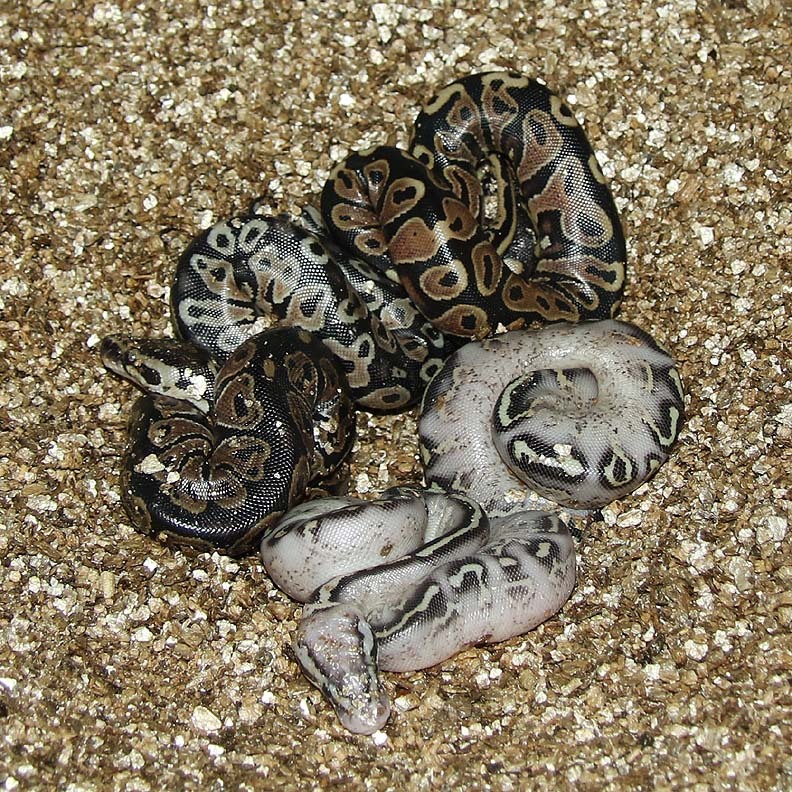 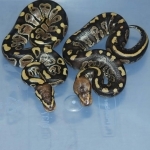 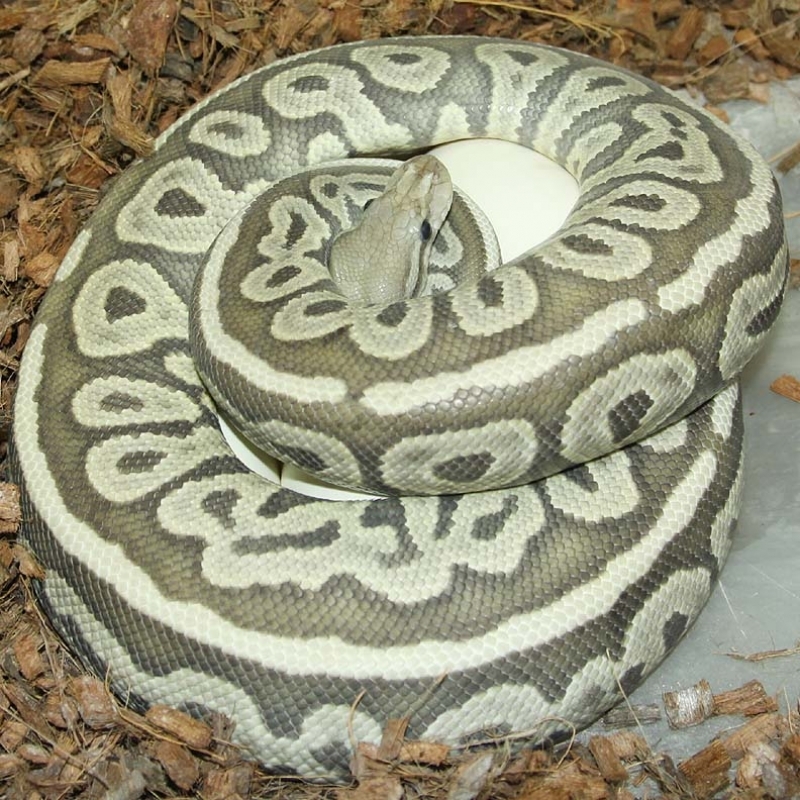 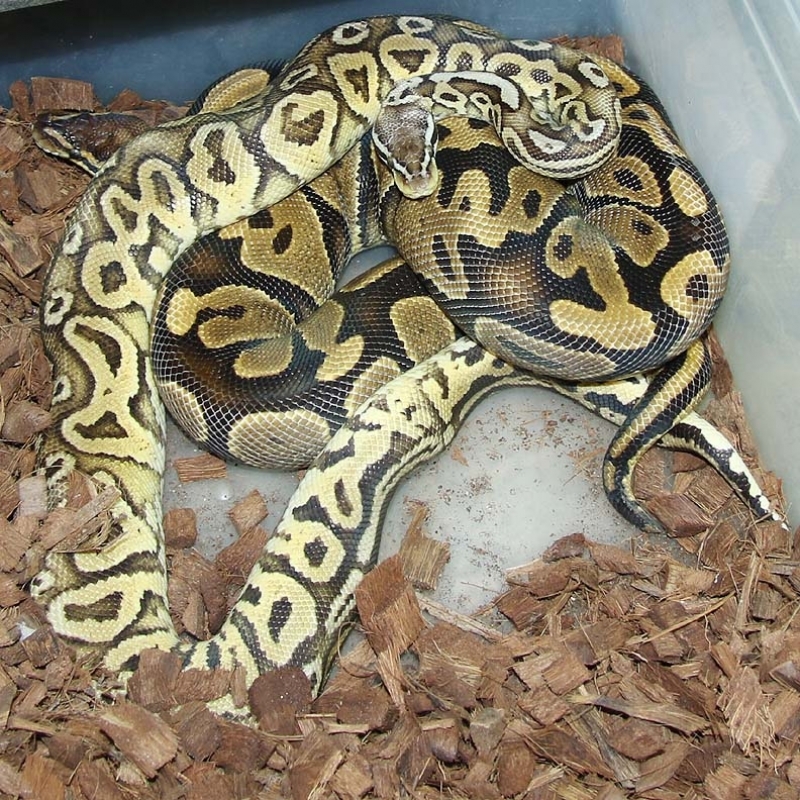 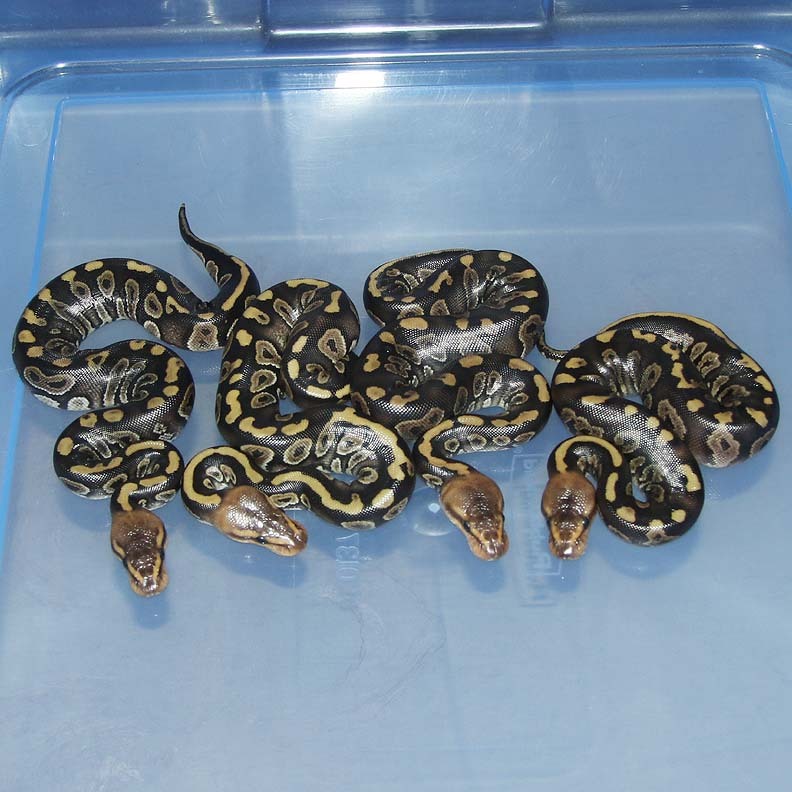 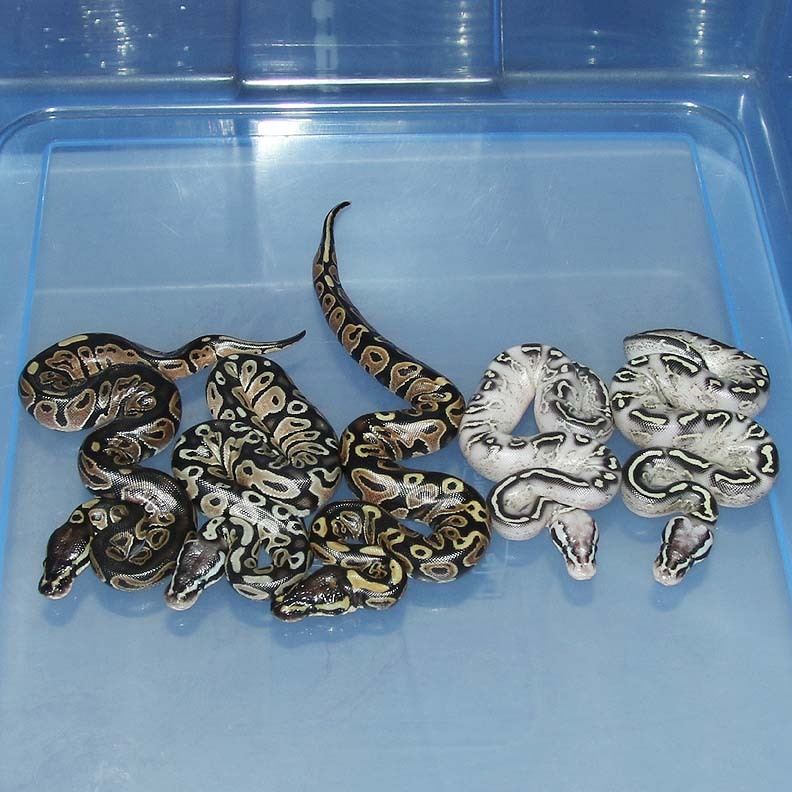 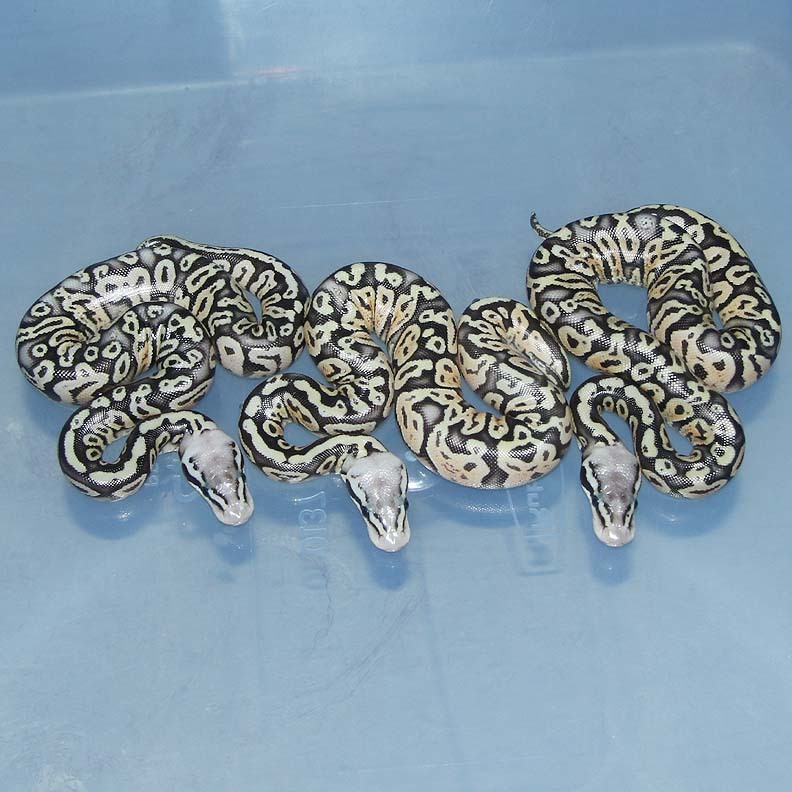 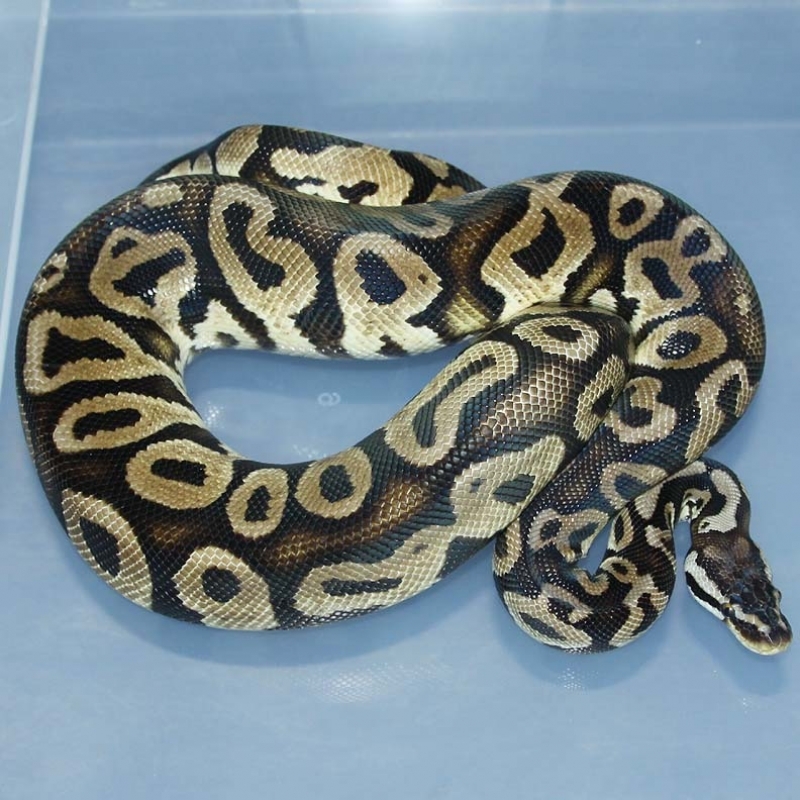 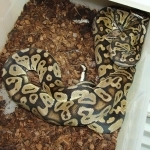 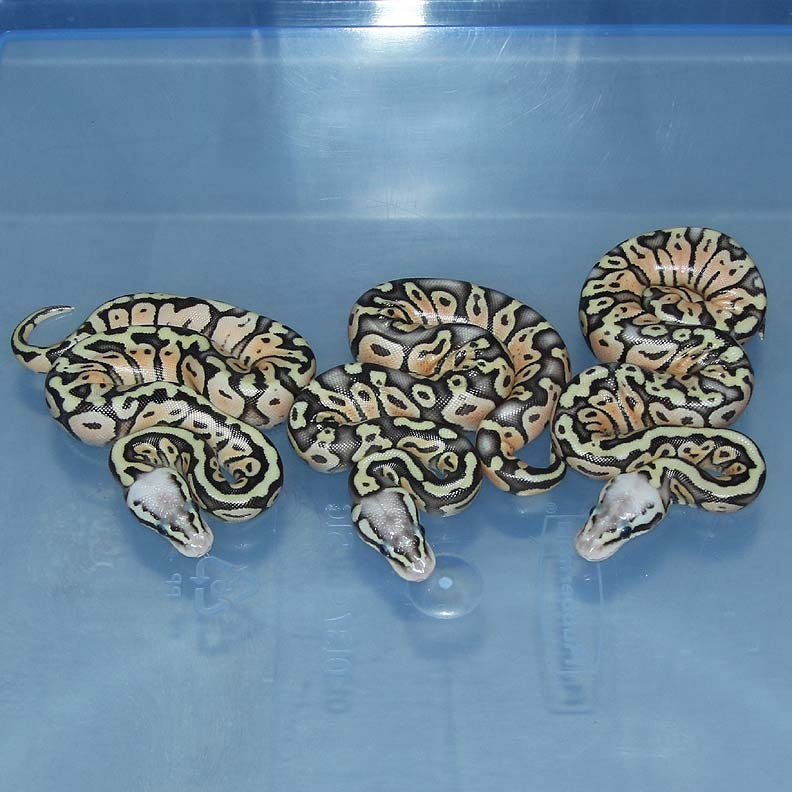 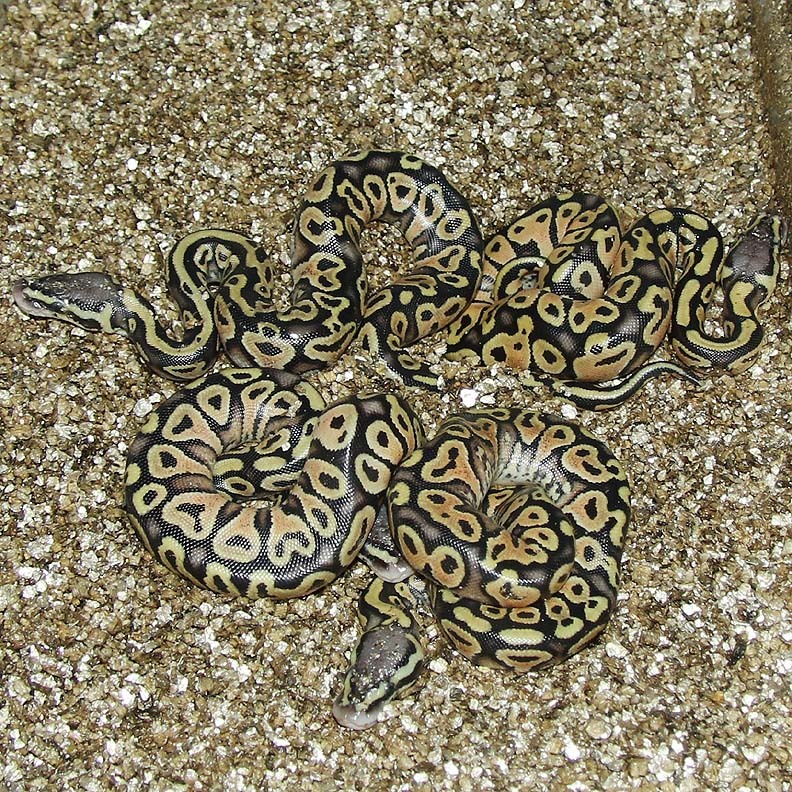 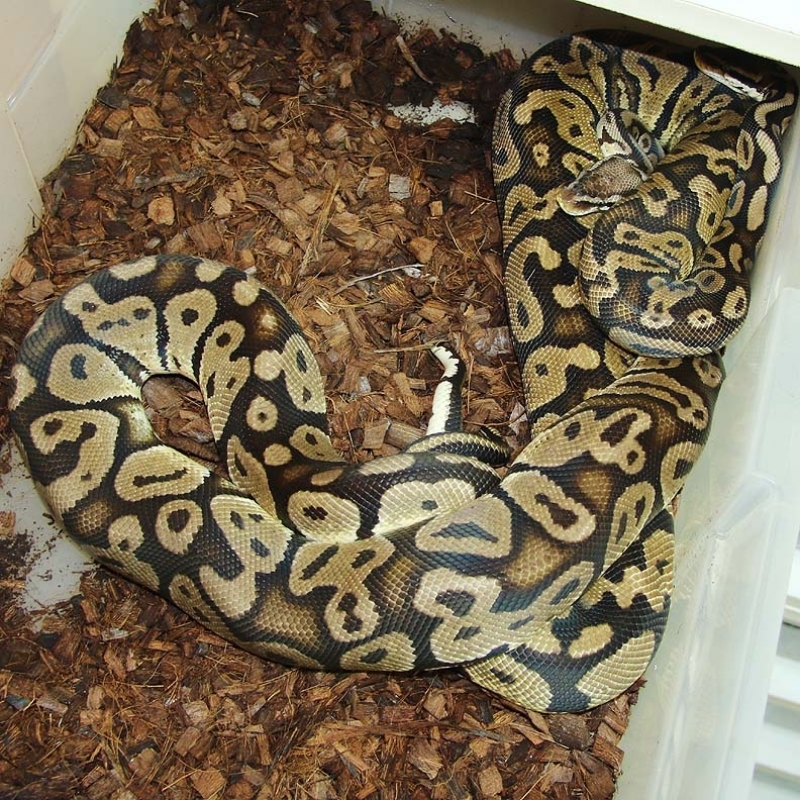 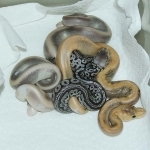 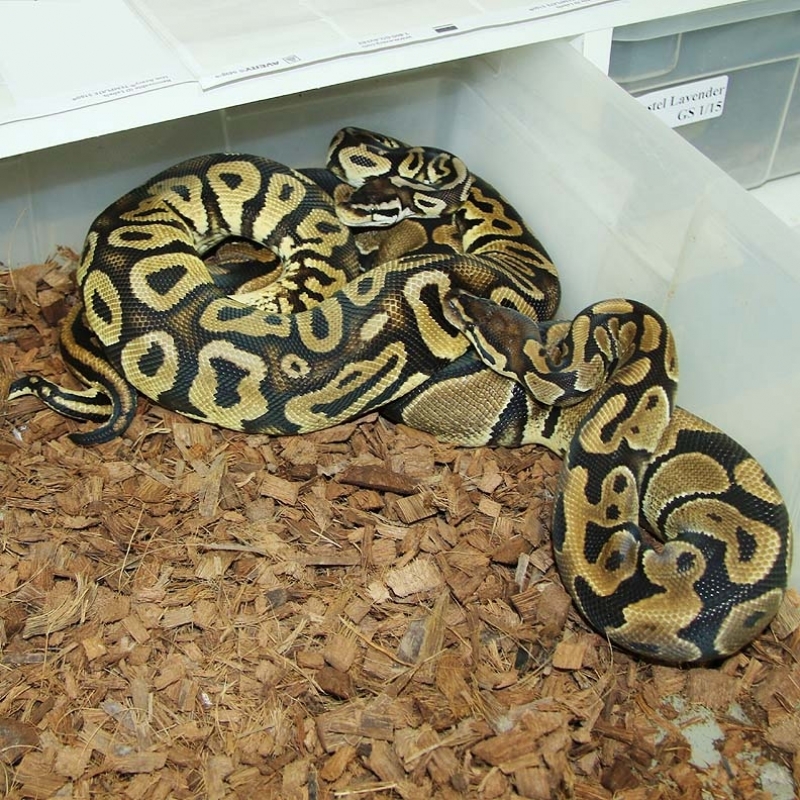 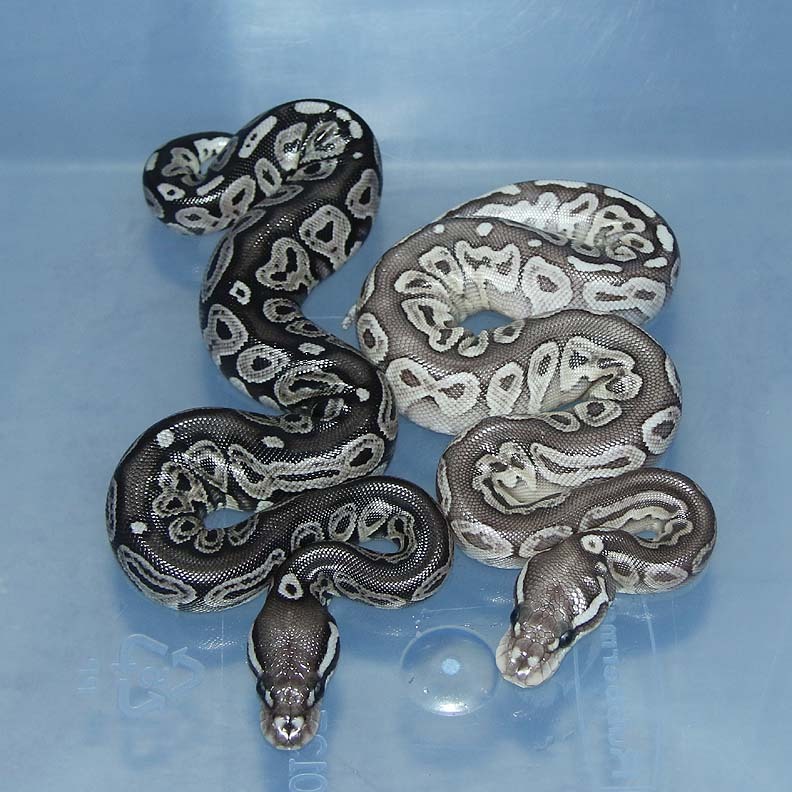 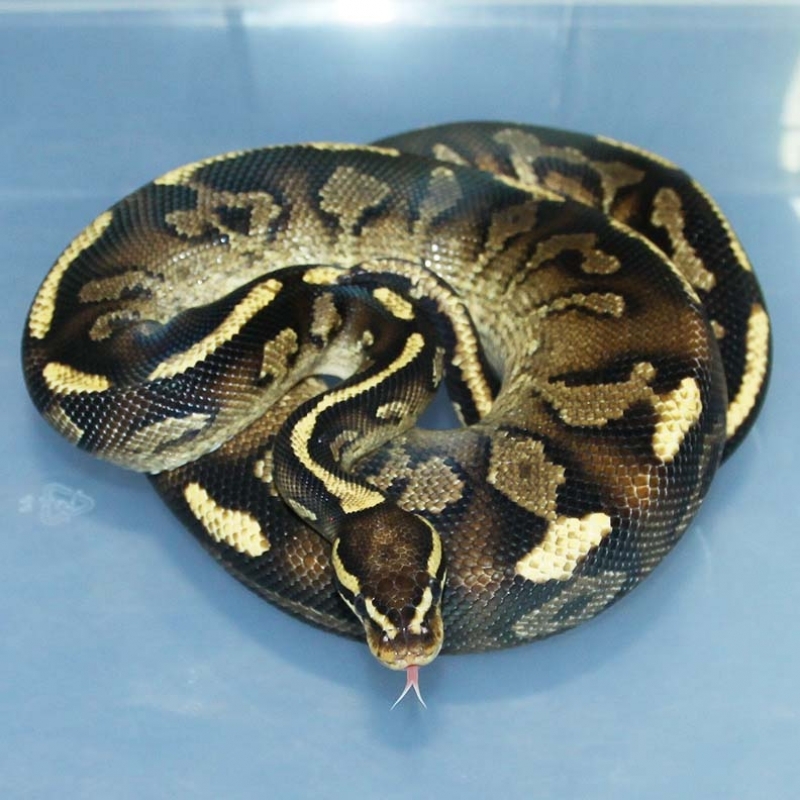 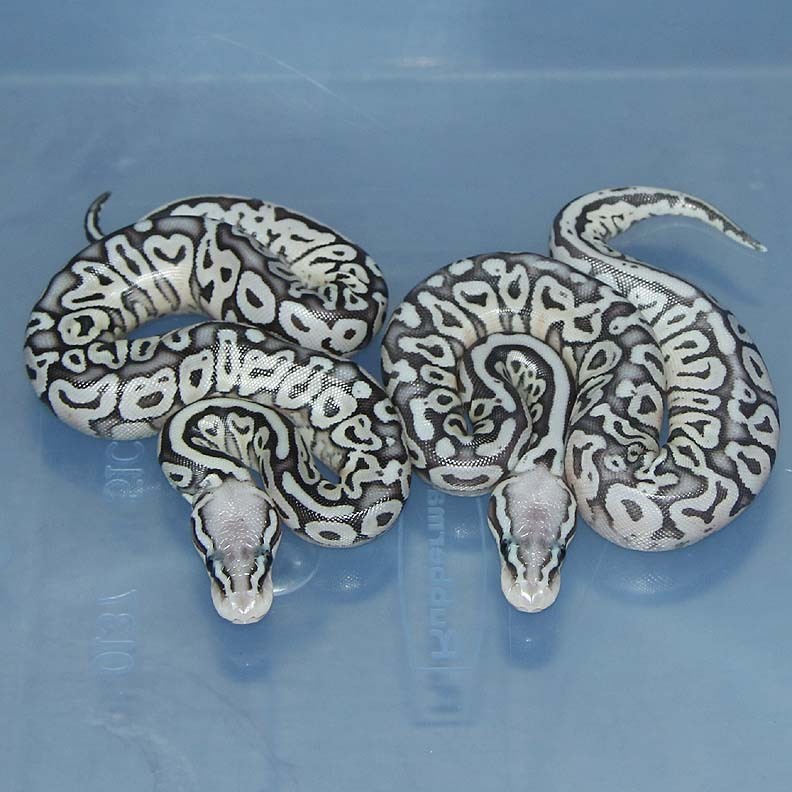 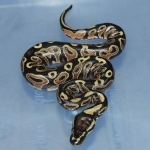 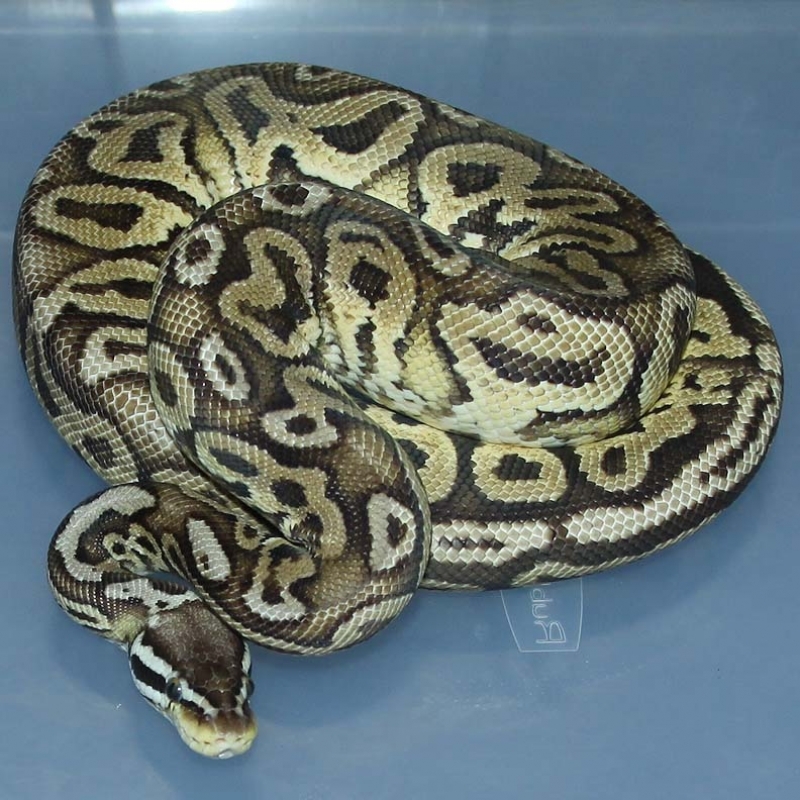 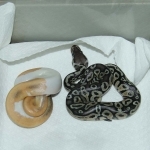 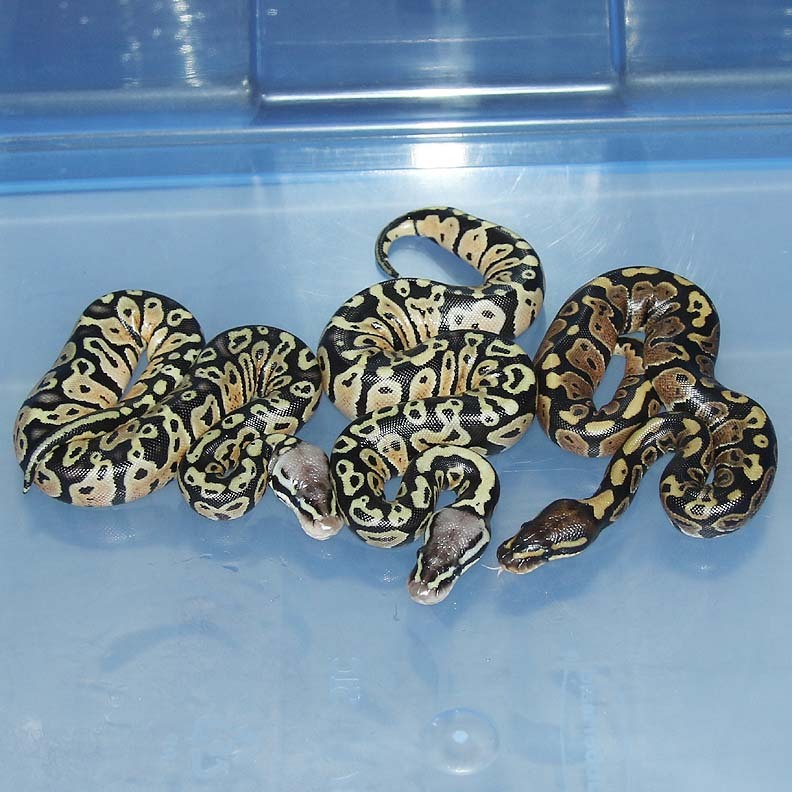 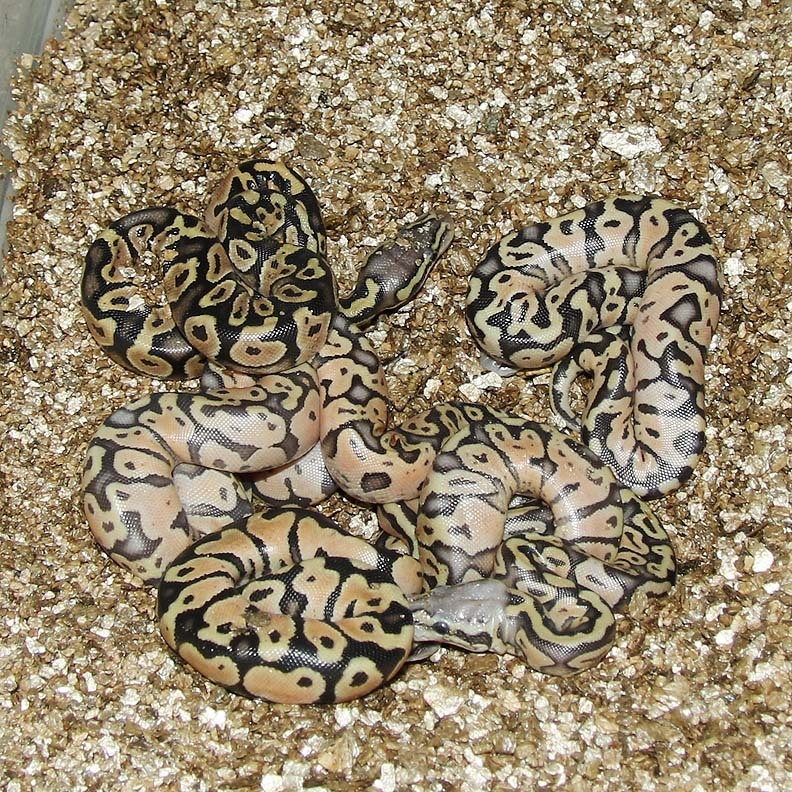 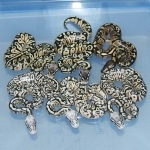 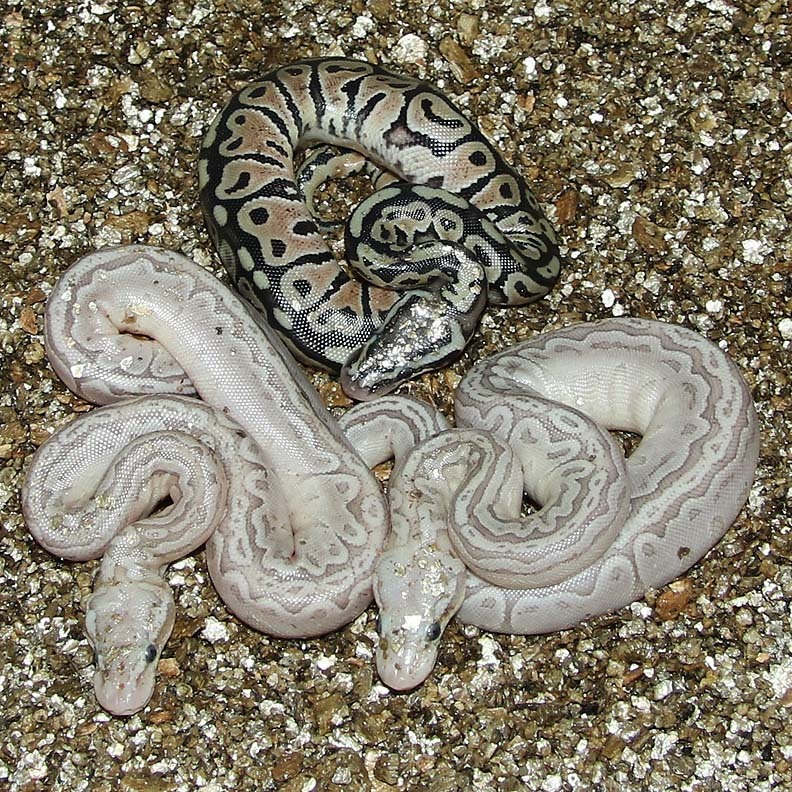 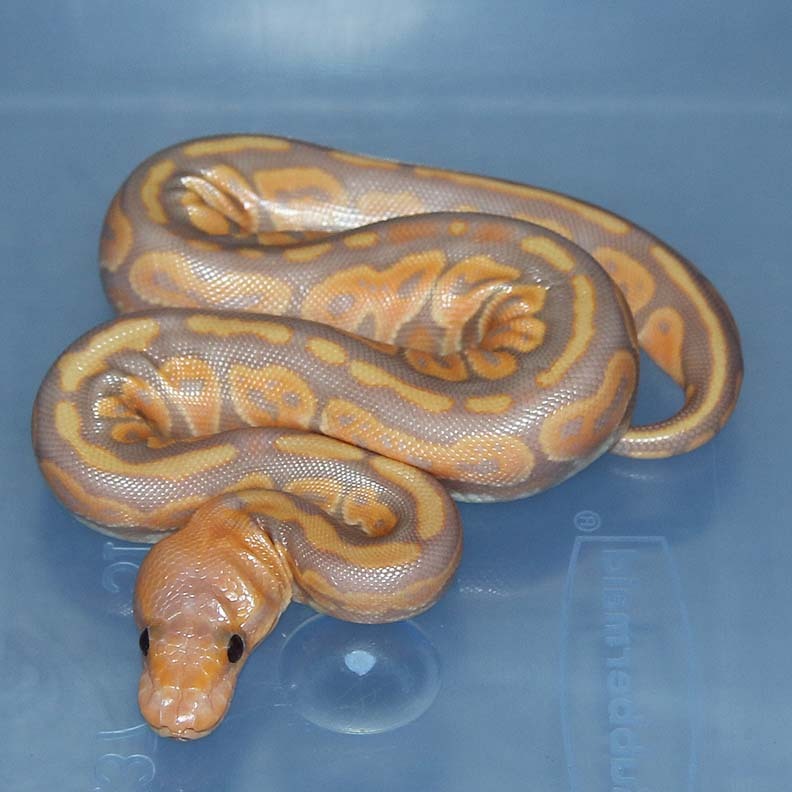 Description: Pastel Het Desert Ghost 3/11 x Pastel PH Desert Ghost 1/14. 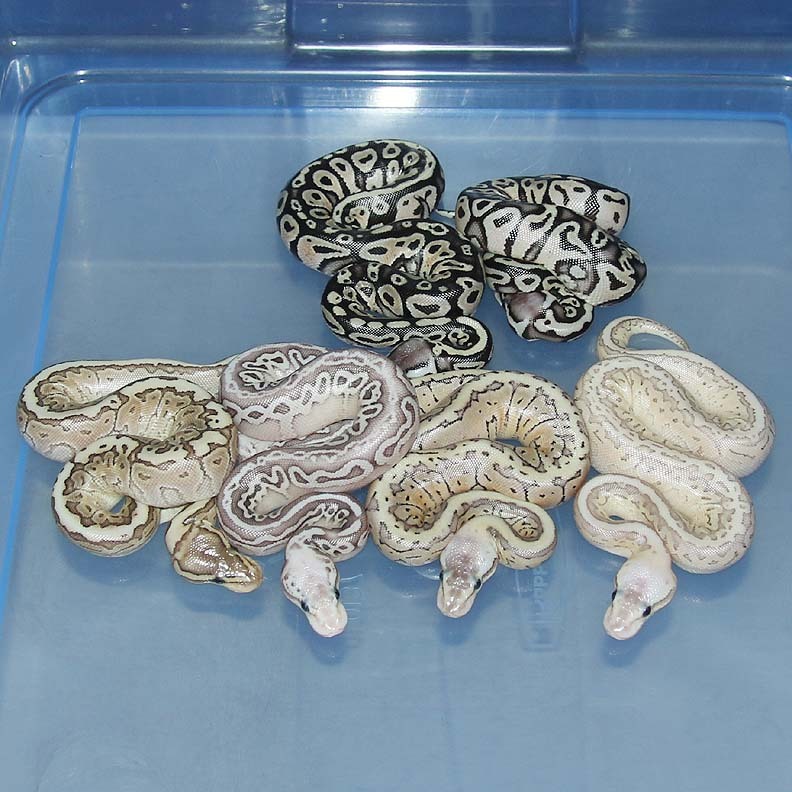 The Het Desert Ghosts I have here are all really dark. 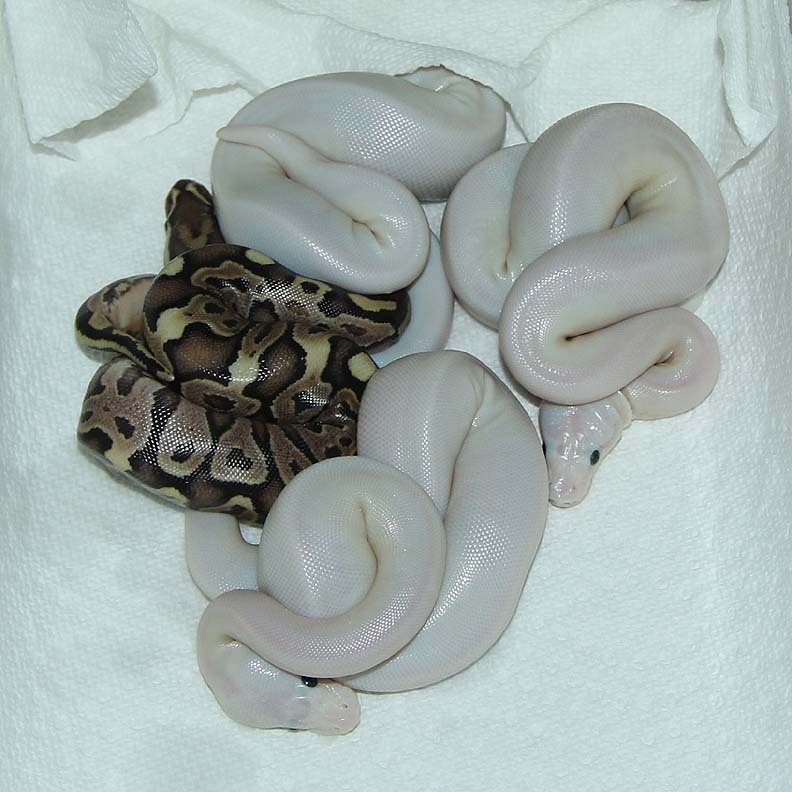 So, I picked out some dark possible hets to keep back 3 years ago. 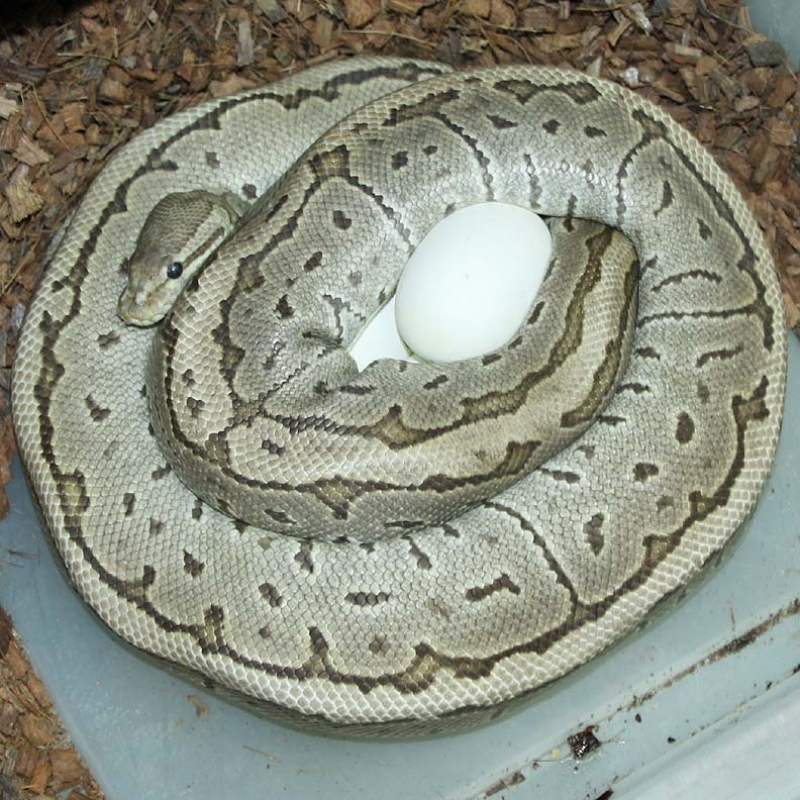 Lets see if the theory works out. Looks like I missed on the odds??? 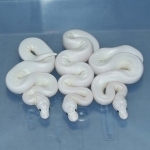 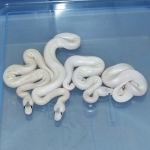 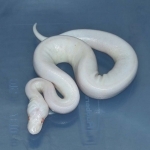 Description: Pastel Gravel HRA Het Albino 1/15 x Albino 1/11. 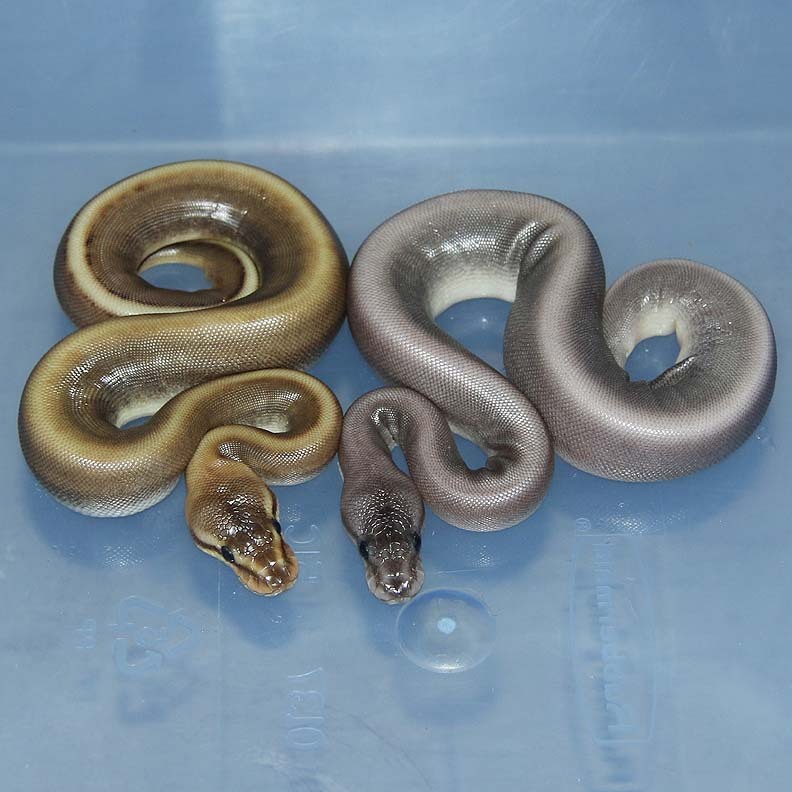 Description: Lesser Super Chocolate 1/15 x Mahogany 2/12. 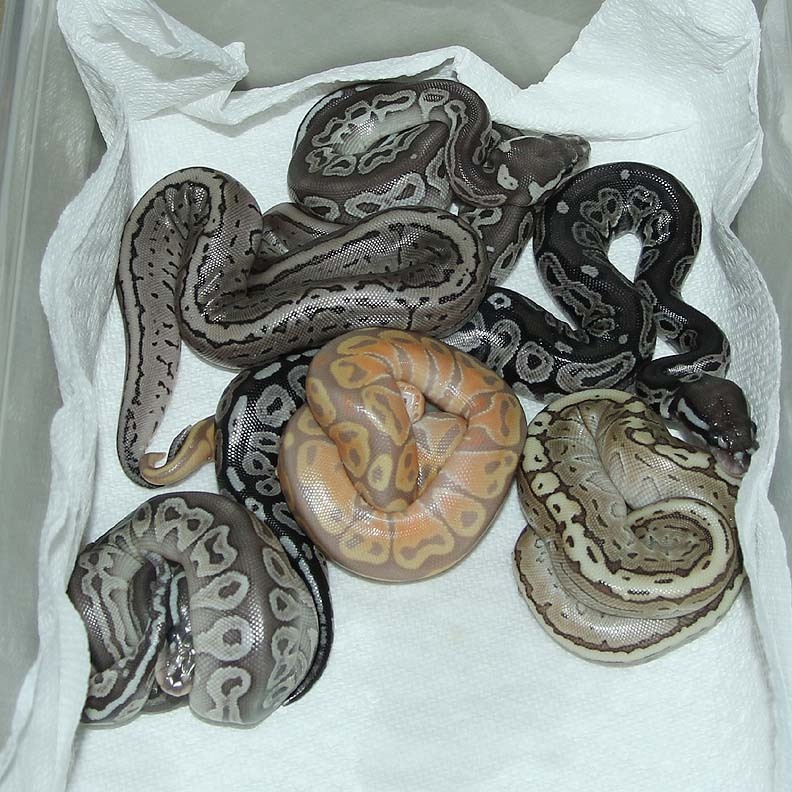 I really like the Mahogany Chocolates! 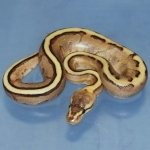 Description: Citrus Bamboo PH Pied 1/14 x RAOG 1/11. 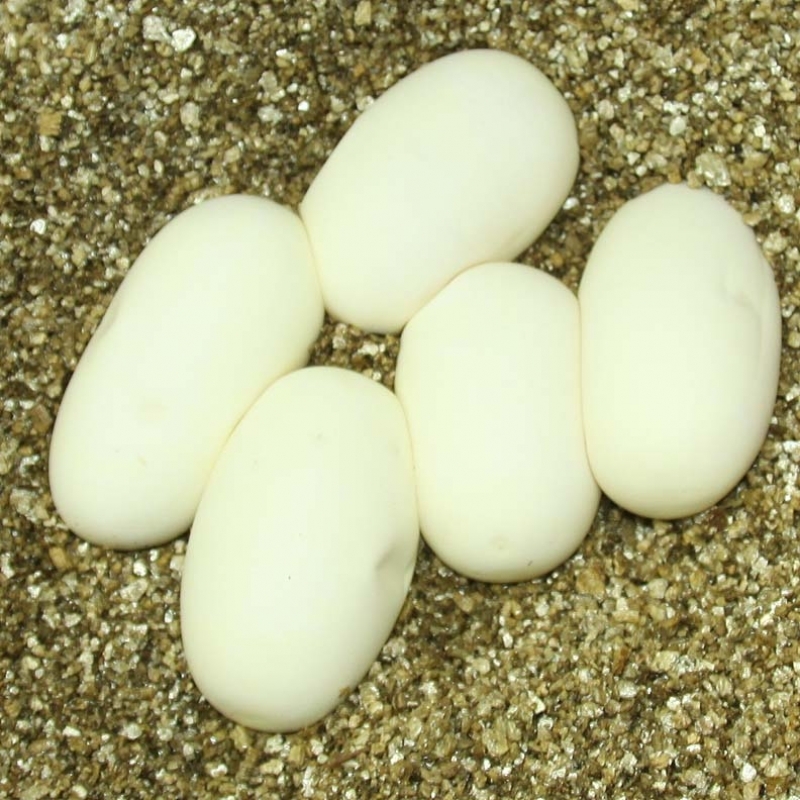 Results: Expected hatch date Nov 11 2017. 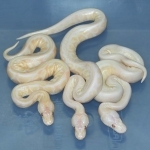 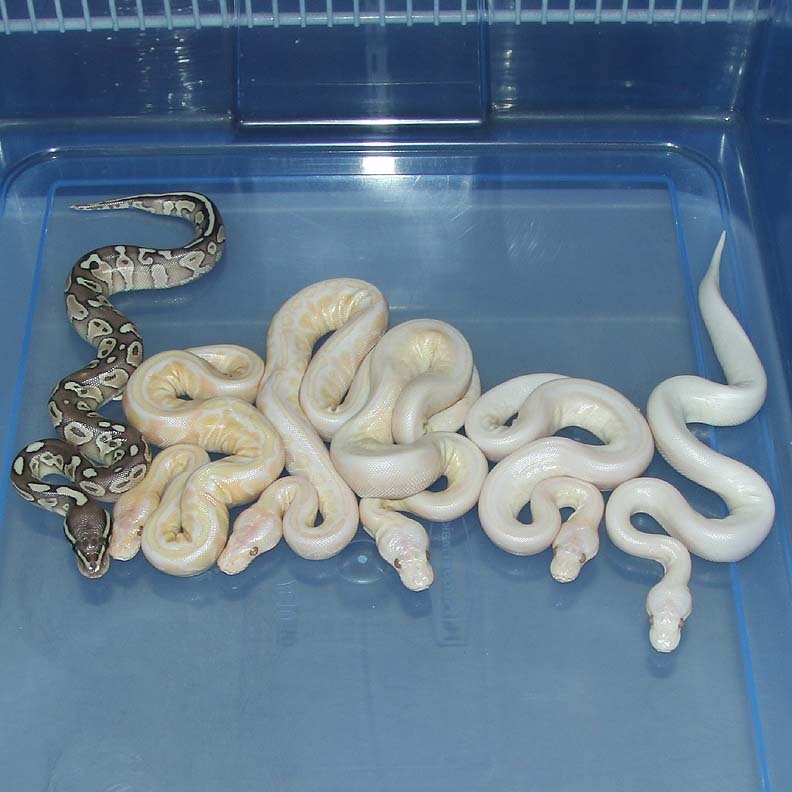 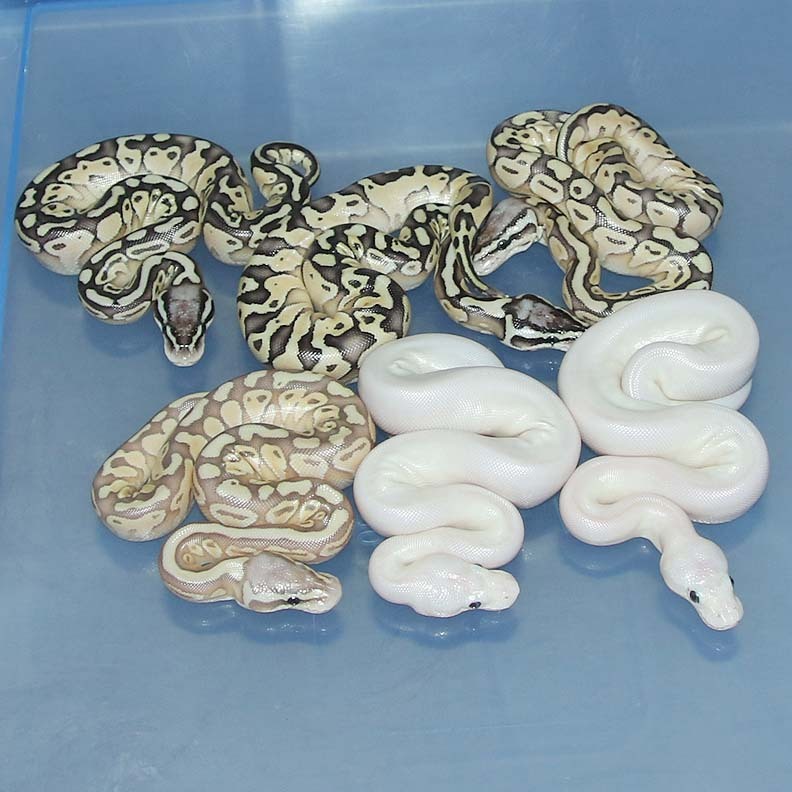 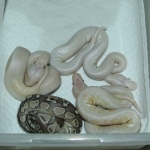 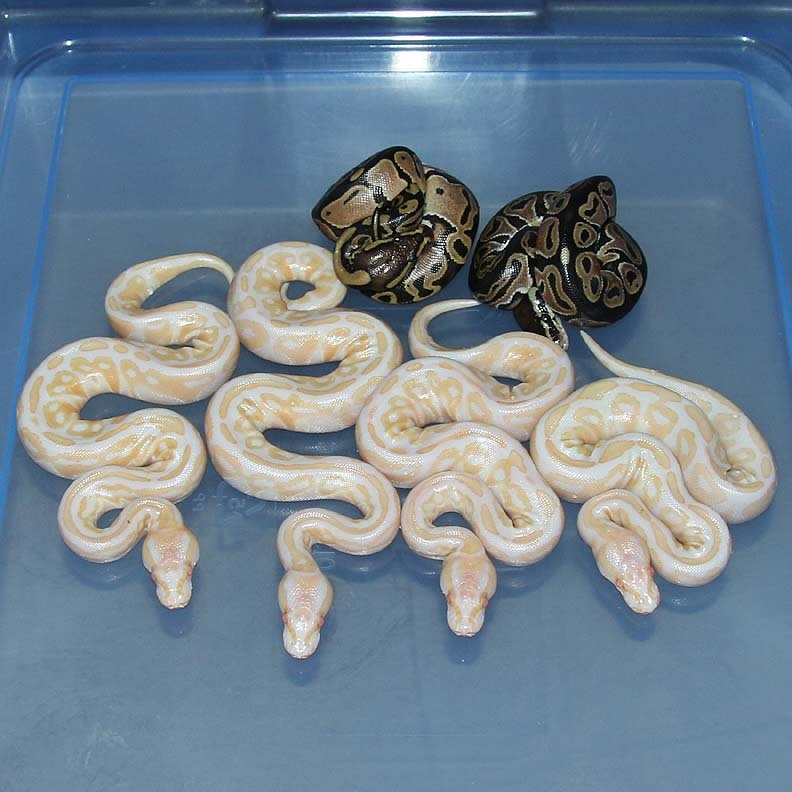 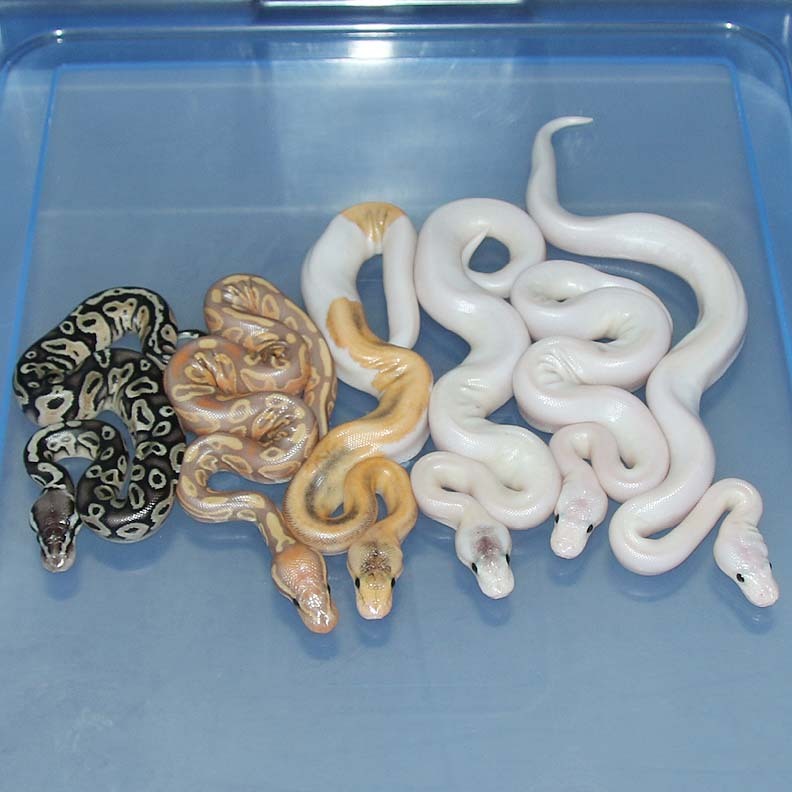 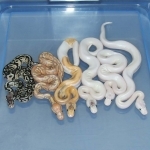 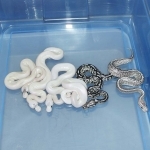 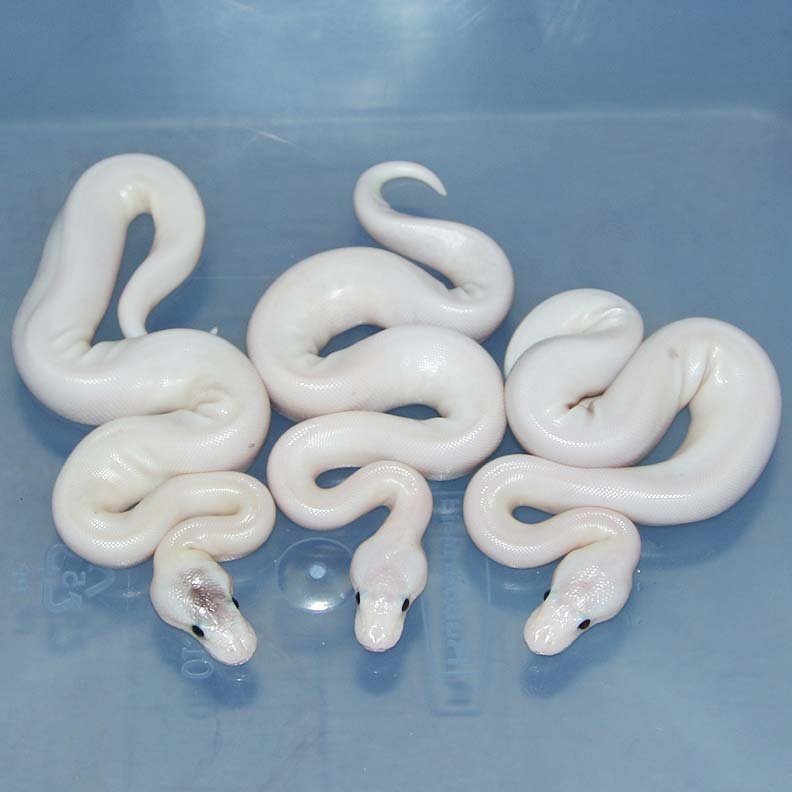 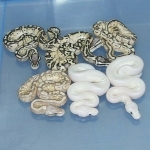 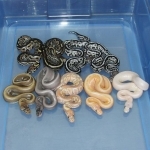 Description: Pastel Gravel HRA Het Albino 2/15 x Asphalt Het Albino 2/14 TC. 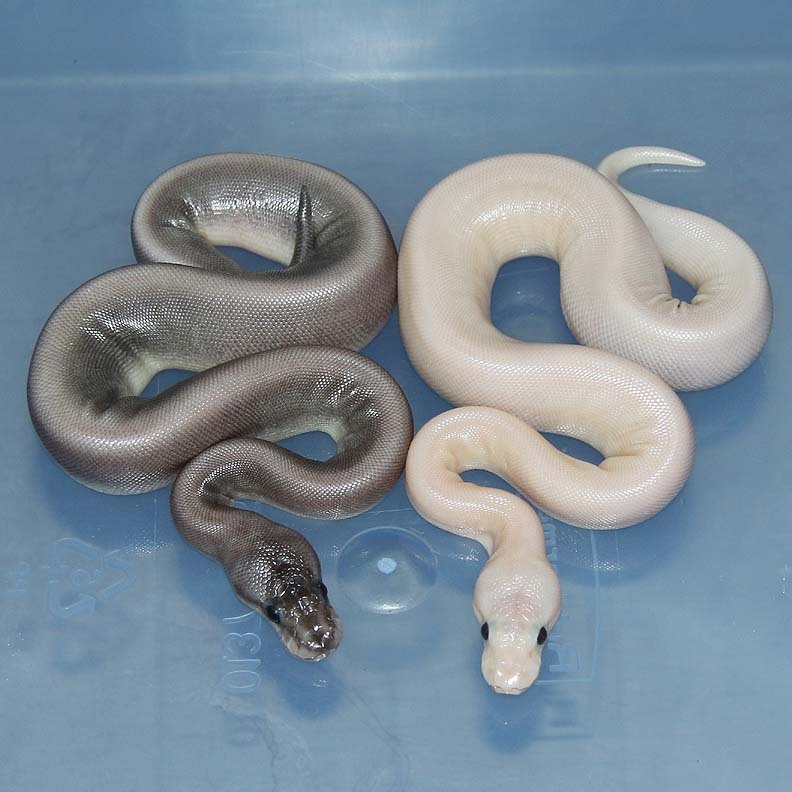 I'm really digging the Pastel Asphalt Gravels! 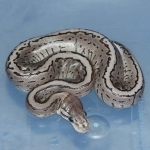 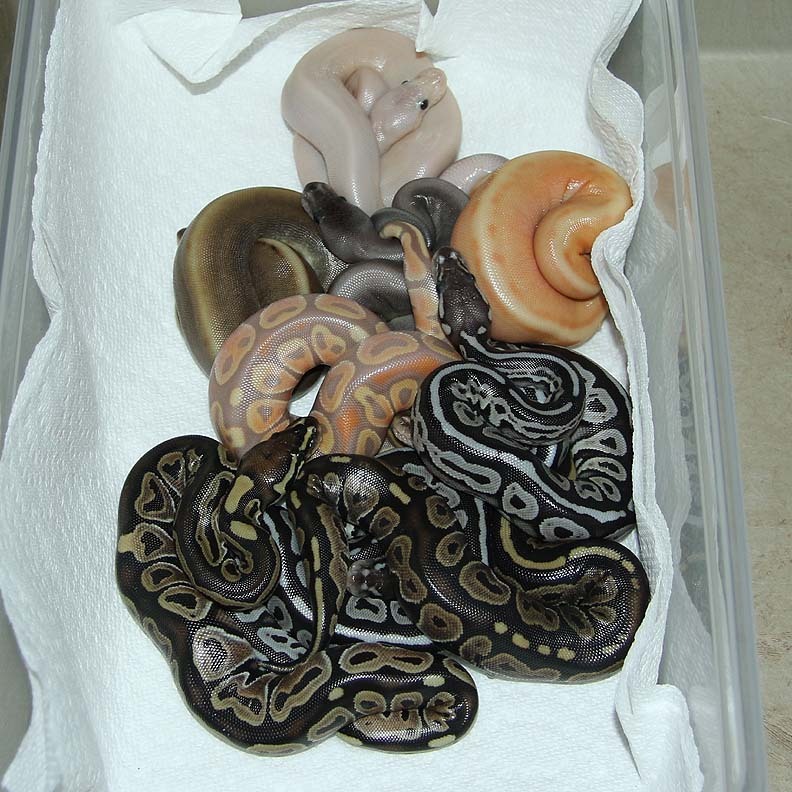 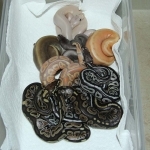 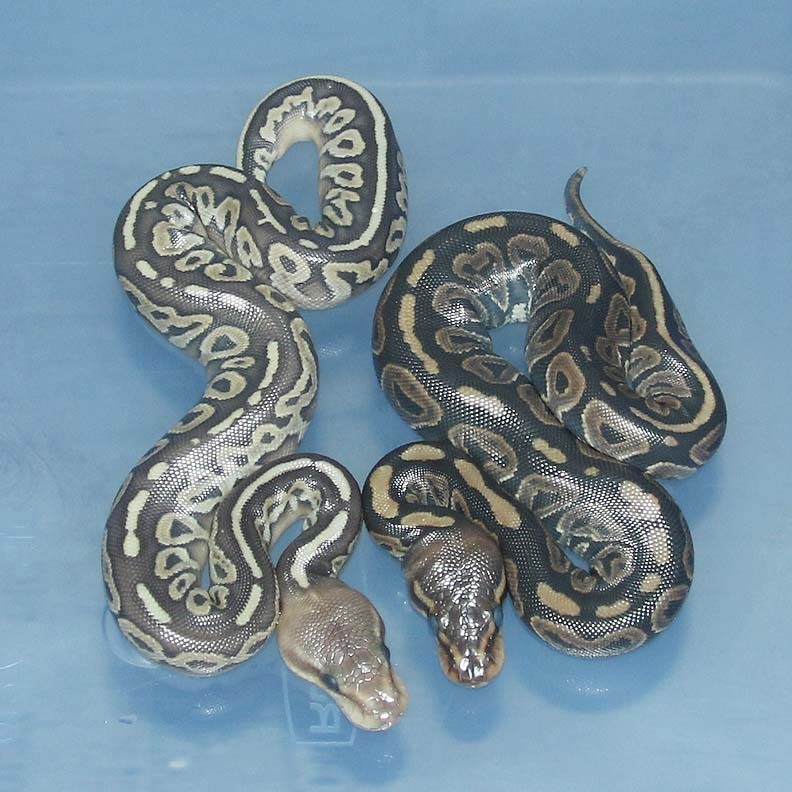 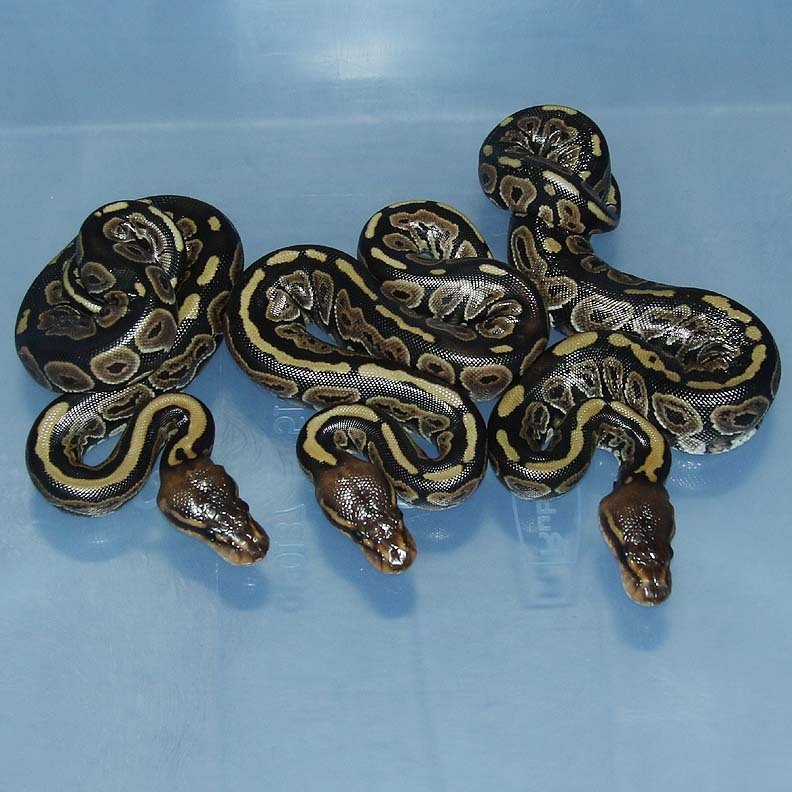 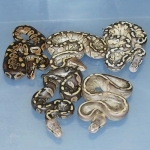 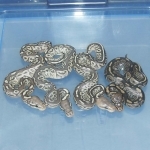 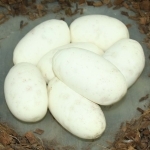 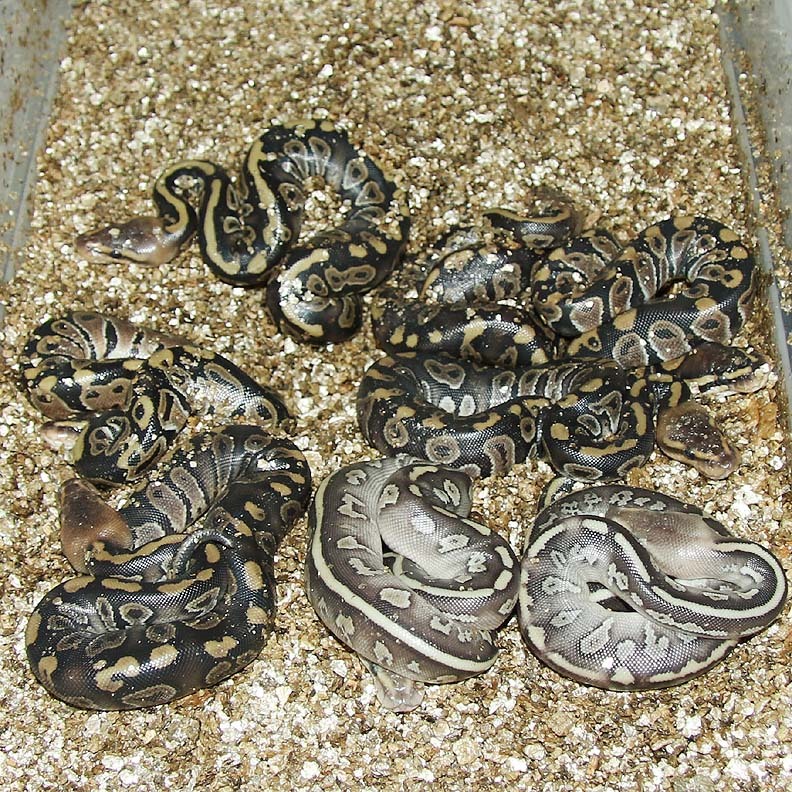 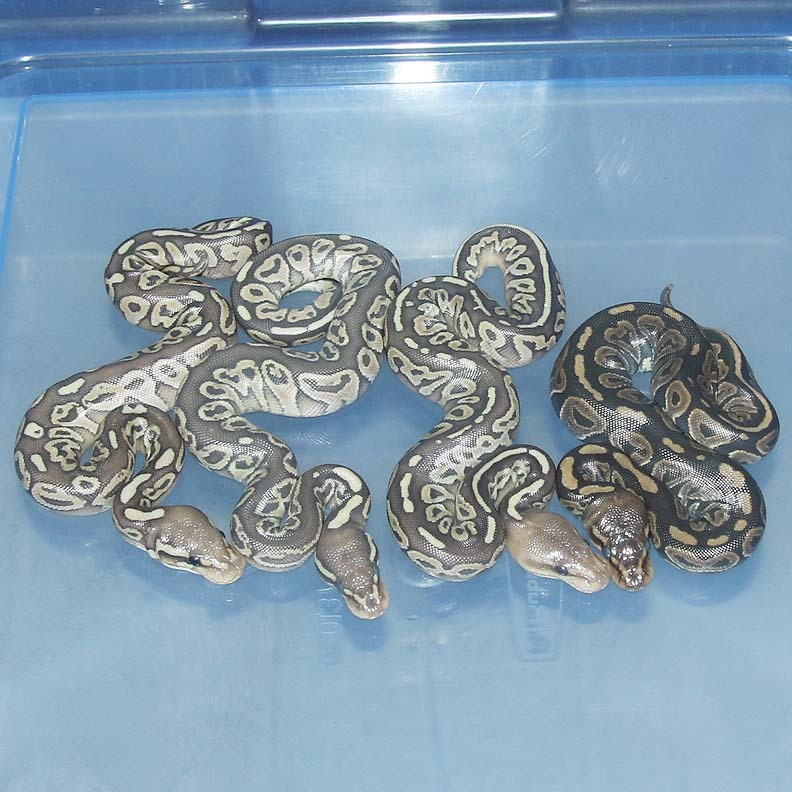 Description: Pastel Lesser Chocolate Het Green Ghost 2/15 x Chocolate Het Green Ghost 1/11. Description: Banana Mahogany HRA Het Genetic Stripe 1/15 x RAGS 1/11. 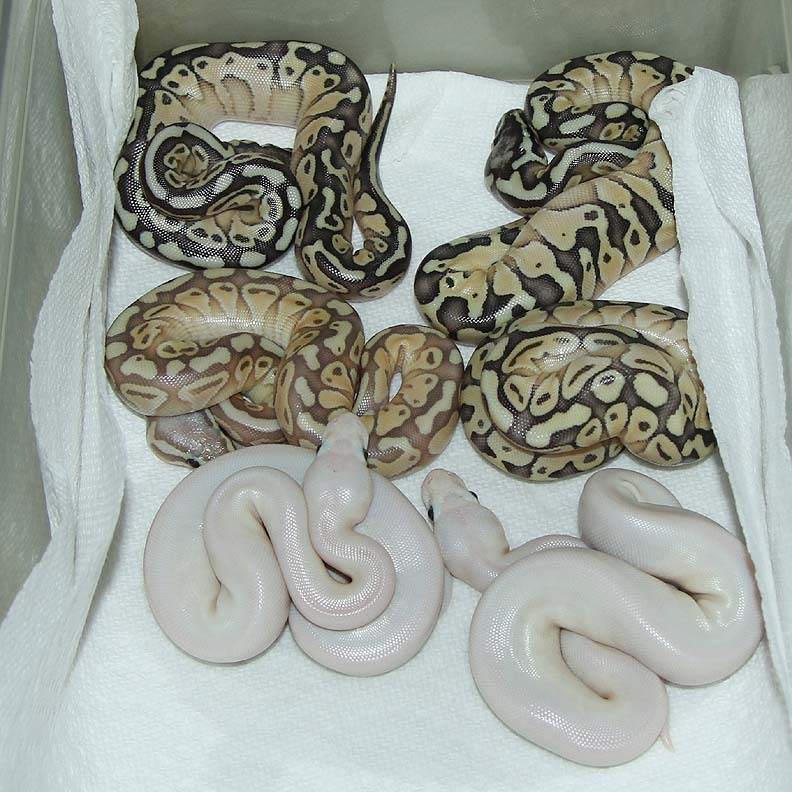 Description: POG Chocolate 1/15 x Pastel Pied HOG 1/13. 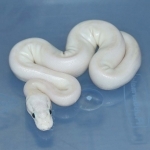 Description: Pastel Spark HRA Het Albino 2/15 x YB Het Albino 13/14. 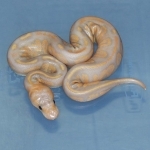 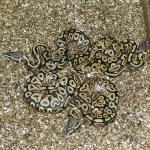 Description: Citrus Puma HRA 1/13 x Funky Pastel Lesser YB 1/14. Description: Pastel Gravel Spark 1/15 x Lemon Pastel YB 1/14. 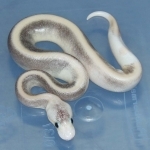 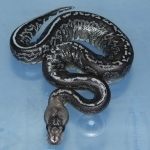 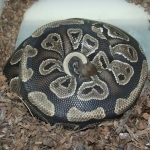 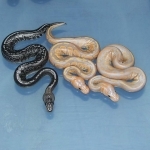 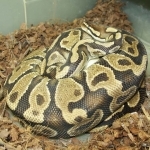 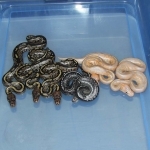 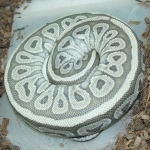 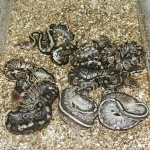 Description: Lesser Banana HRA 1/15 x Red Axanthic Pinstripe 3/12. 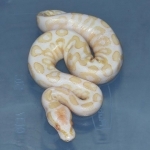 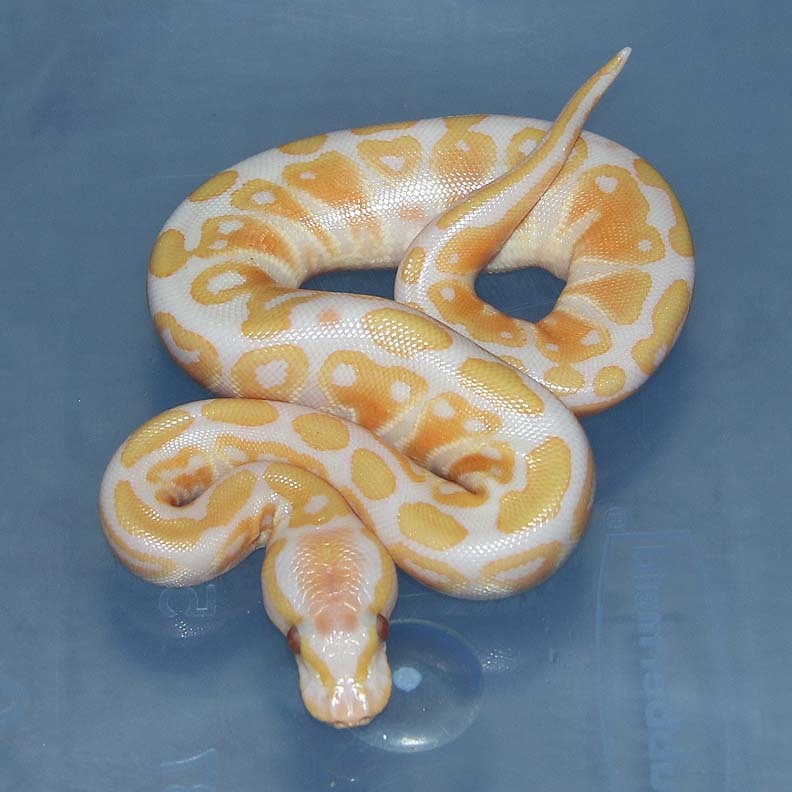 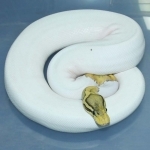 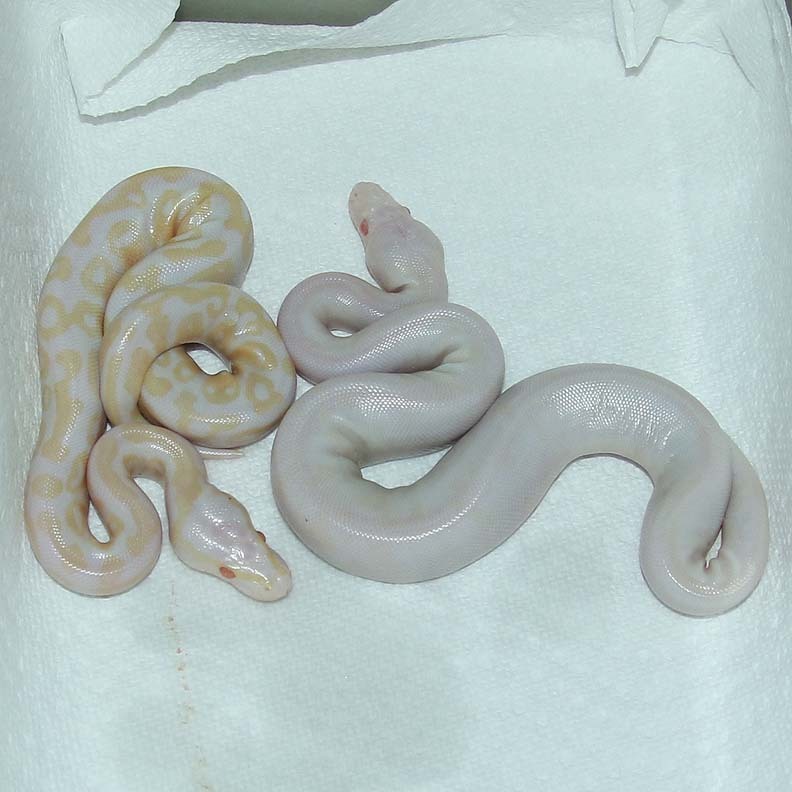 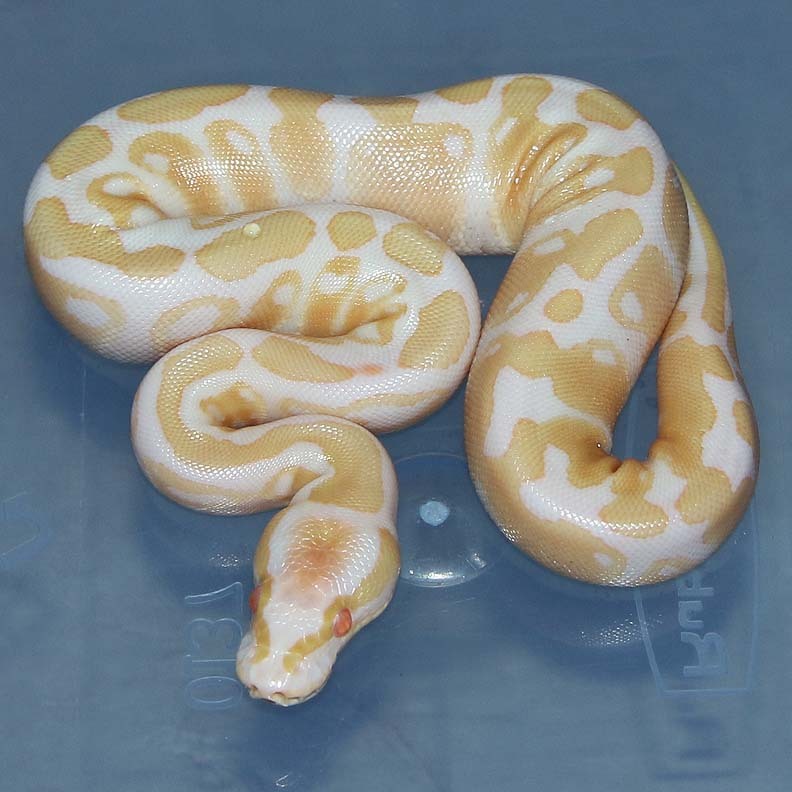 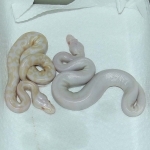 Description: Pastel Candy 1/12 x Champagne Albino 3/14. 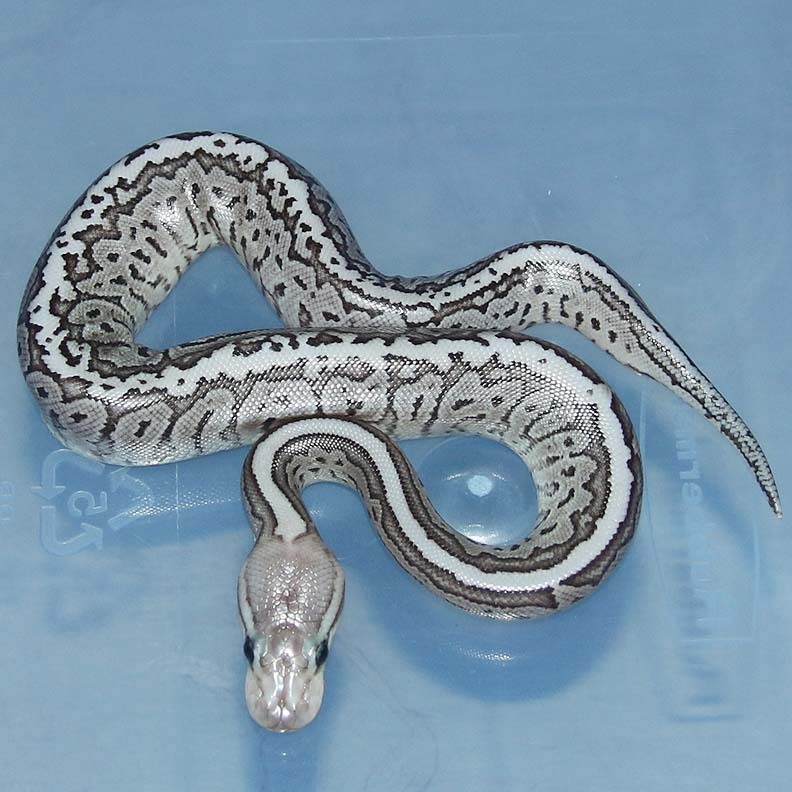 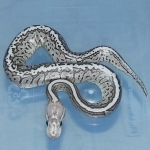 Description: Pastel Lesser Lavender HRA 1/14 x Red Axanthic Pinstripe 1/12. 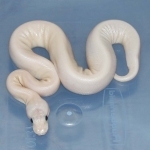 1.1 Pastel HRA Het Lavender.